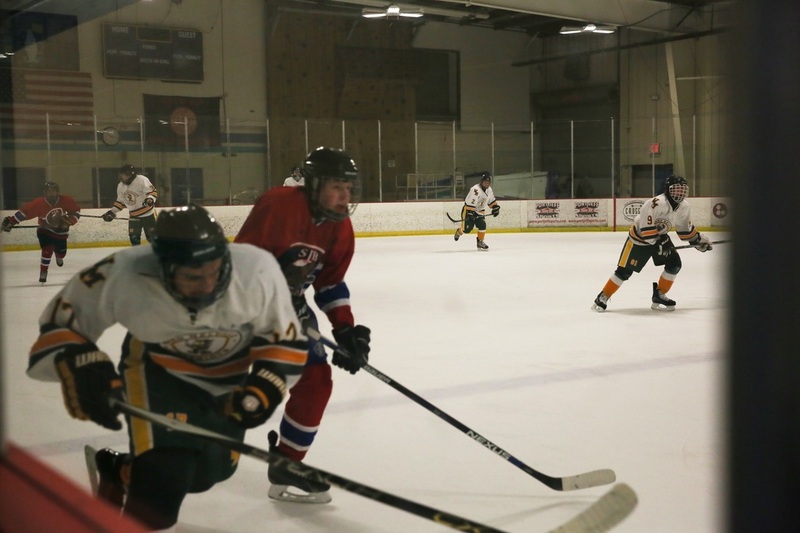 Memorial Day Weekend was a tons of fun event. 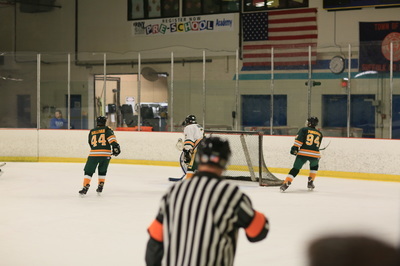 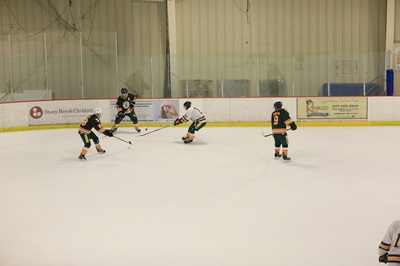 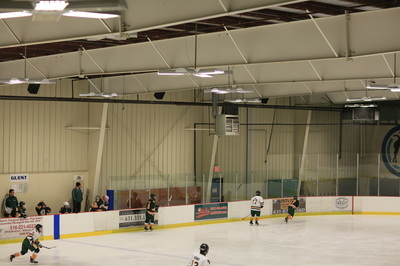 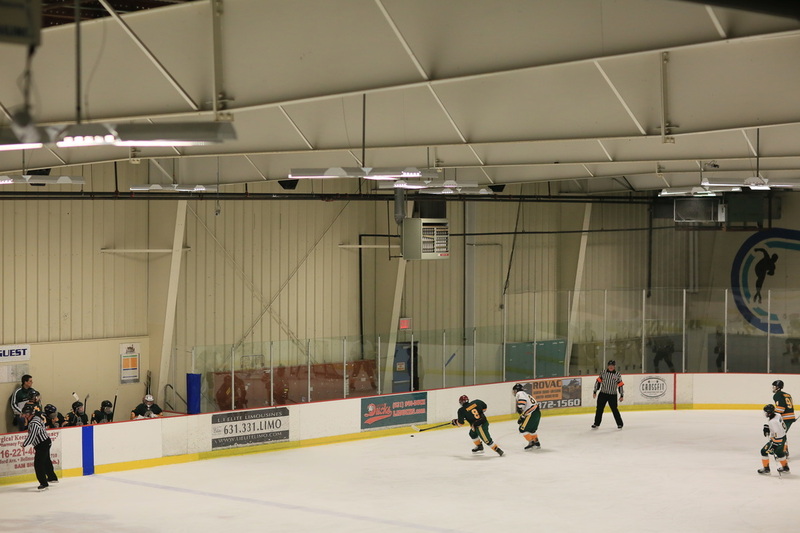 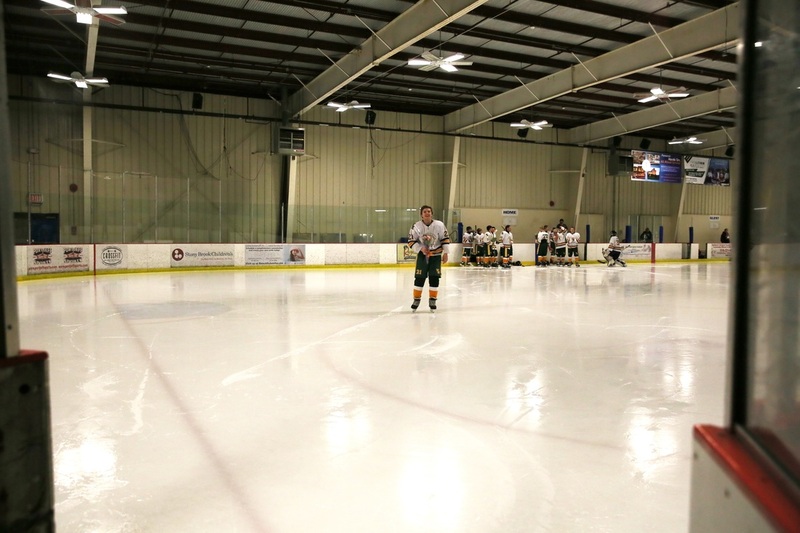 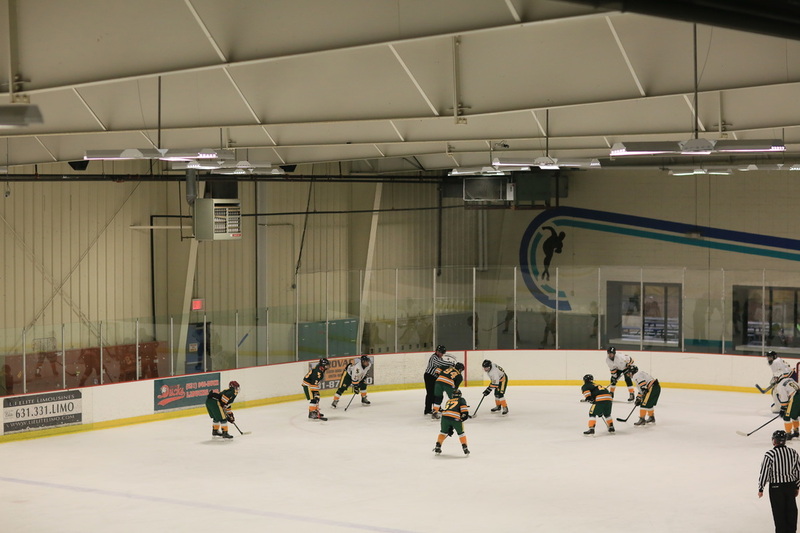 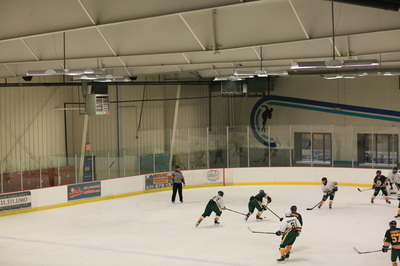 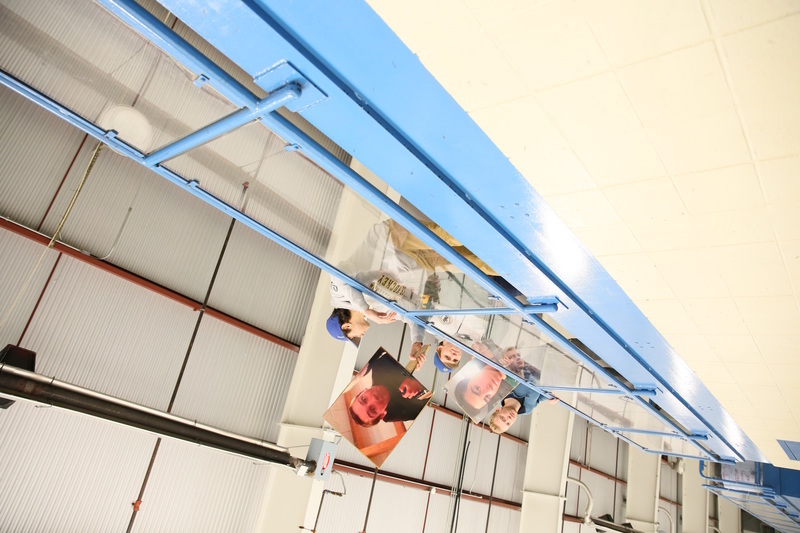 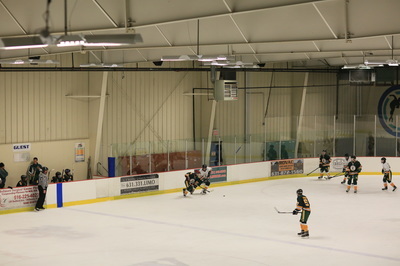 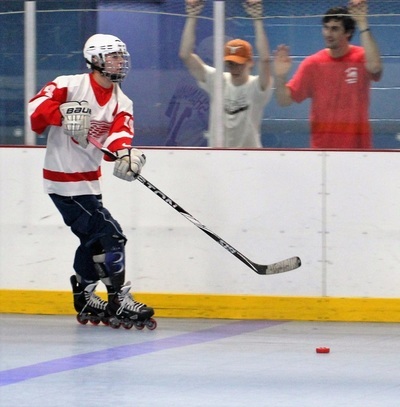 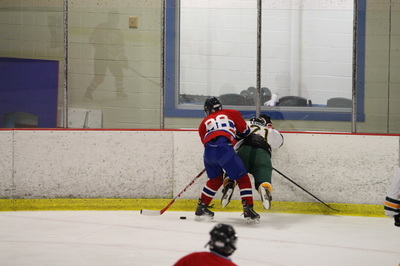 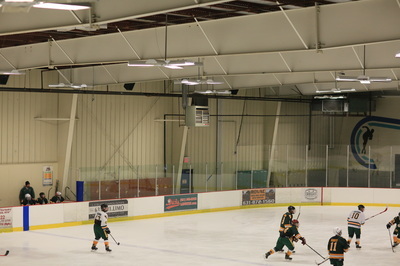 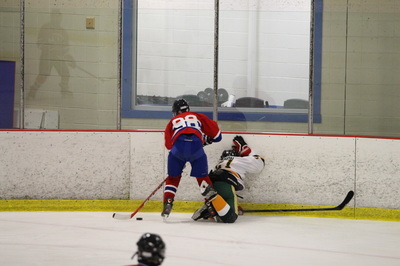 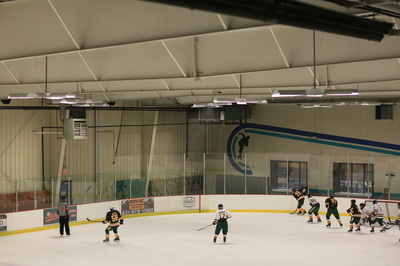 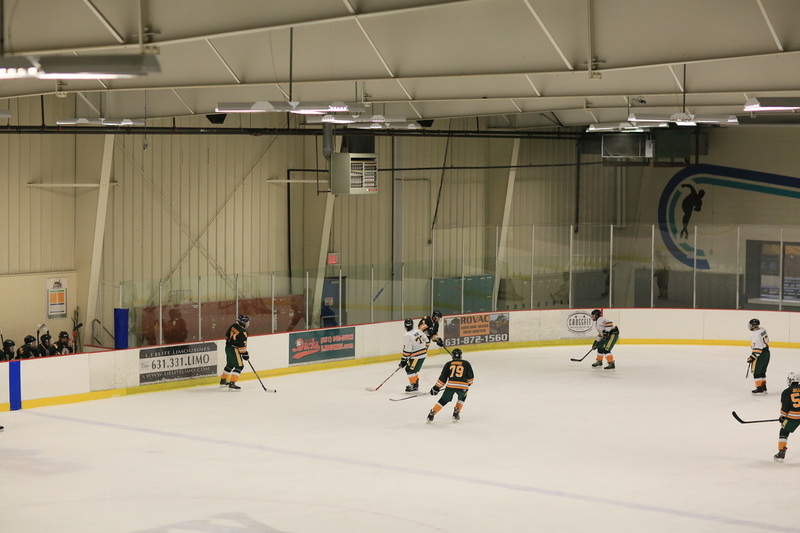 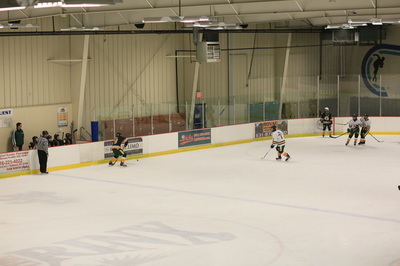 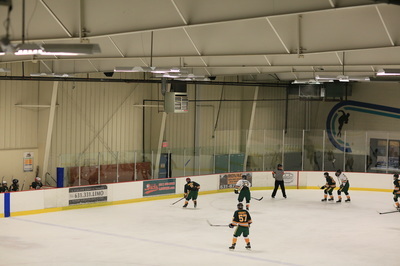 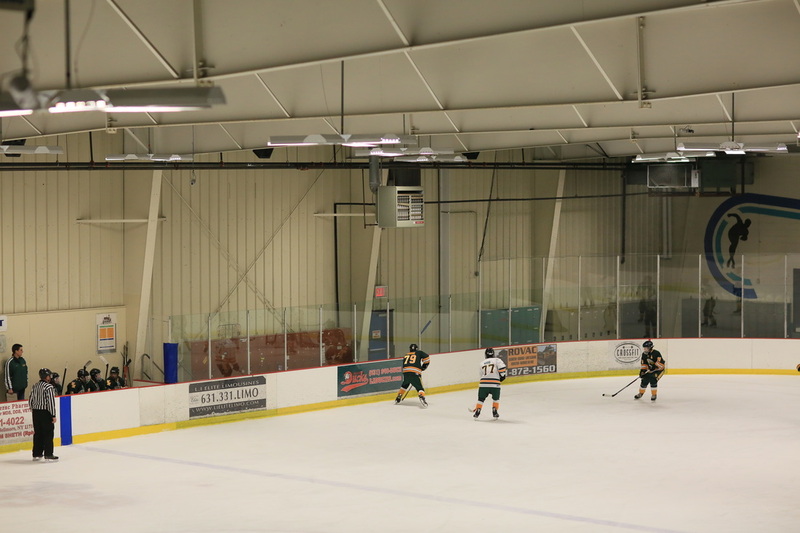 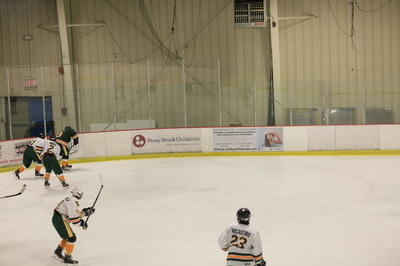 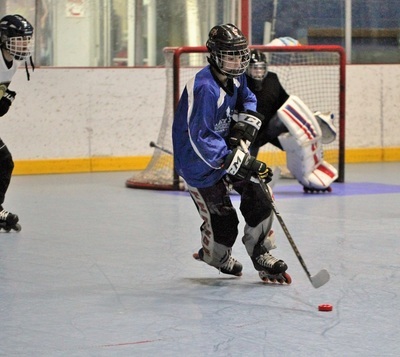 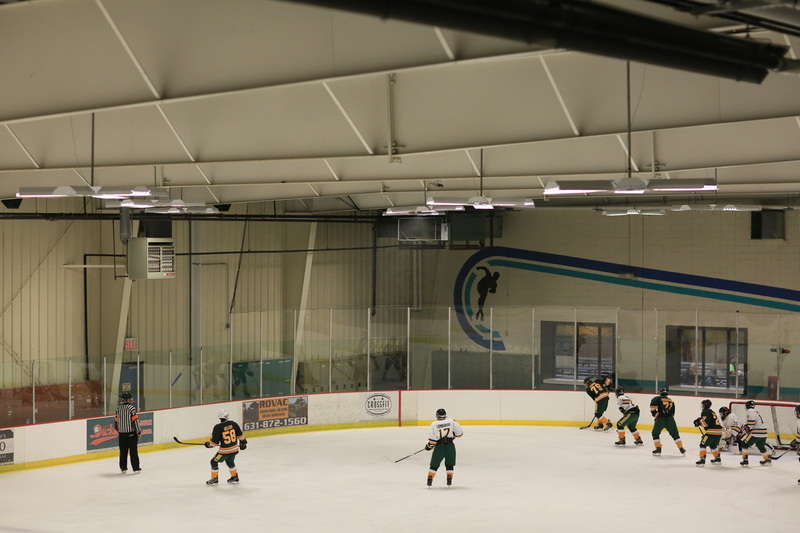 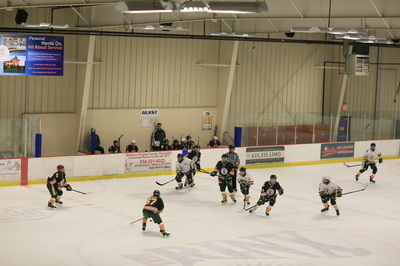 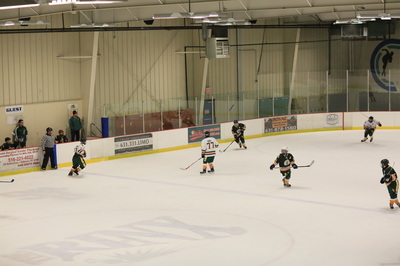 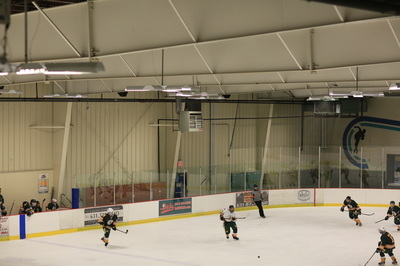 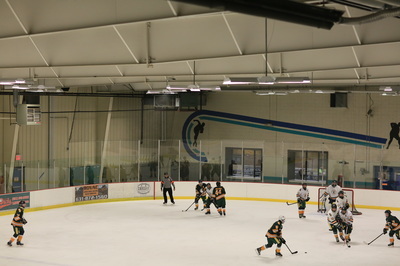 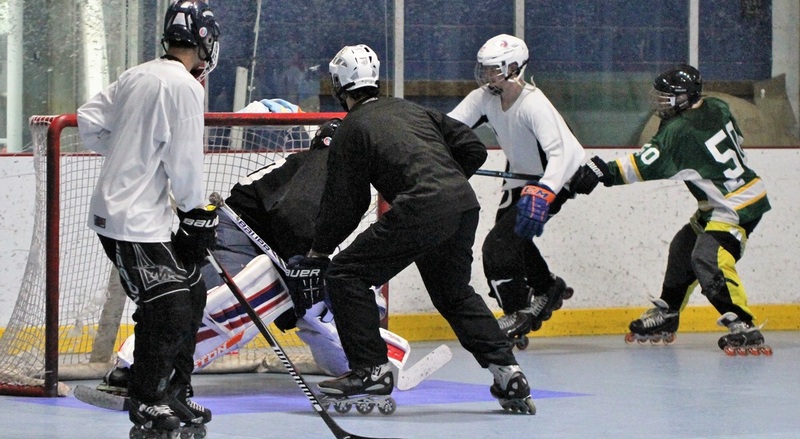 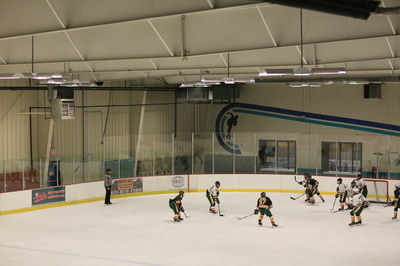 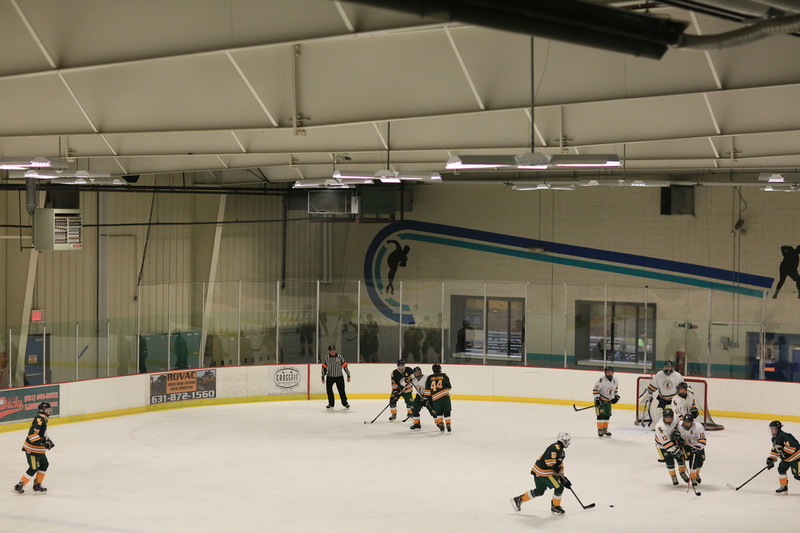 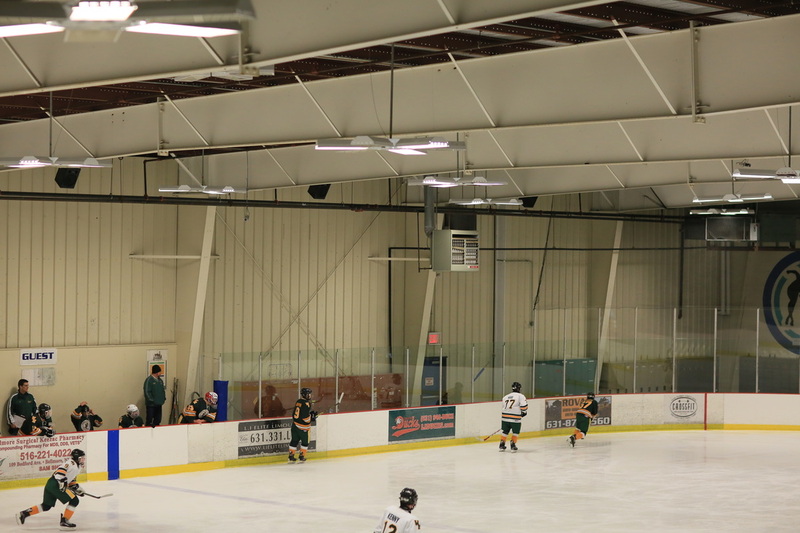 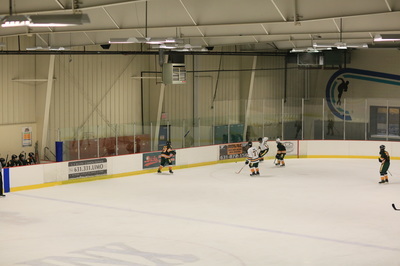 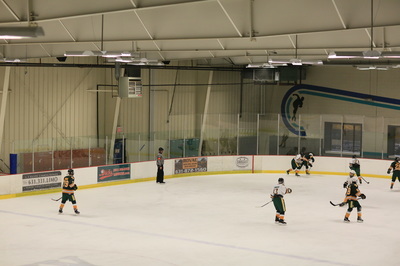 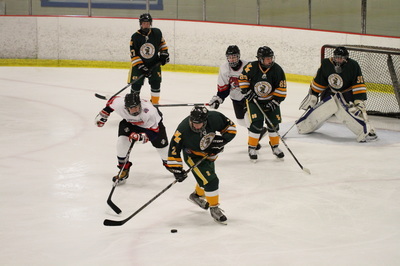 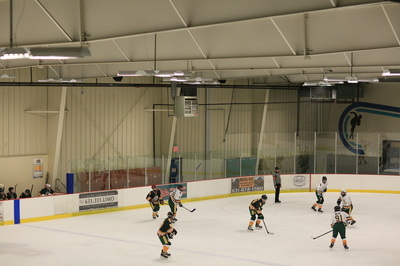 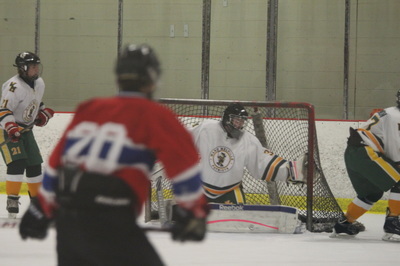 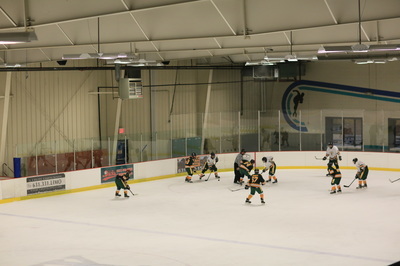 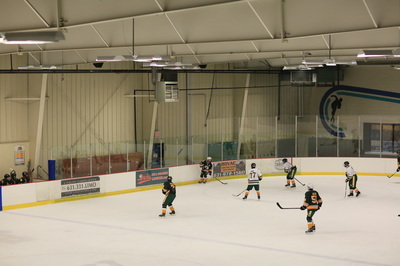 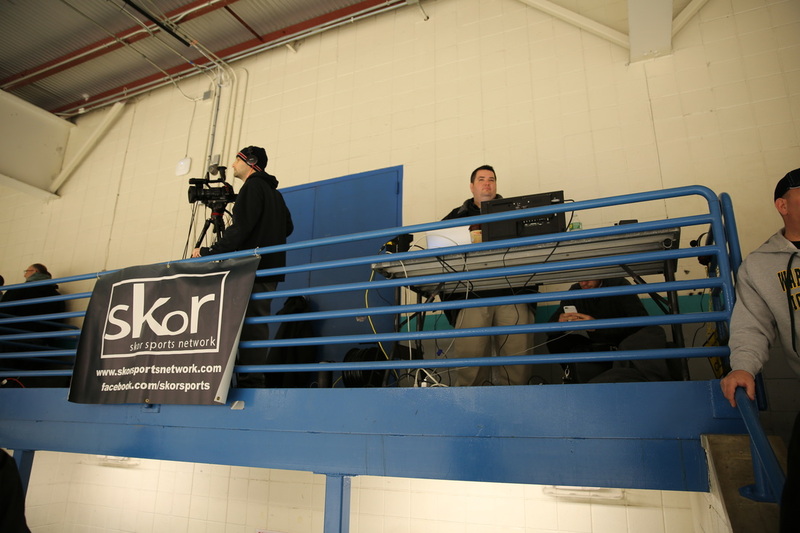 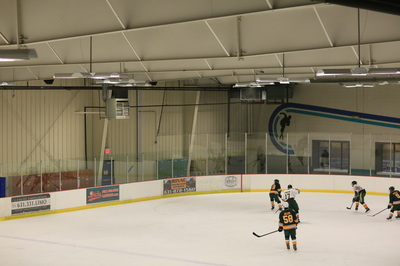 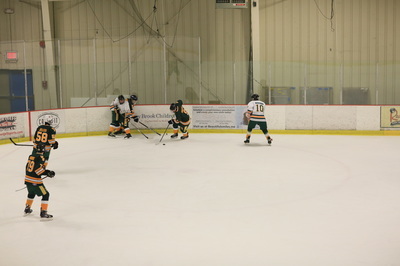 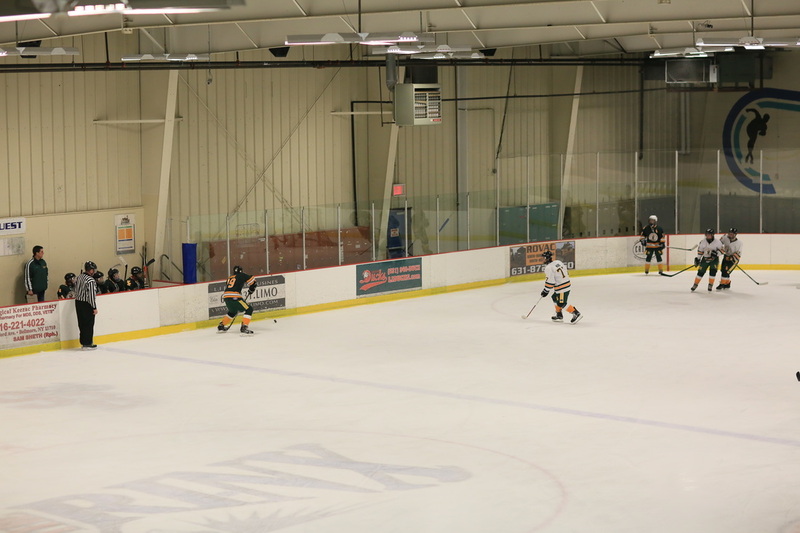 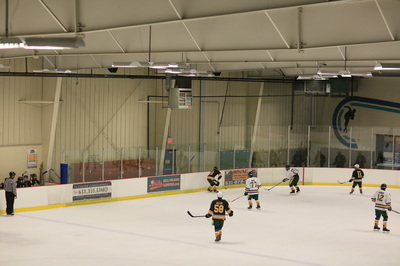 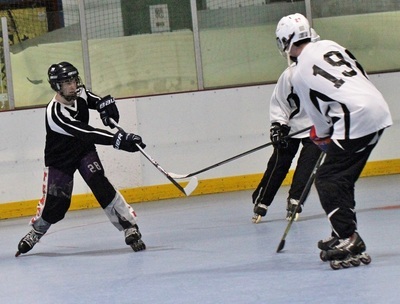 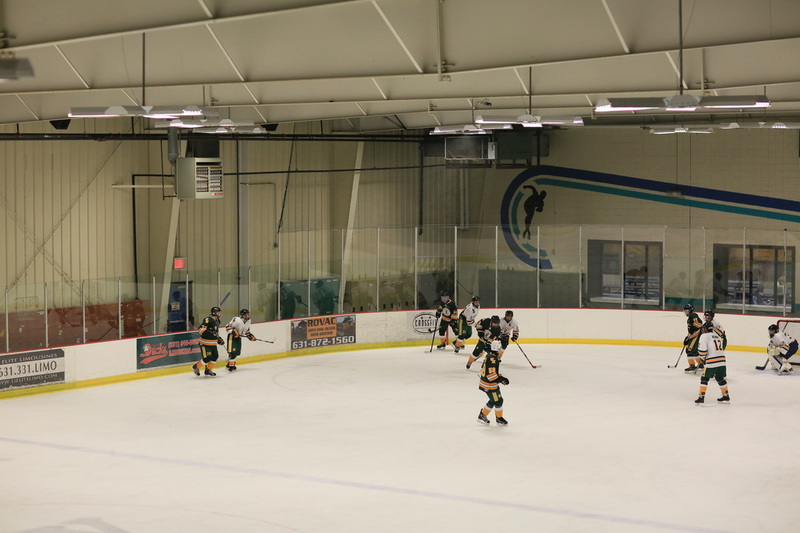 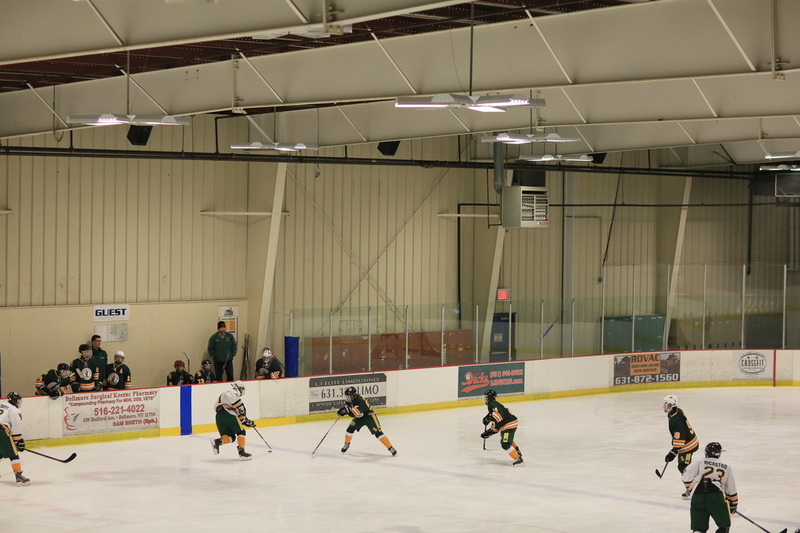 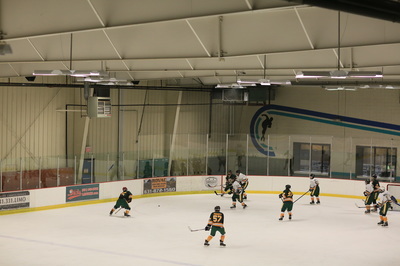 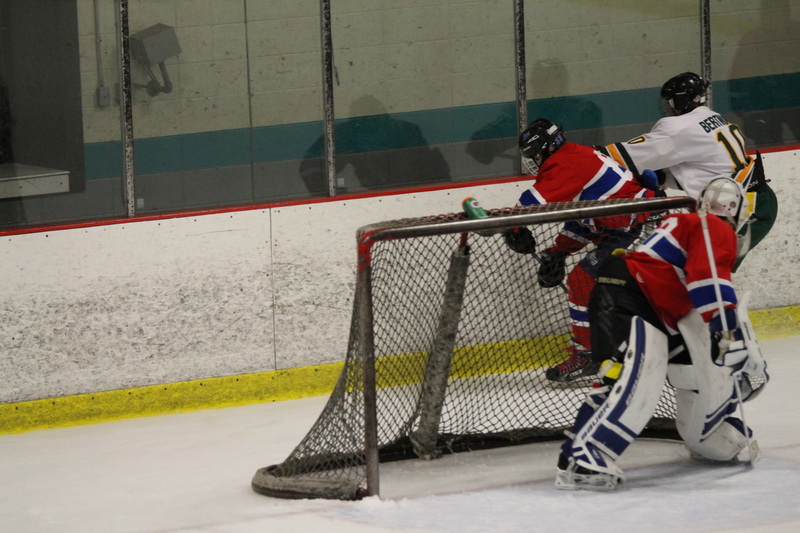 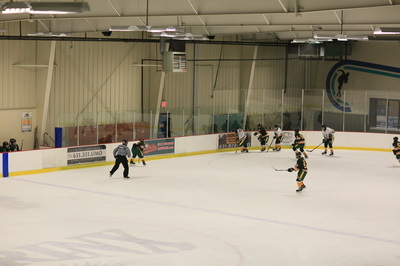 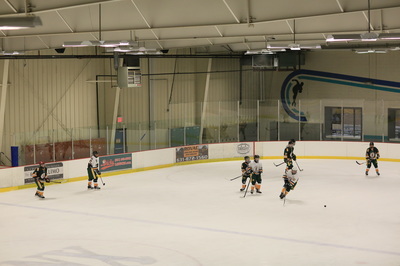 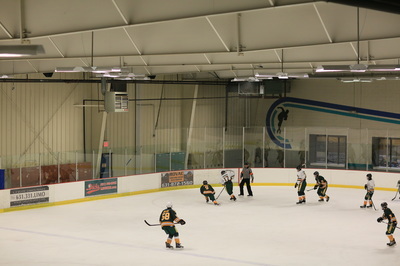 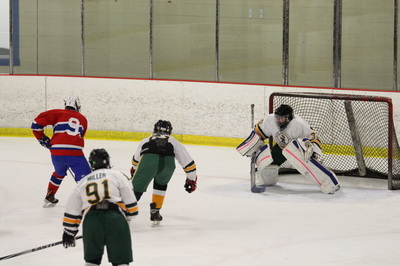 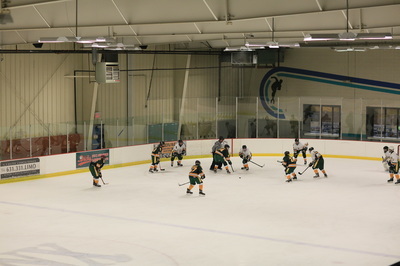 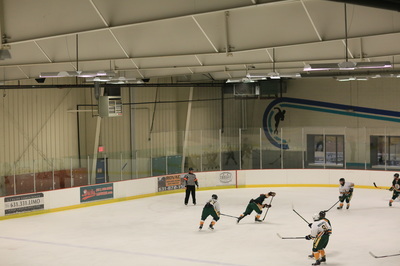 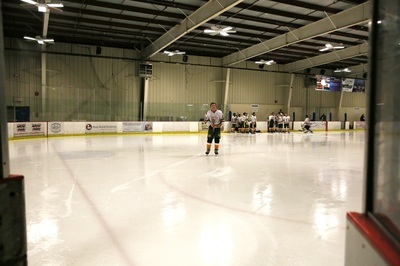 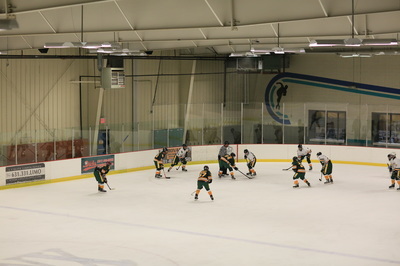 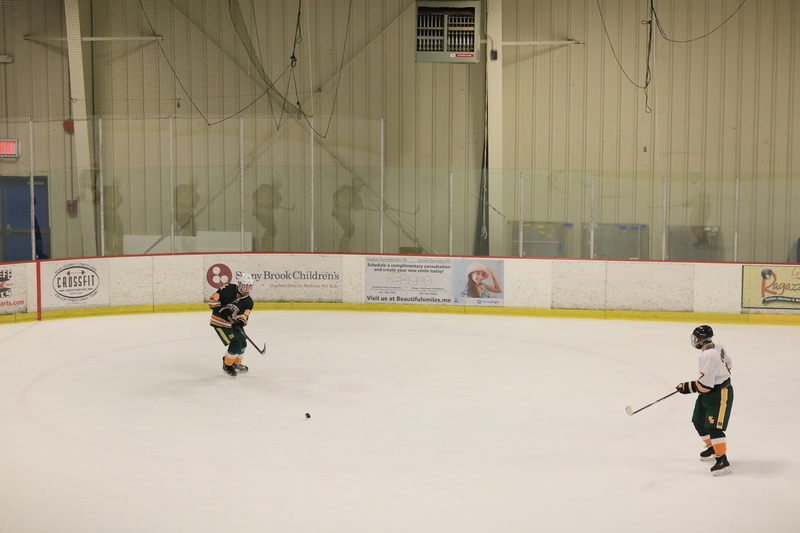 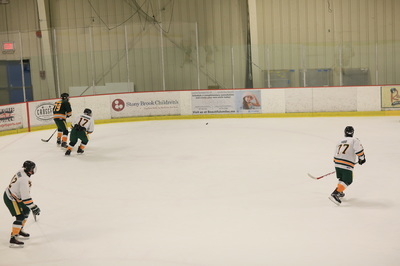 The in-line tournament was held at the World Gym Arena (Home of the NY Terror Inline Hockey Team). 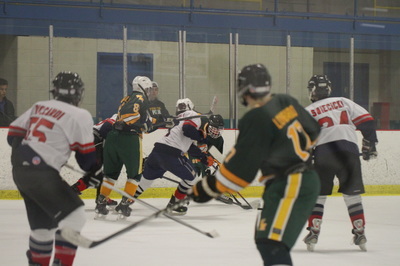 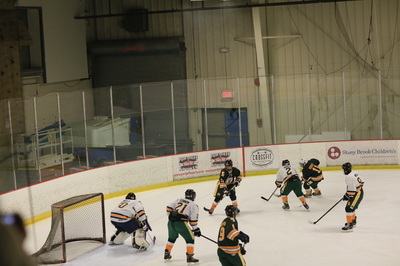 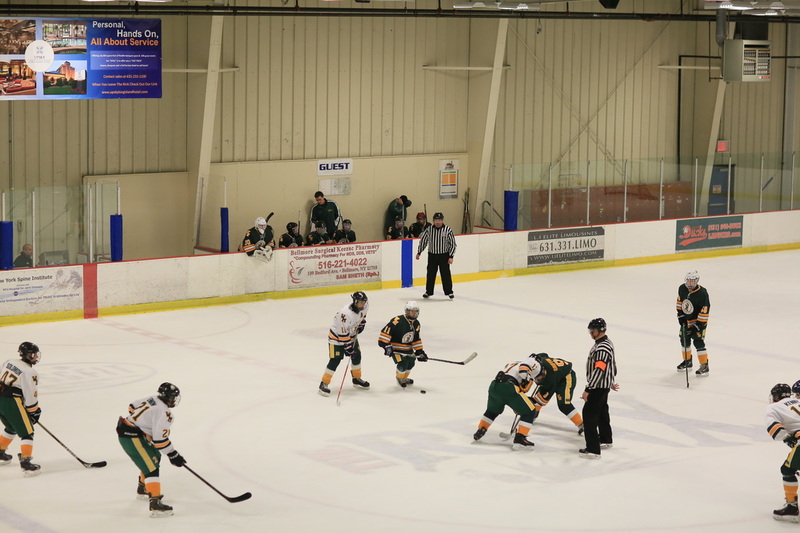 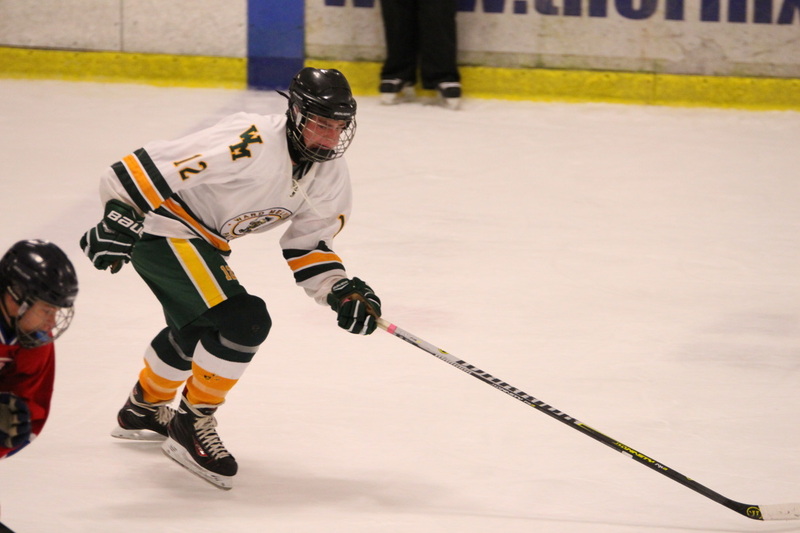 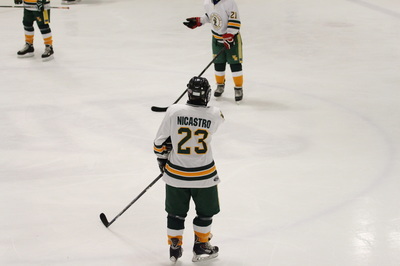 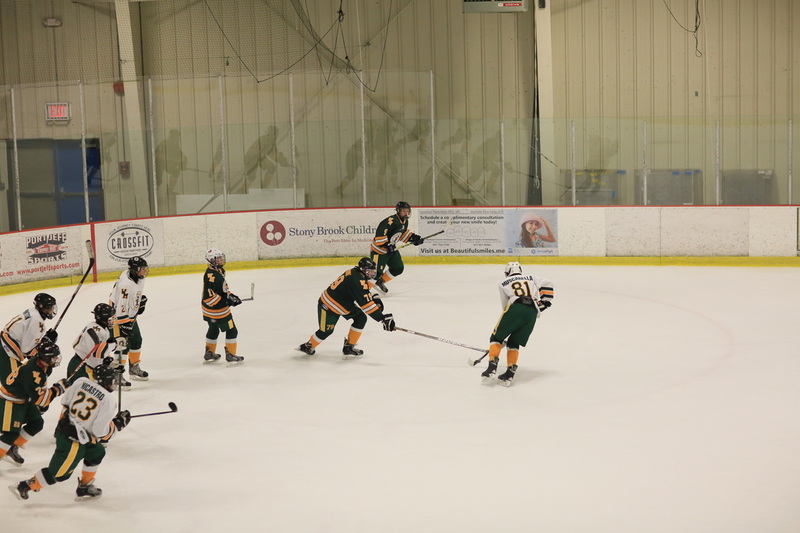 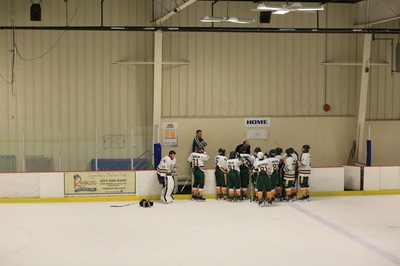 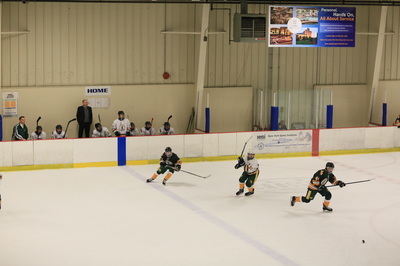 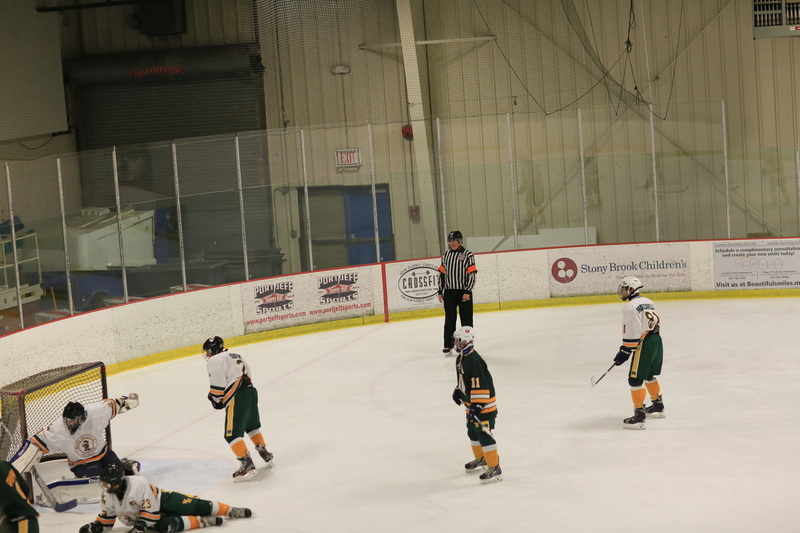 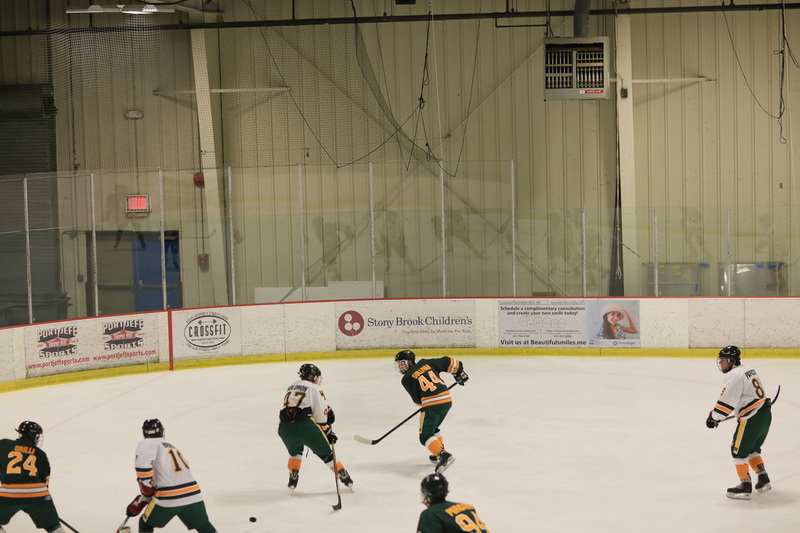 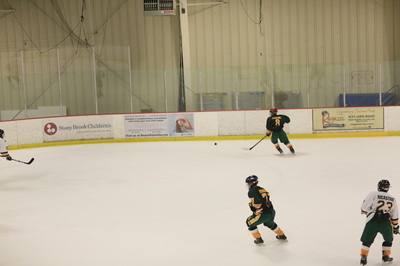 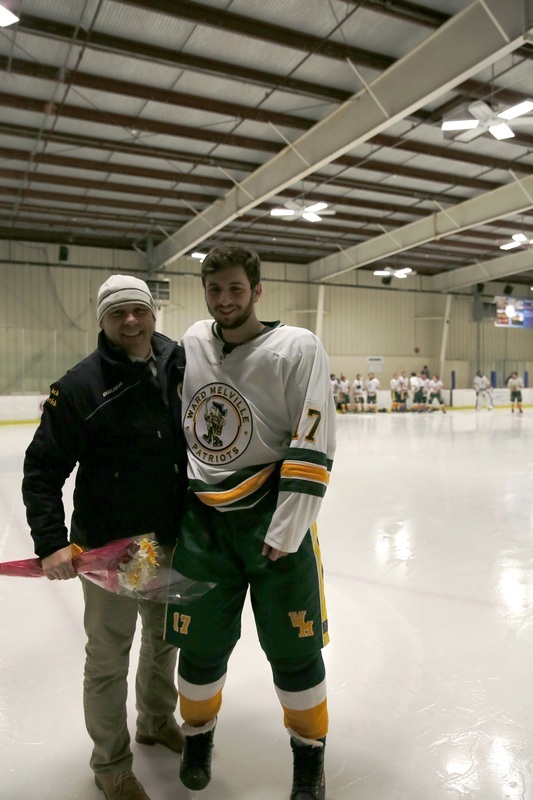 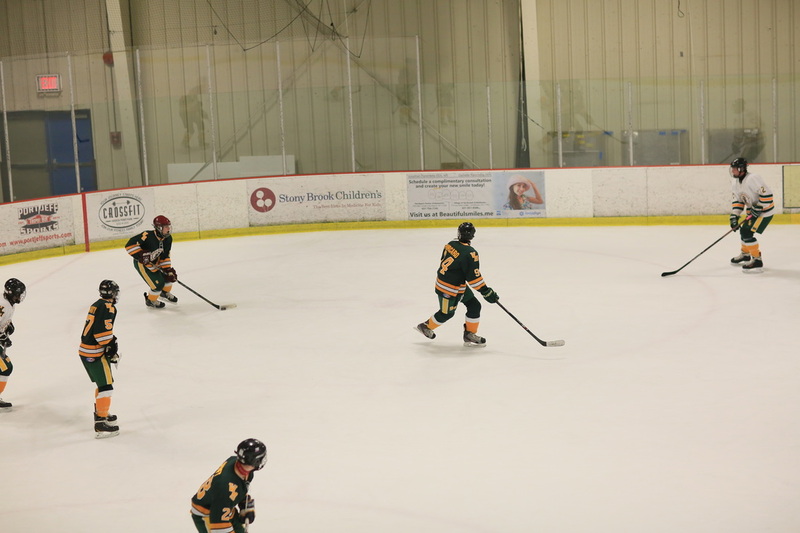 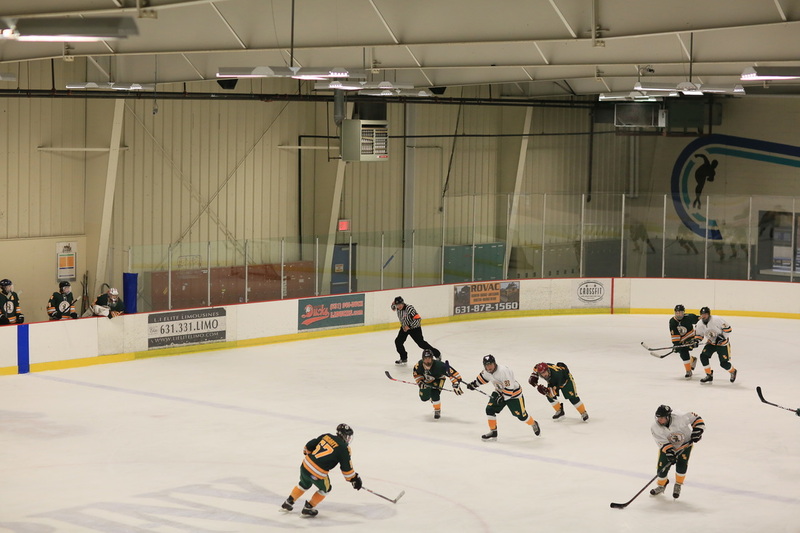 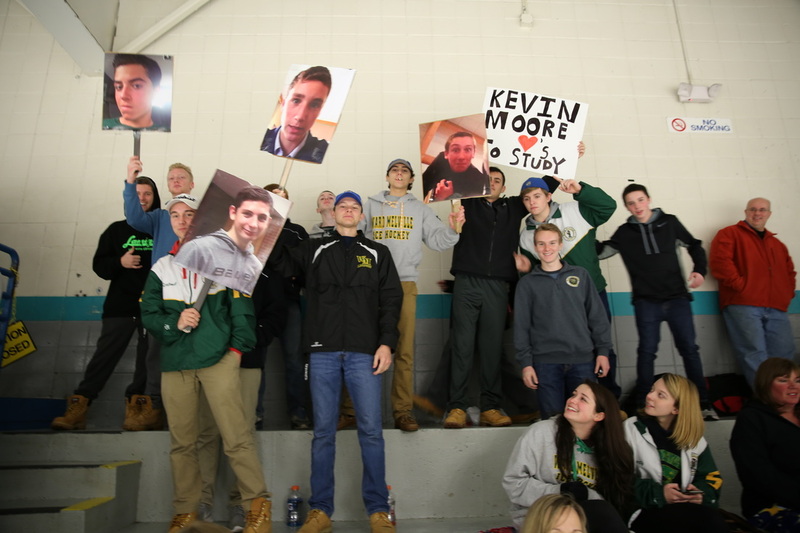 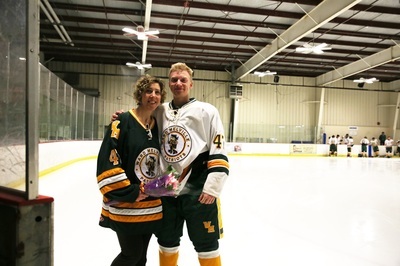 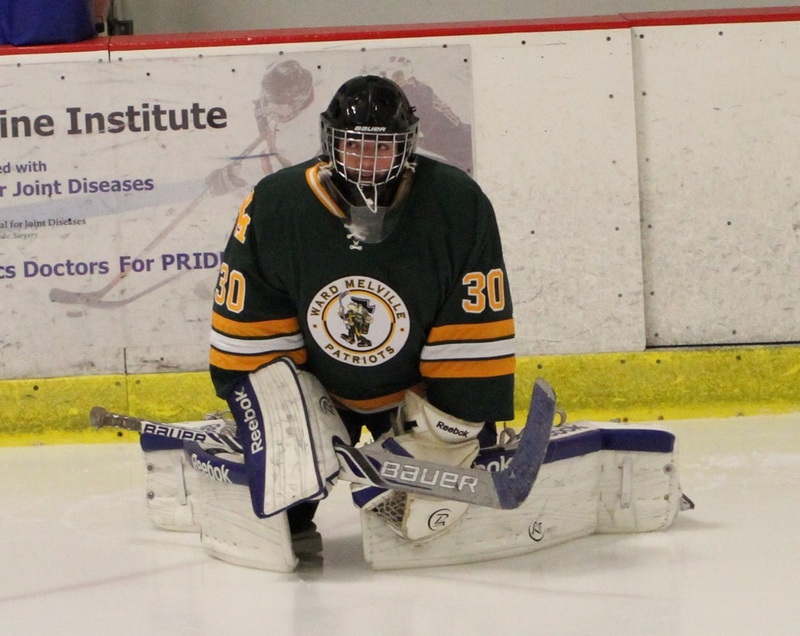 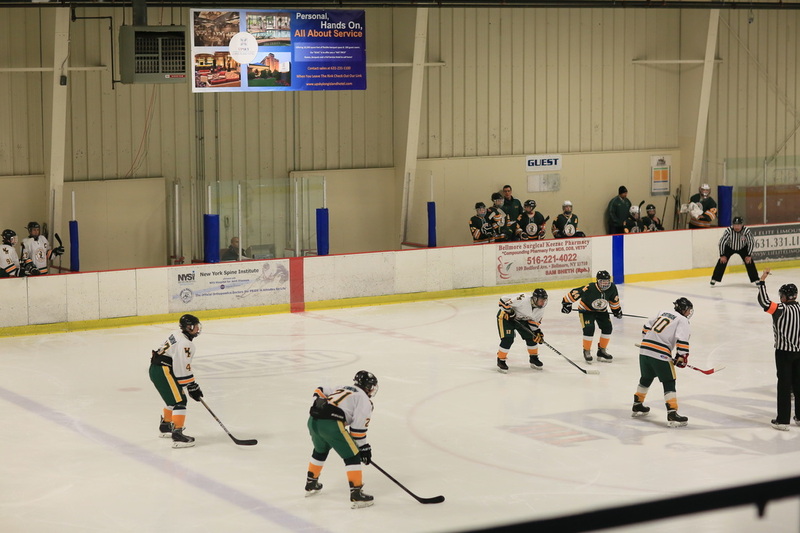 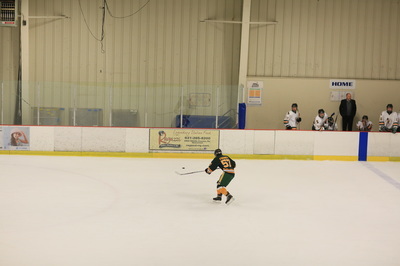 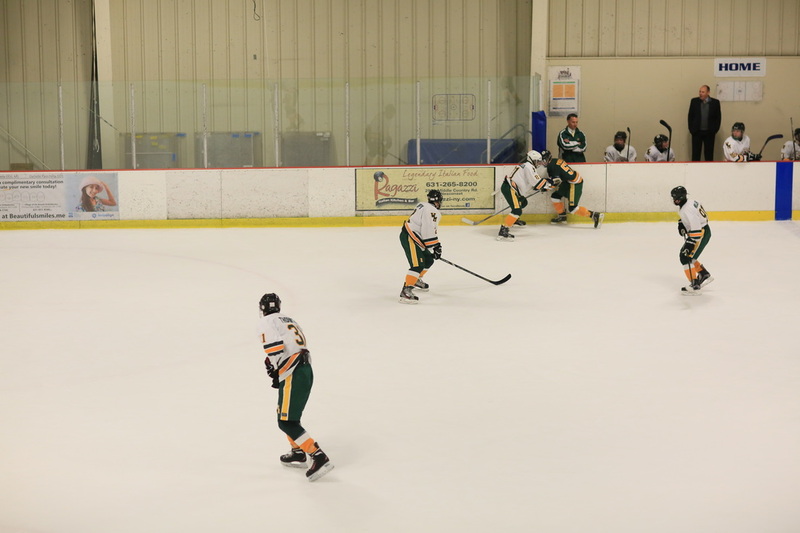 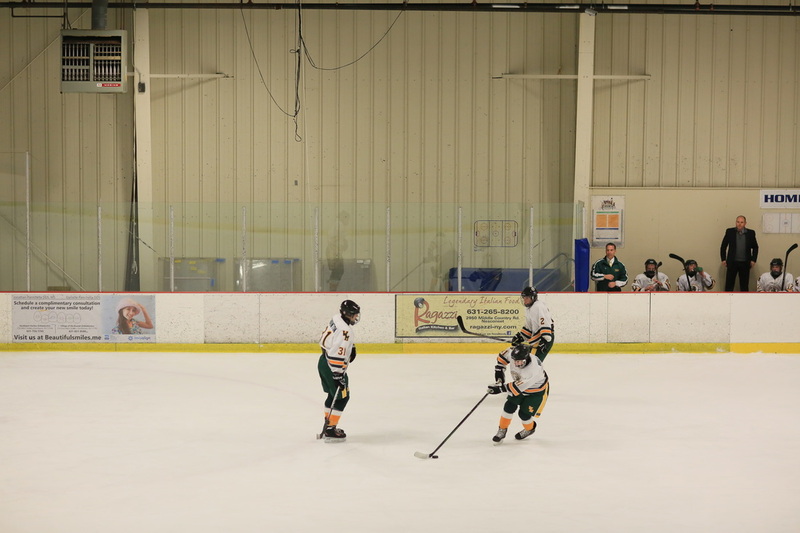 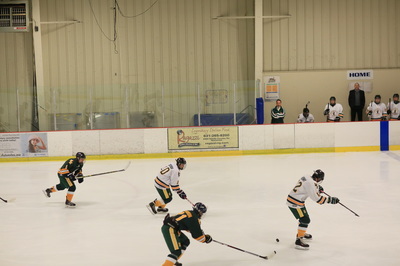 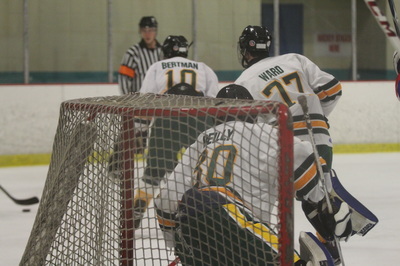 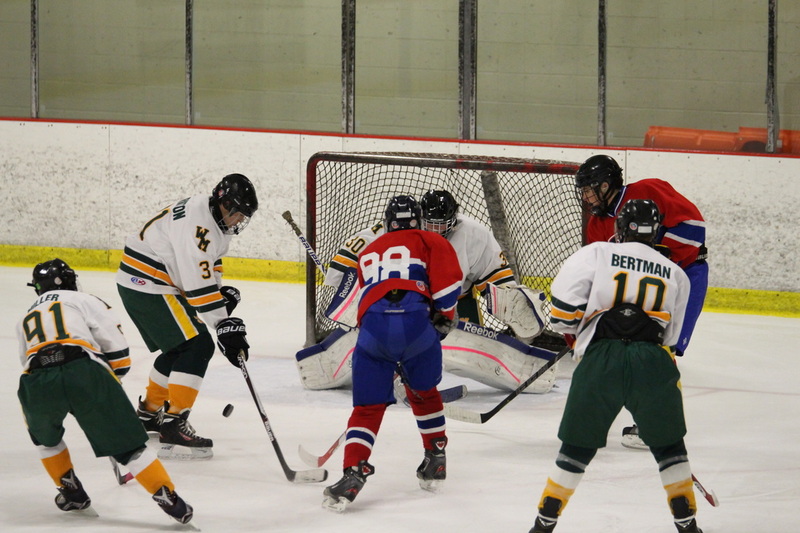 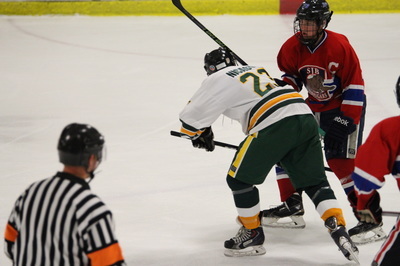 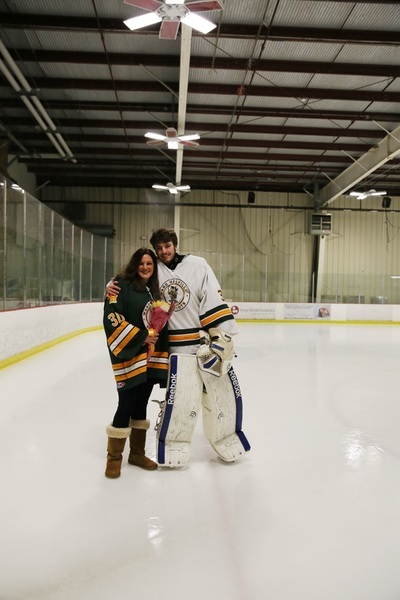 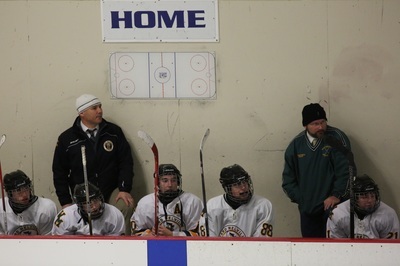 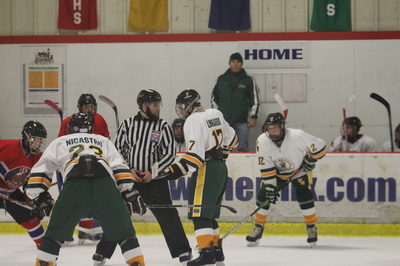 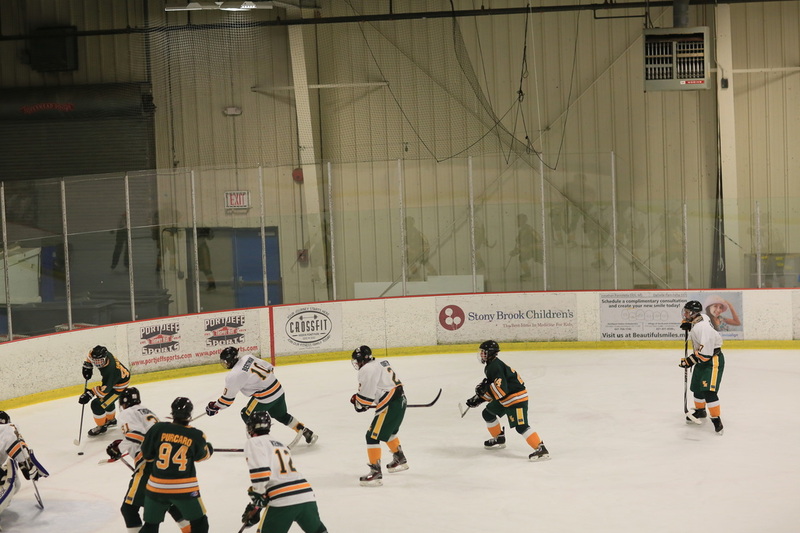 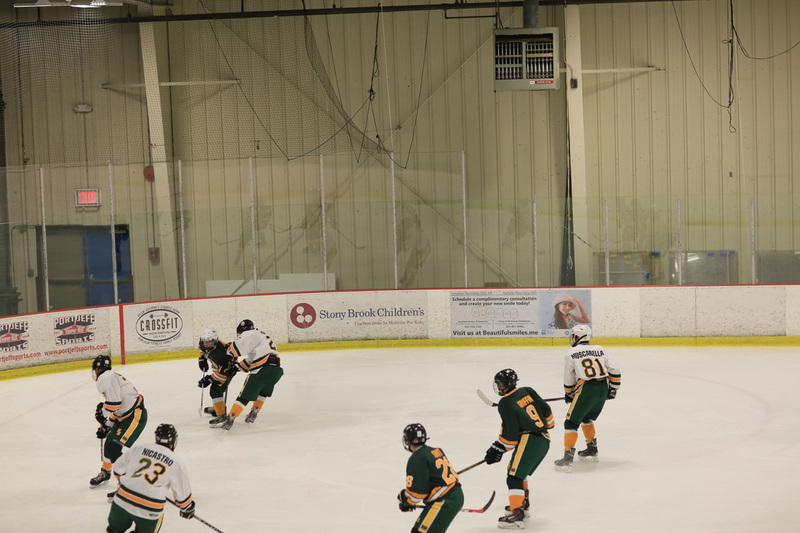 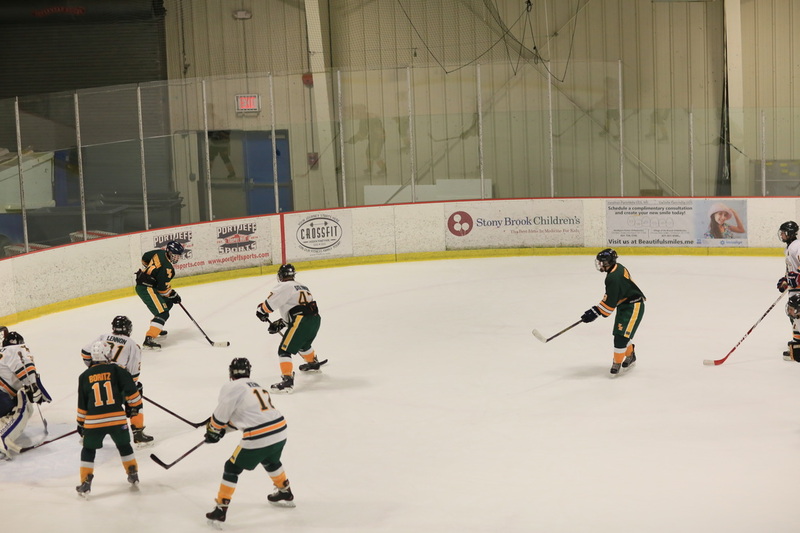 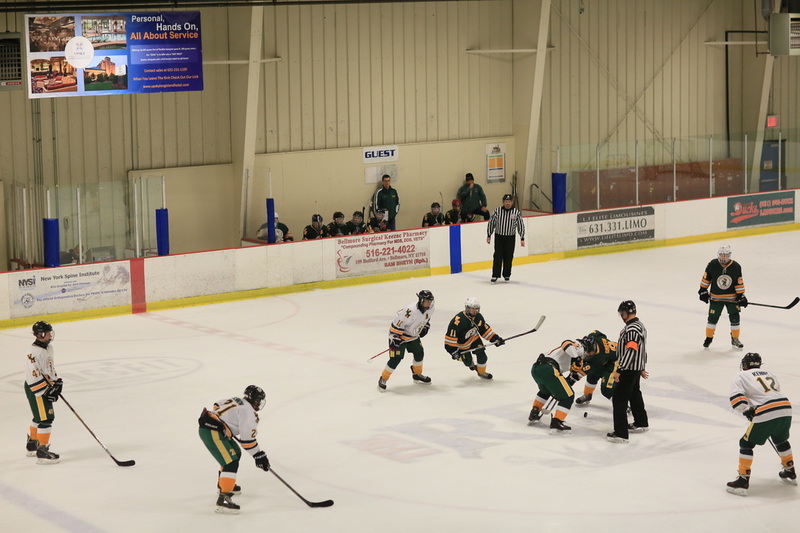 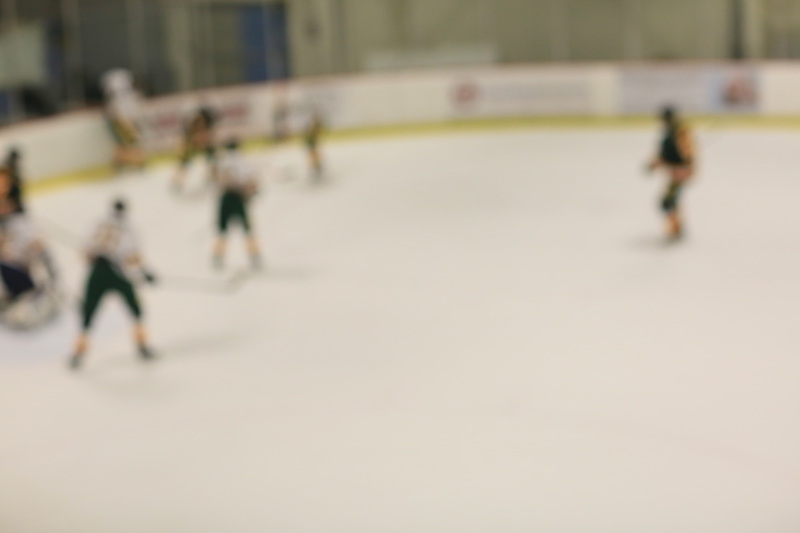 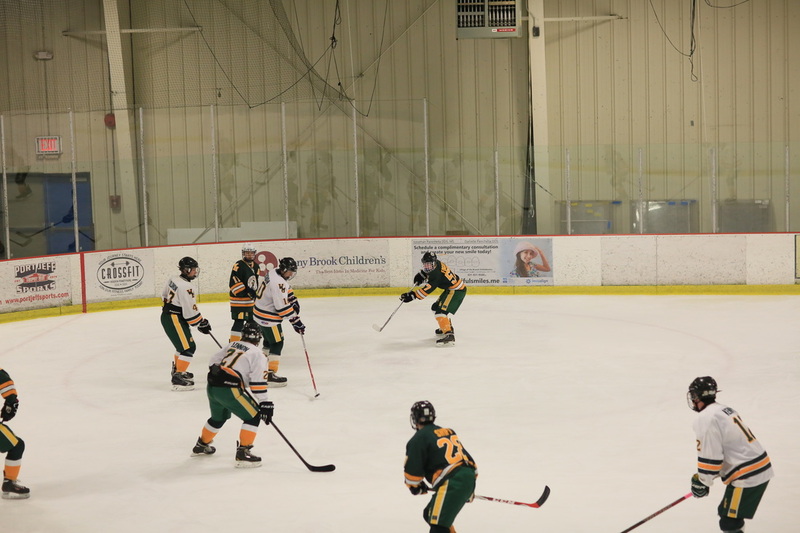 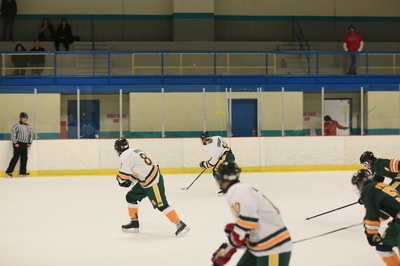 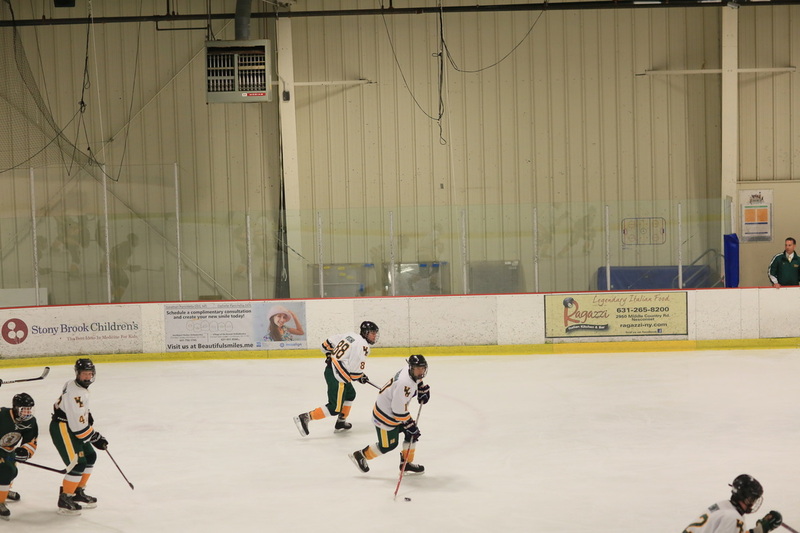 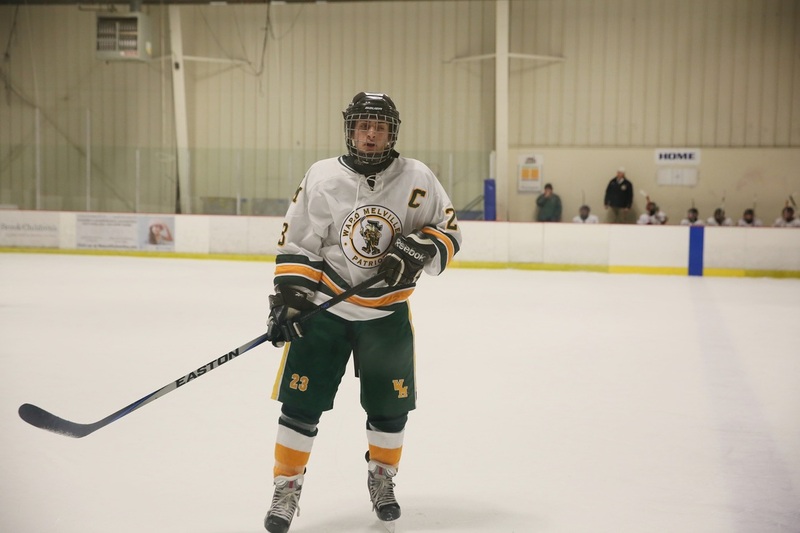 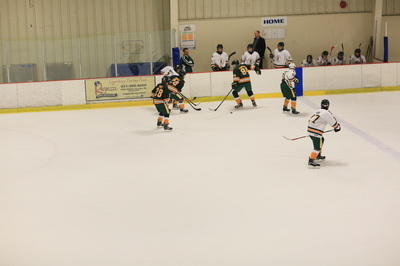 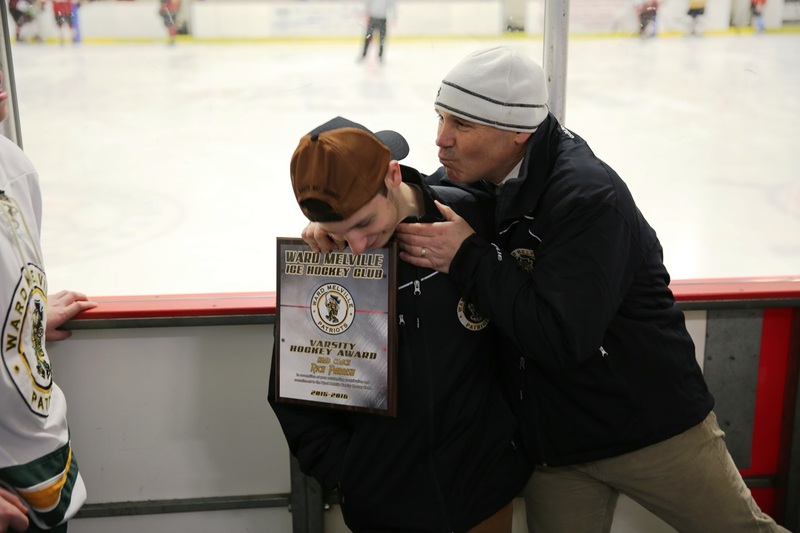 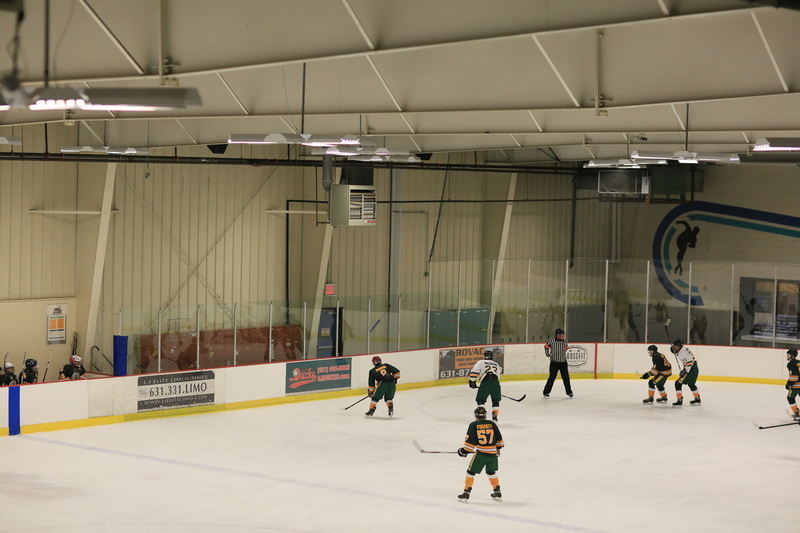 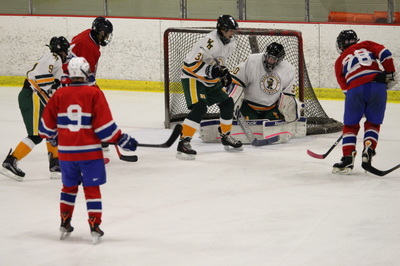 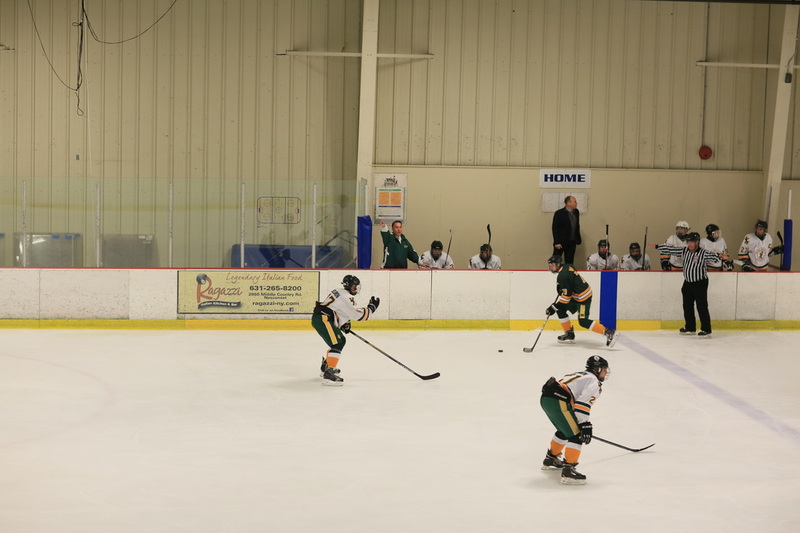 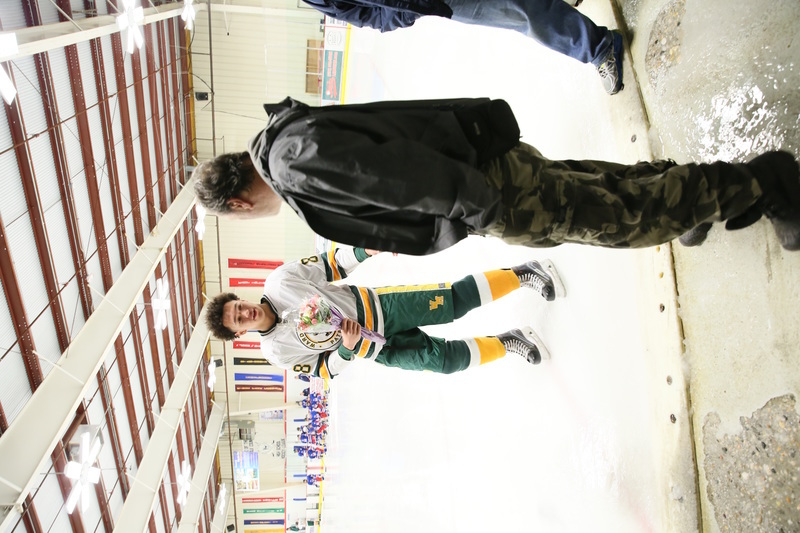 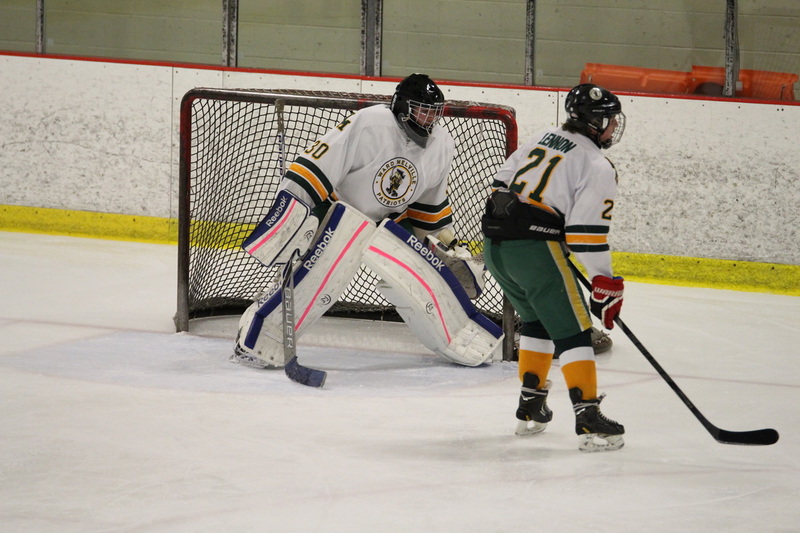 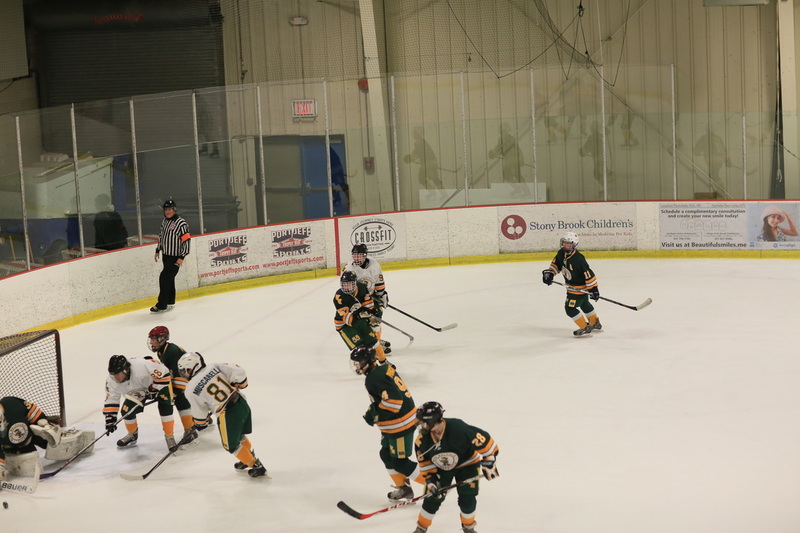 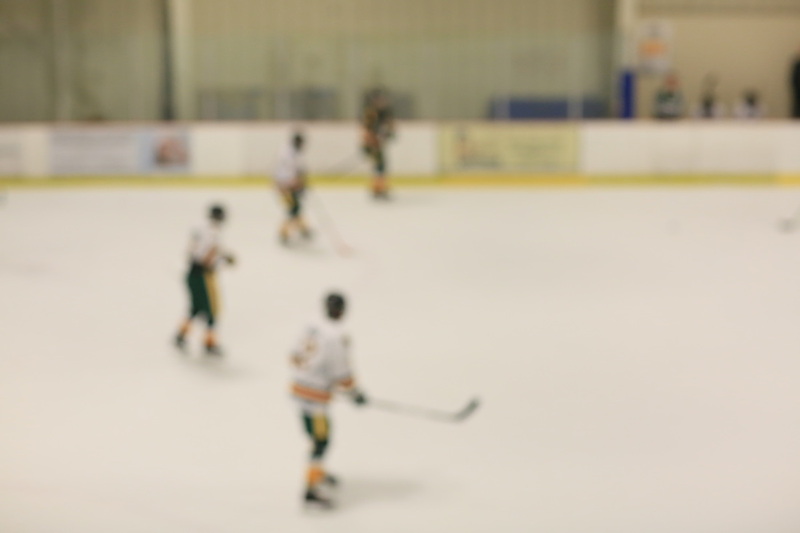 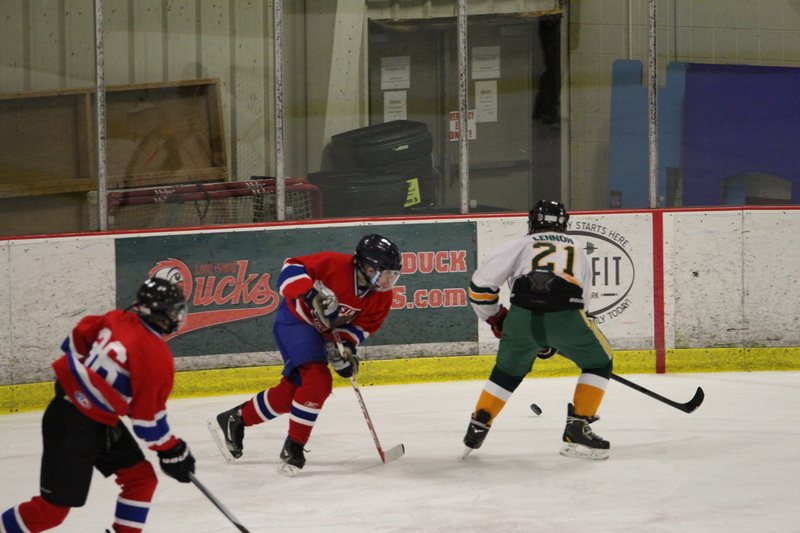 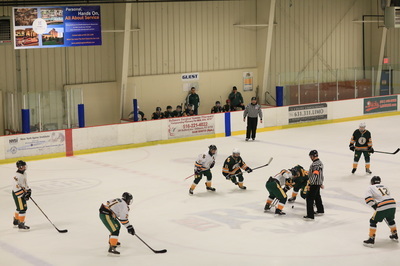 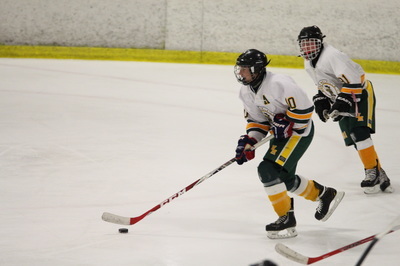 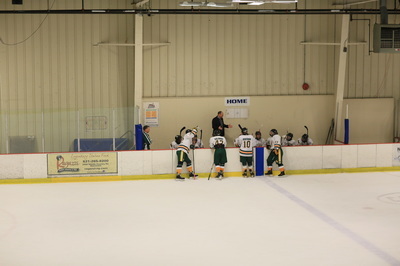 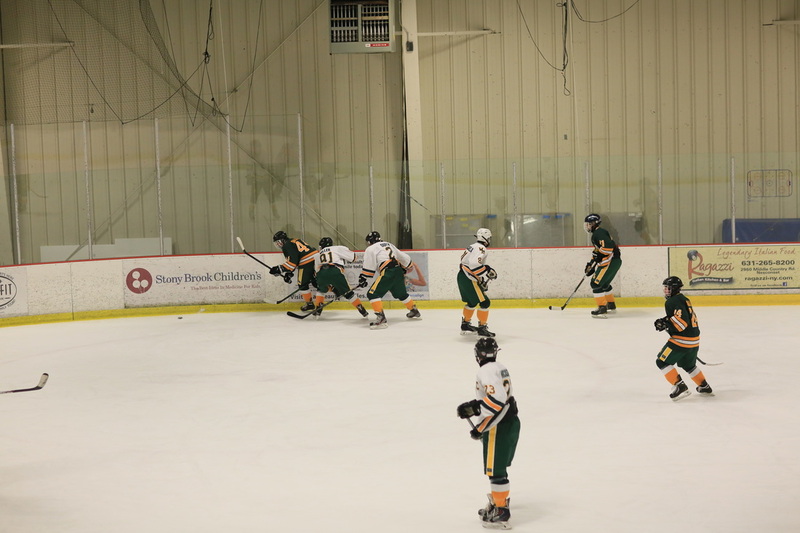 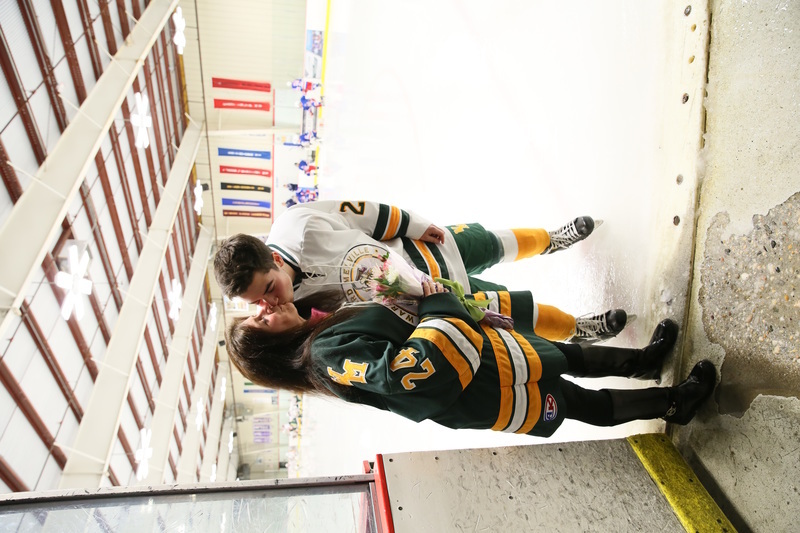 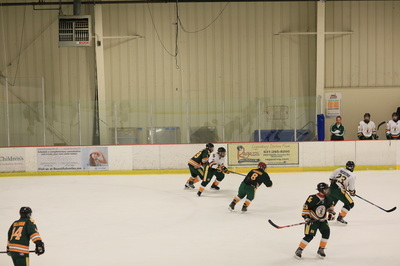 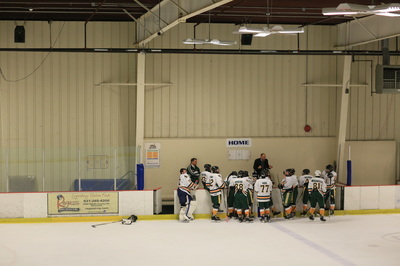 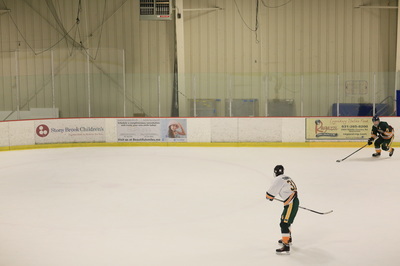 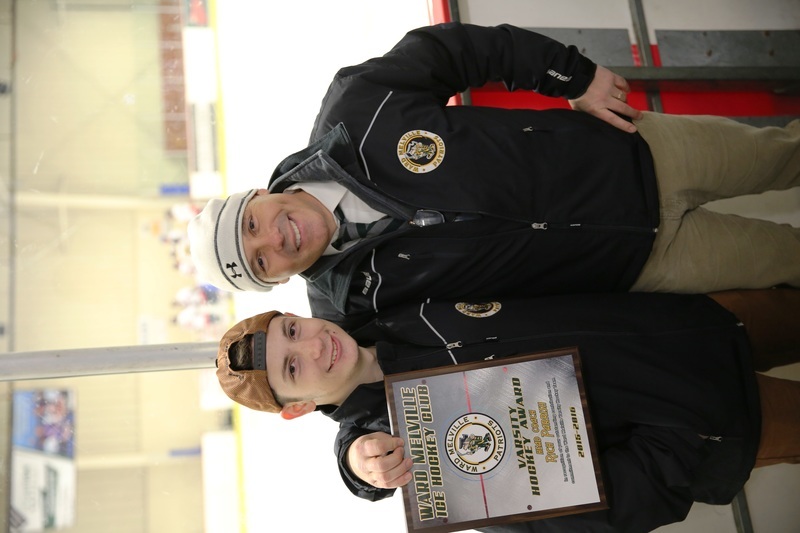 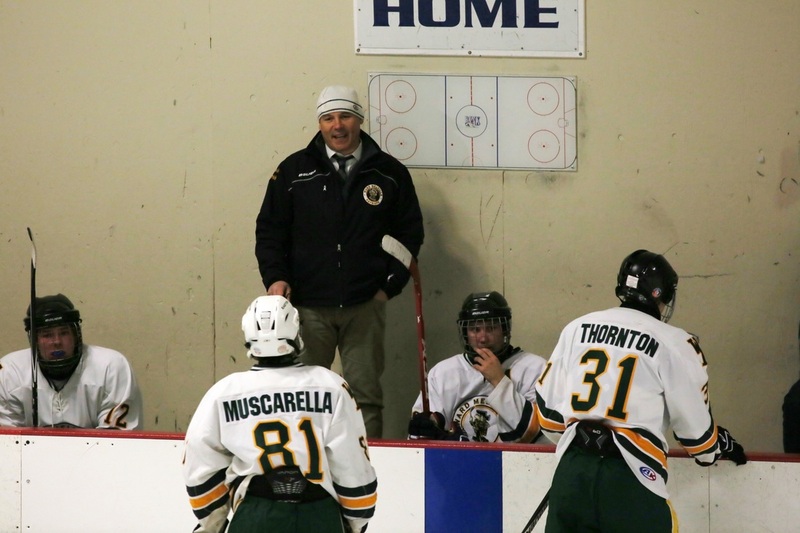 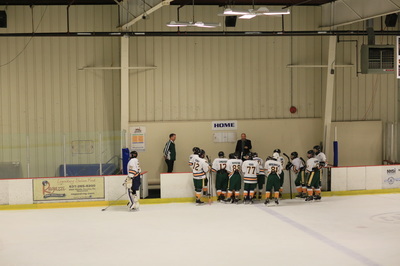 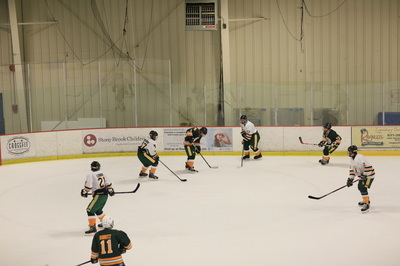 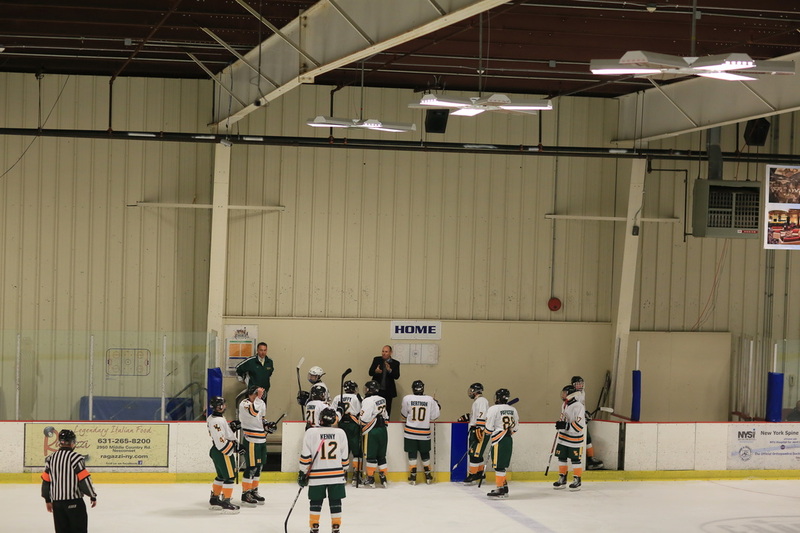 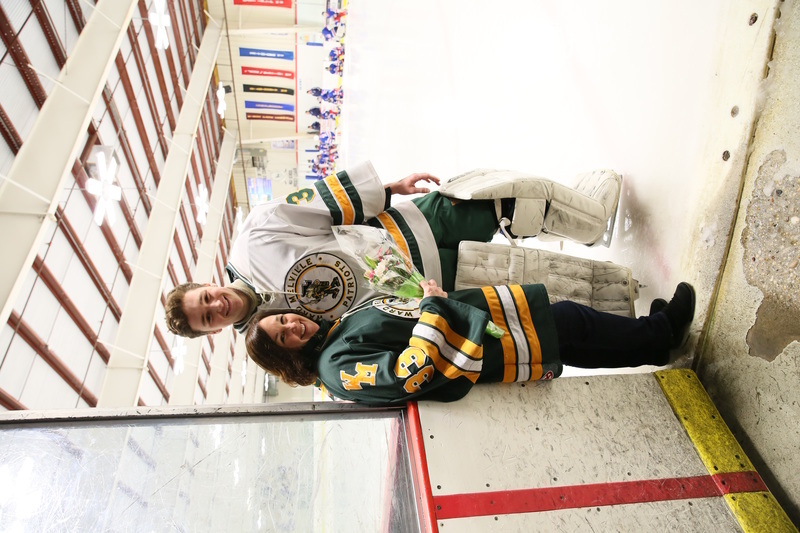 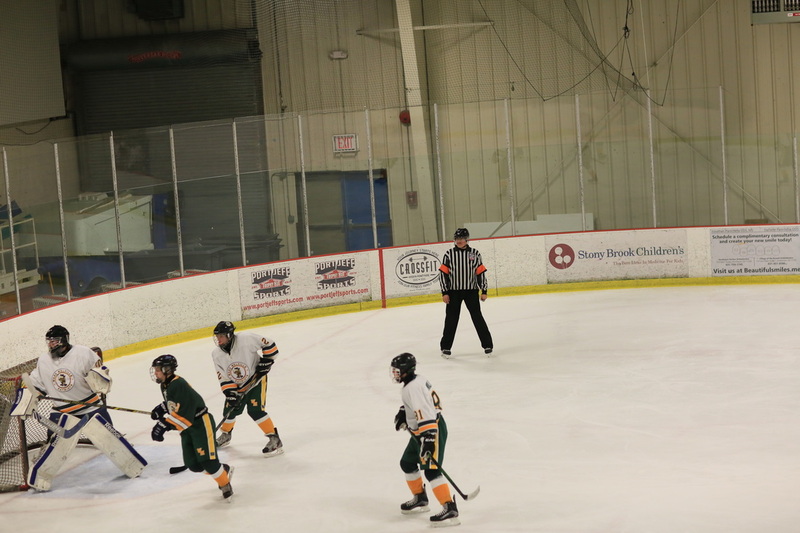 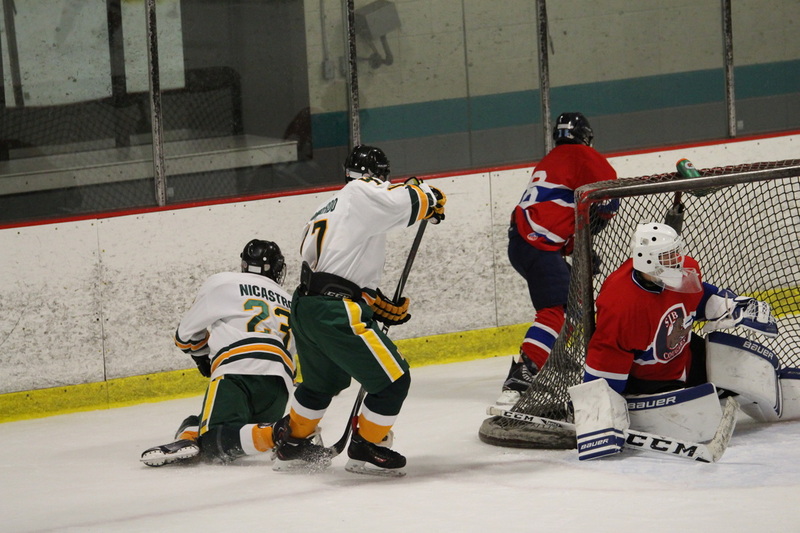 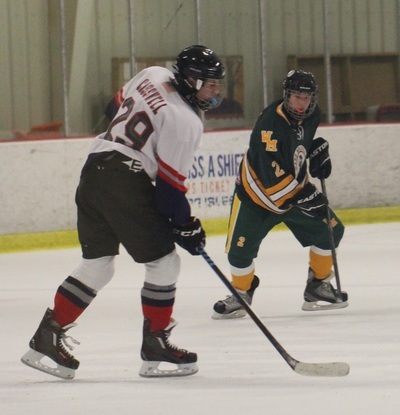 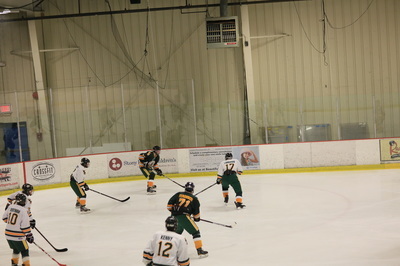 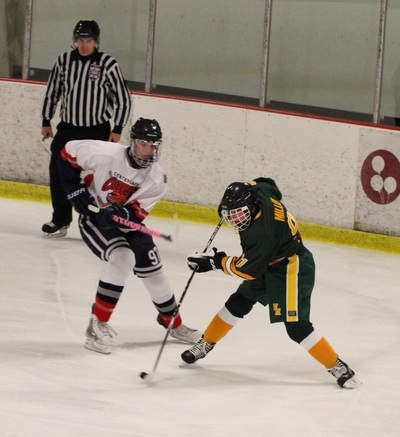 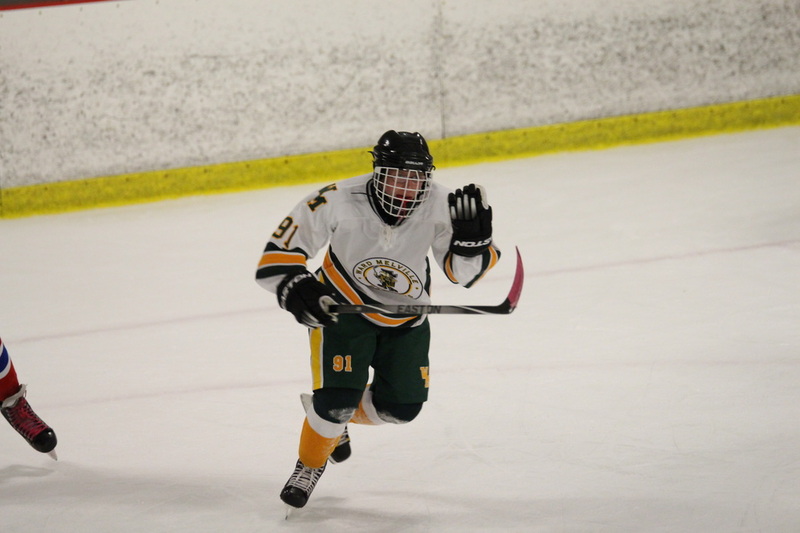 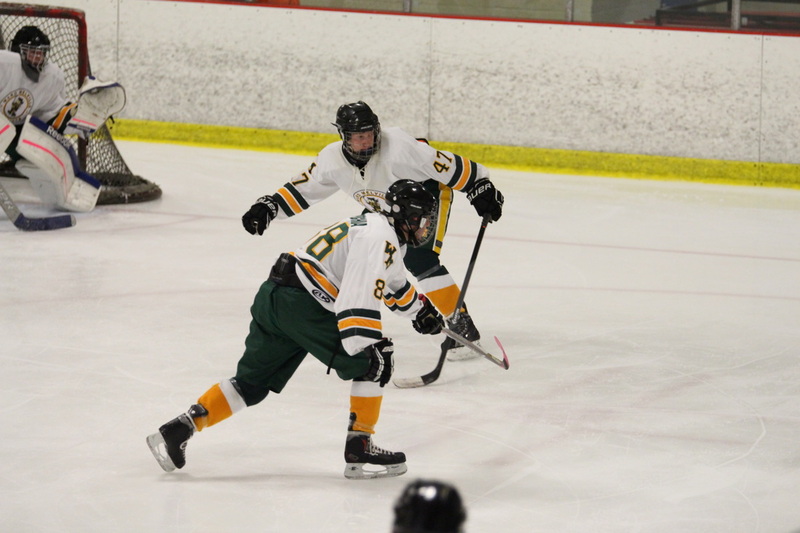 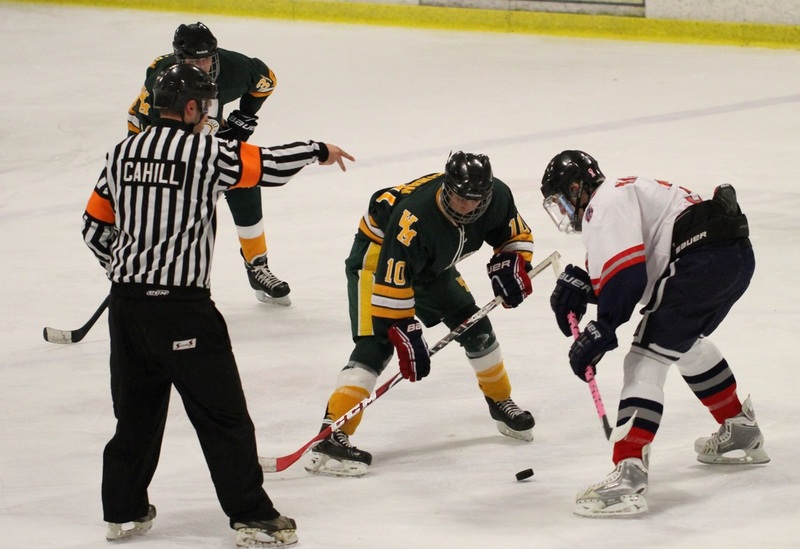 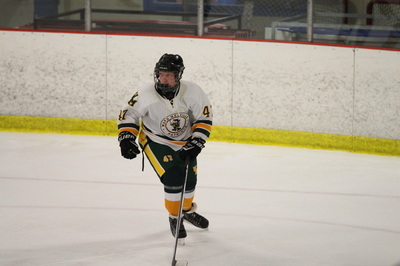 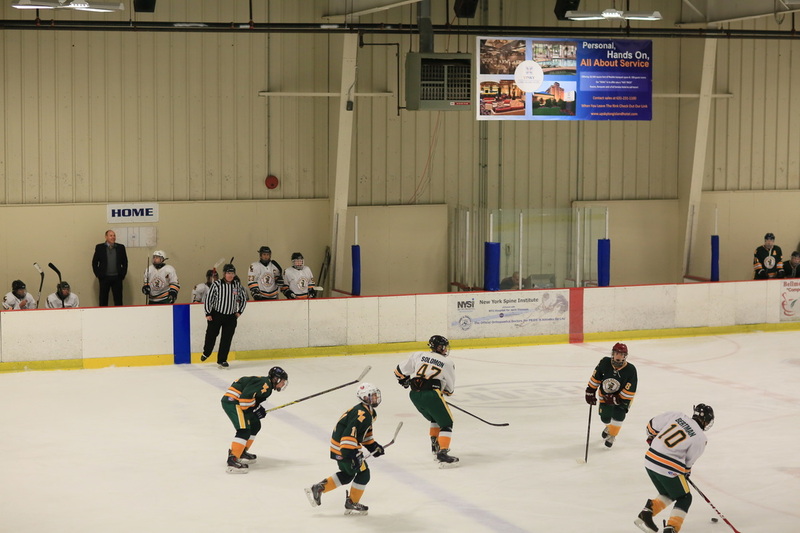 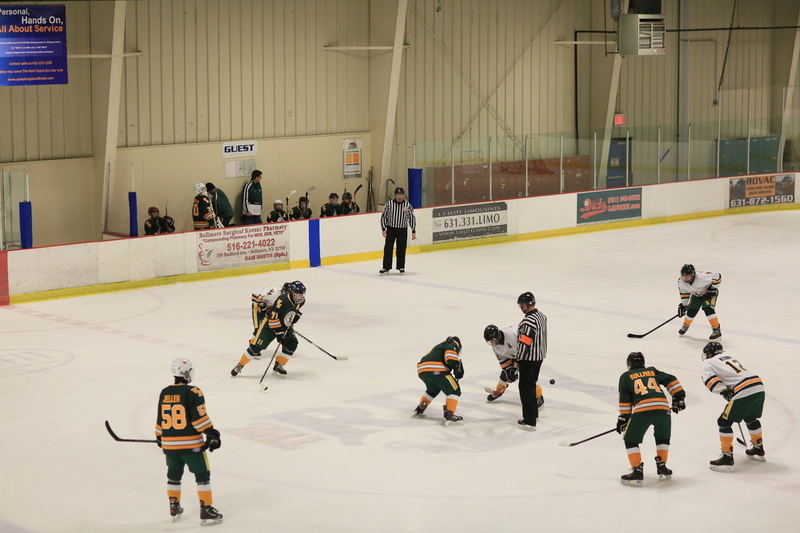 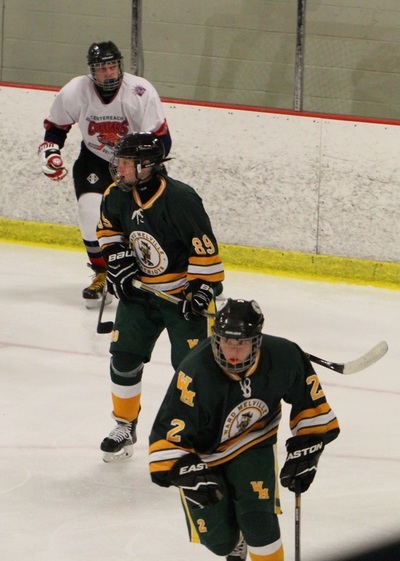 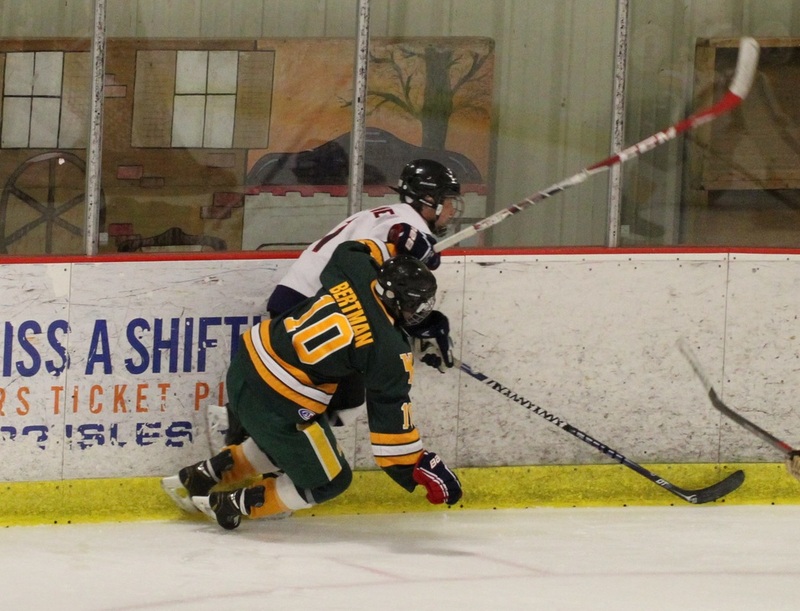 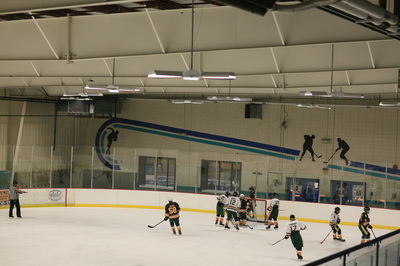 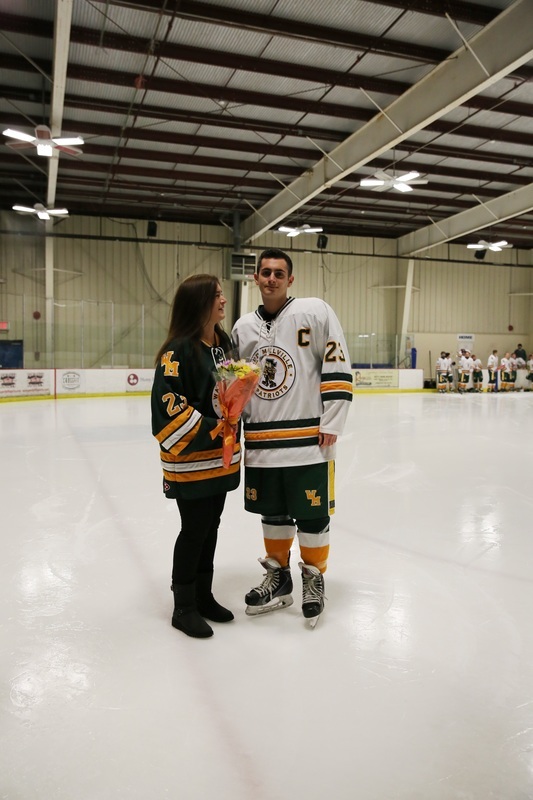 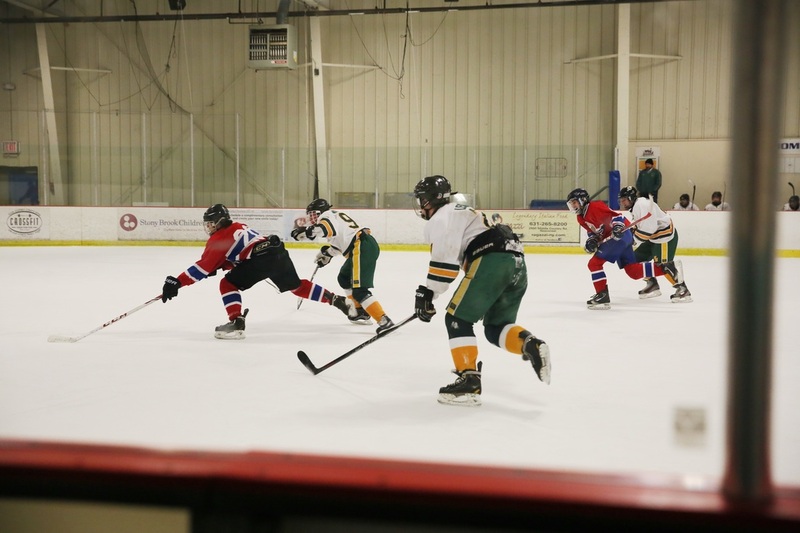 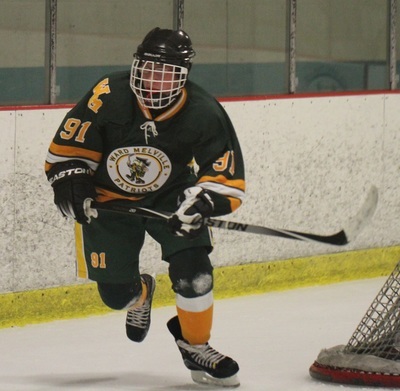 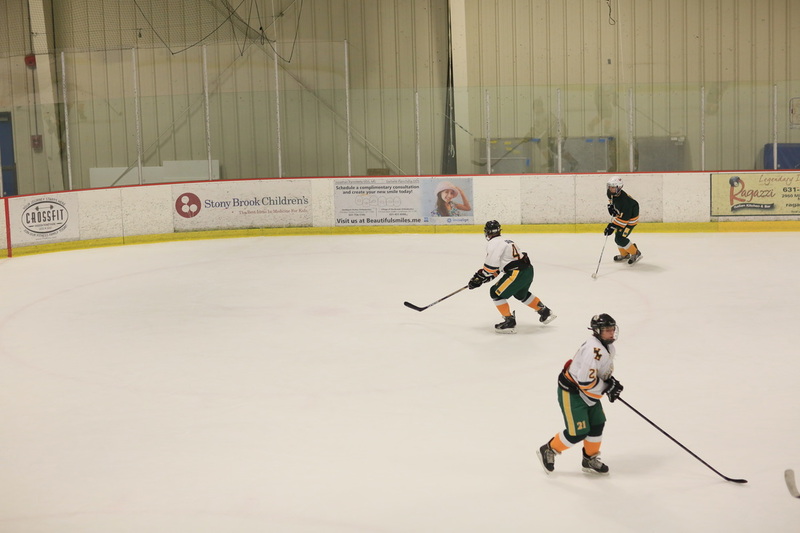 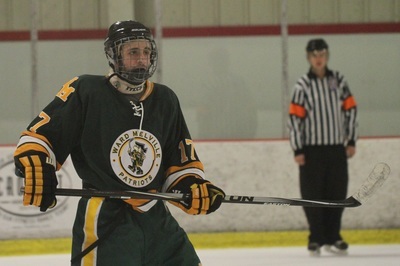 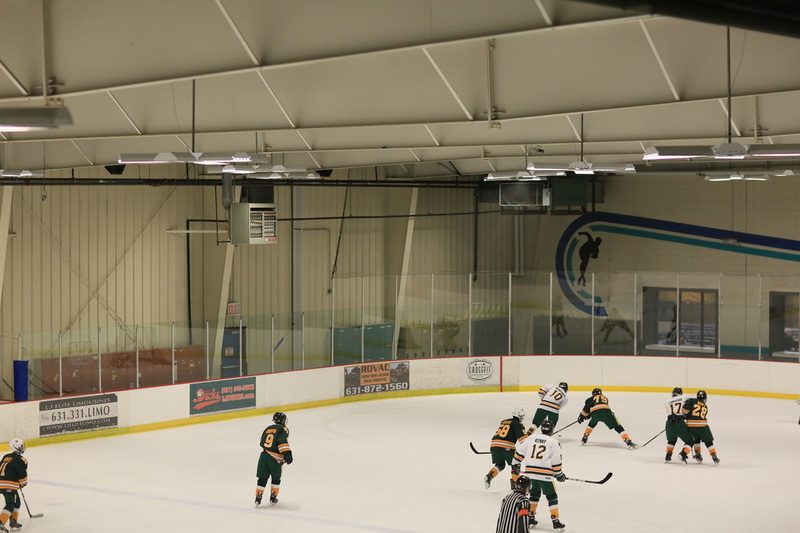 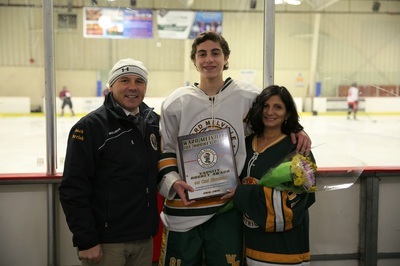 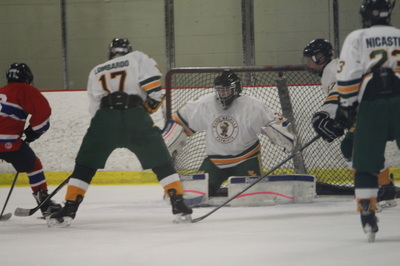 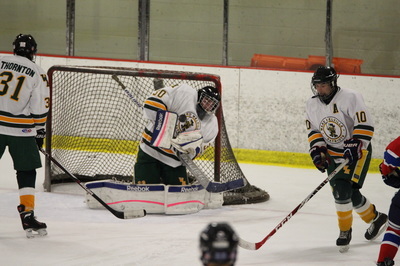 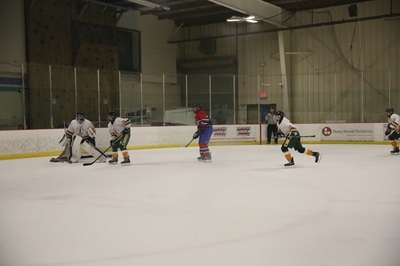 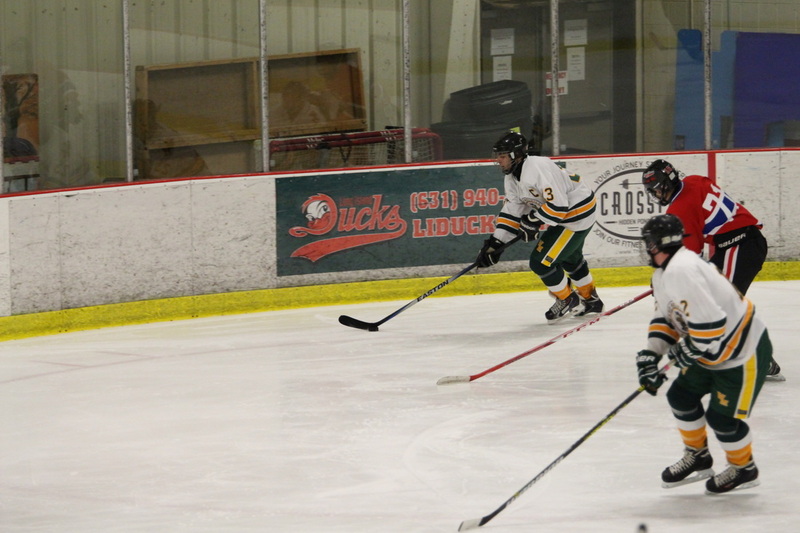 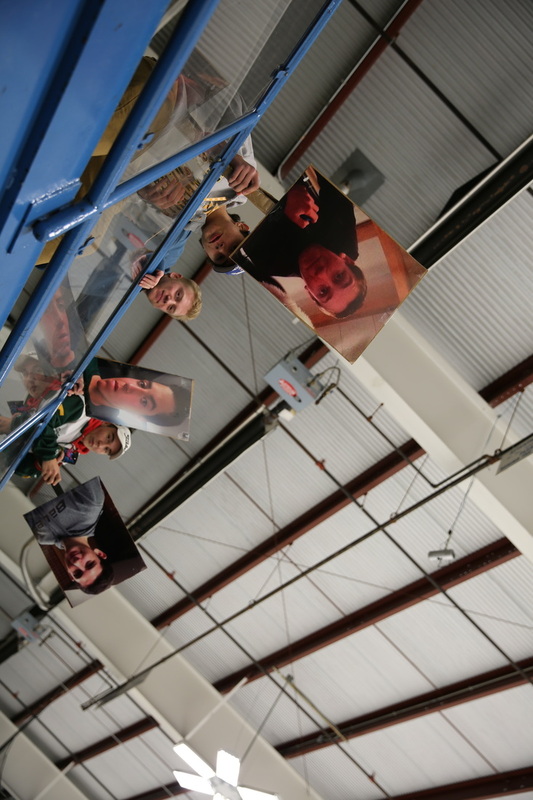 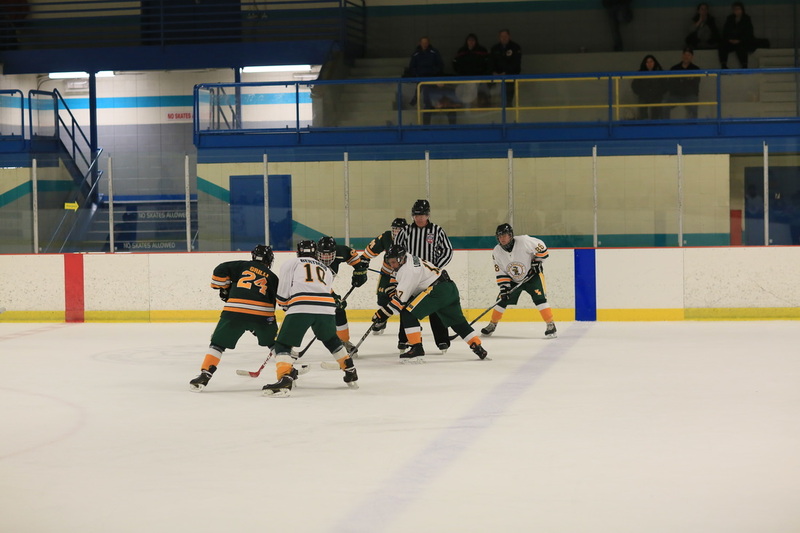 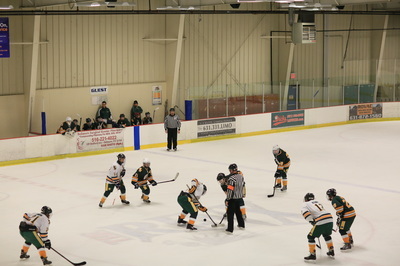 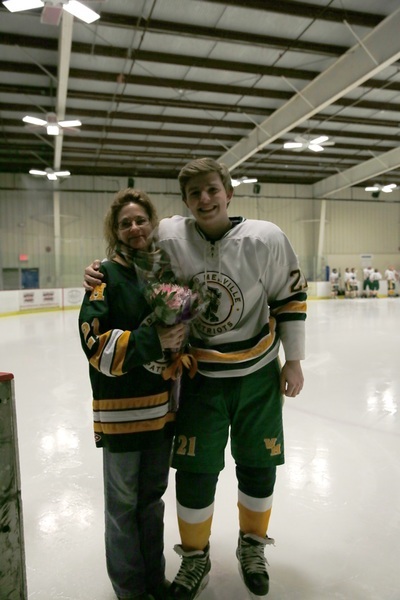 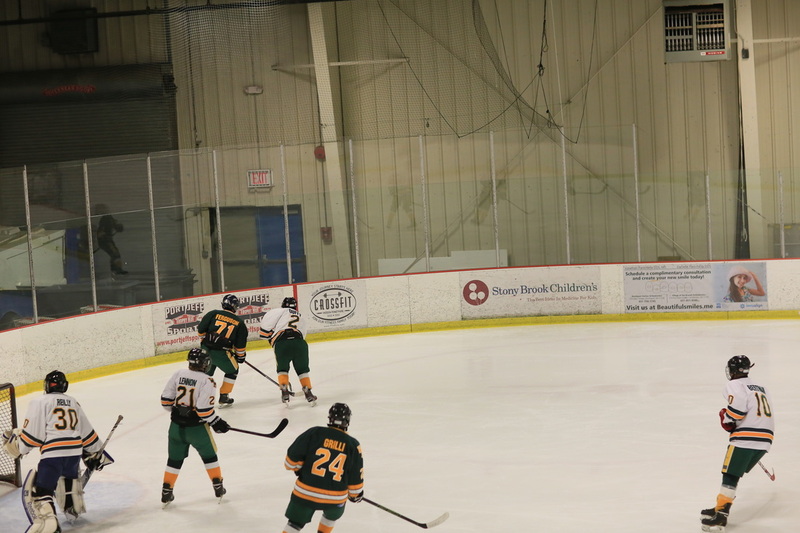 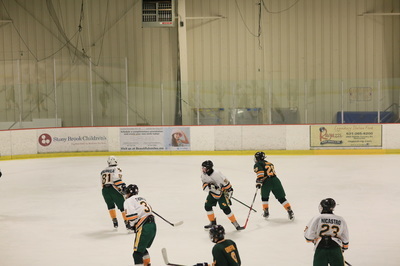 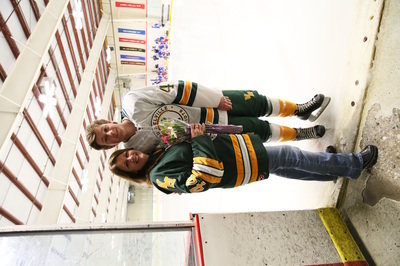 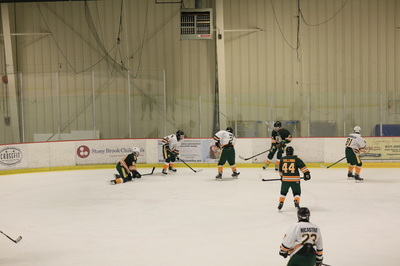 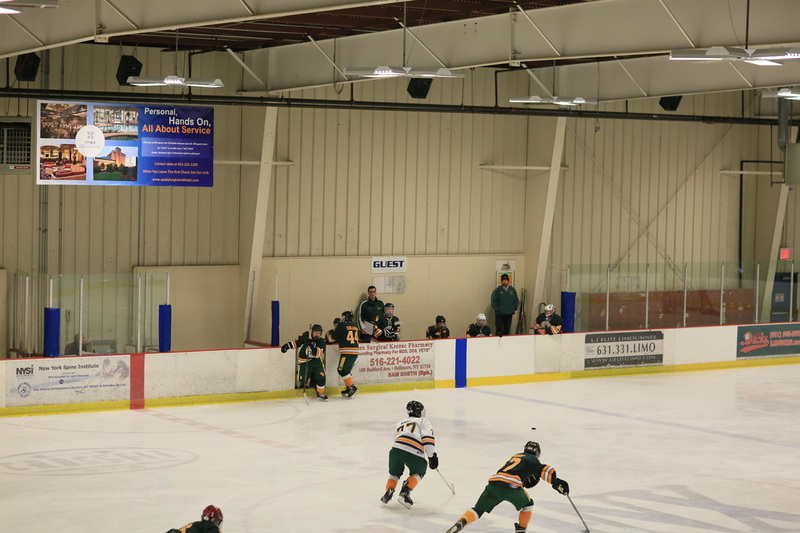 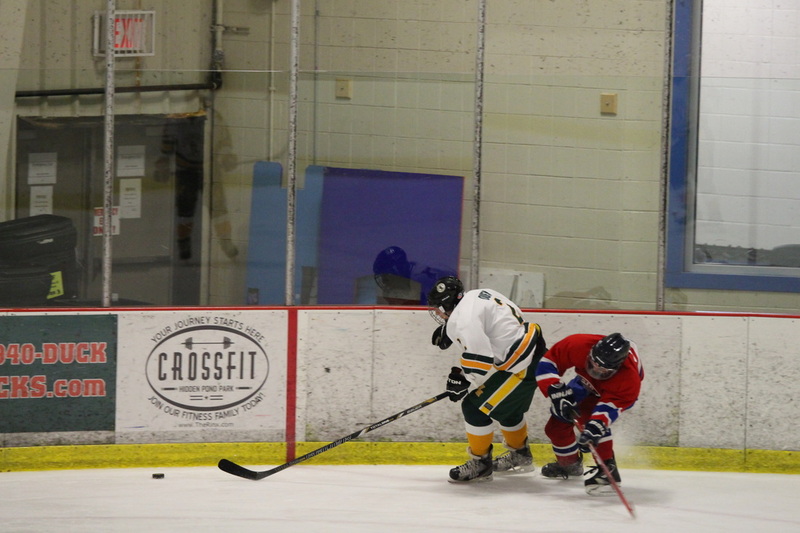 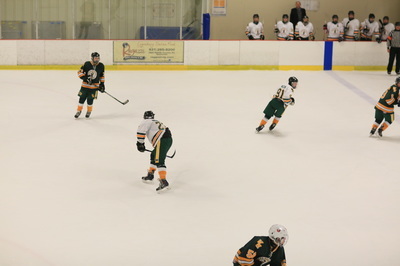 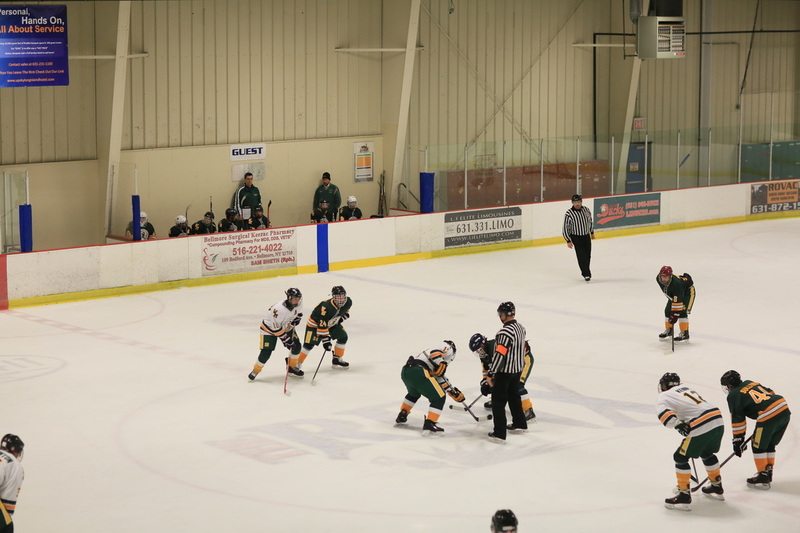 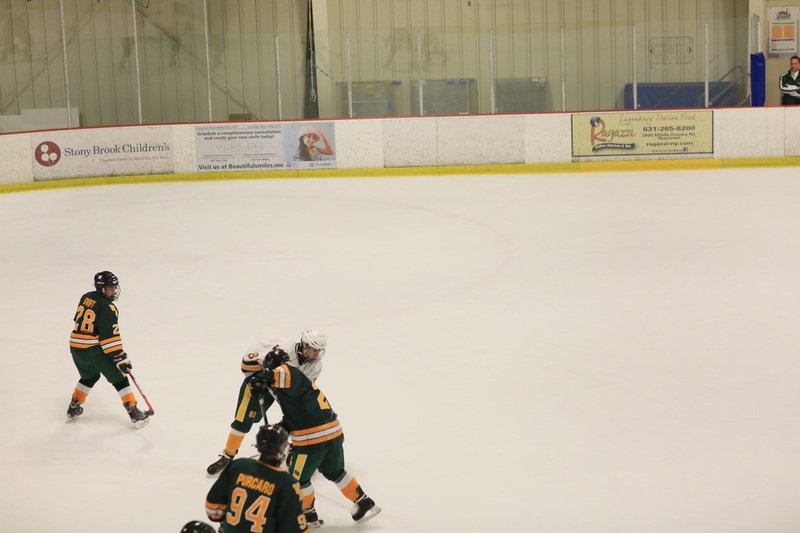 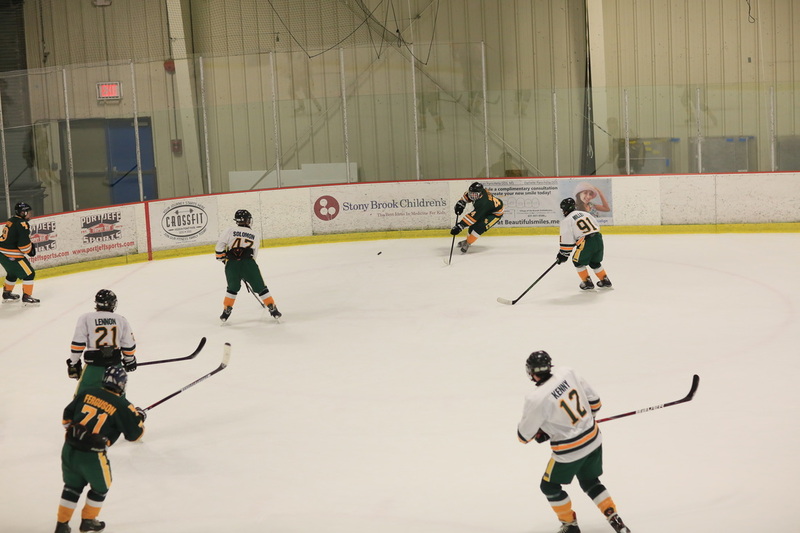 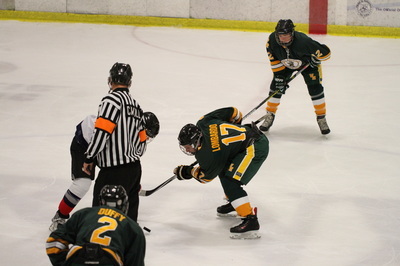 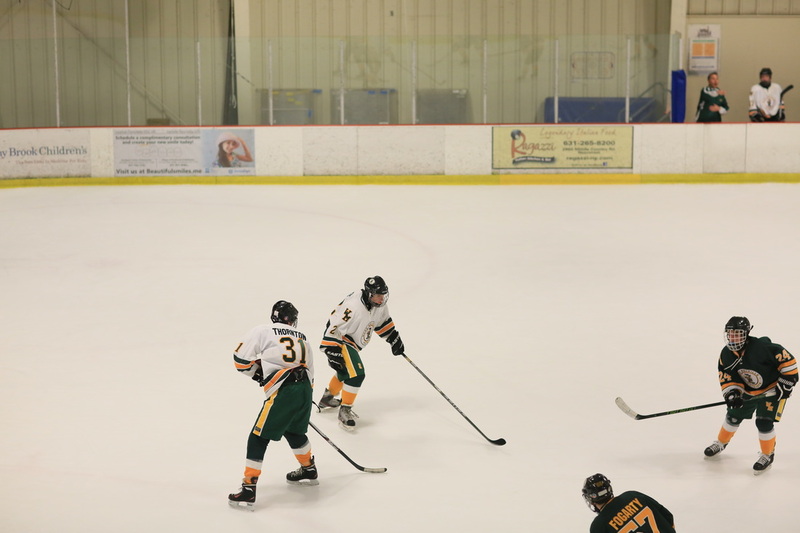 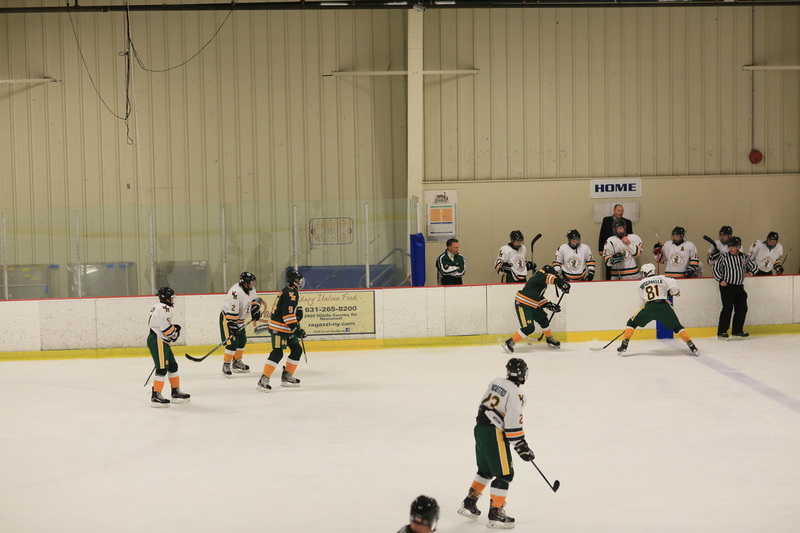 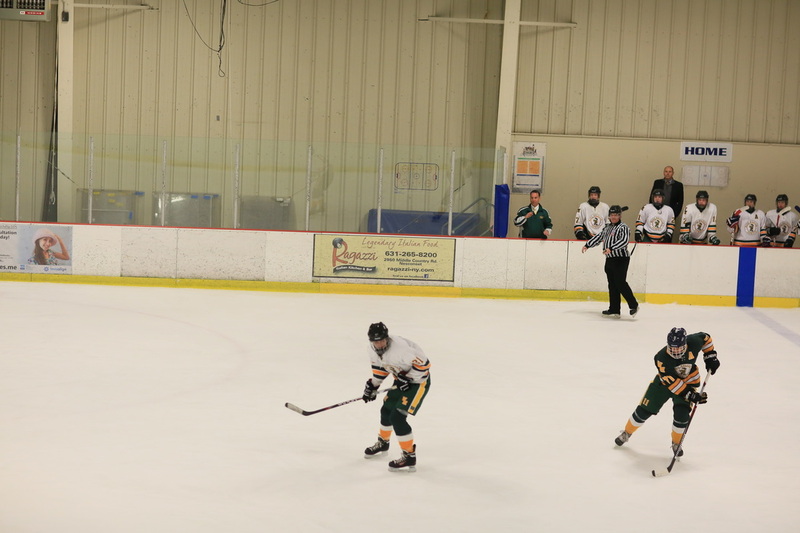 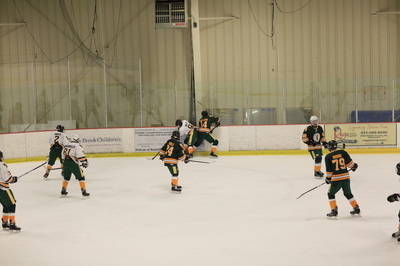 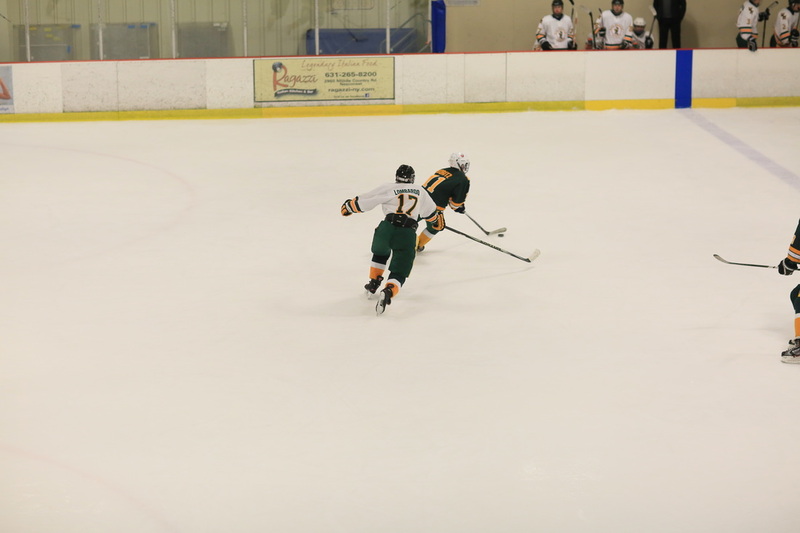 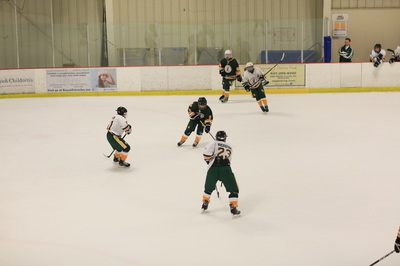 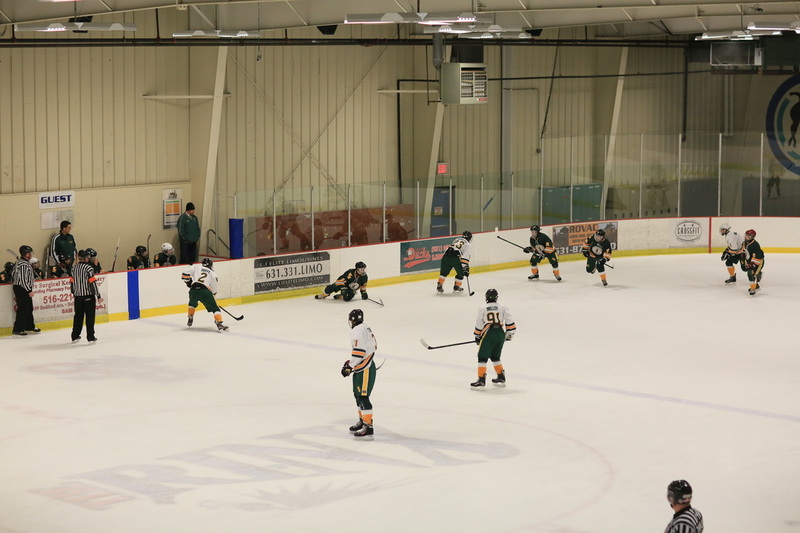 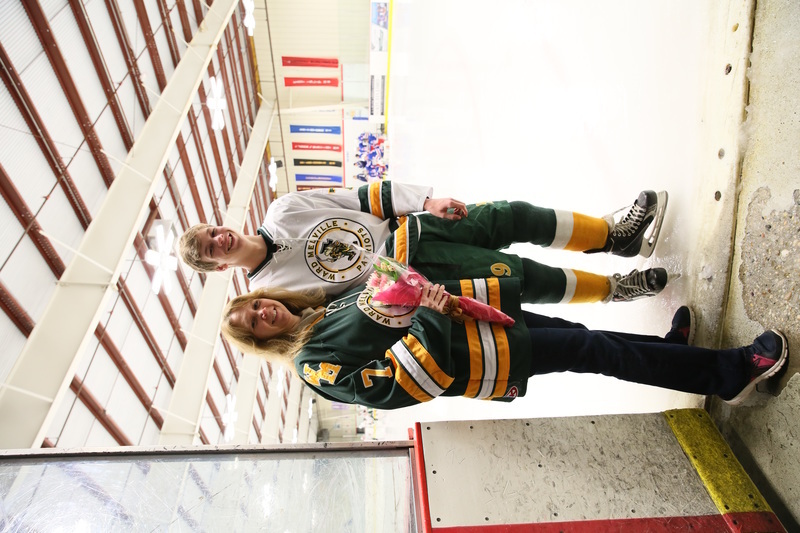 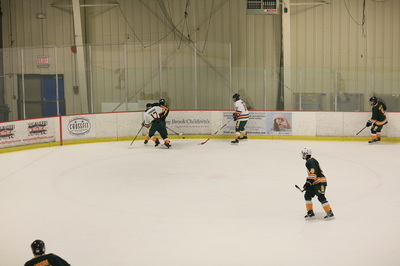 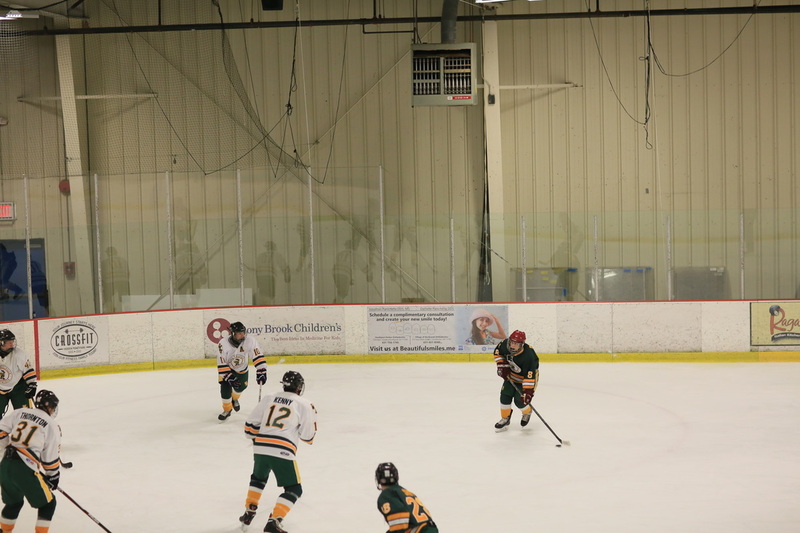 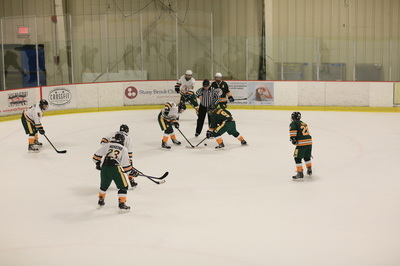 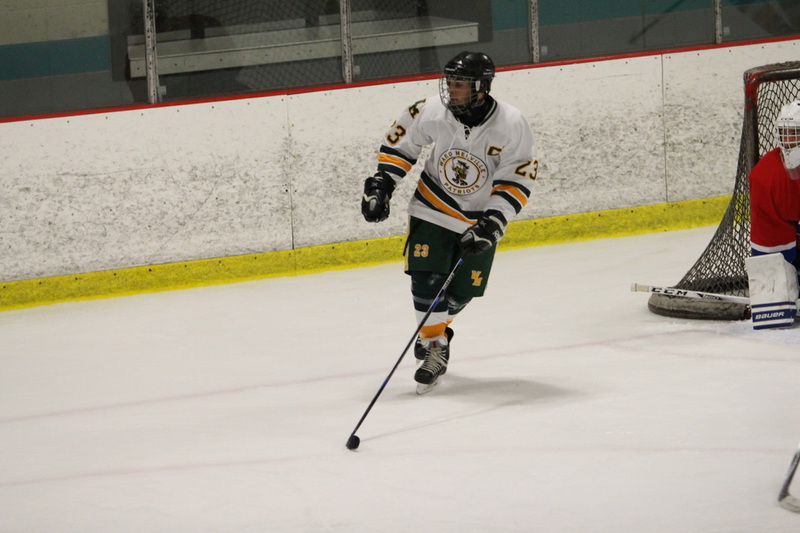 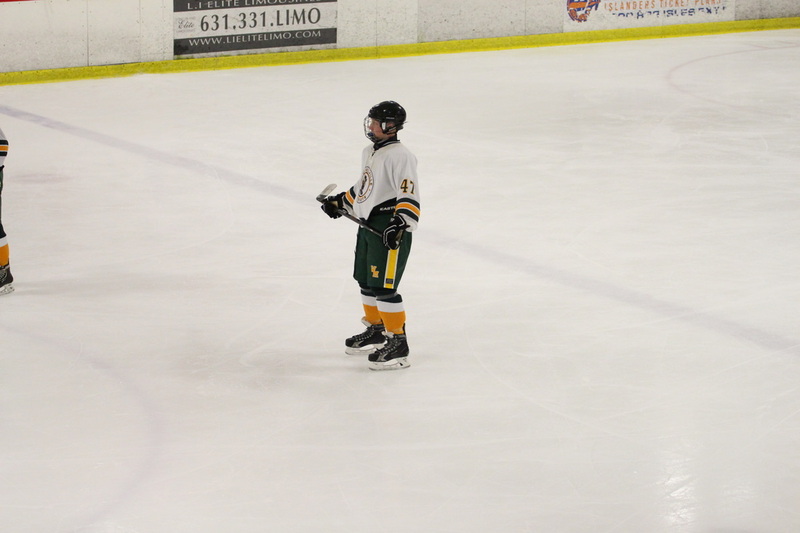 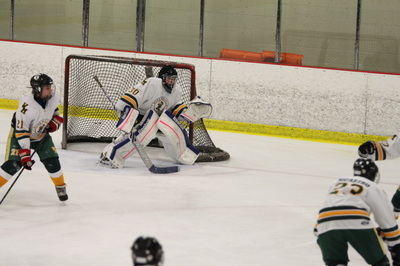 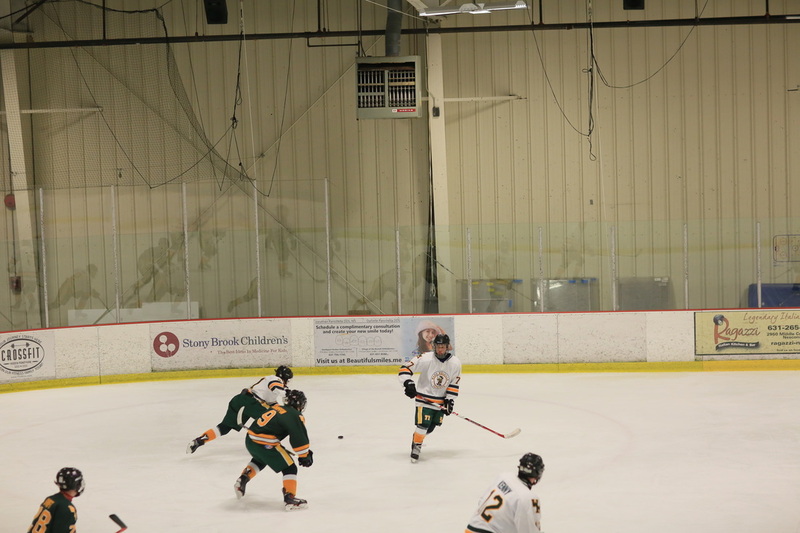 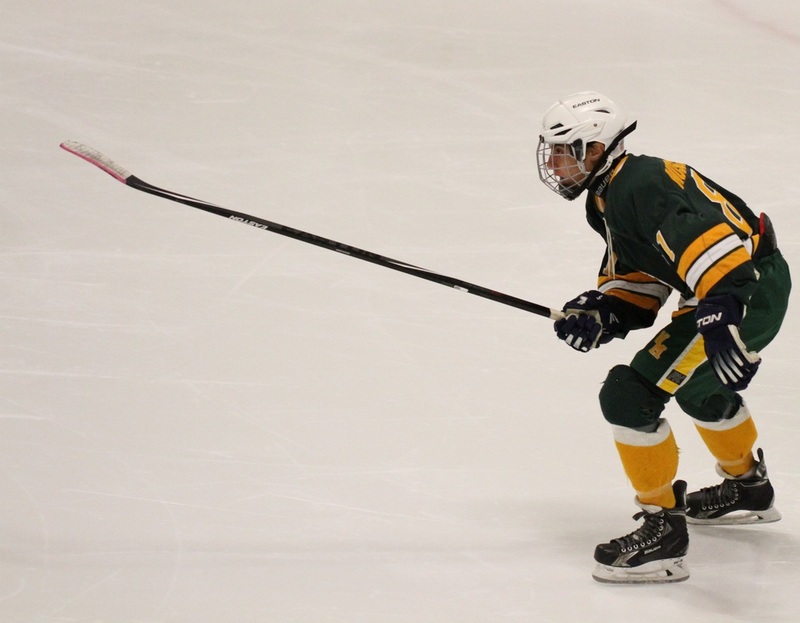 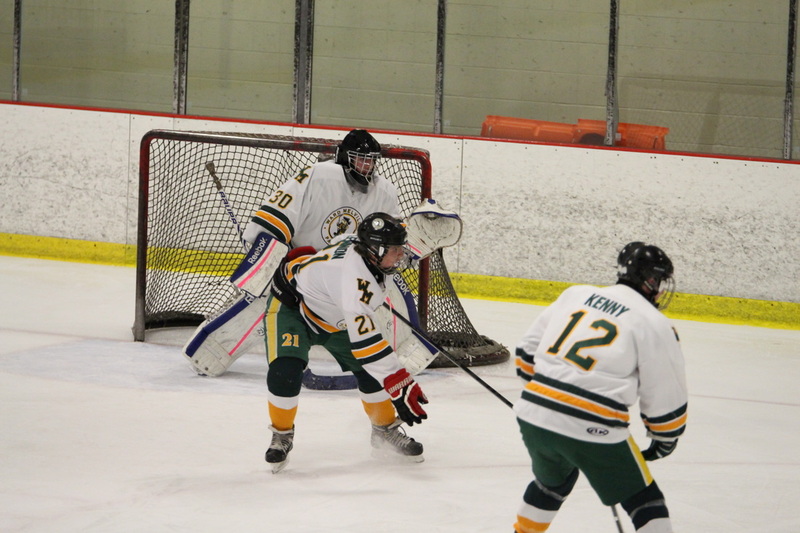 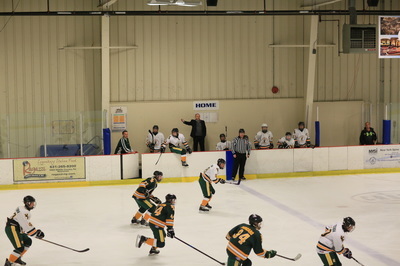 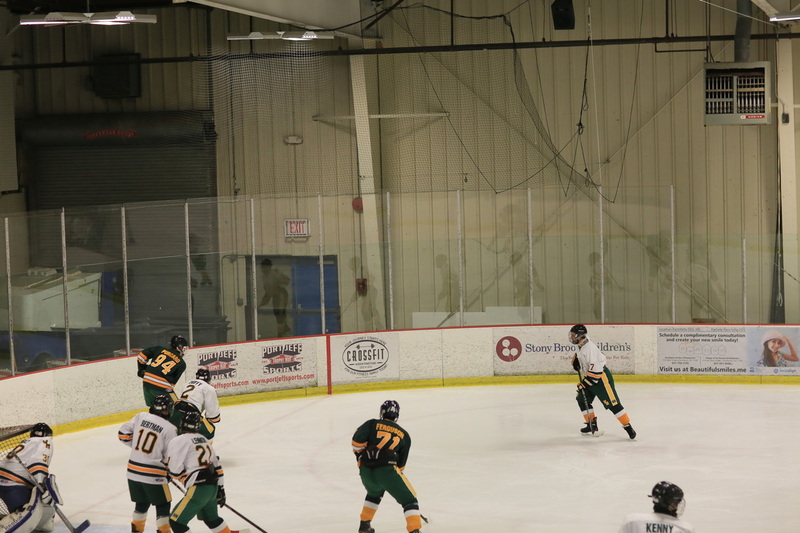 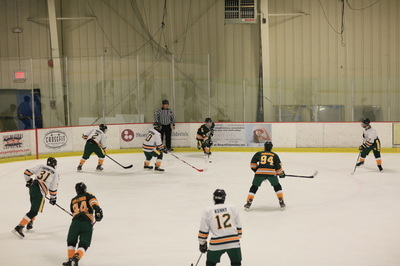 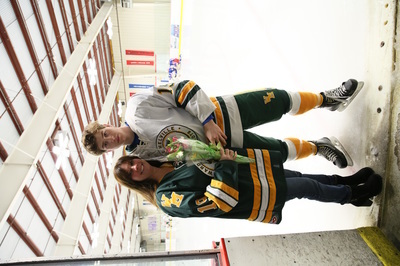 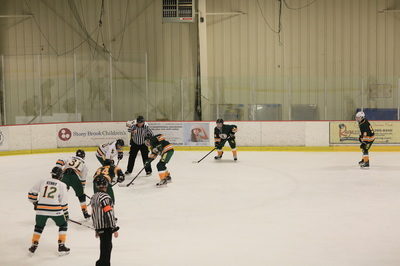 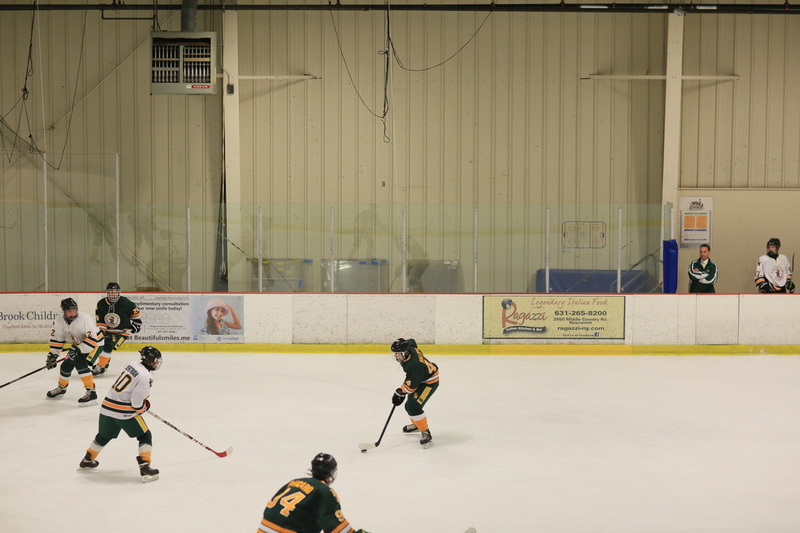 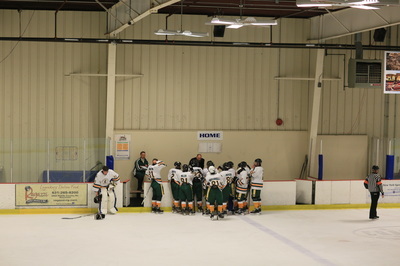 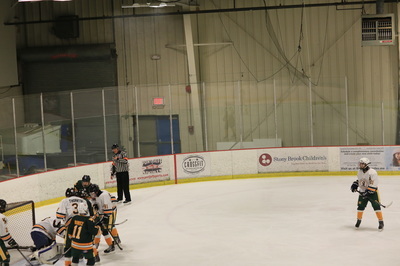 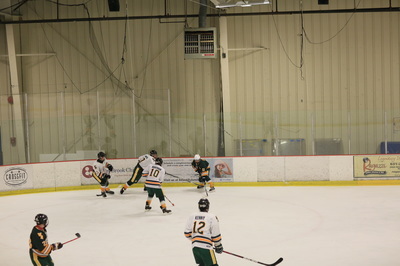 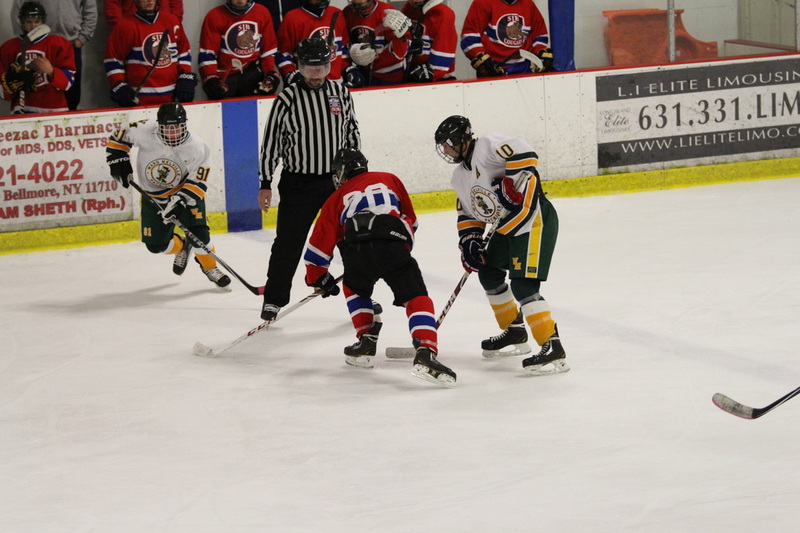 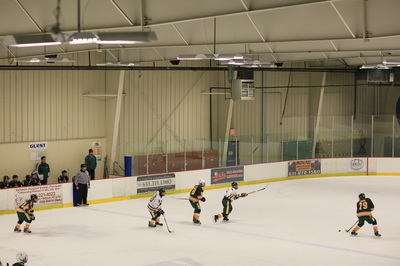 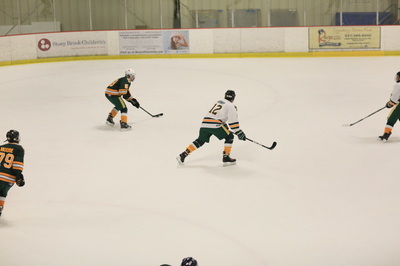 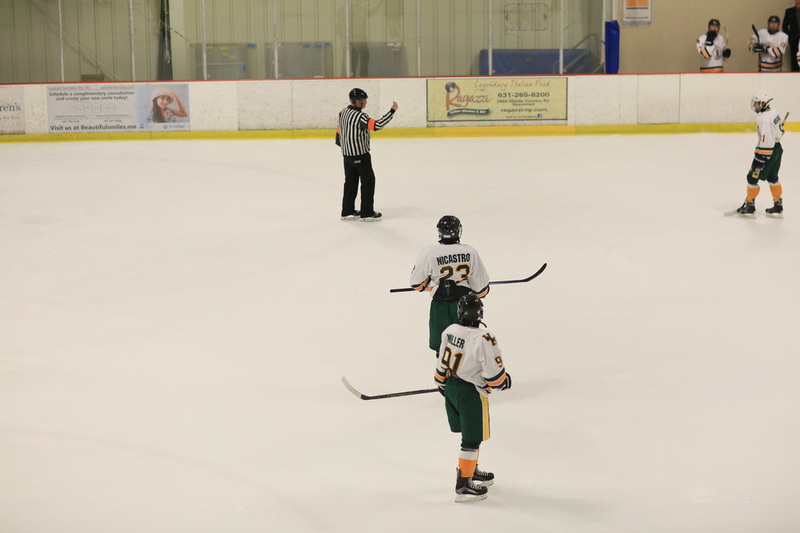 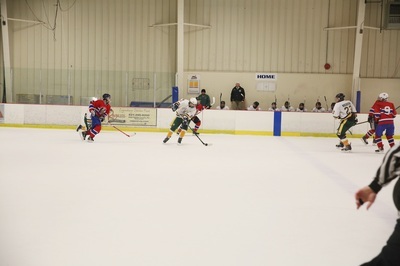 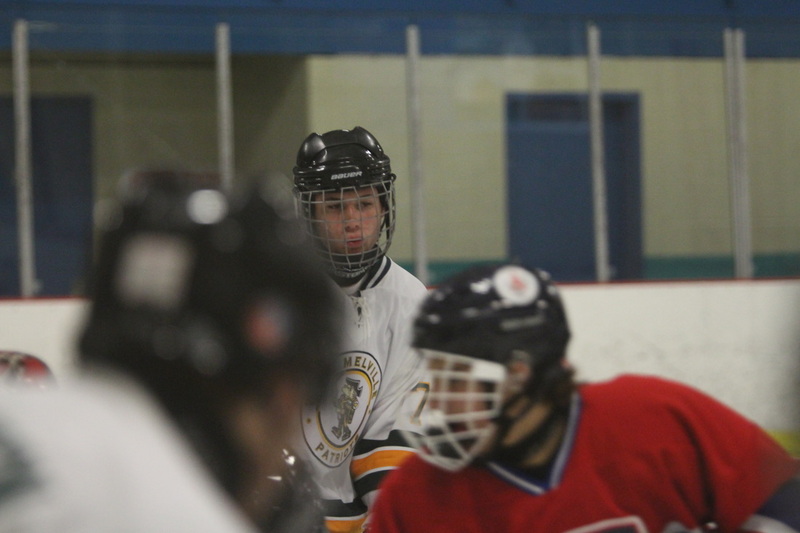 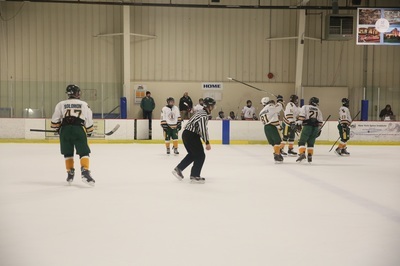 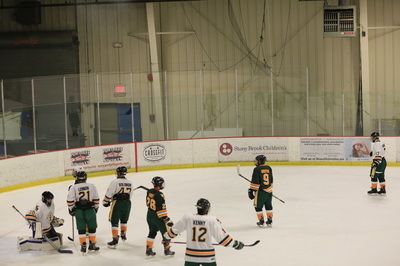 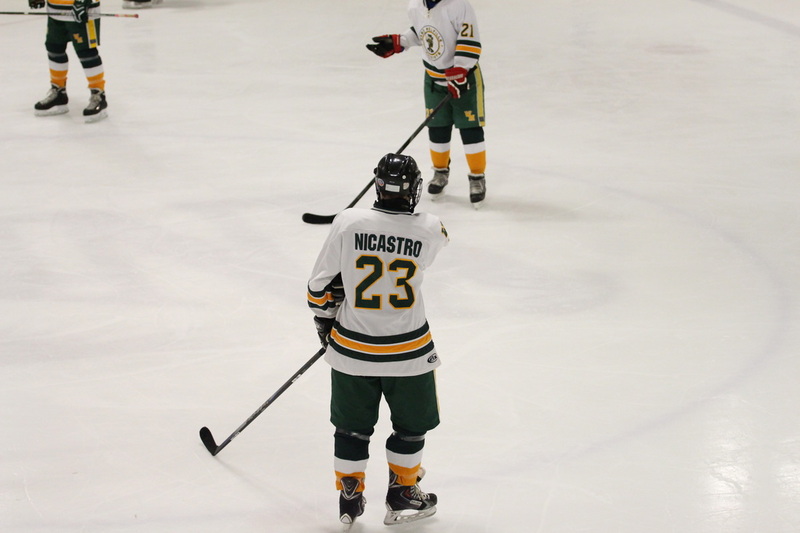 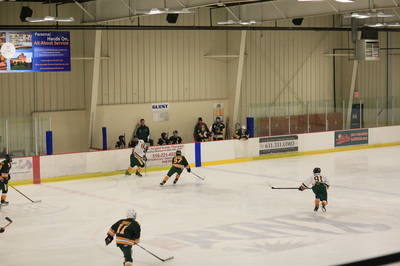 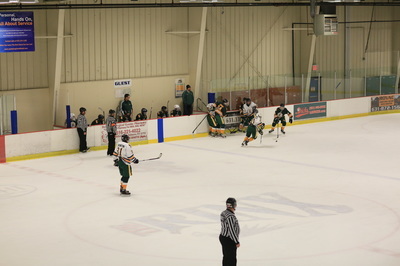 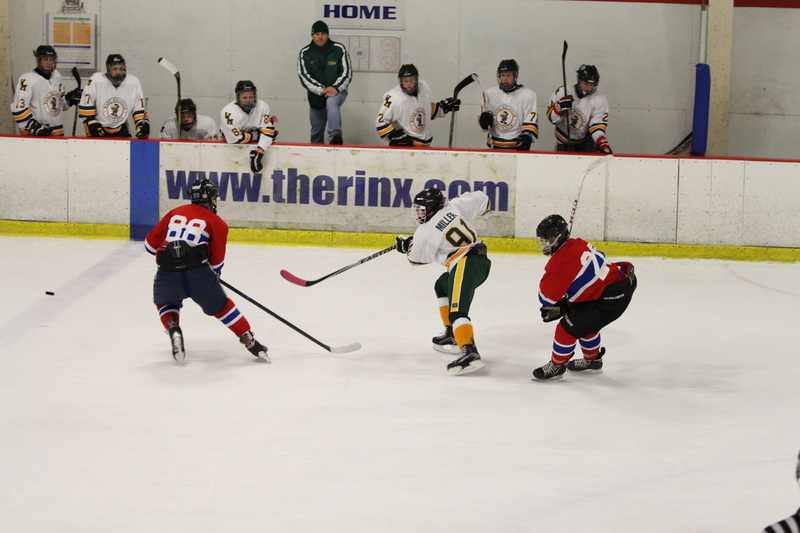 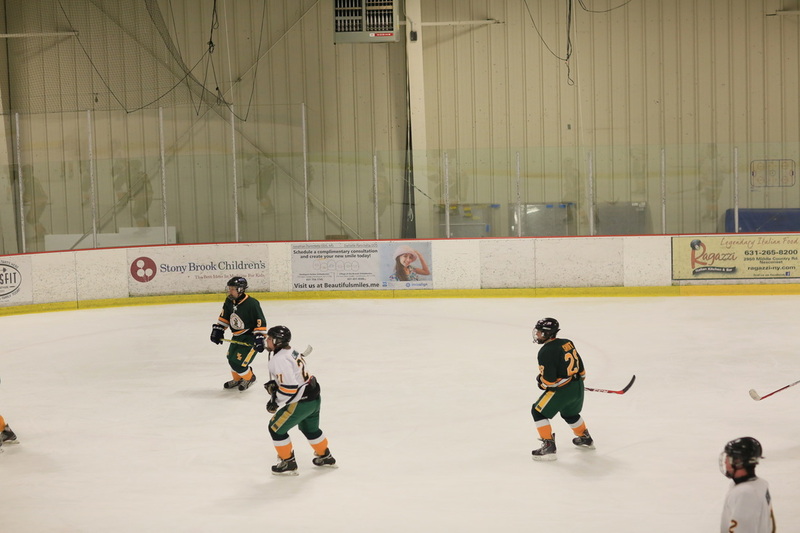 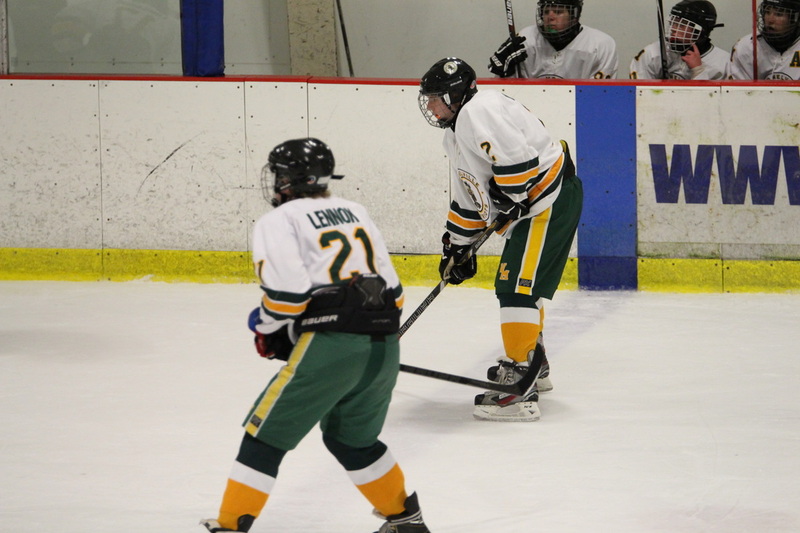 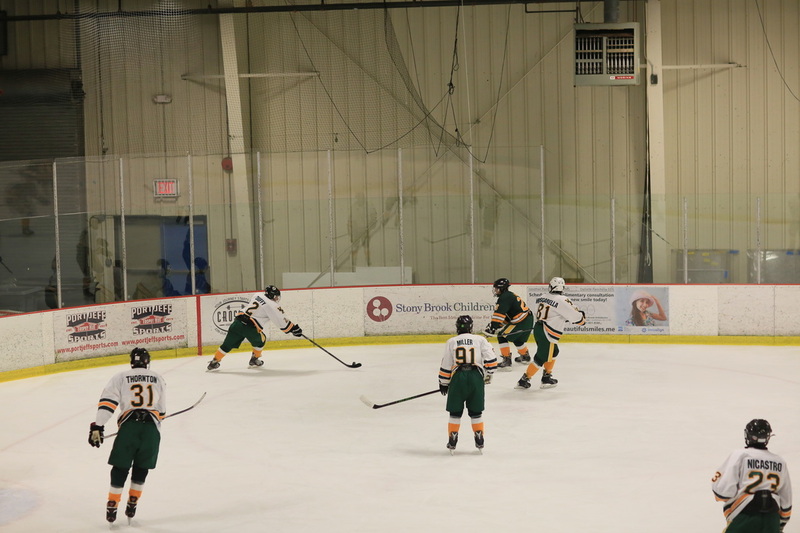 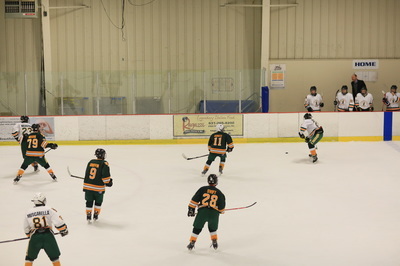 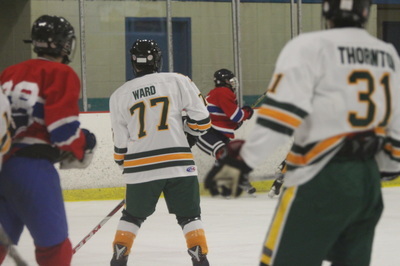 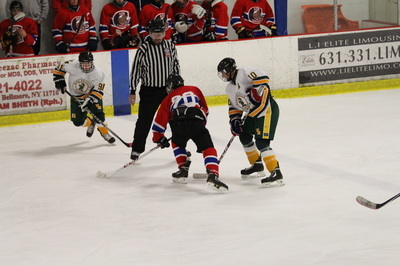 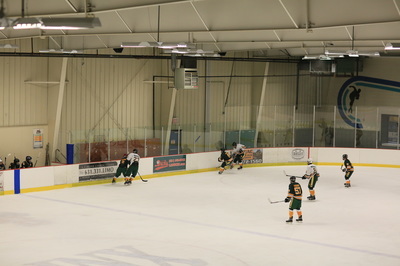 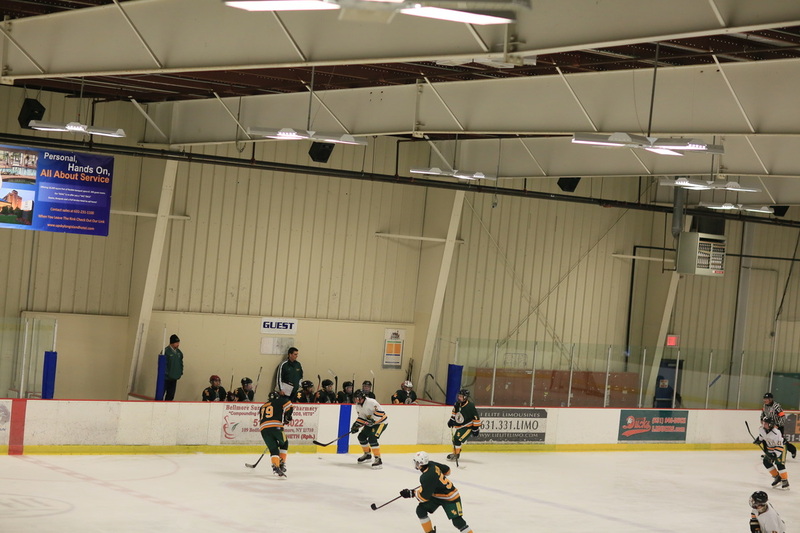 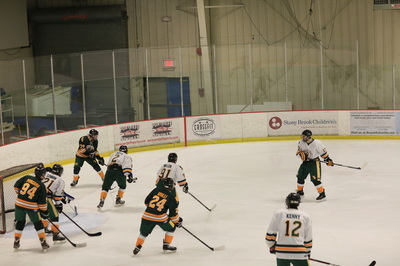 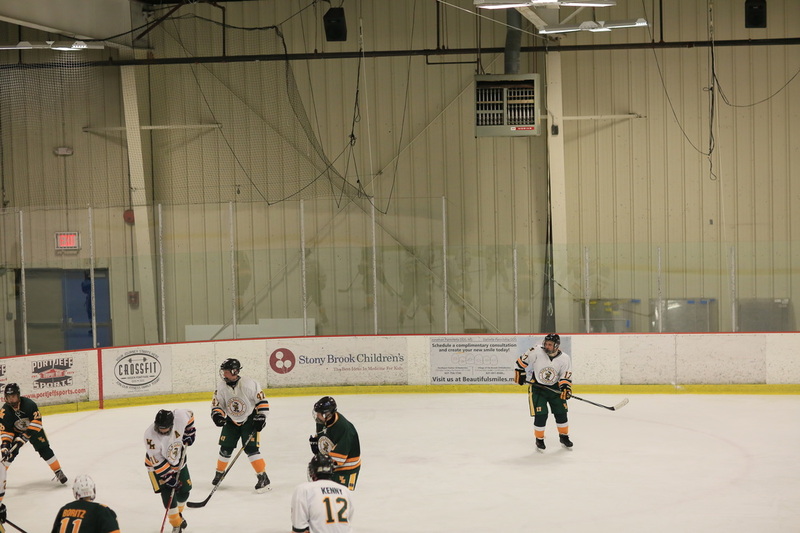 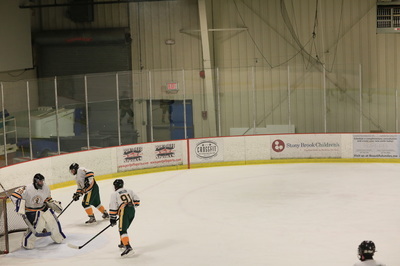 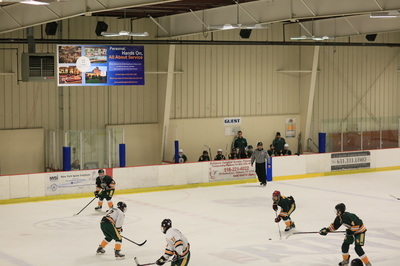 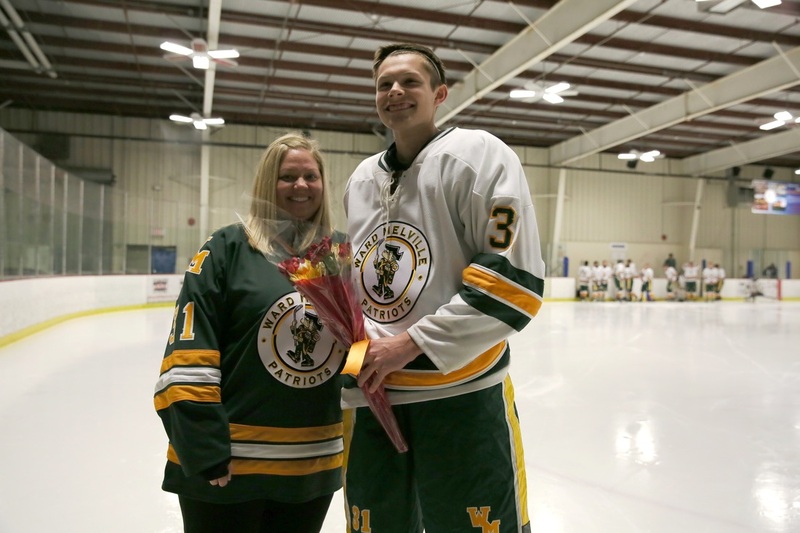 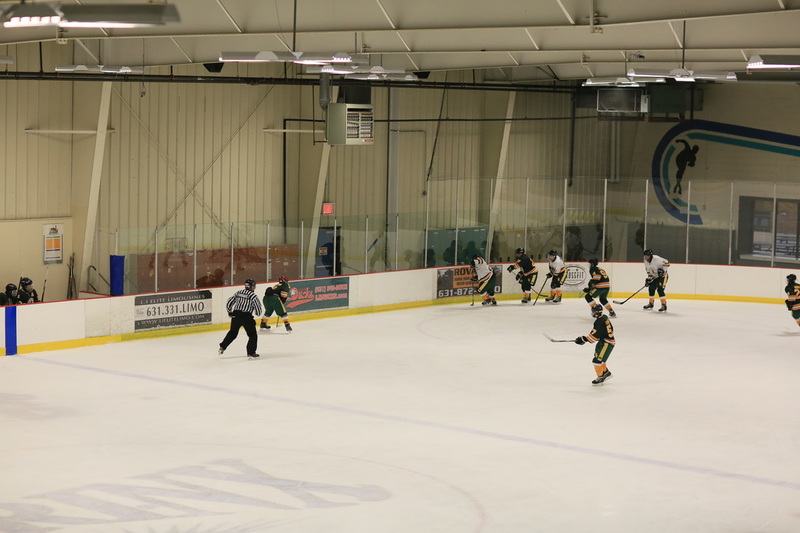 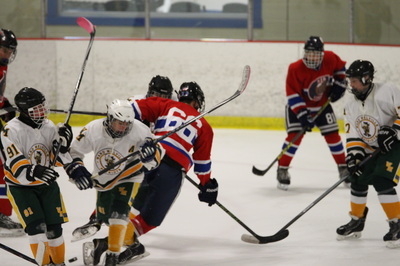 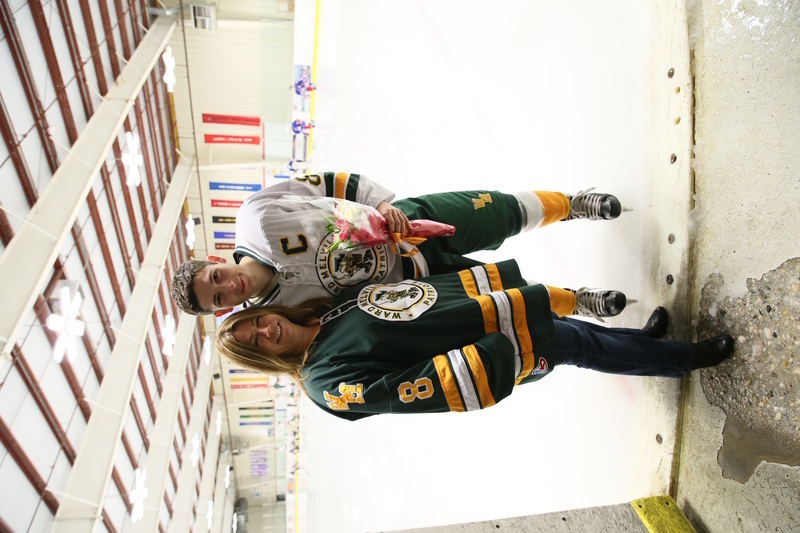 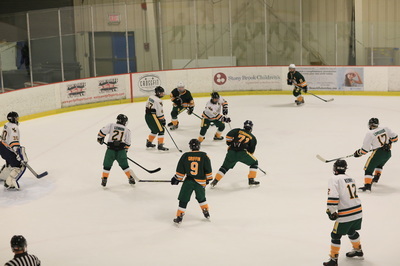 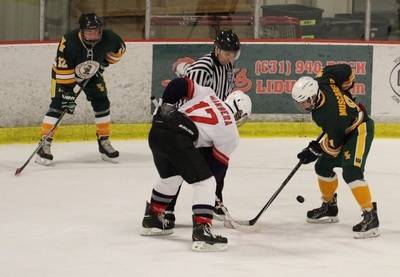 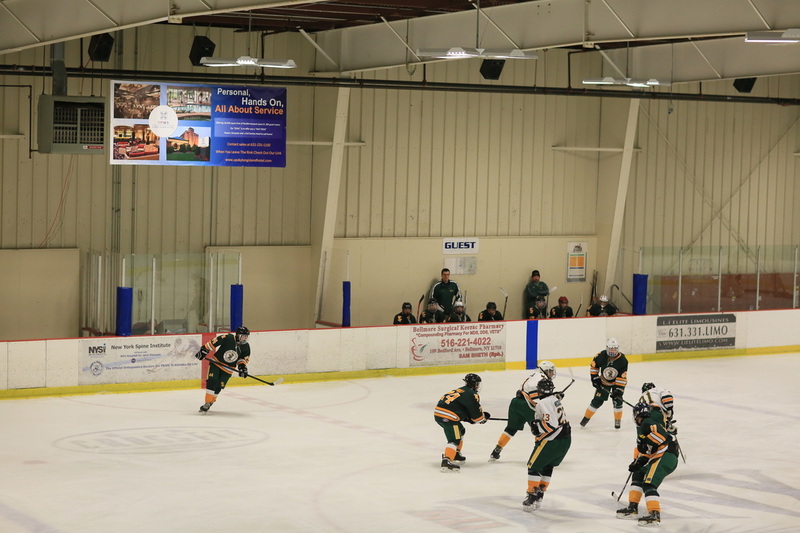 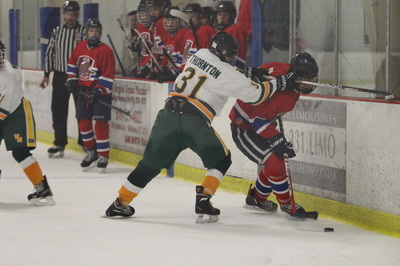 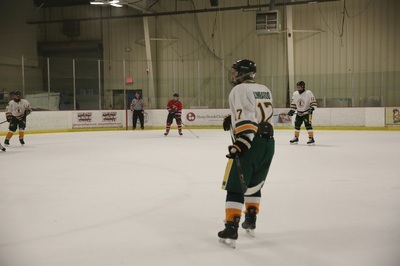 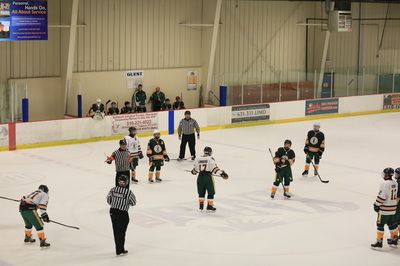 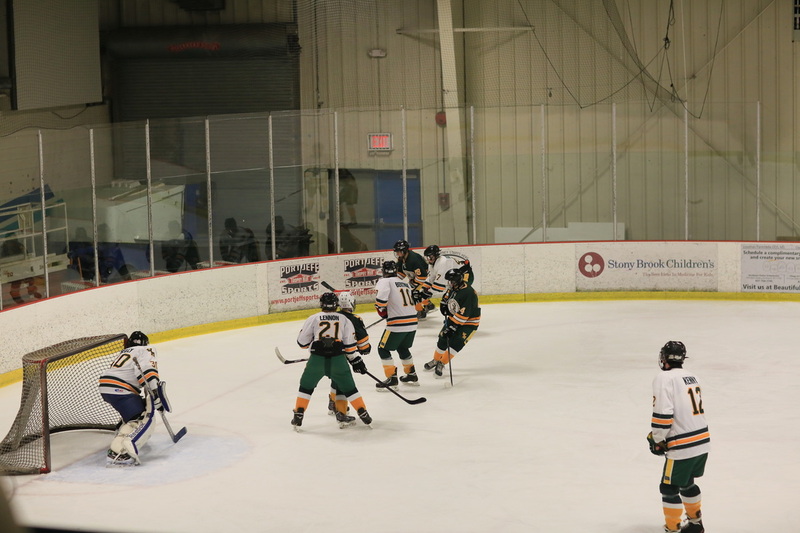 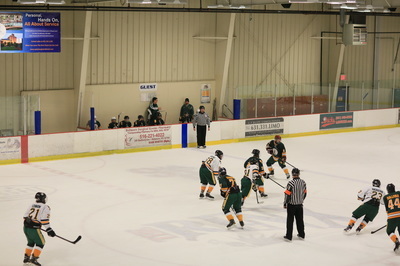 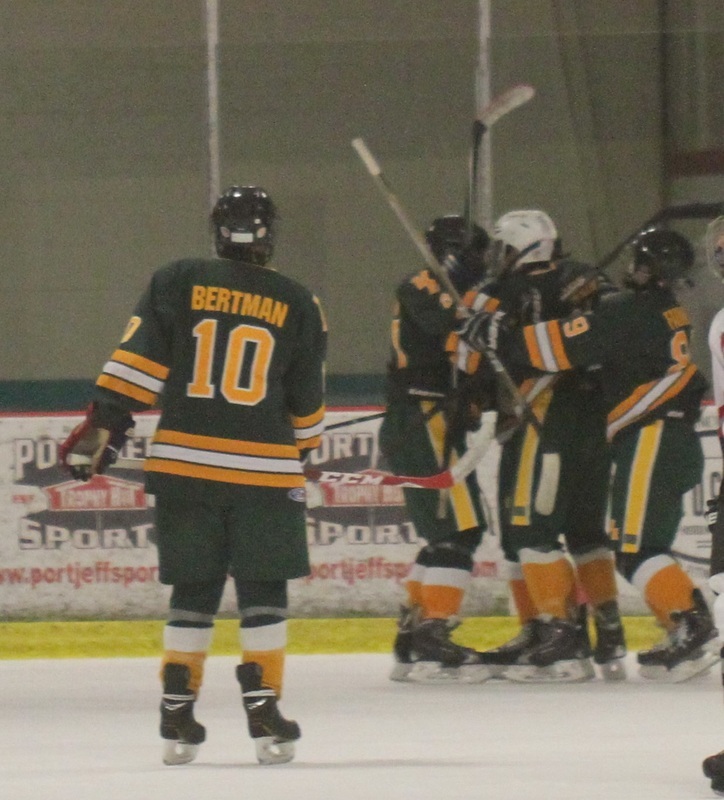 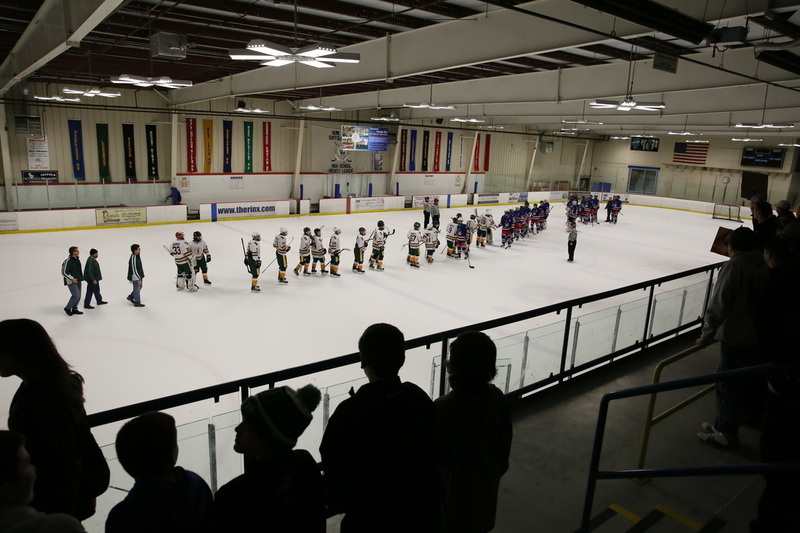 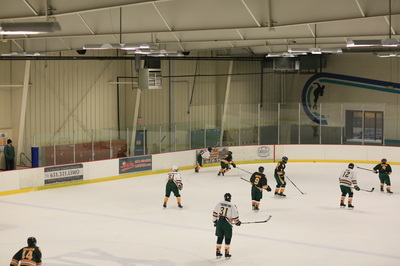 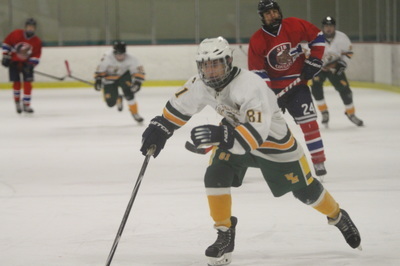 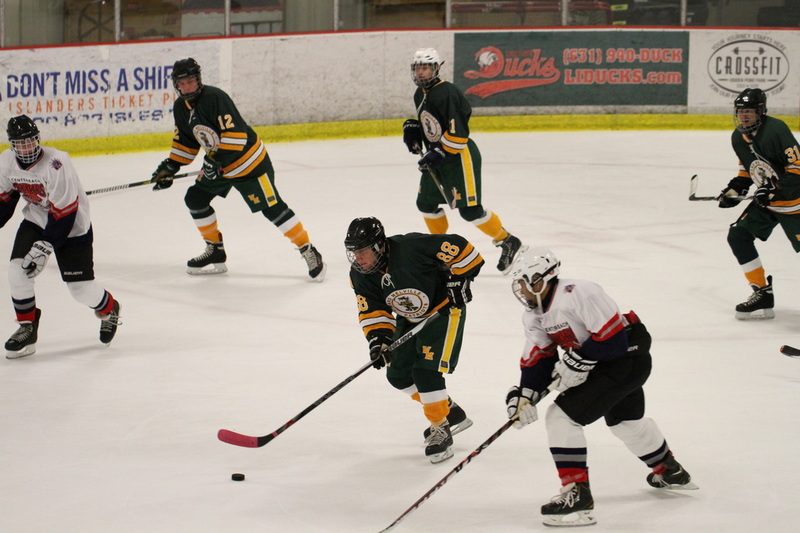 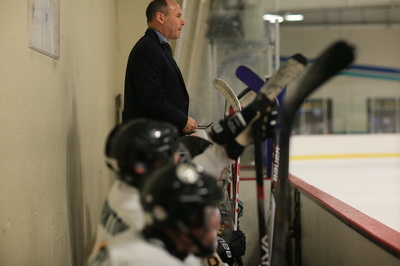 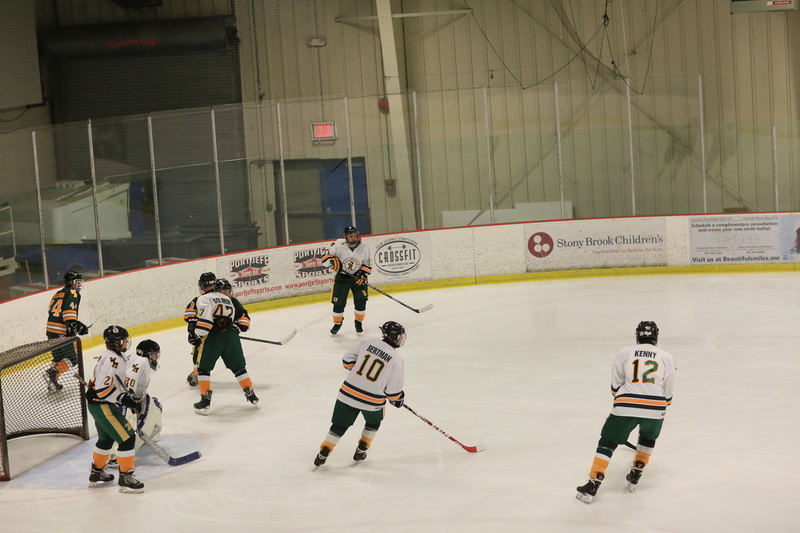 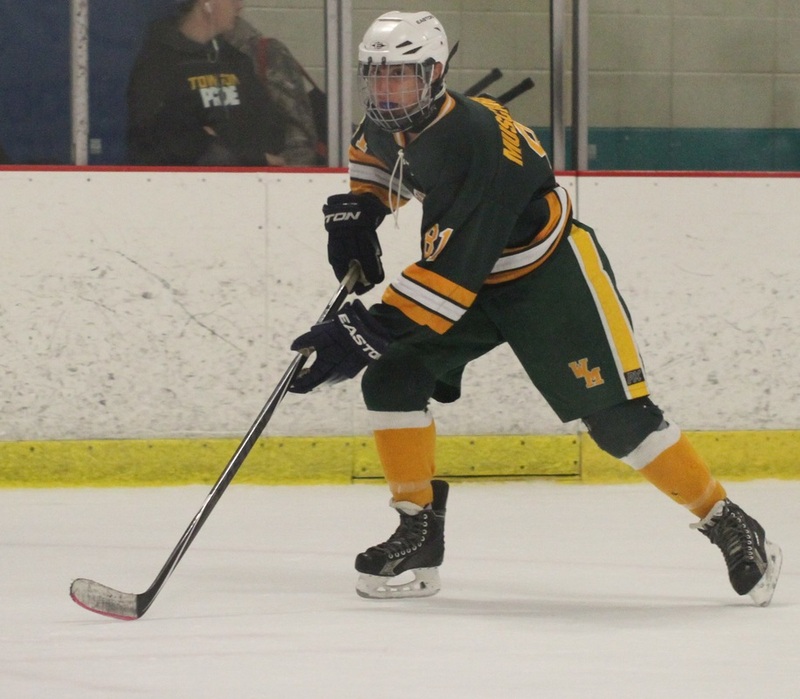 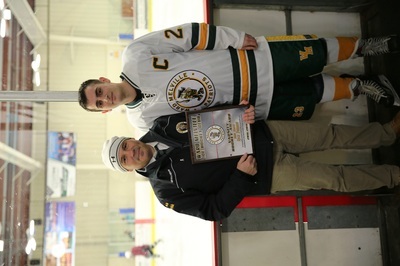 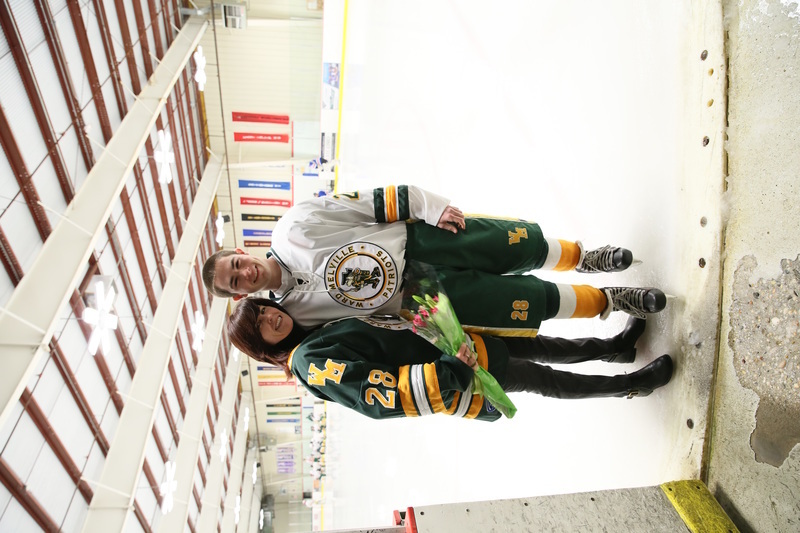 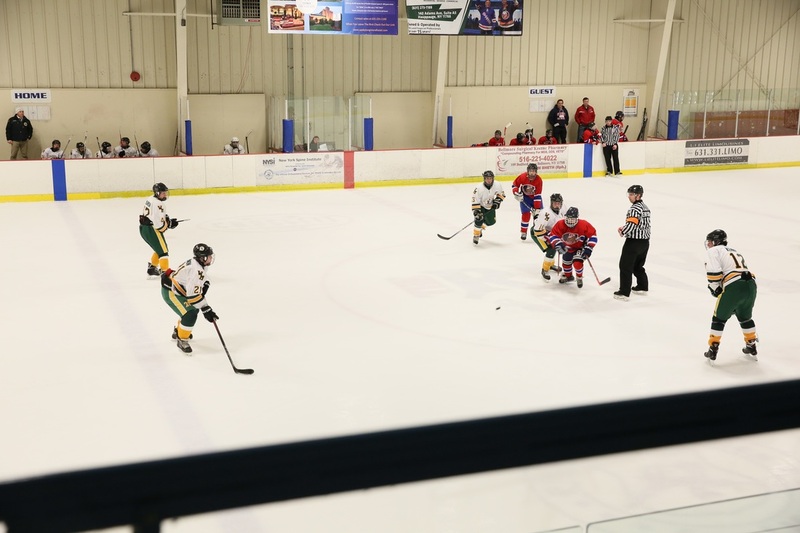 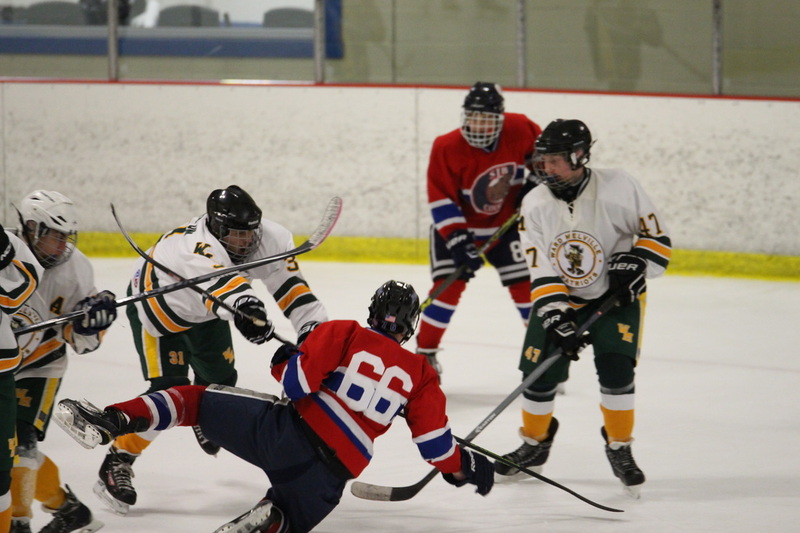 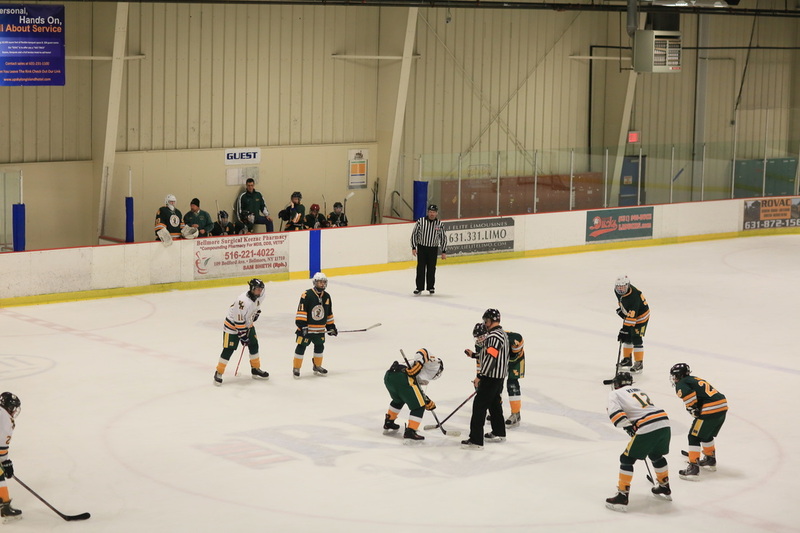 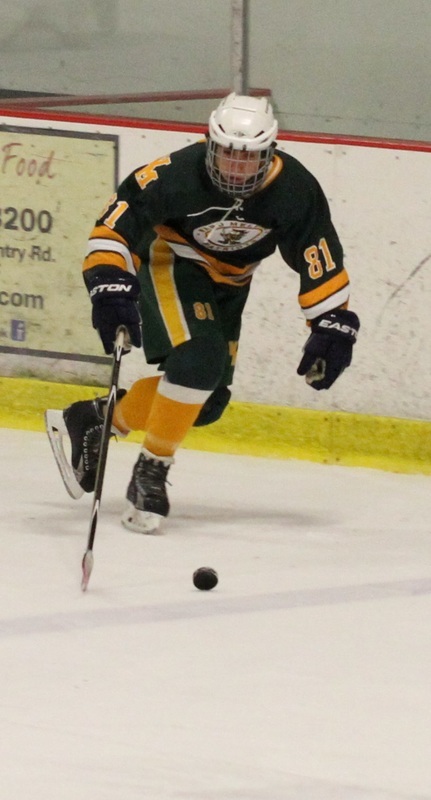 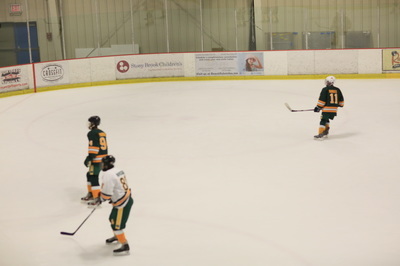 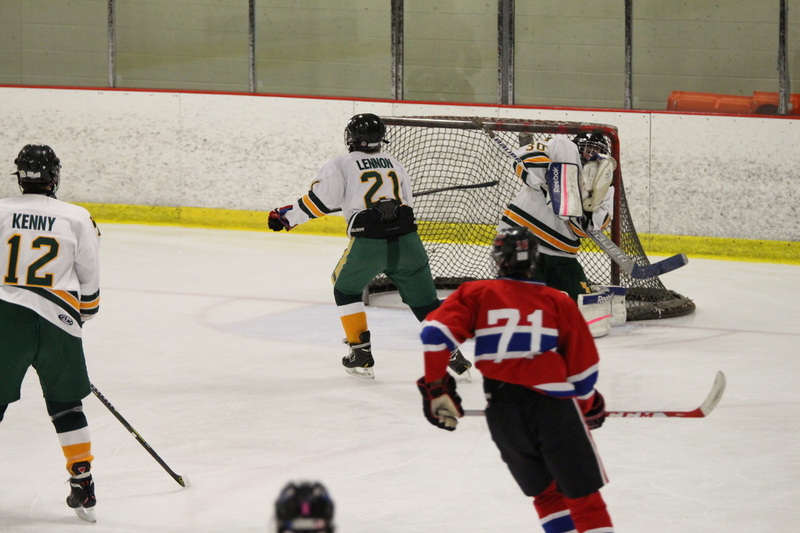 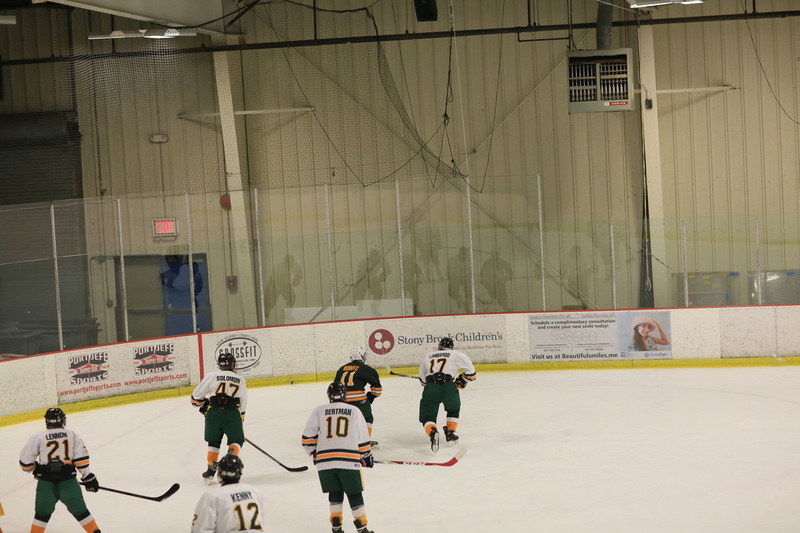 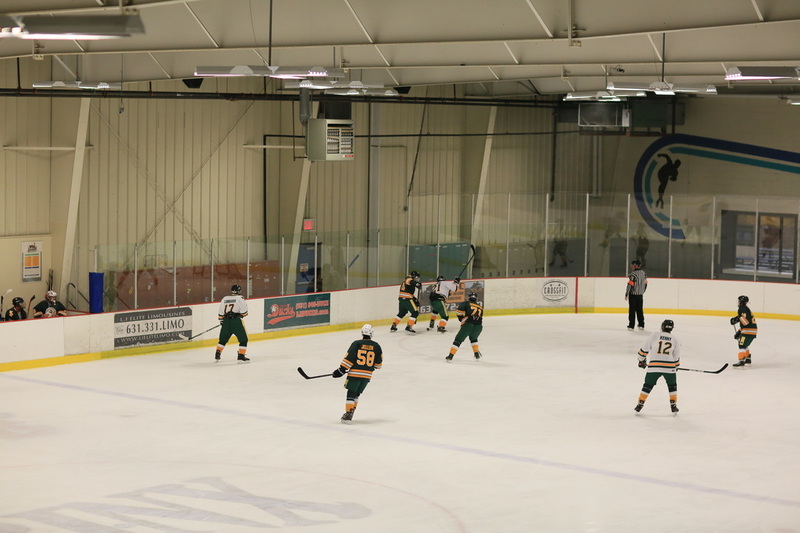 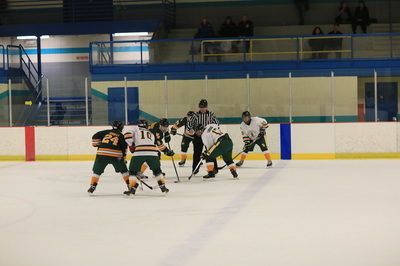 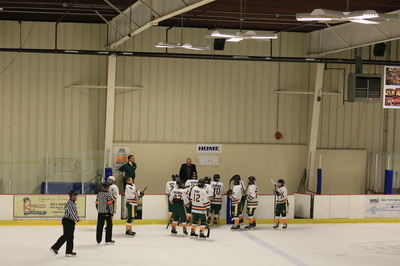 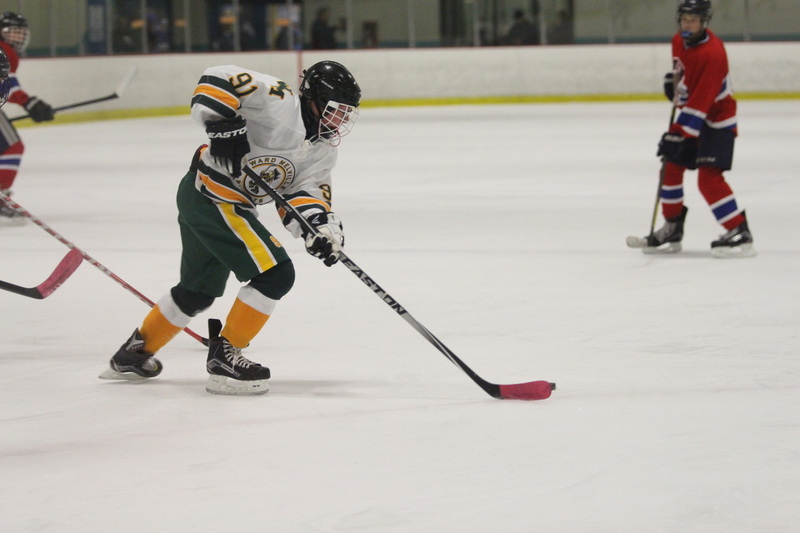 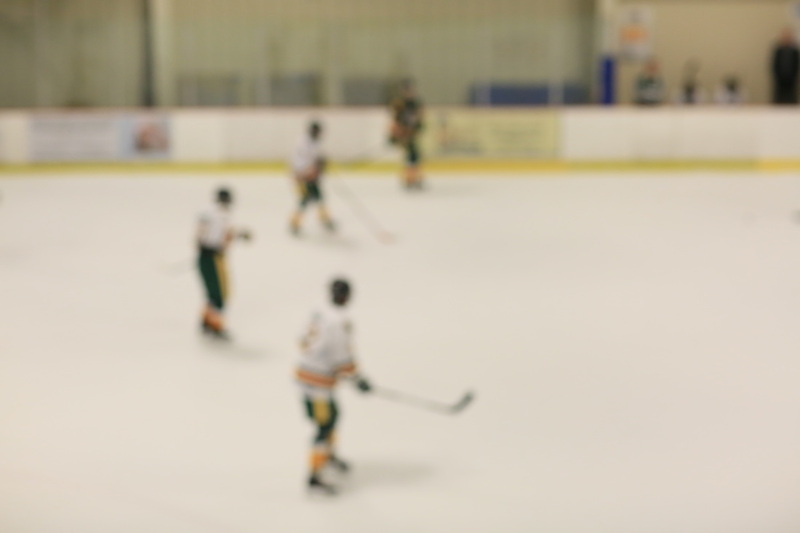 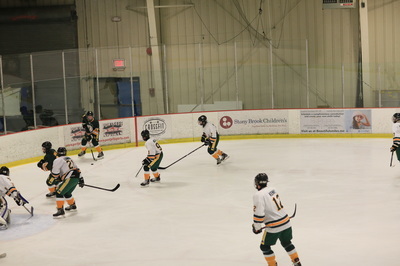 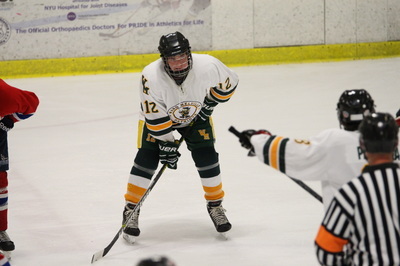 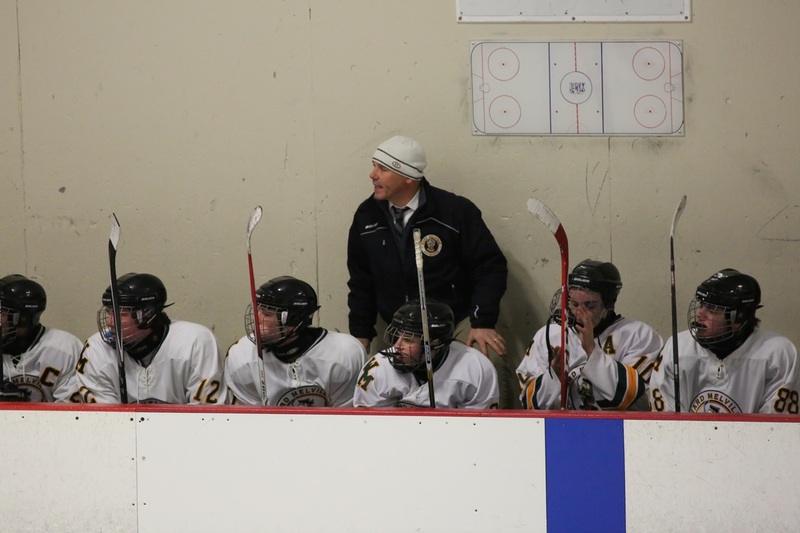 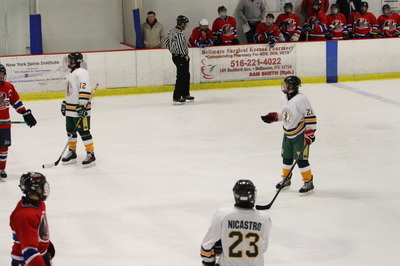 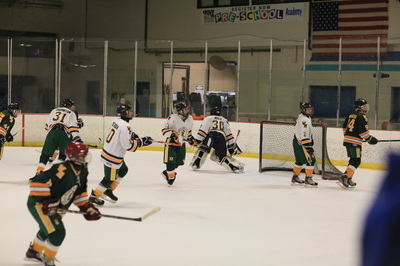 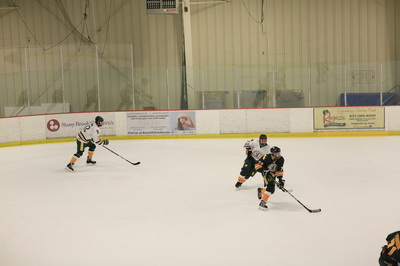 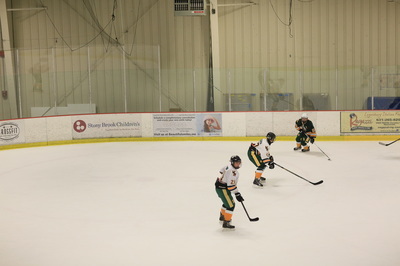 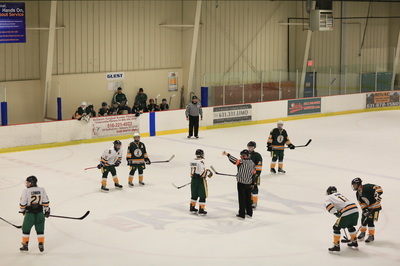 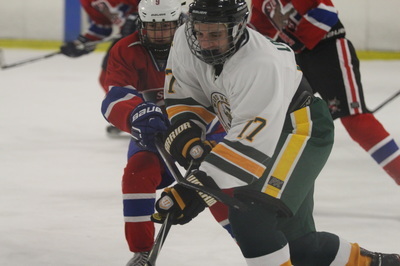 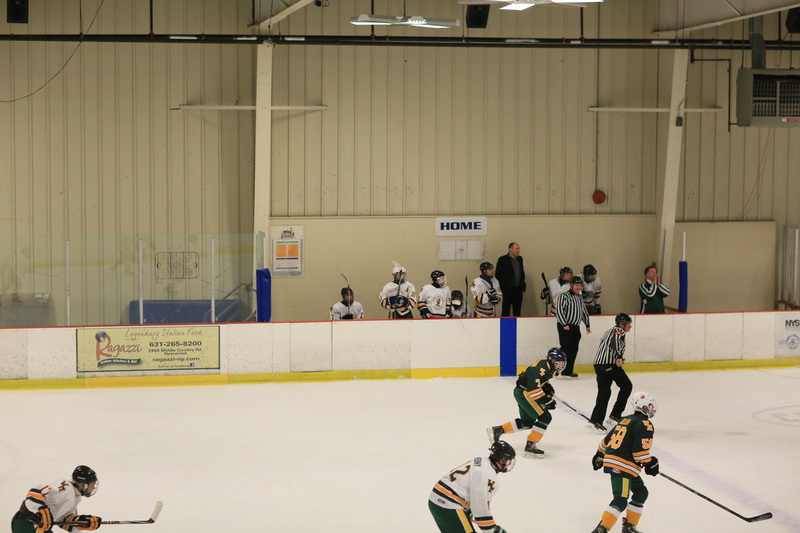 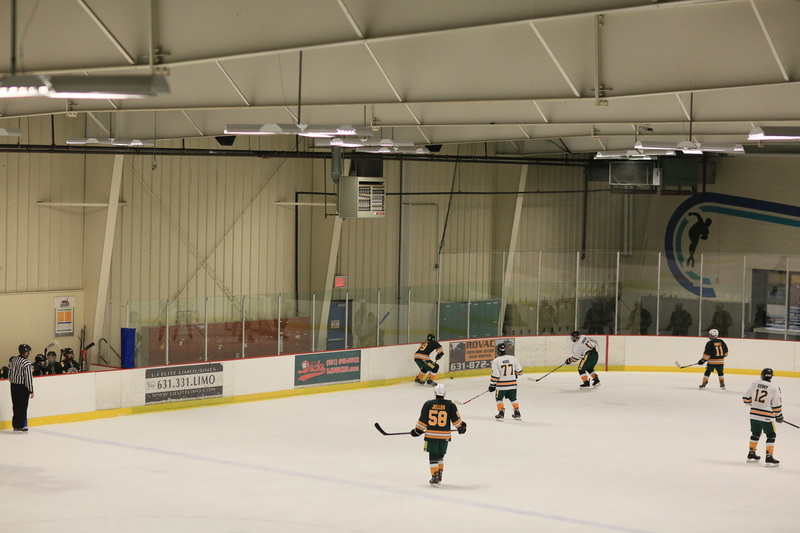 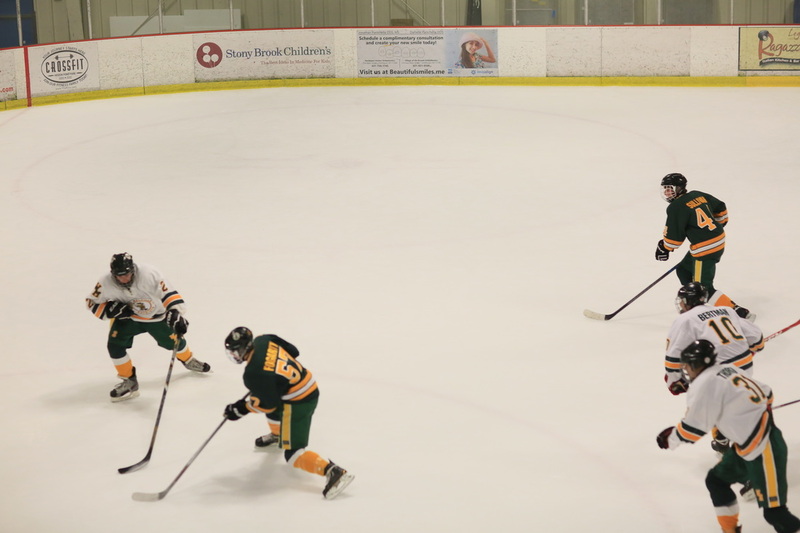 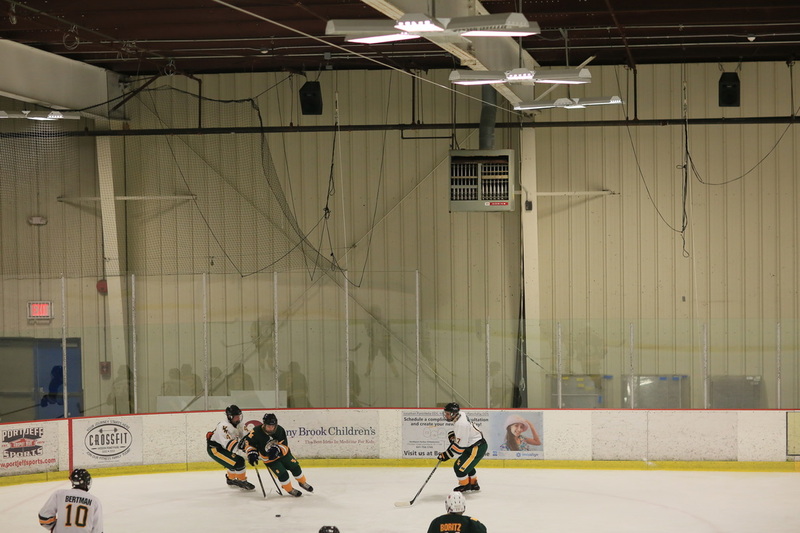 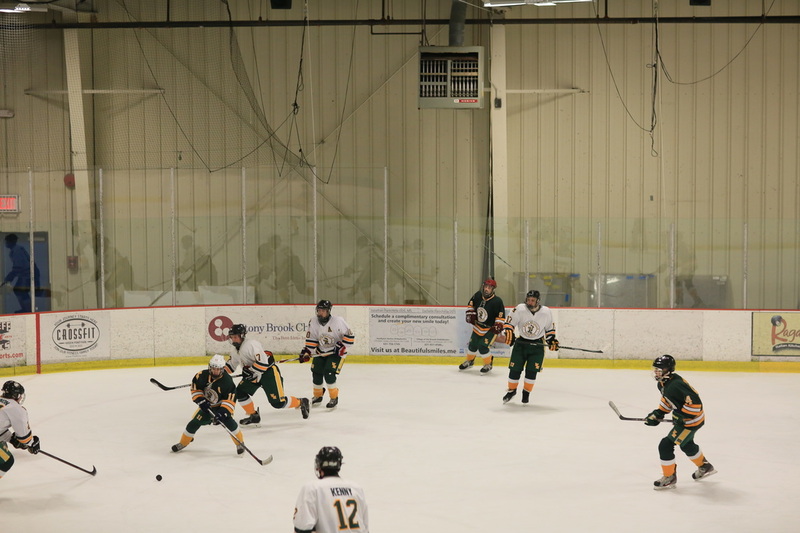 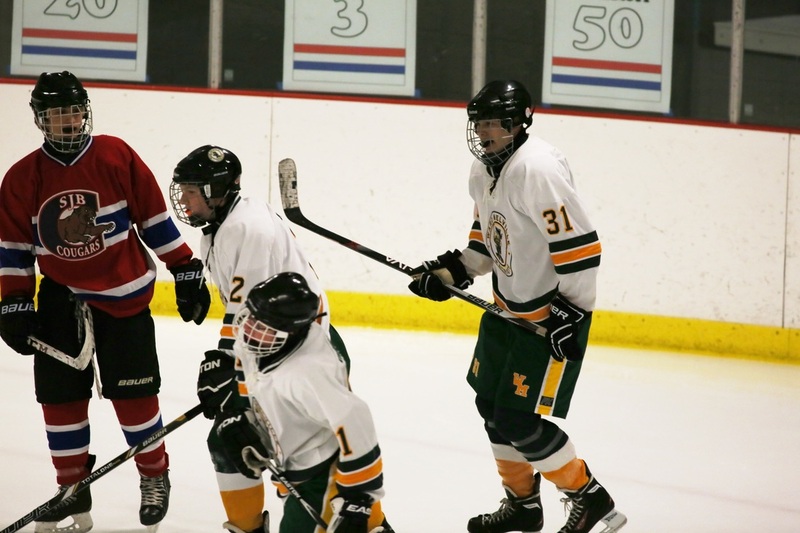 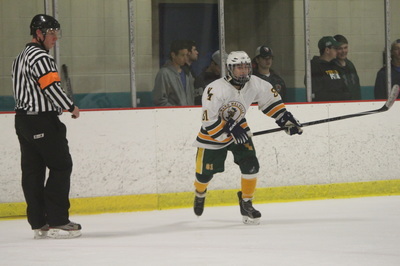 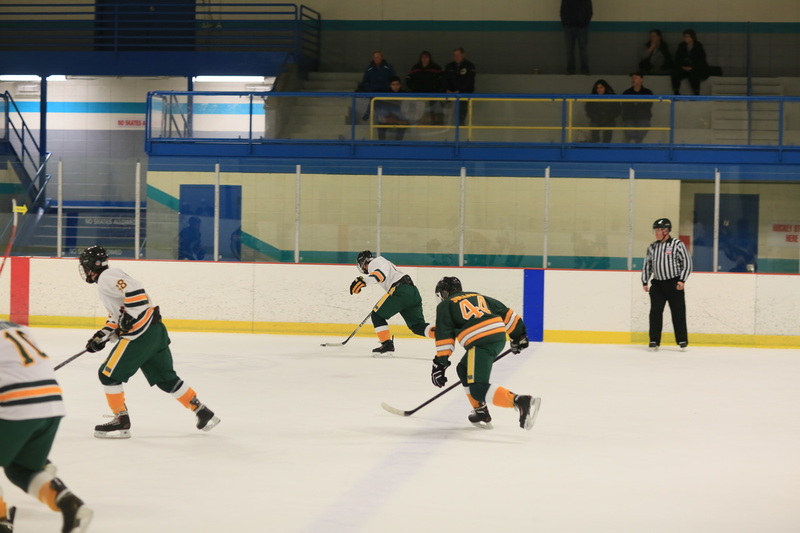 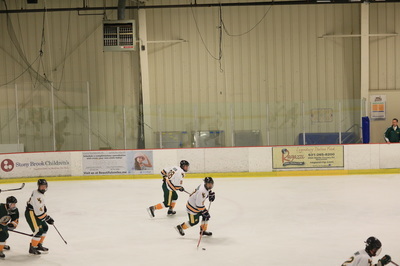 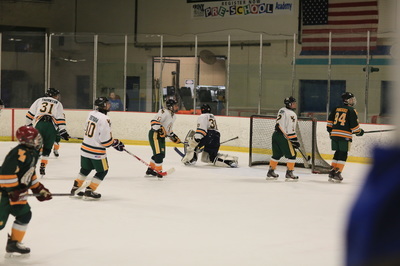 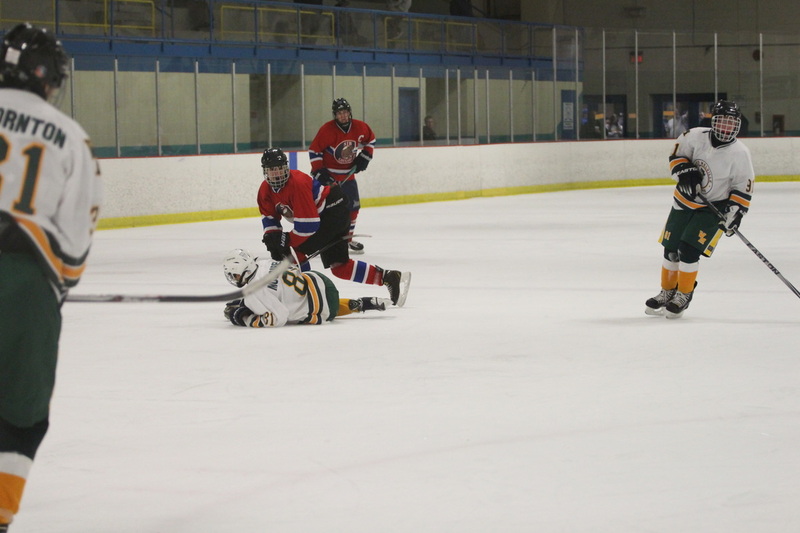 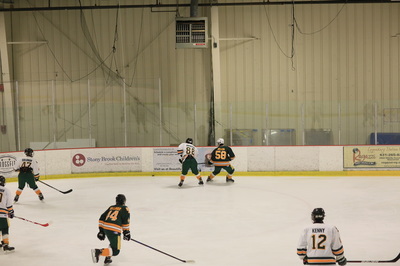 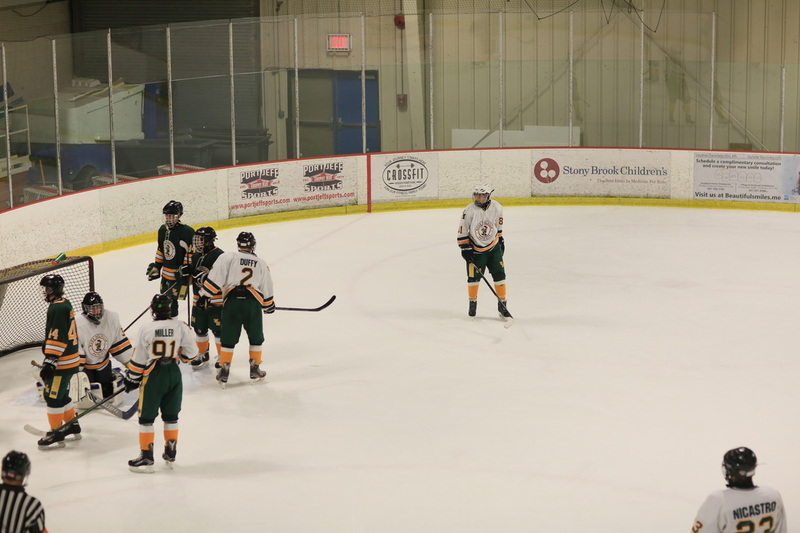 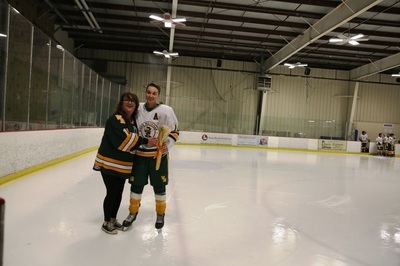 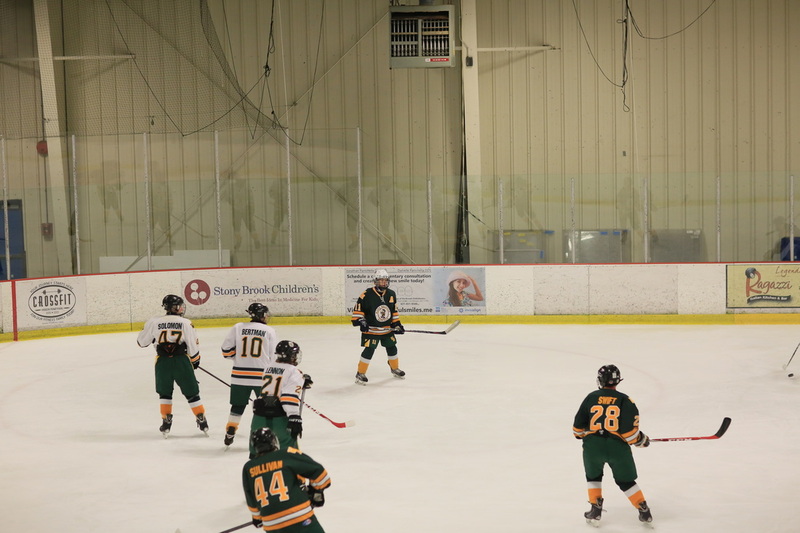 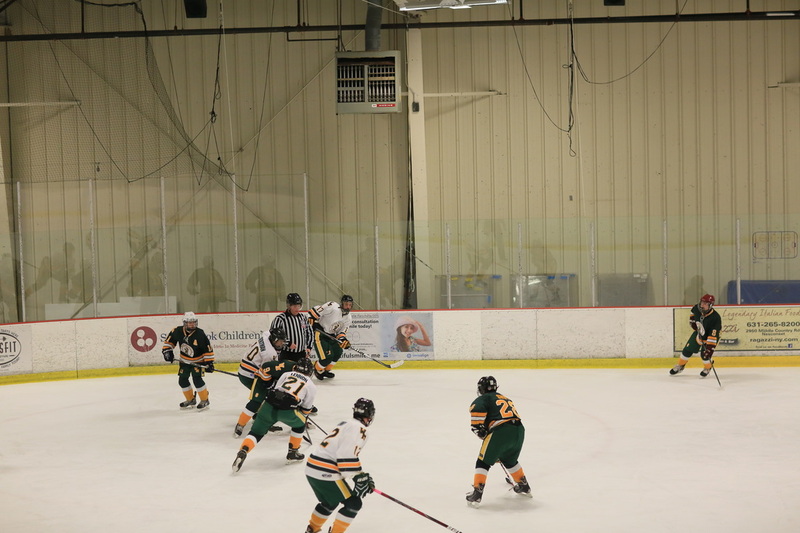 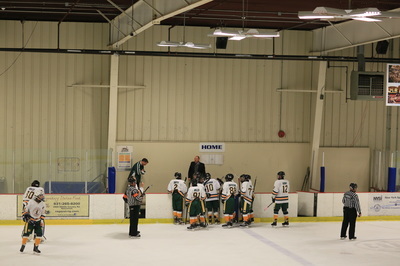 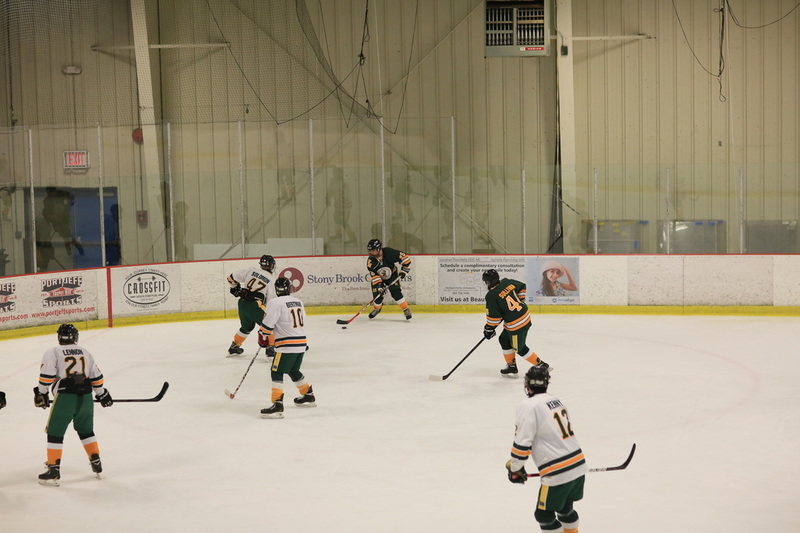 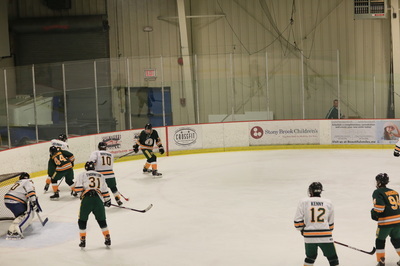 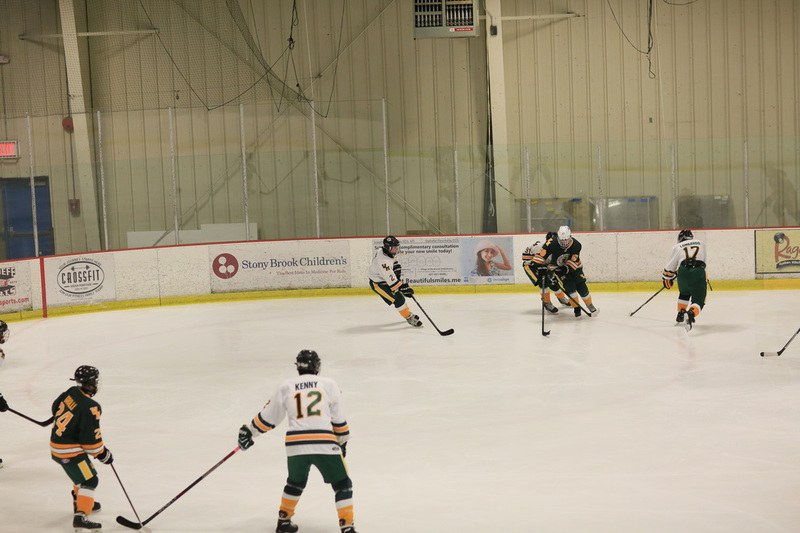 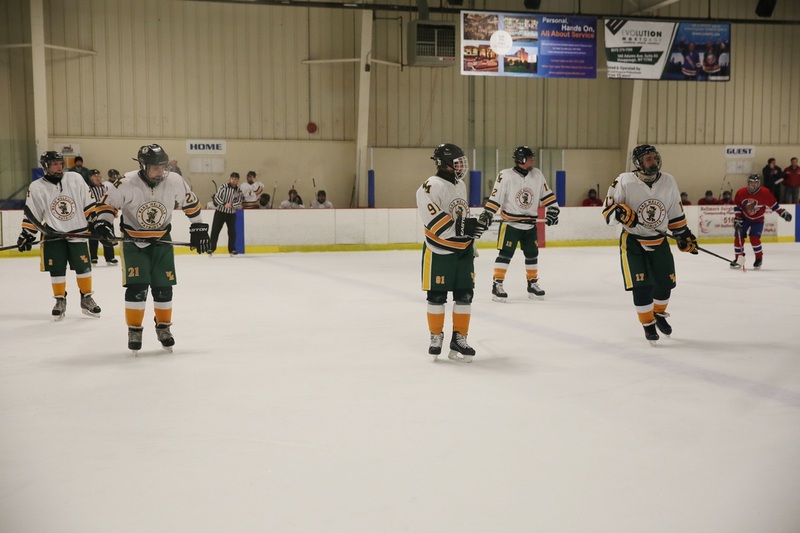 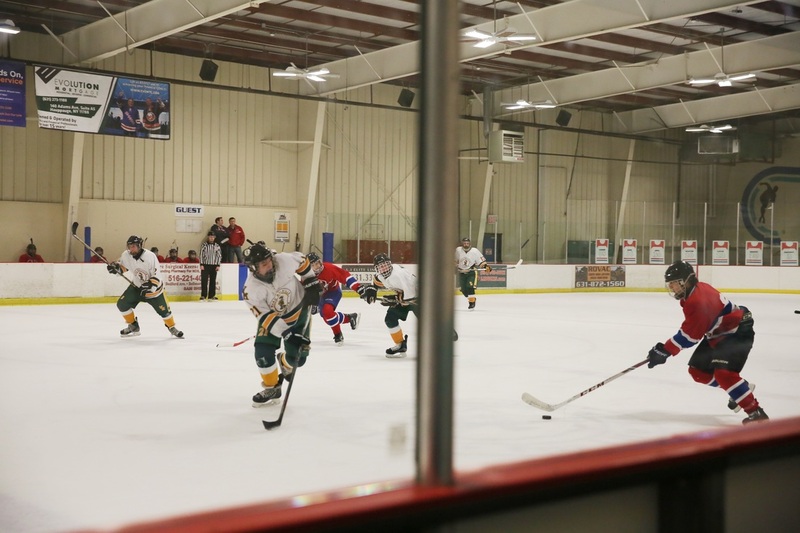 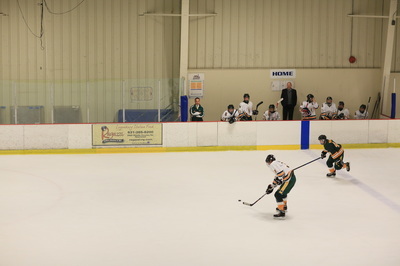 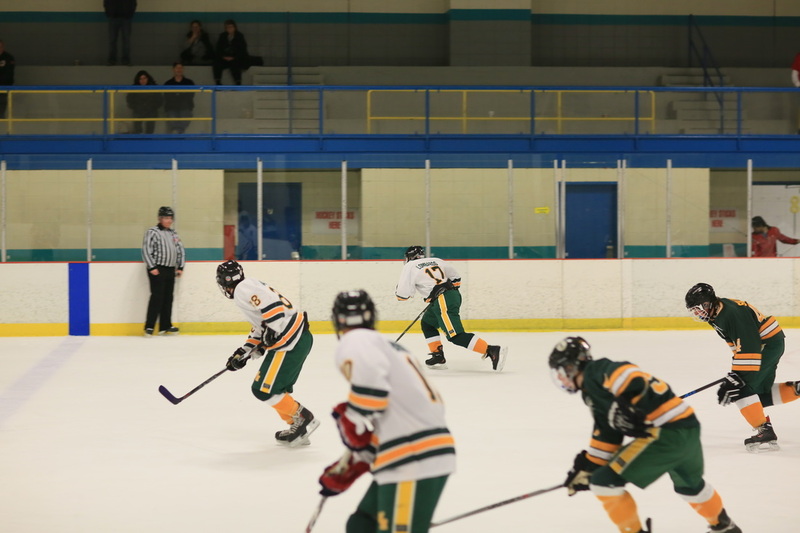 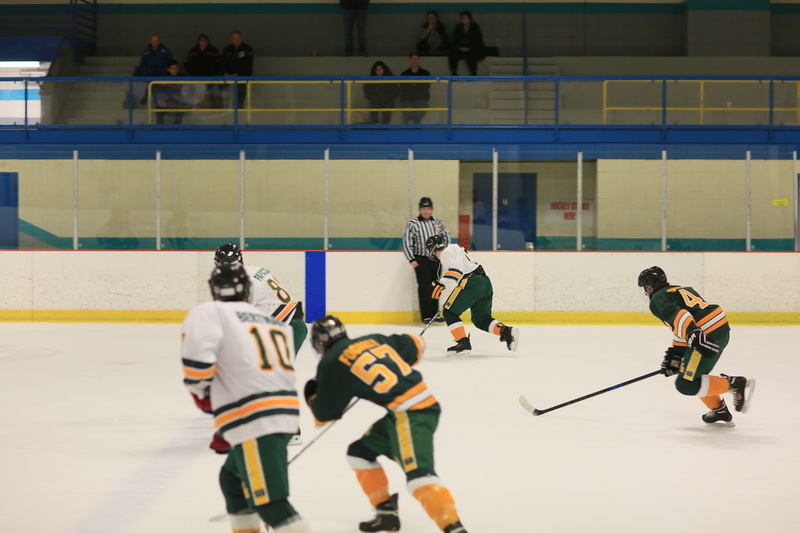 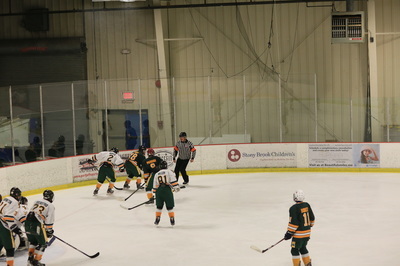 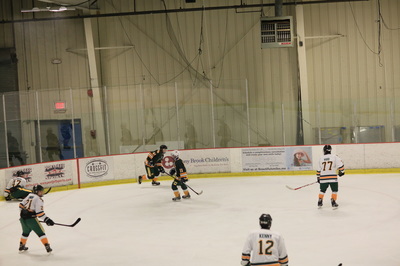 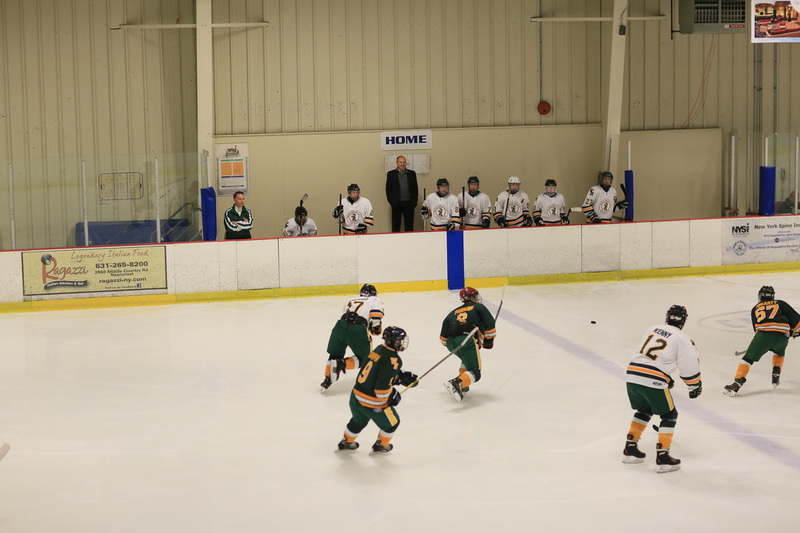 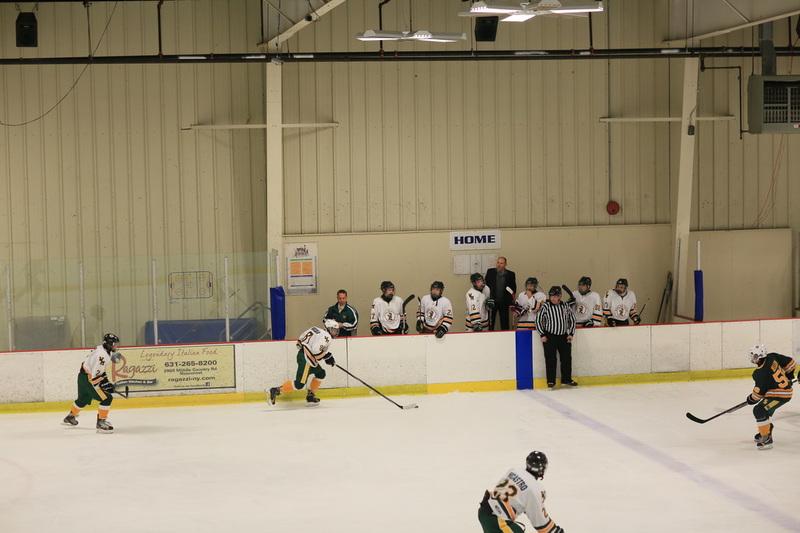 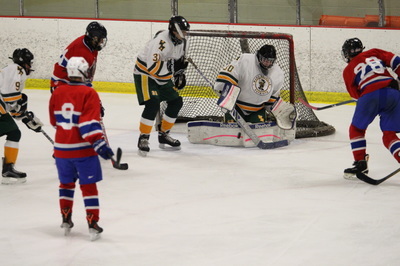 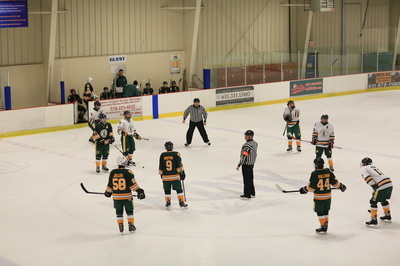 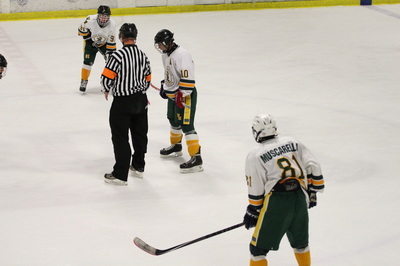 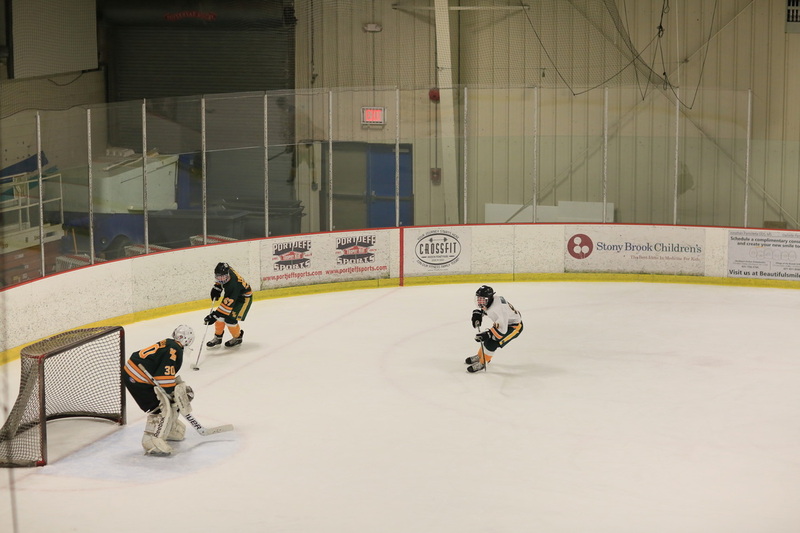 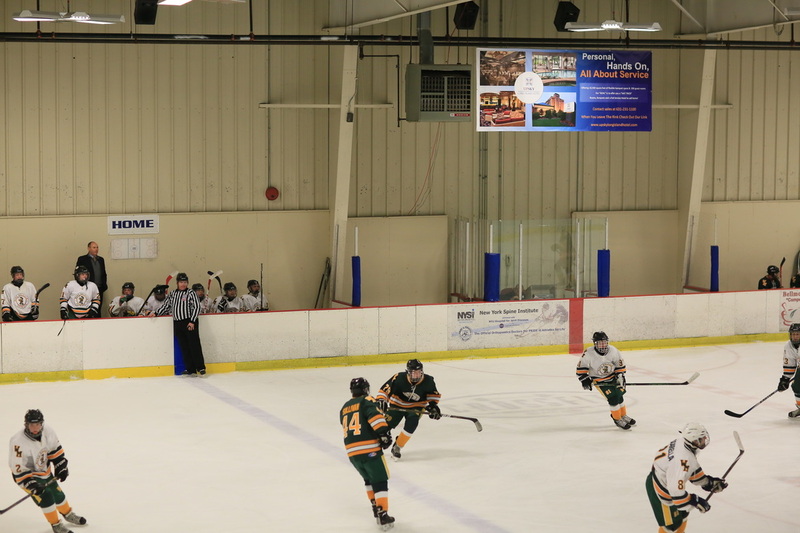 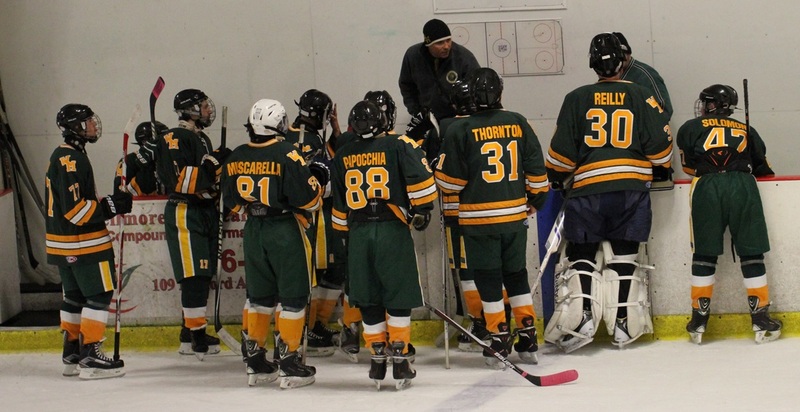 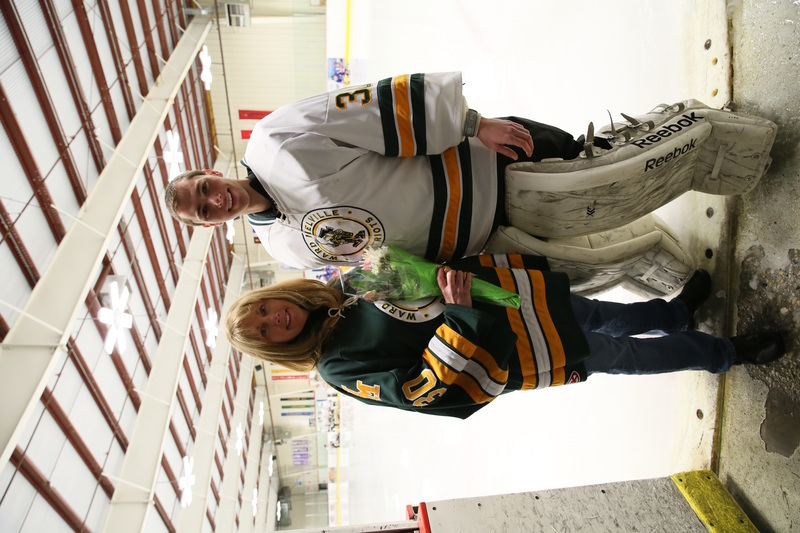 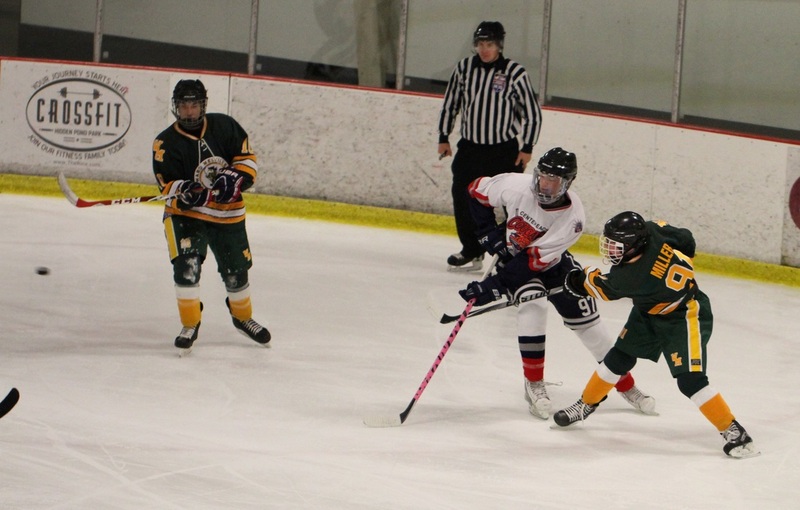 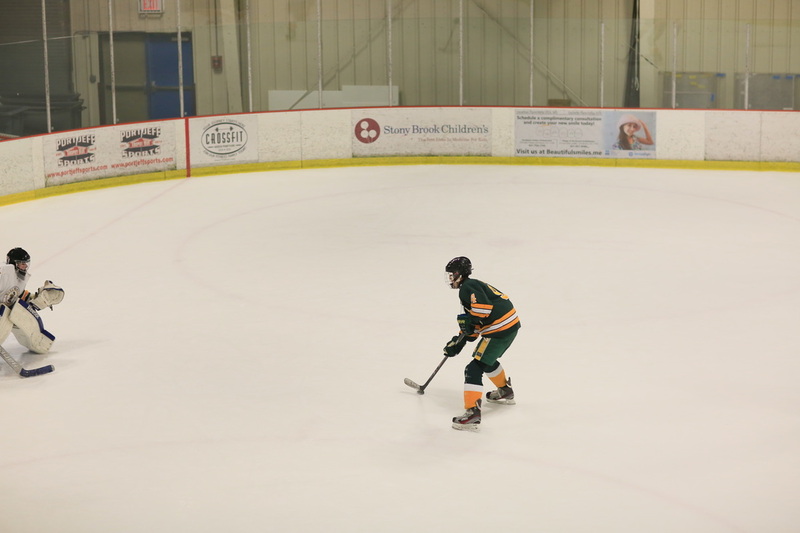 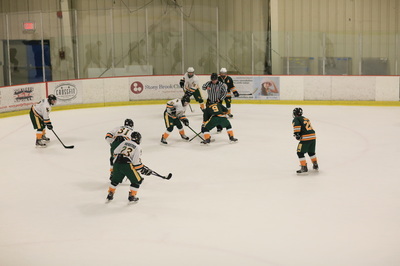 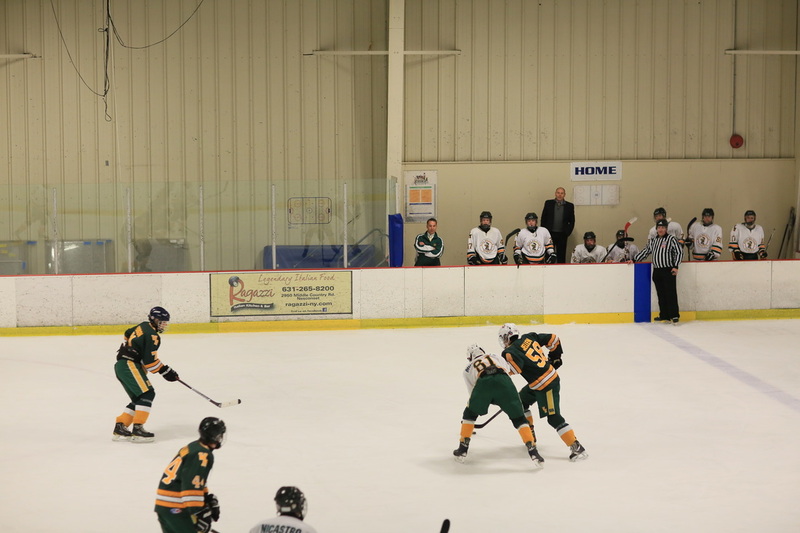 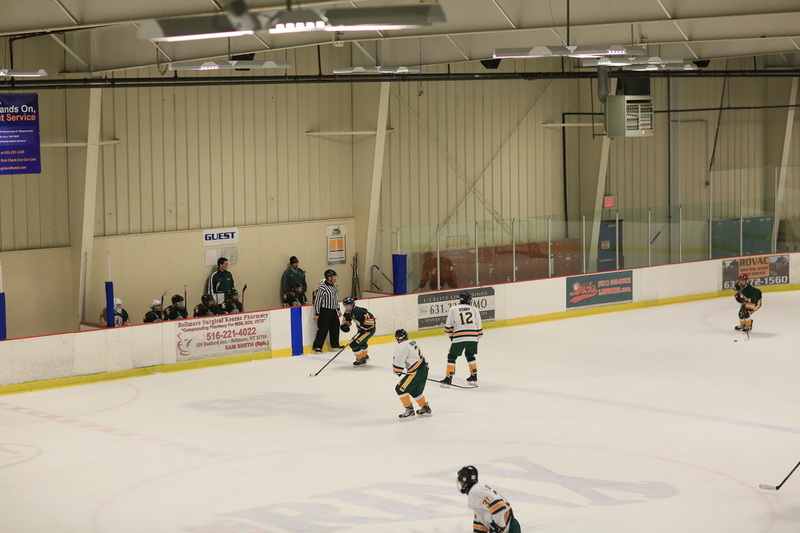 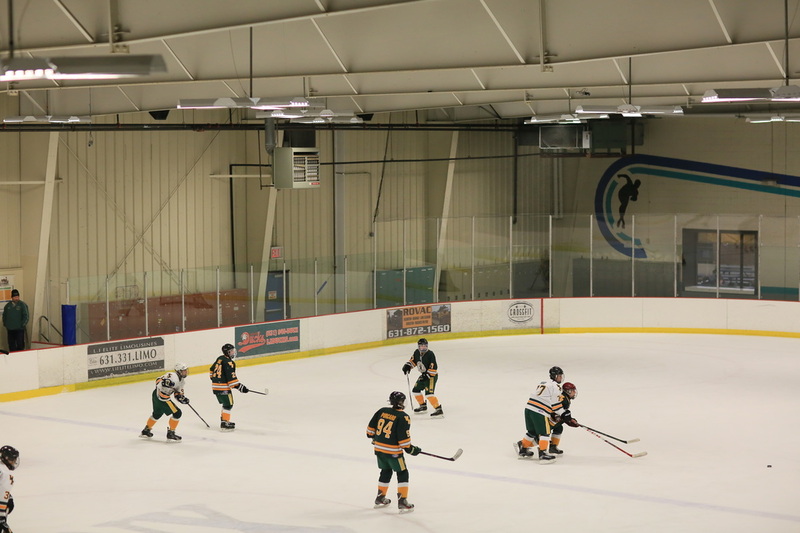 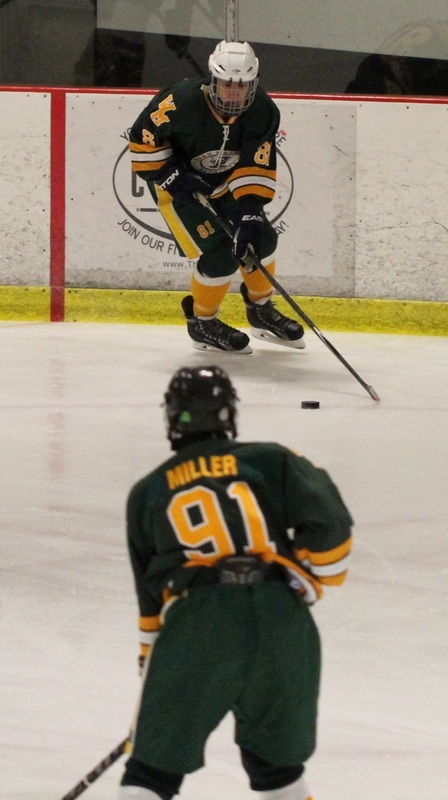 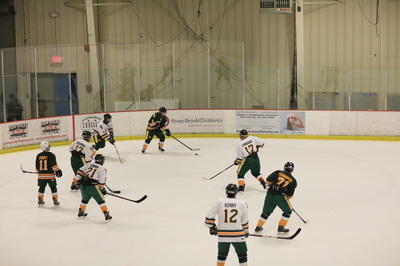 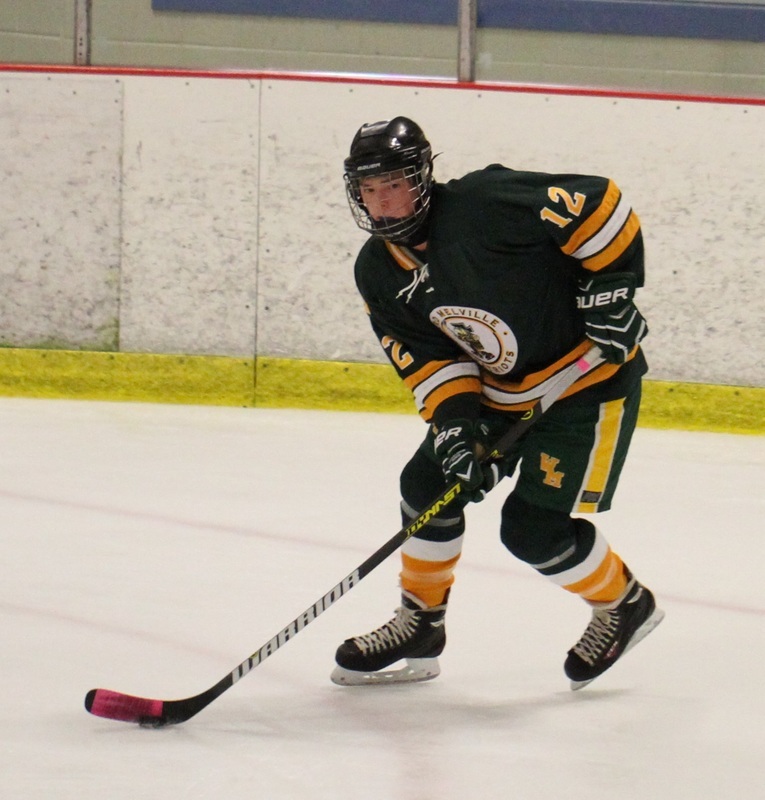 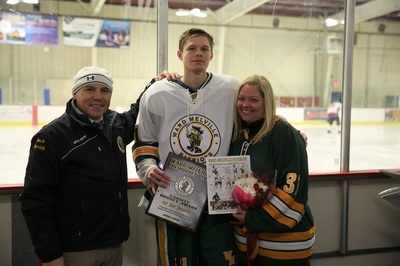 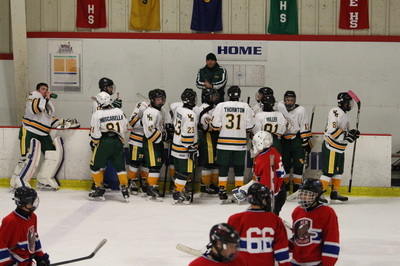 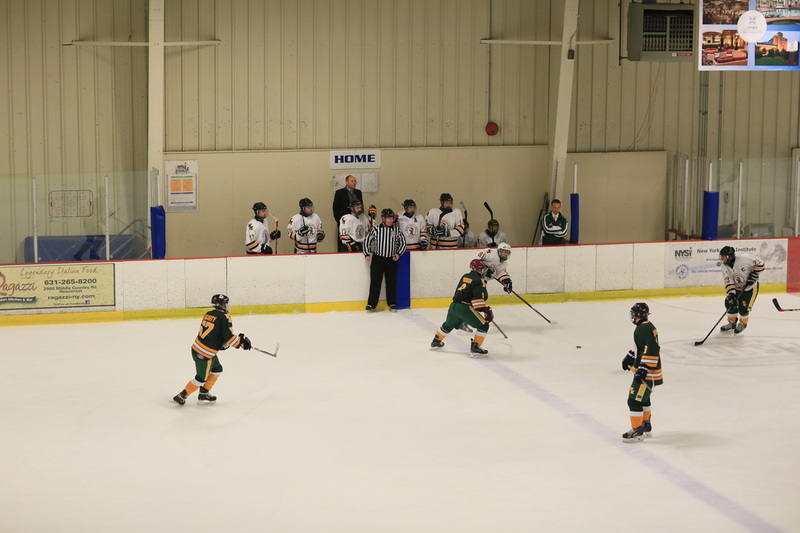 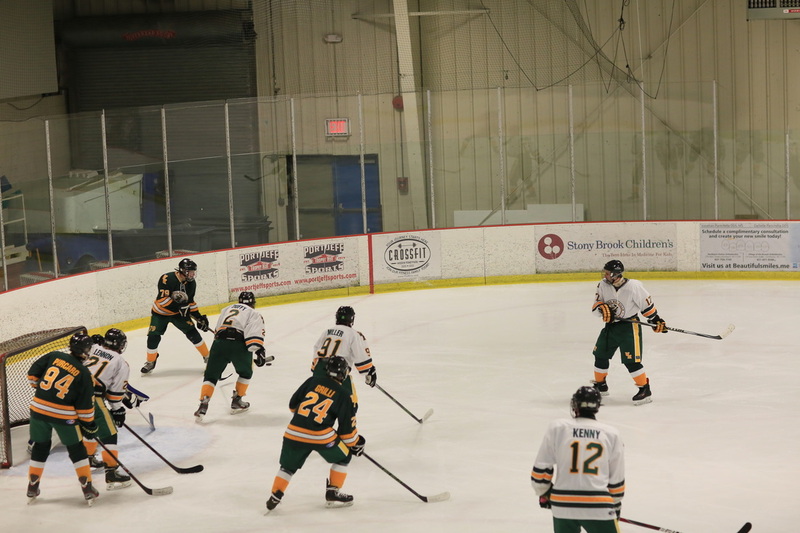 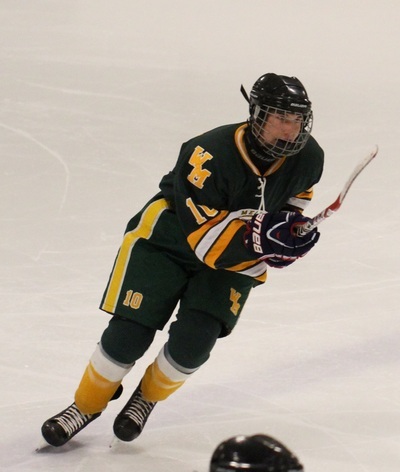 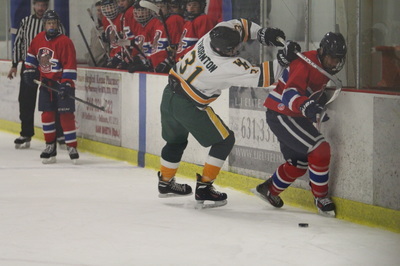 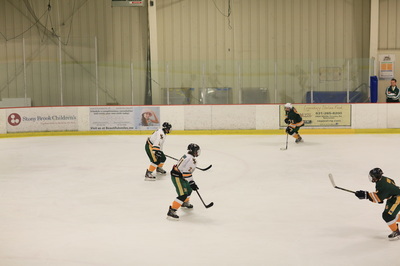 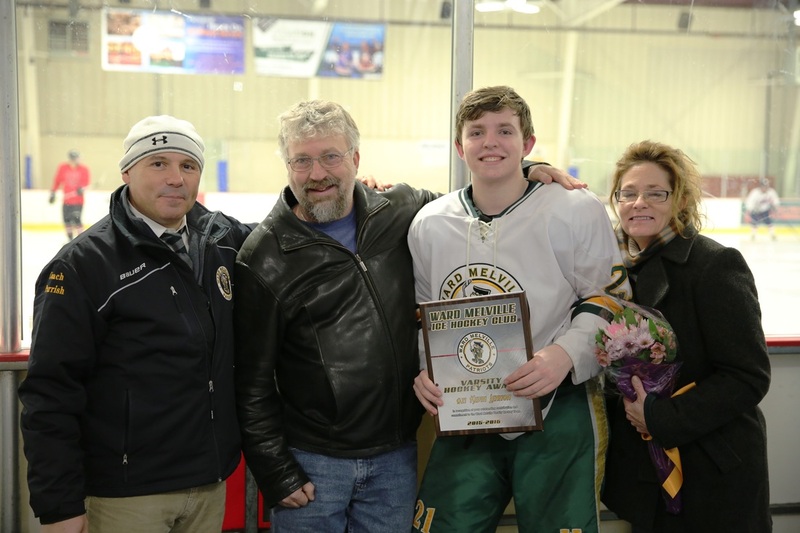 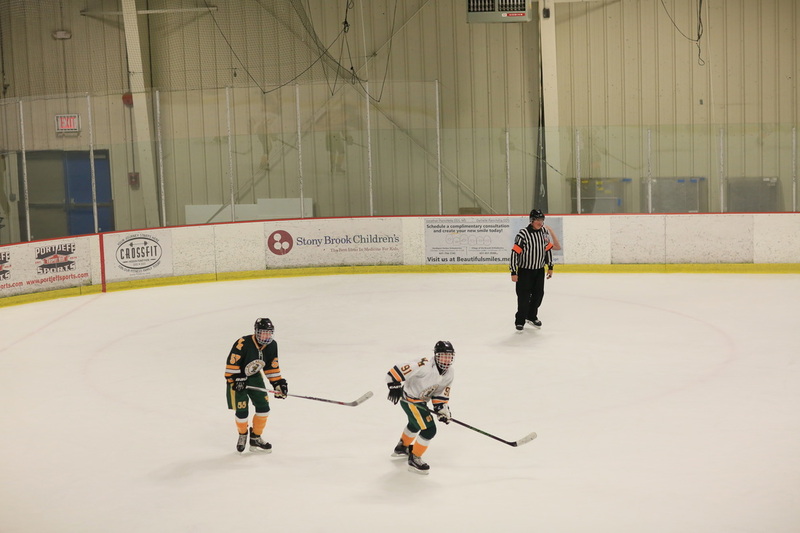 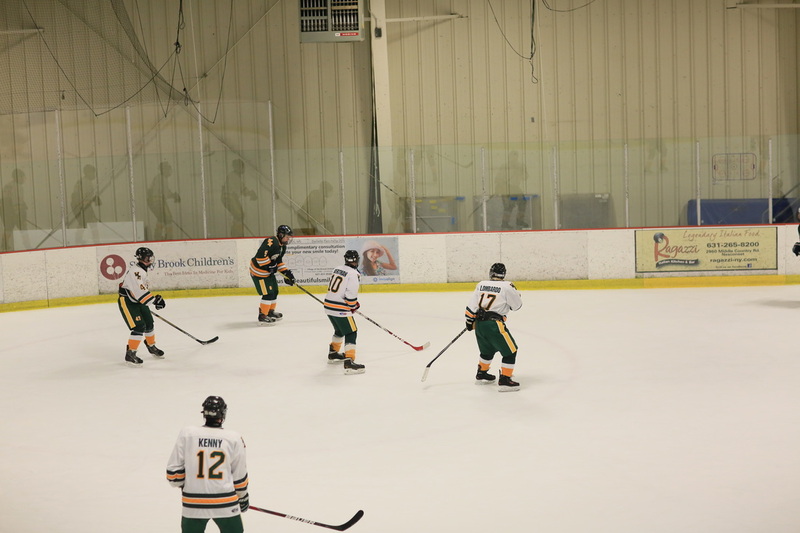 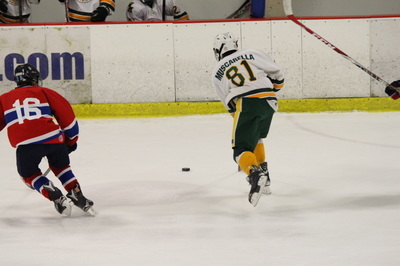 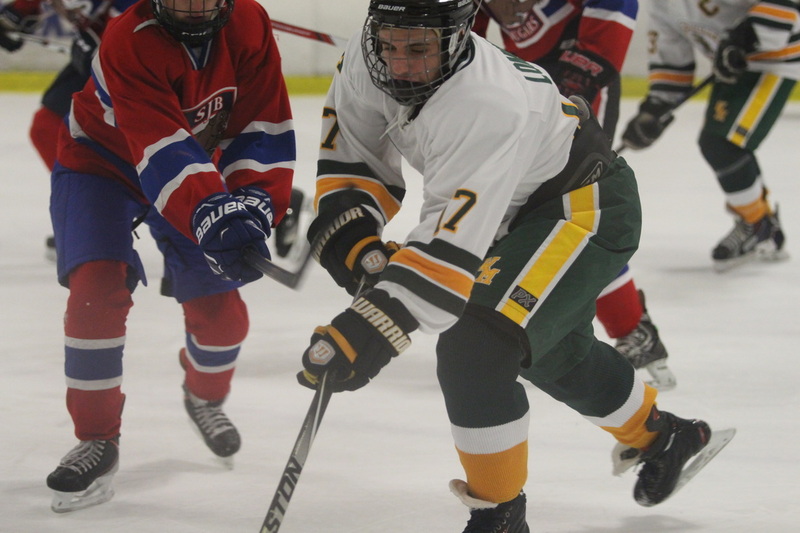 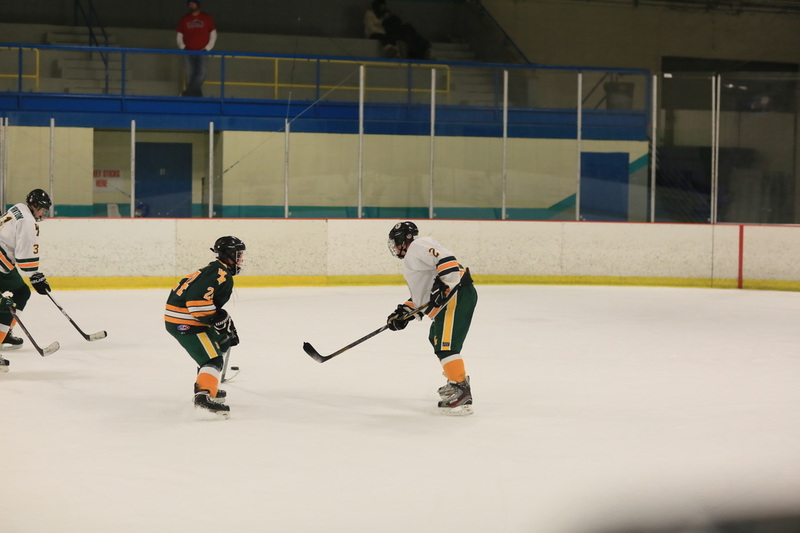 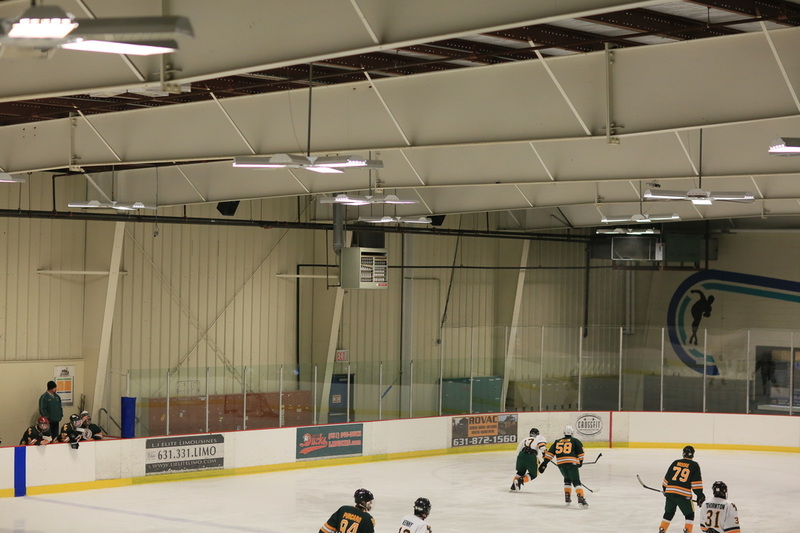 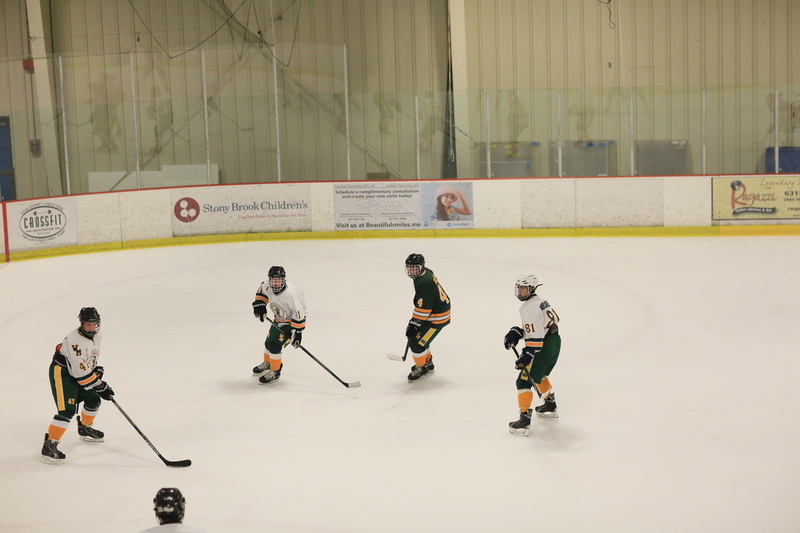 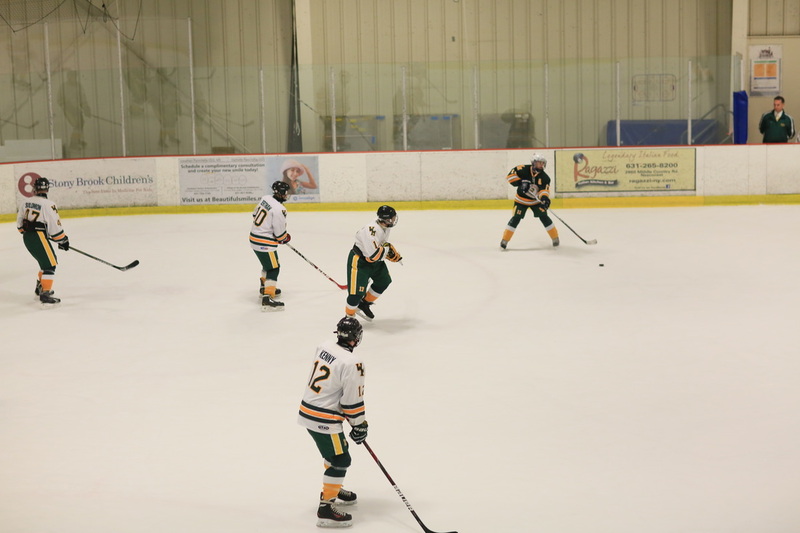 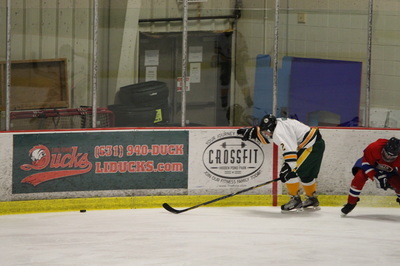 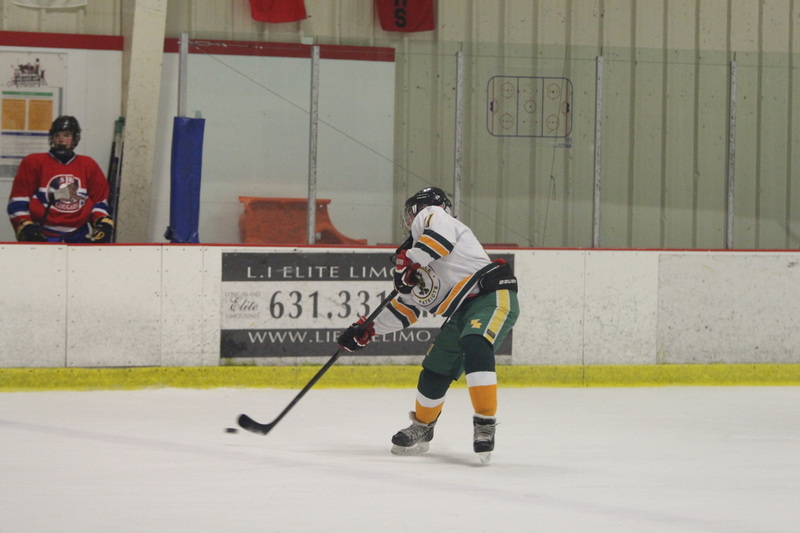 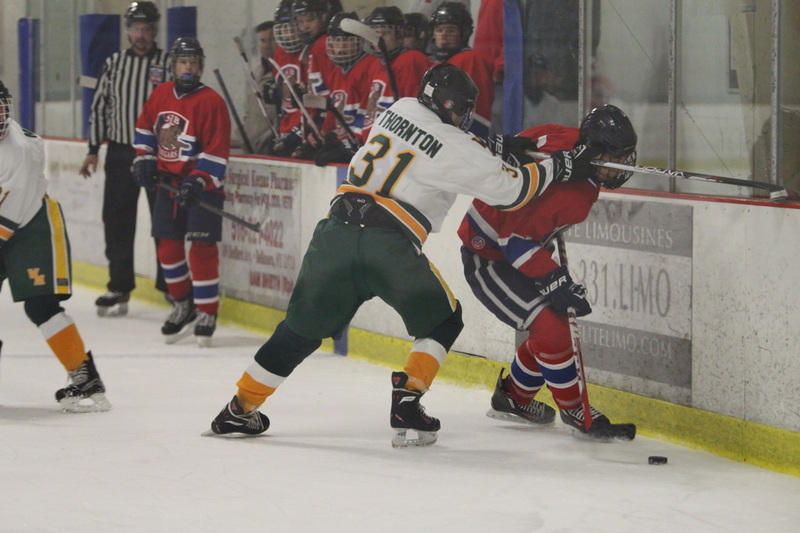 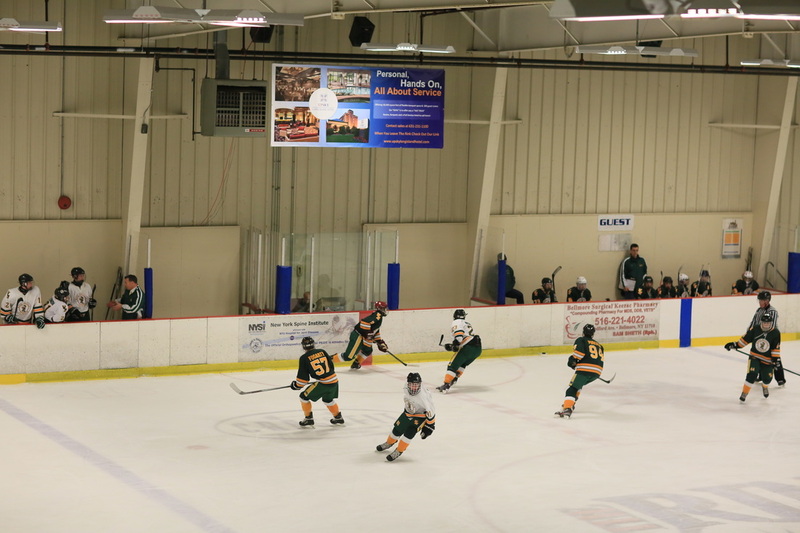 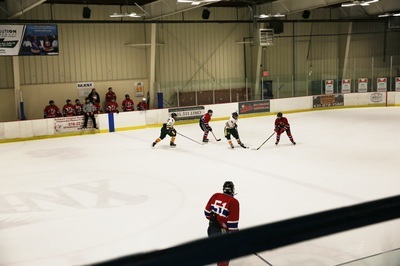 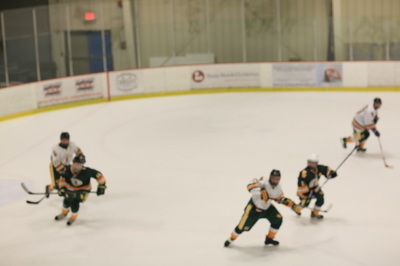 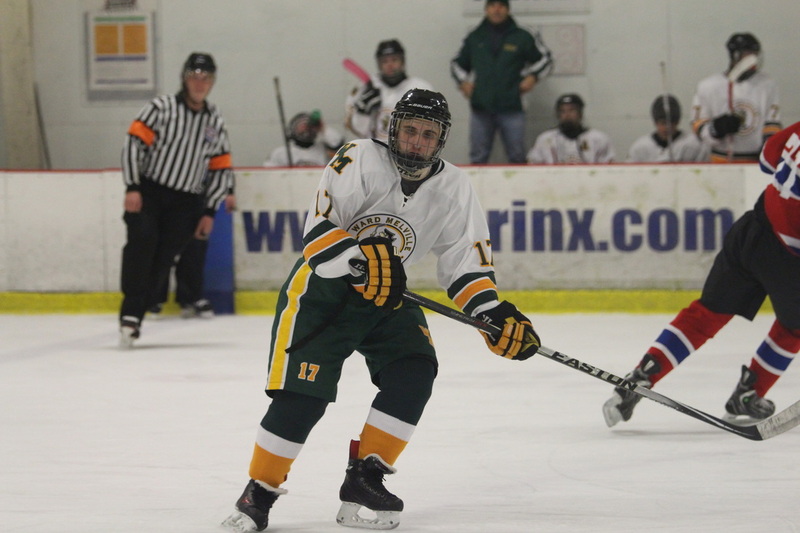 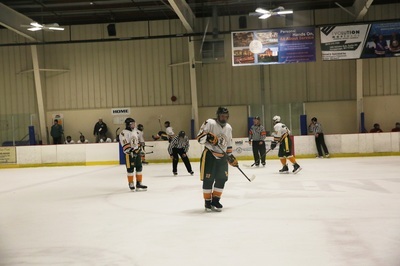 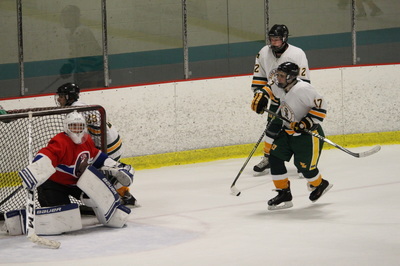 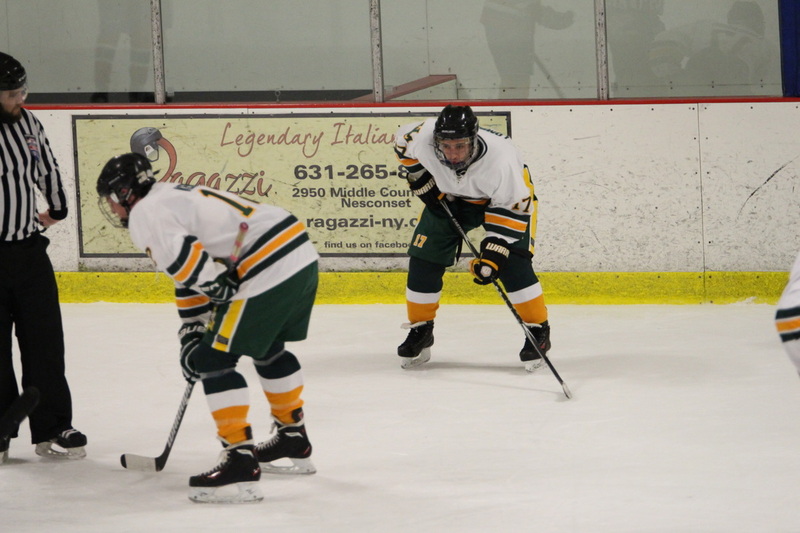 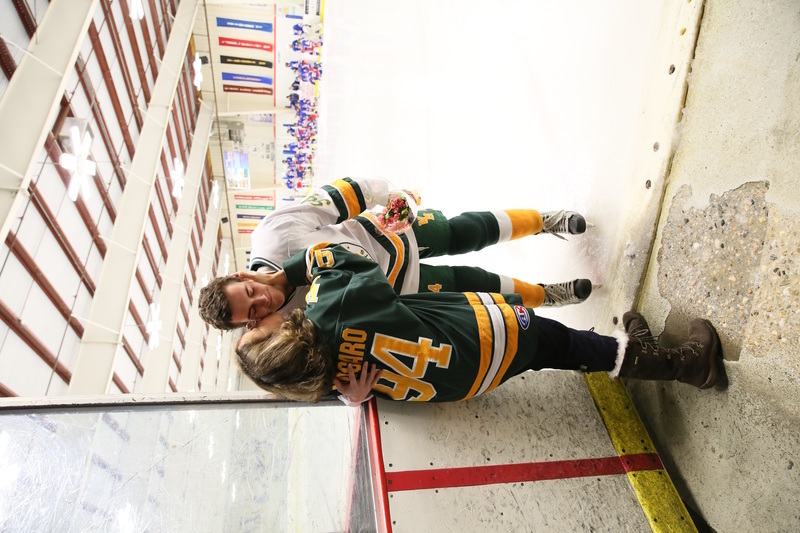 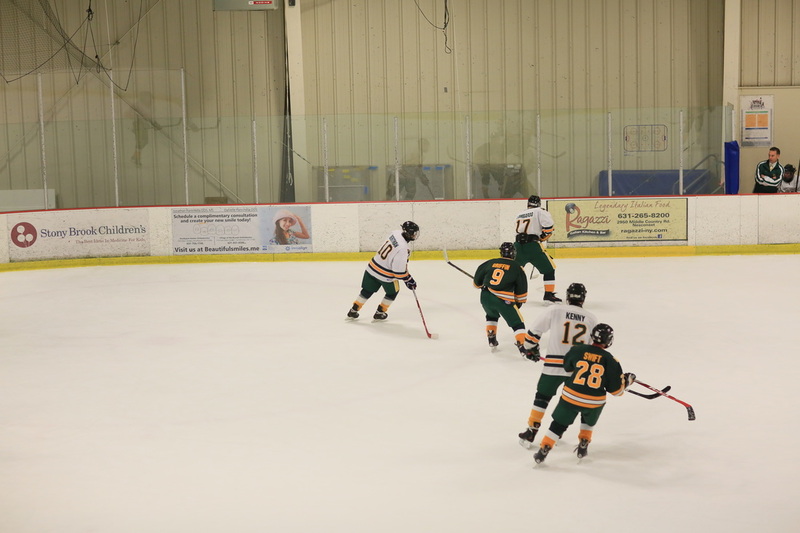 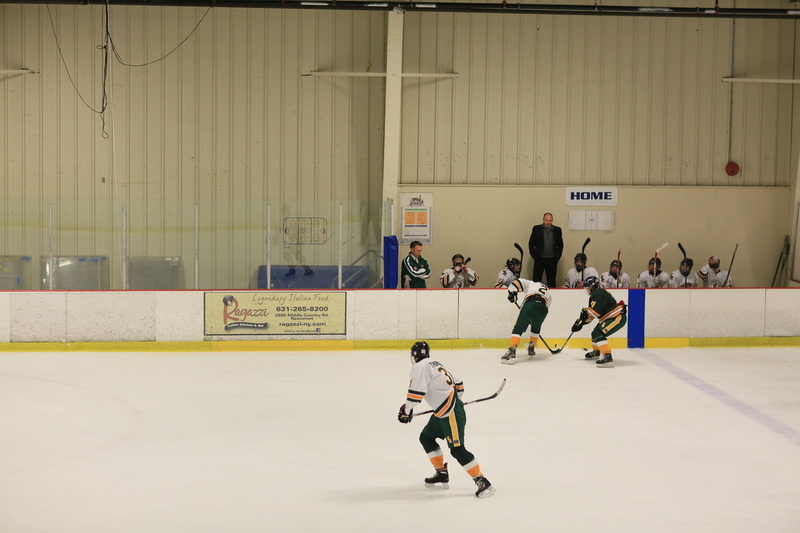 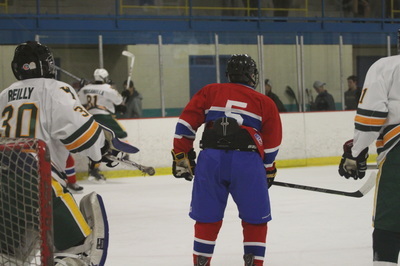 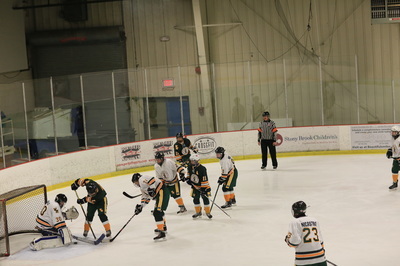 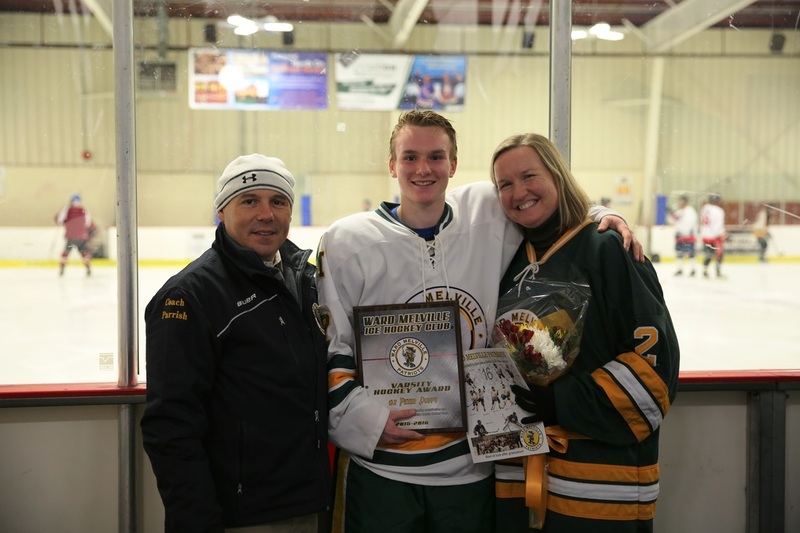 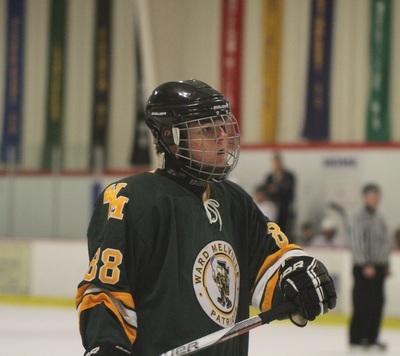 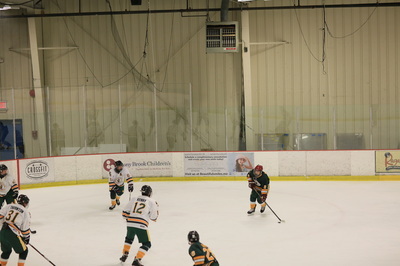 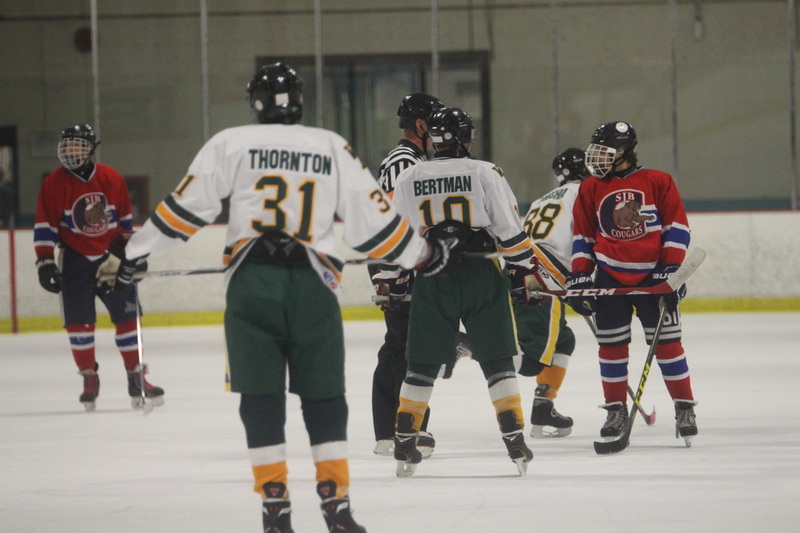 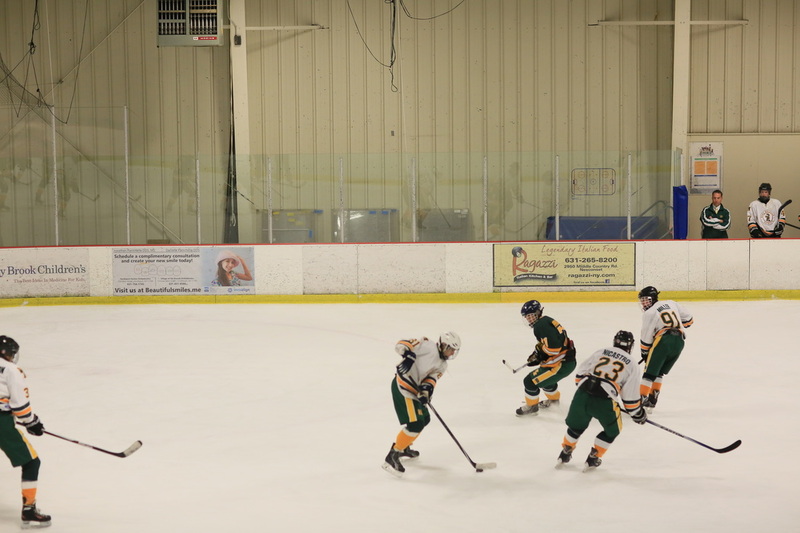 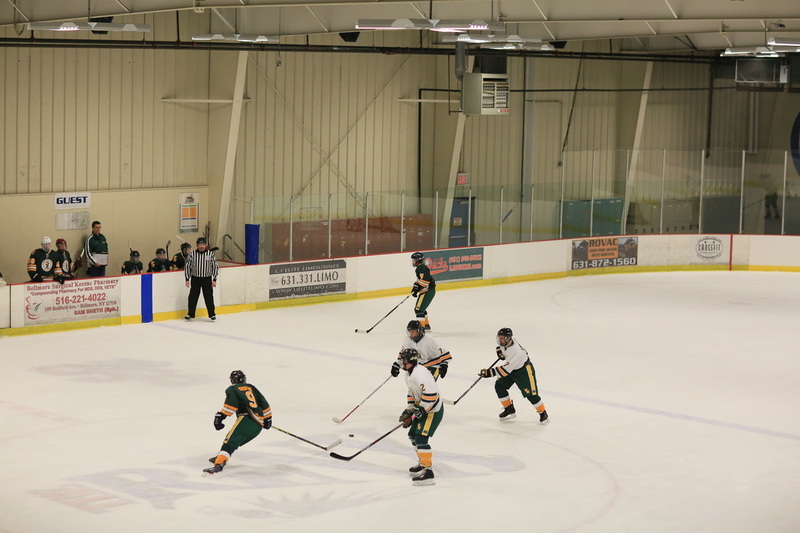 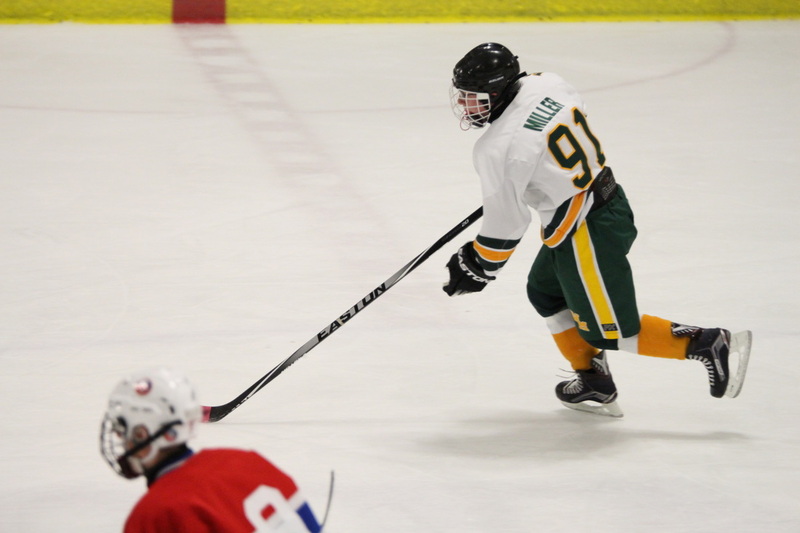 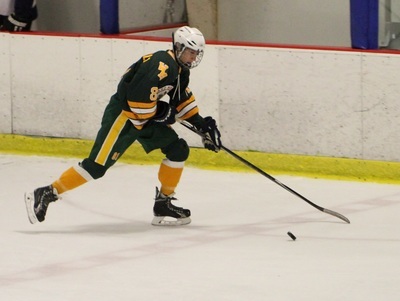 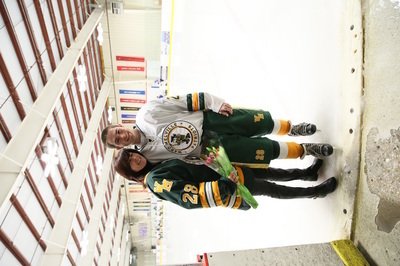 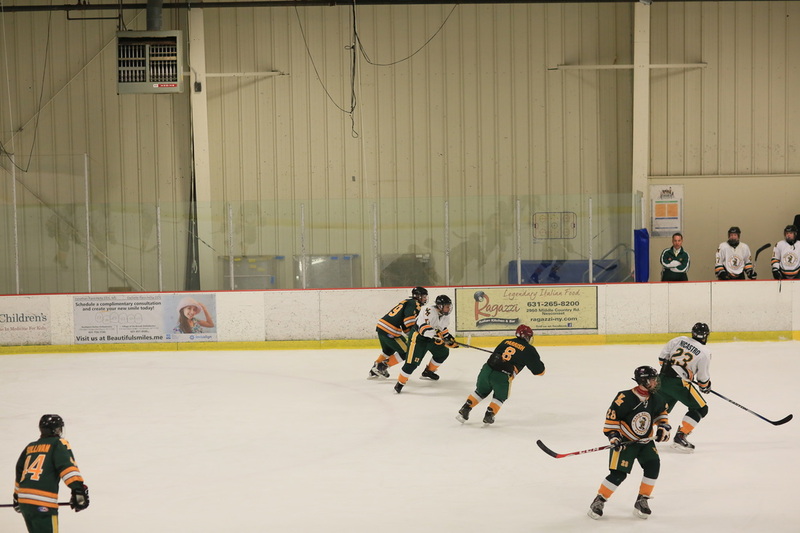 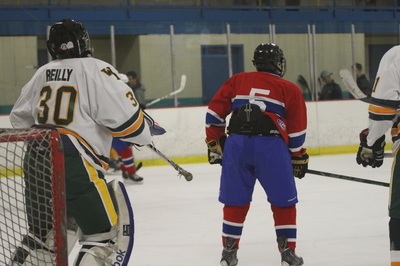 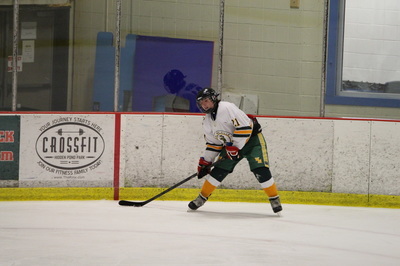 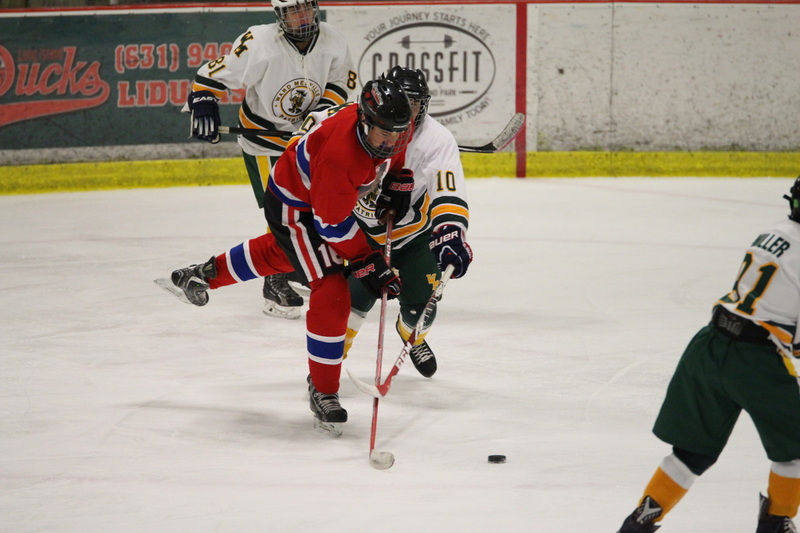 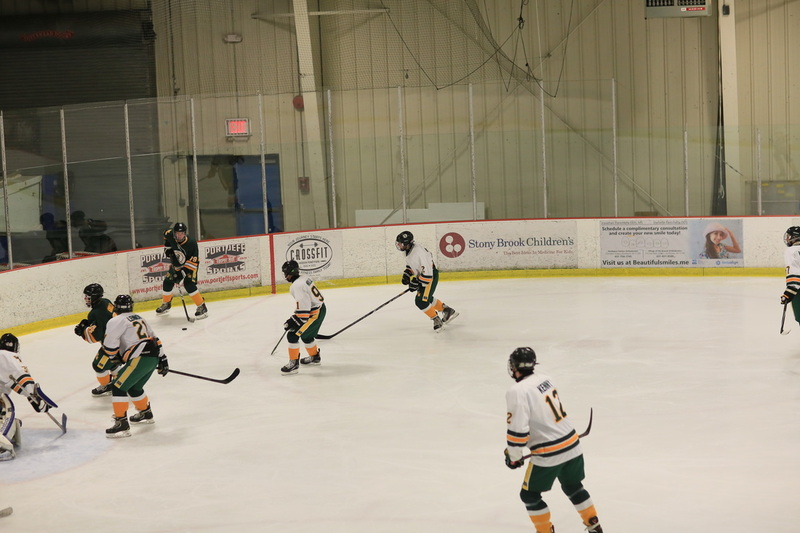 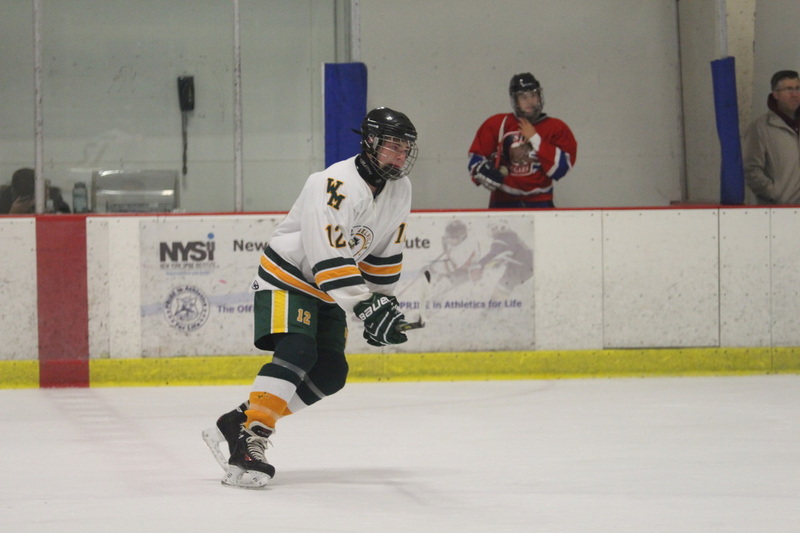 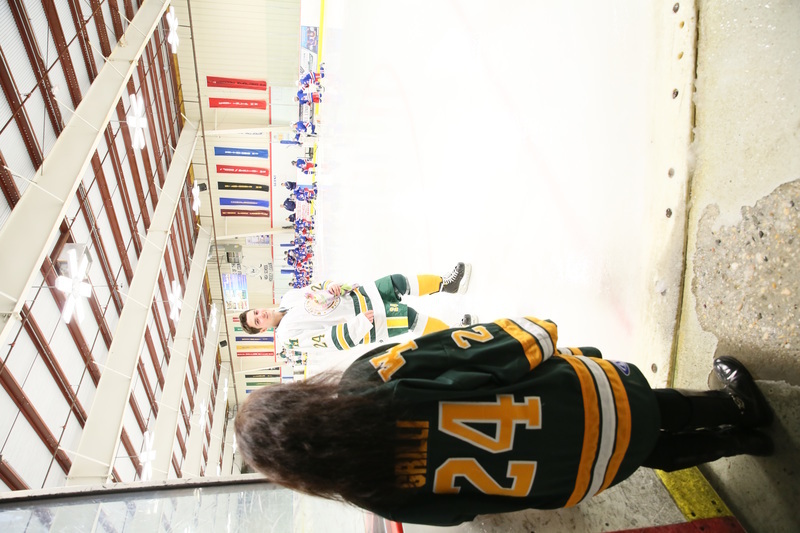 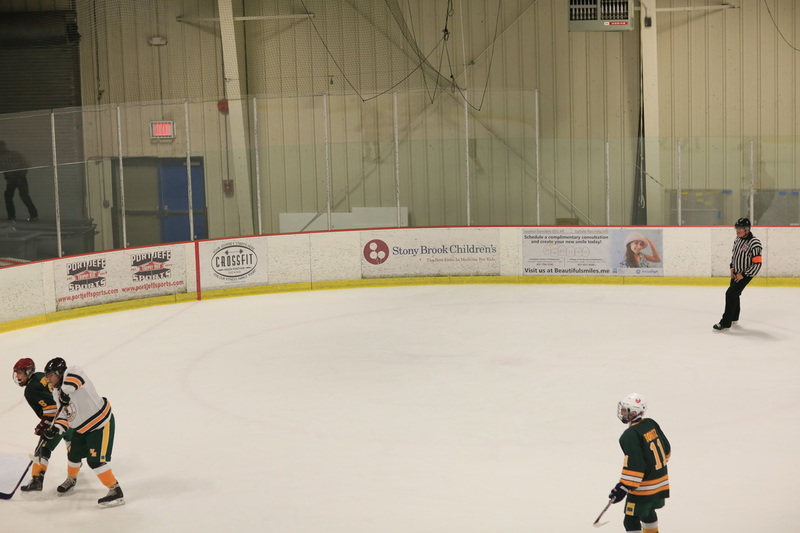 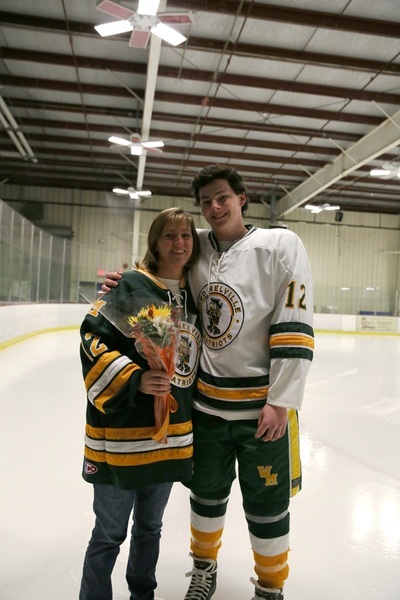 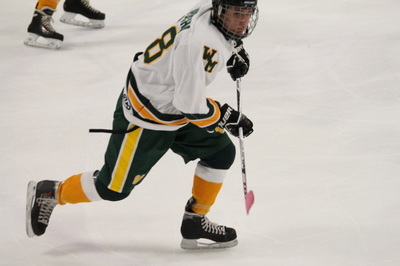 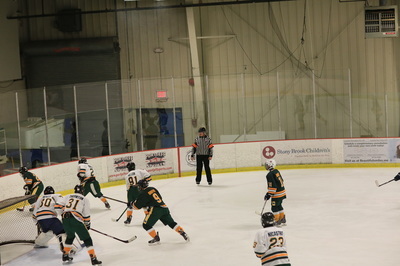 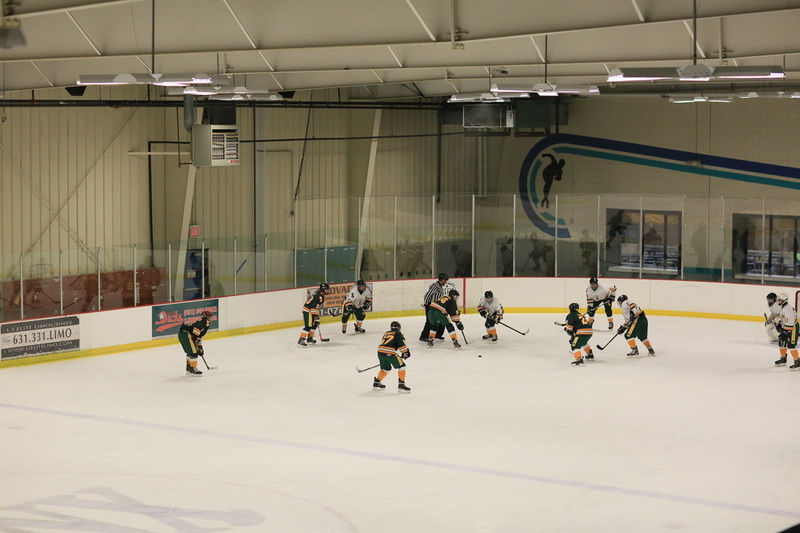 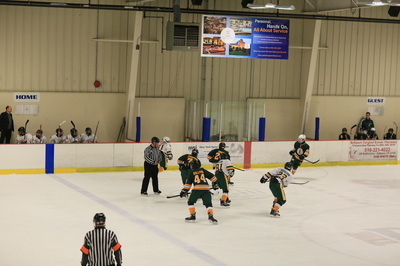 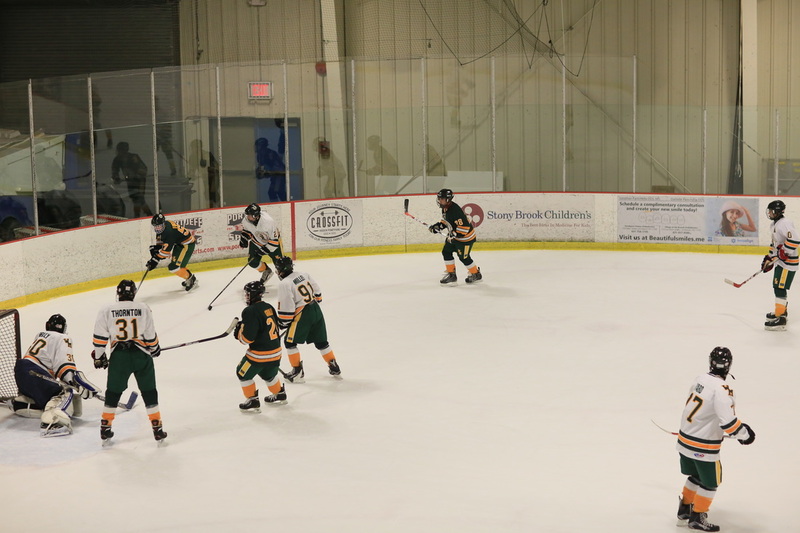 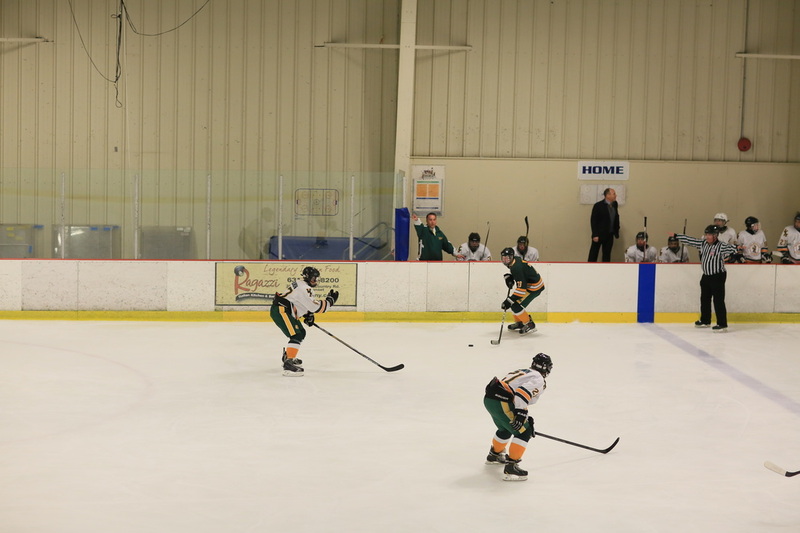 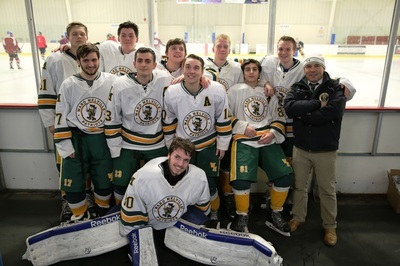 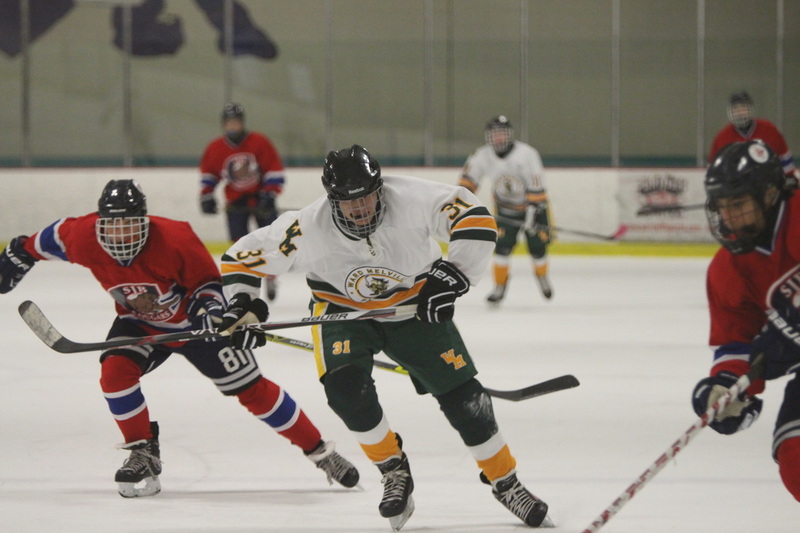 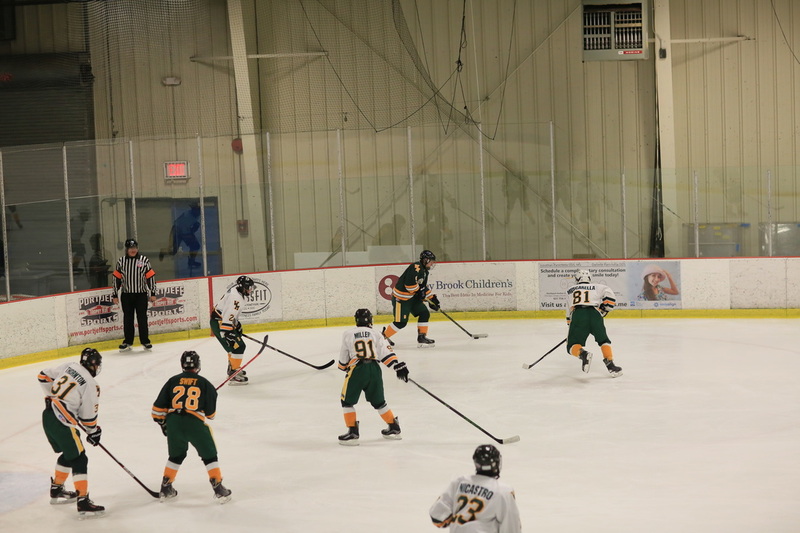 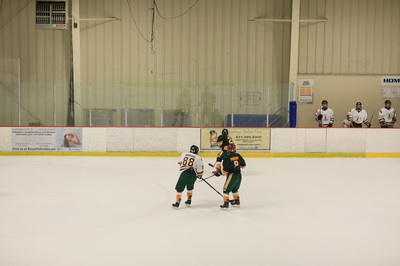 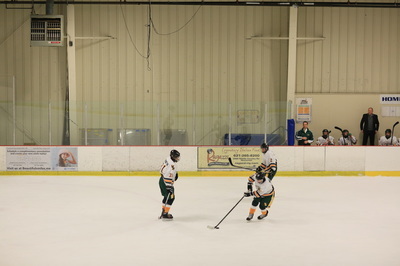 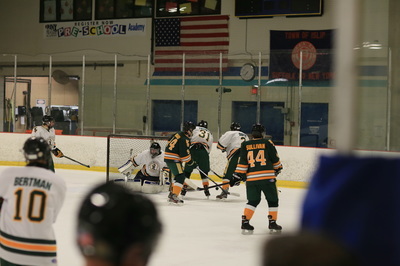 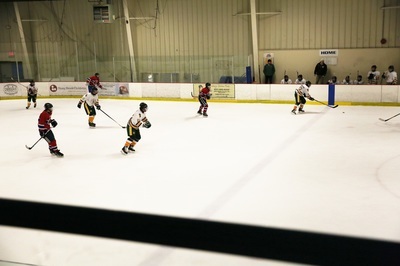 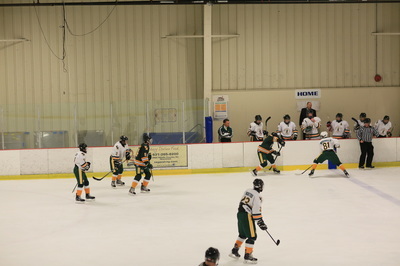 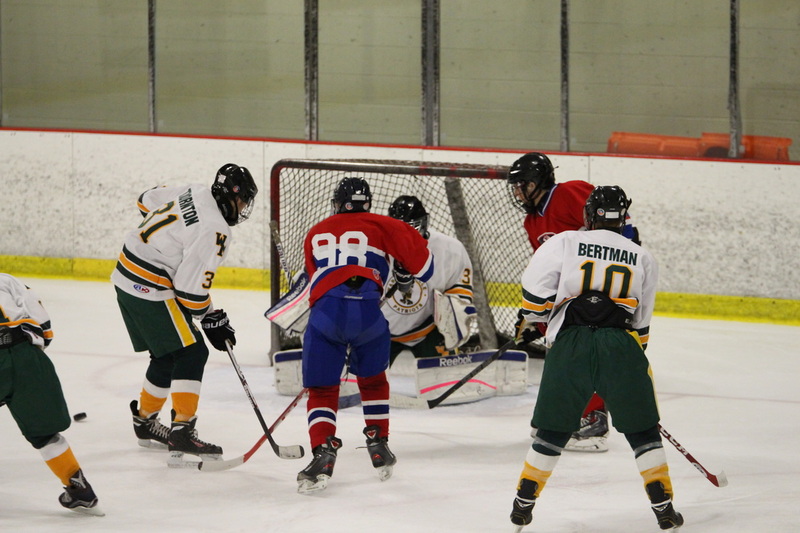 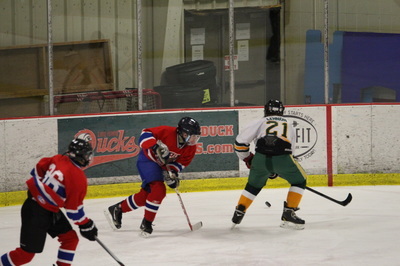 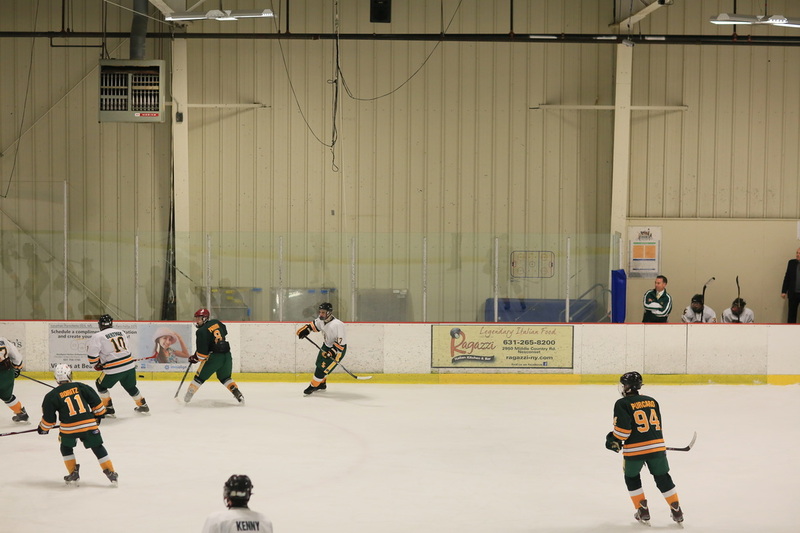 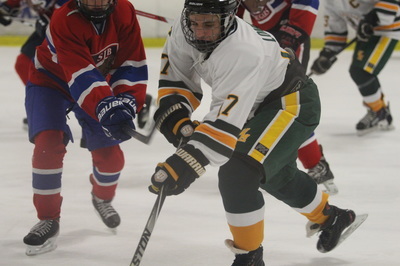 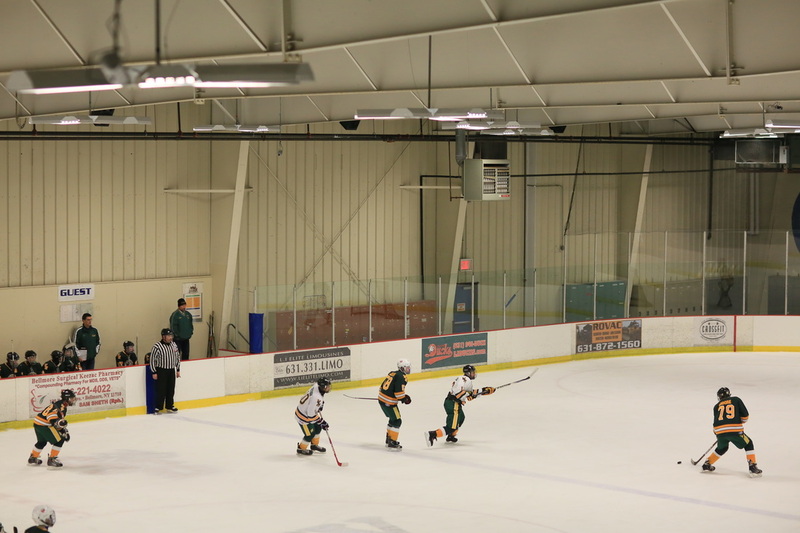 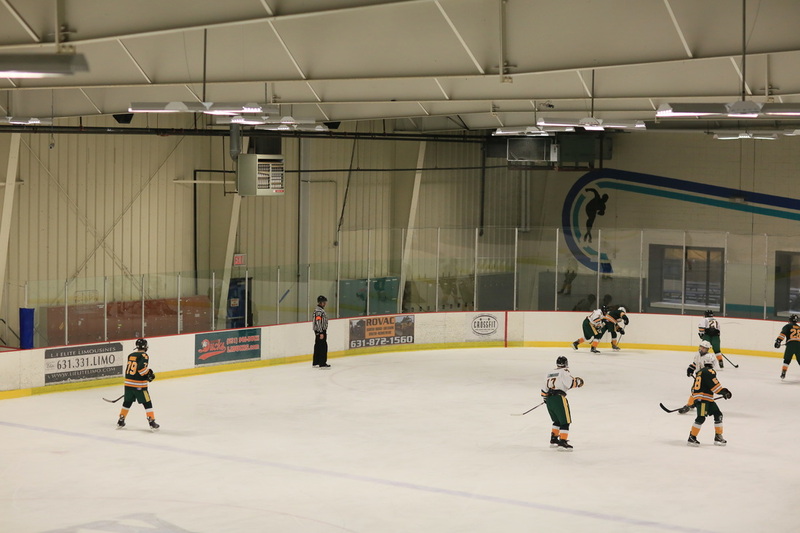 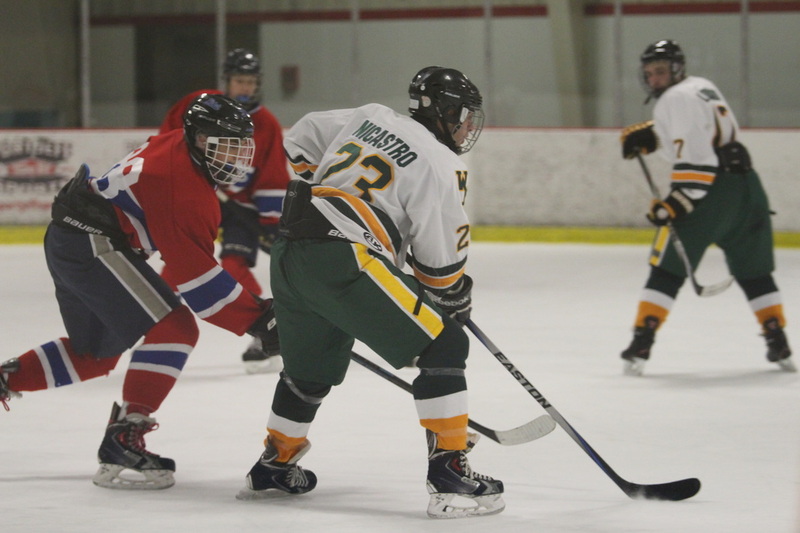 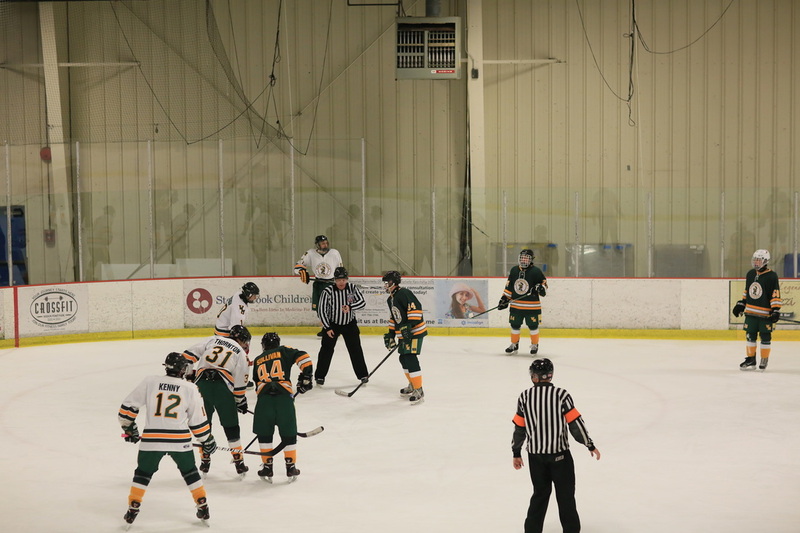 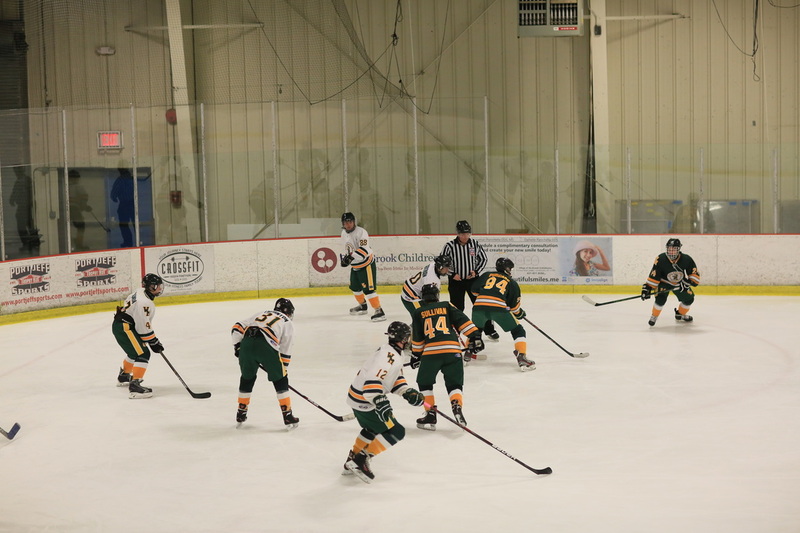 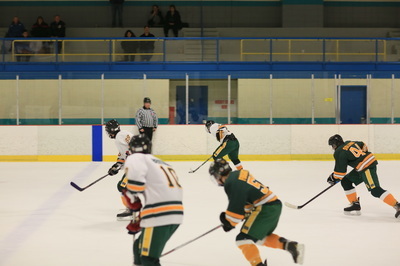 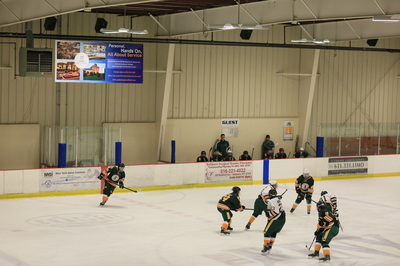 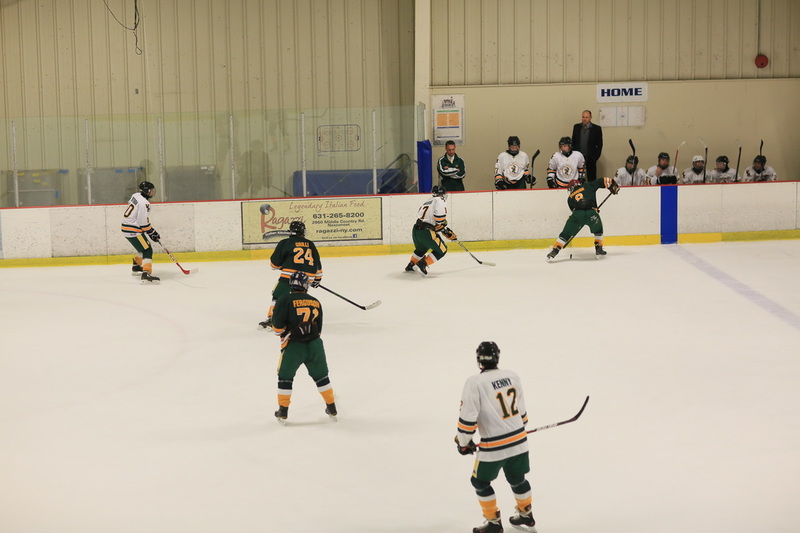 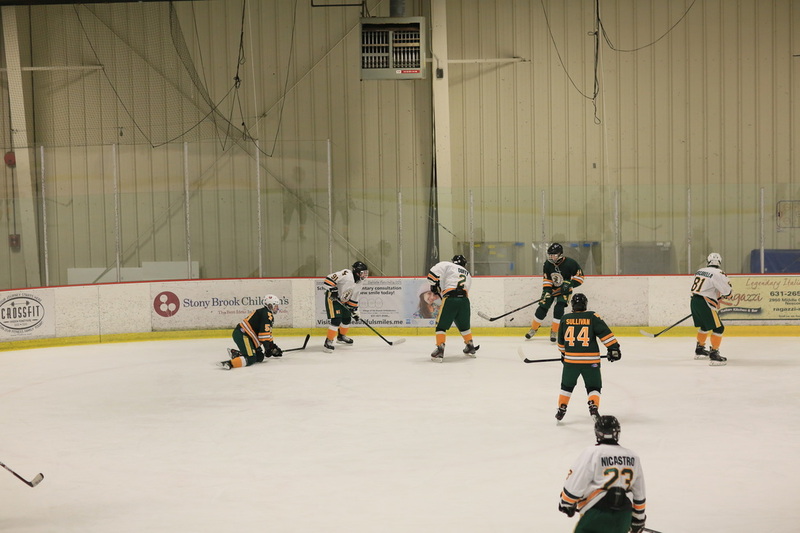 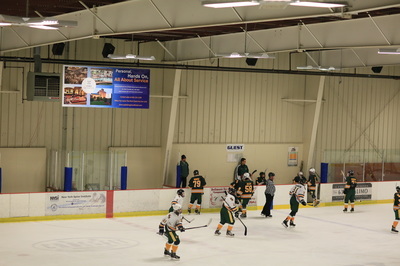 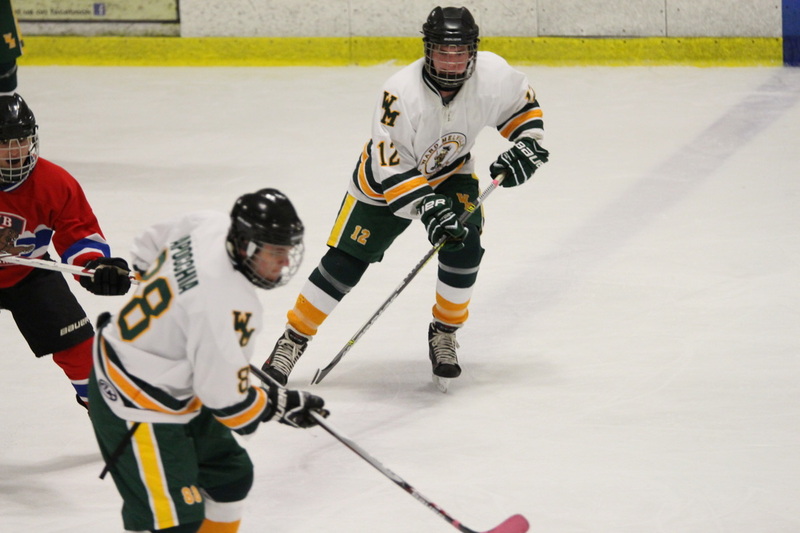 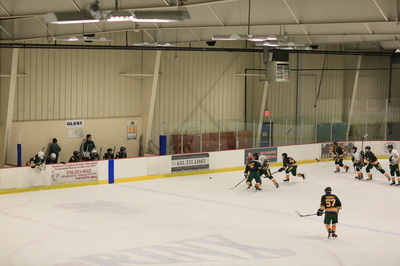 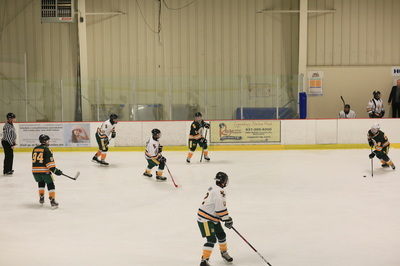 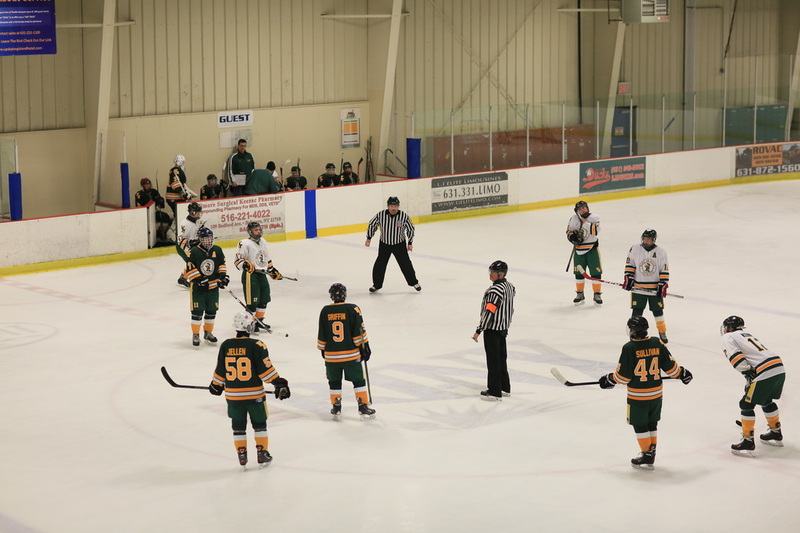 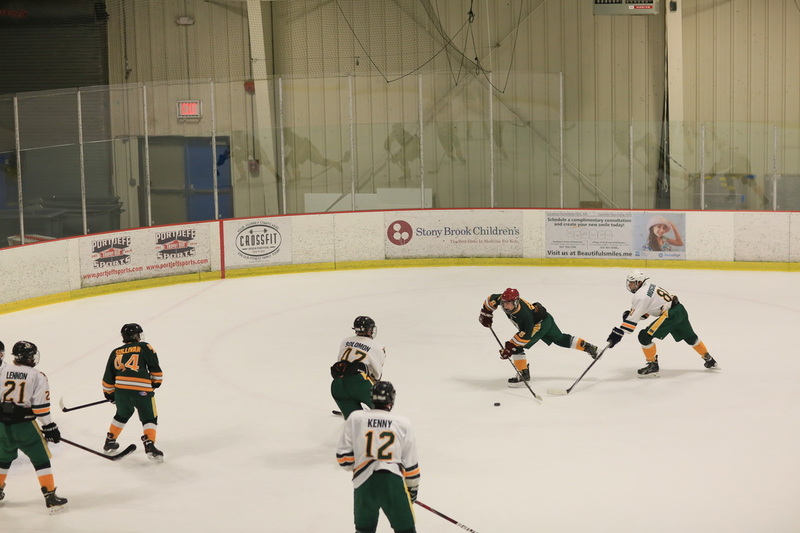 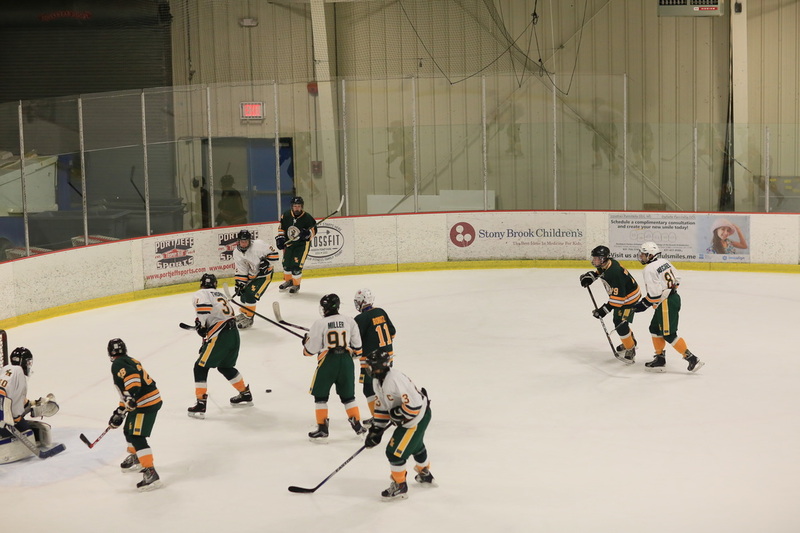 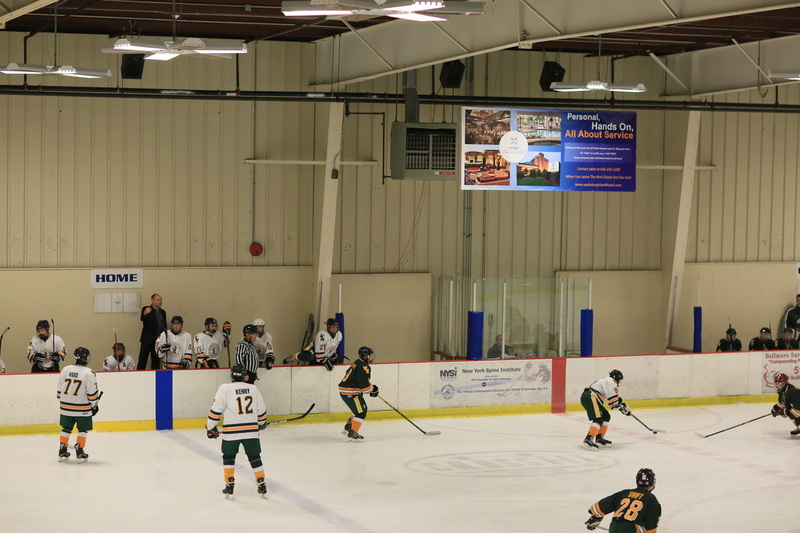 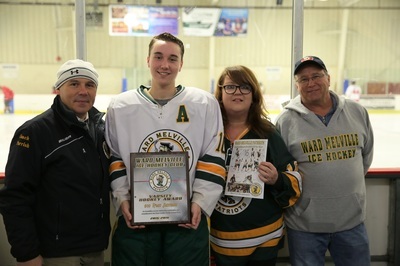 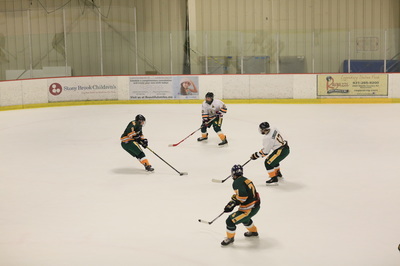 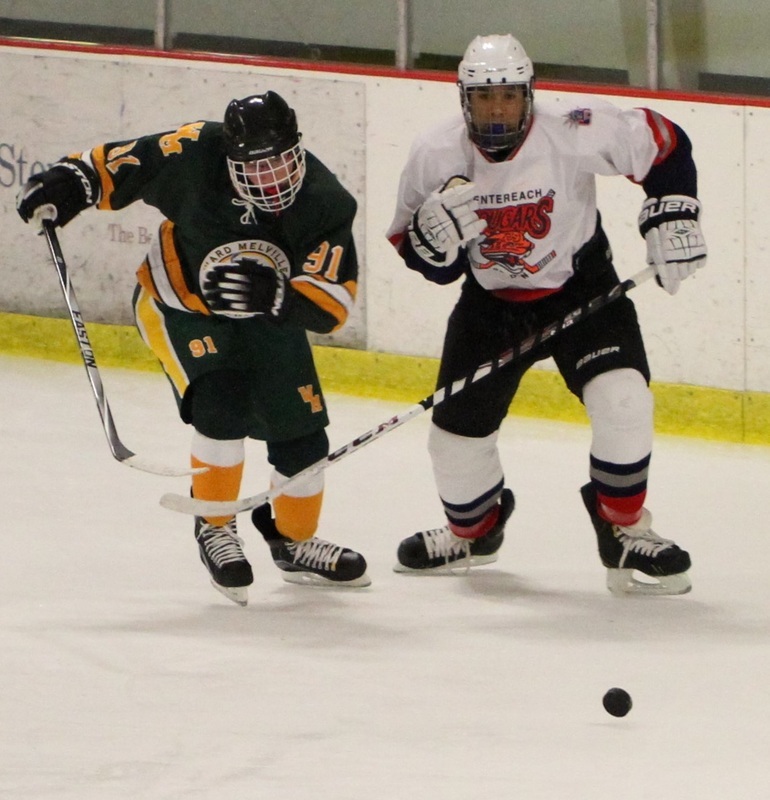 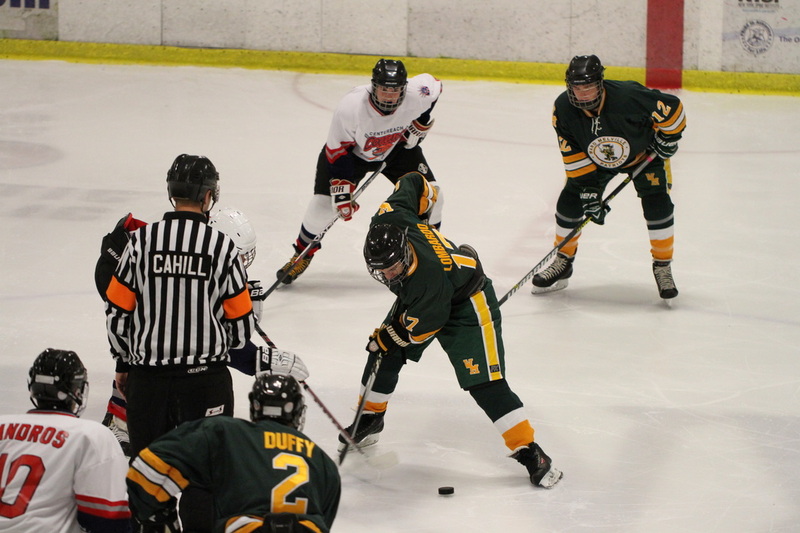 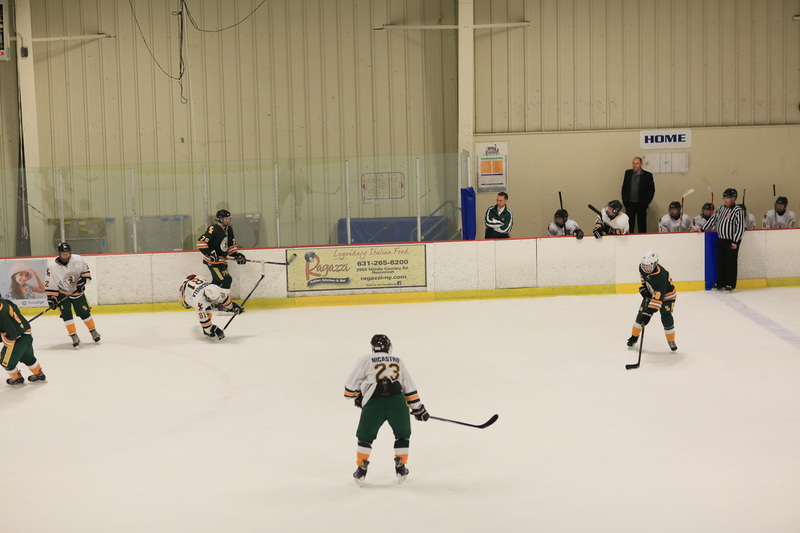 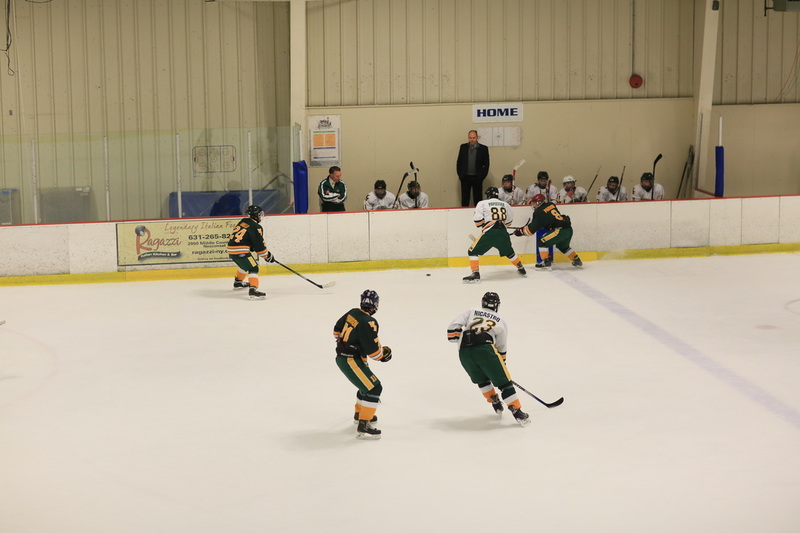 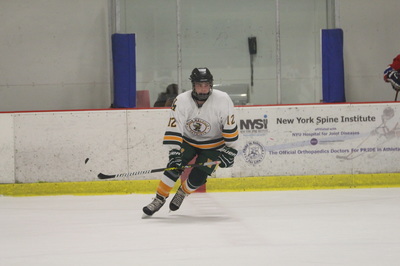 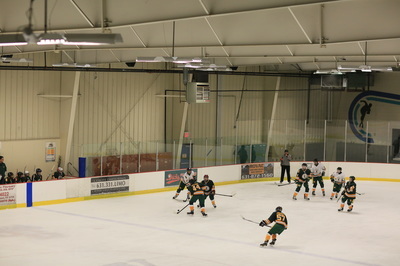 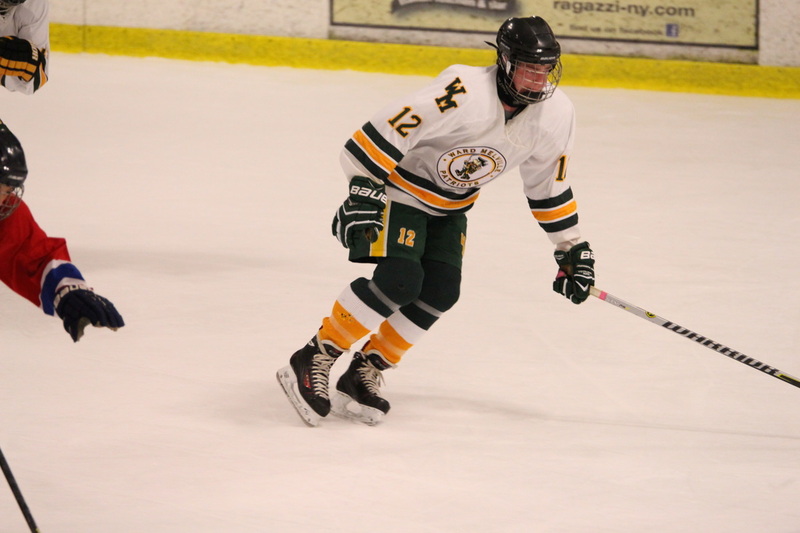 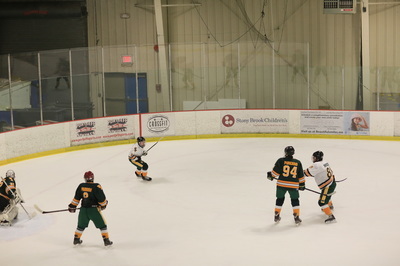 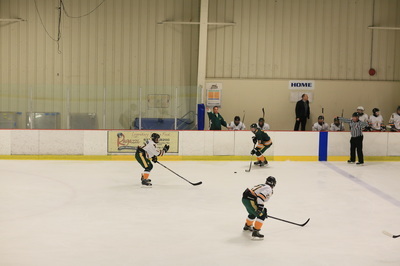 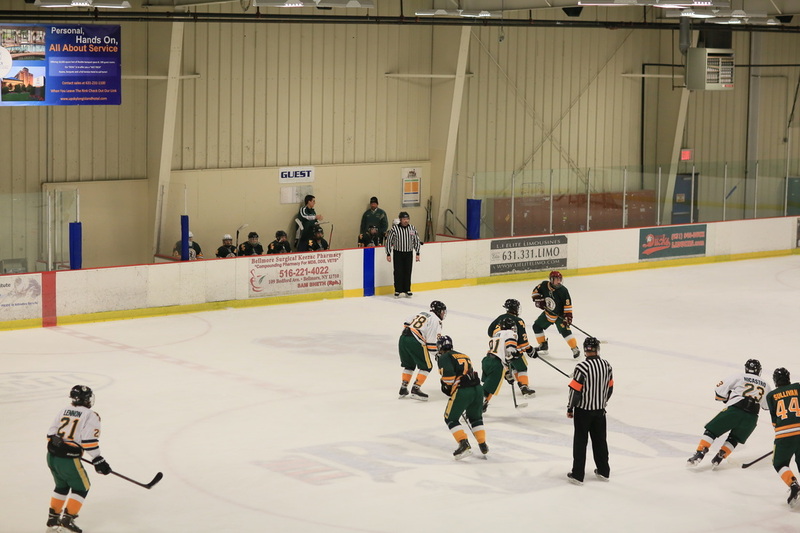 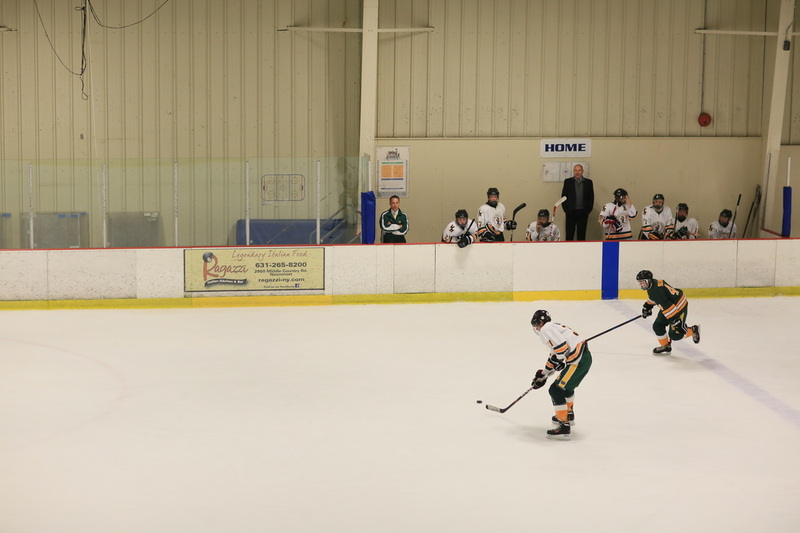 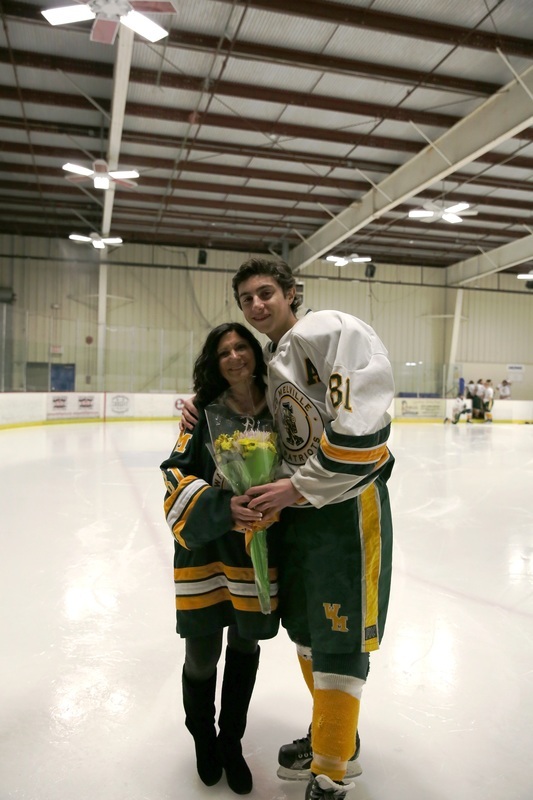 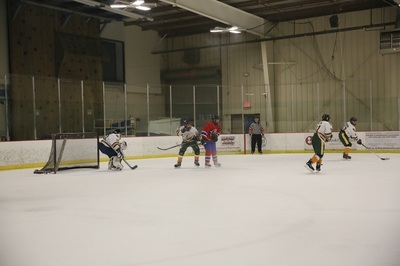 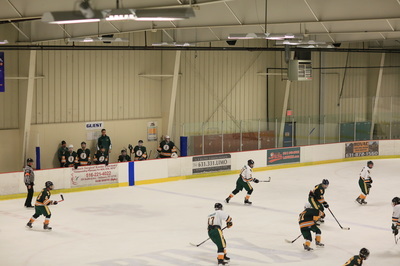 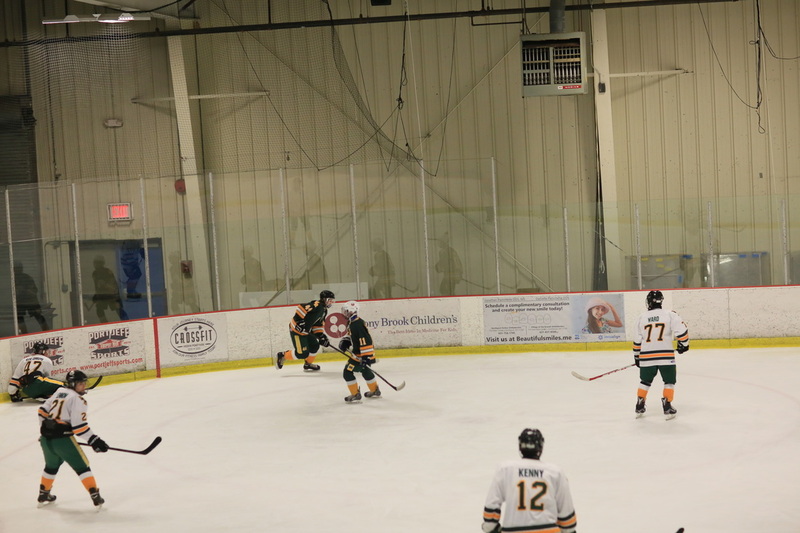 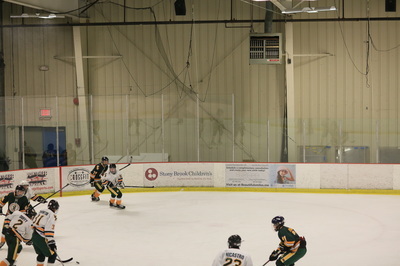 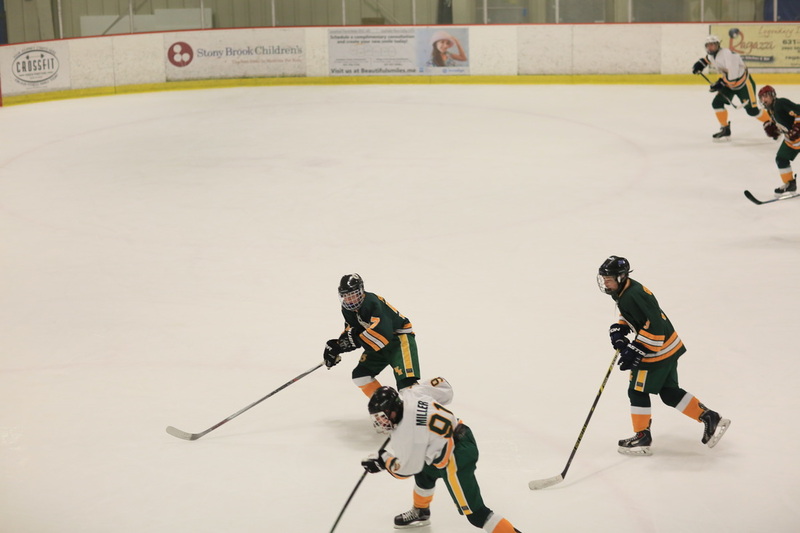 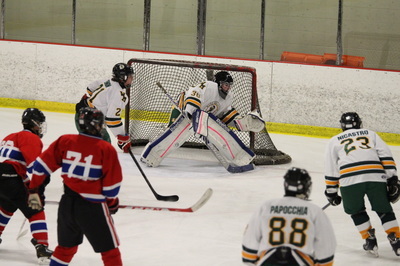 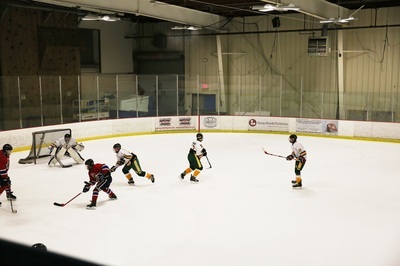 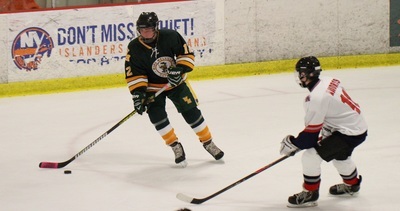 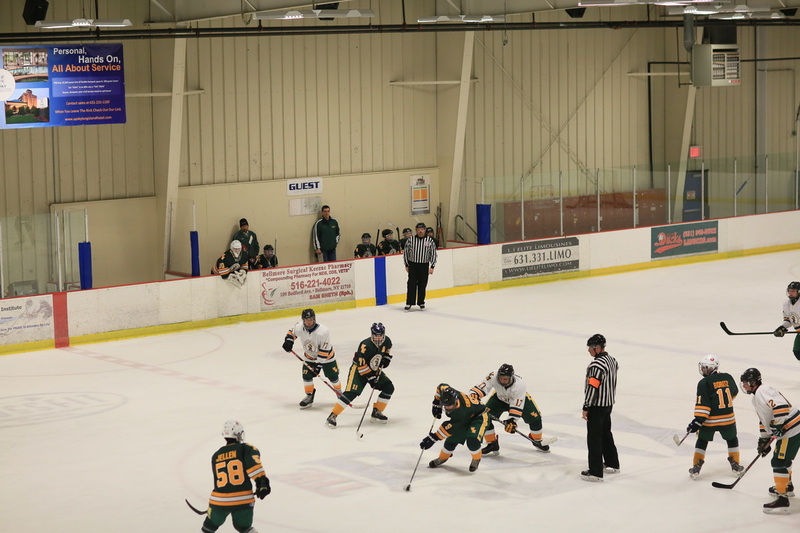 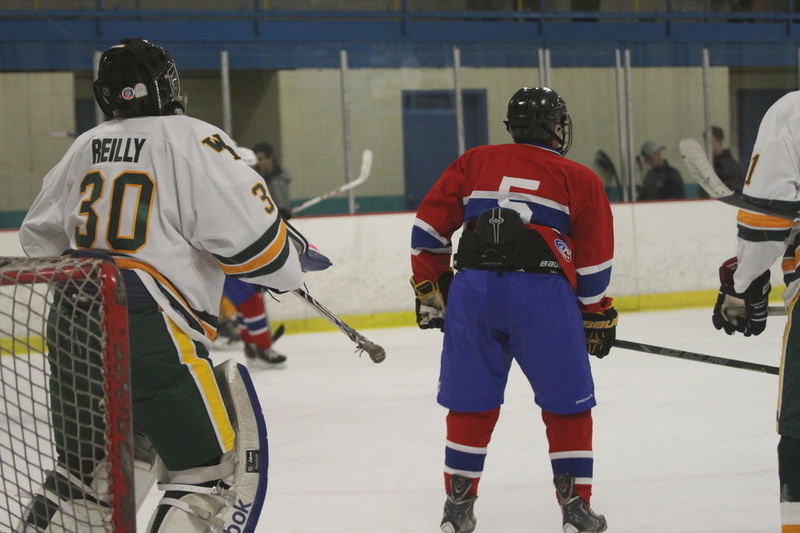 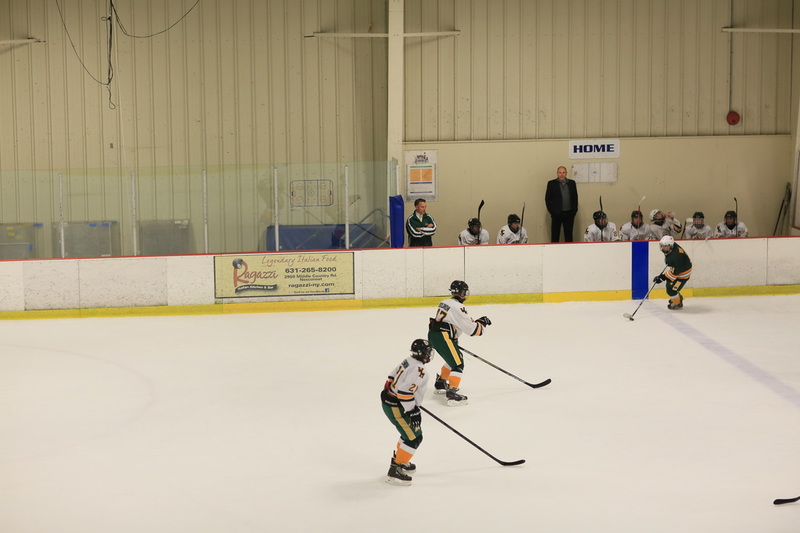 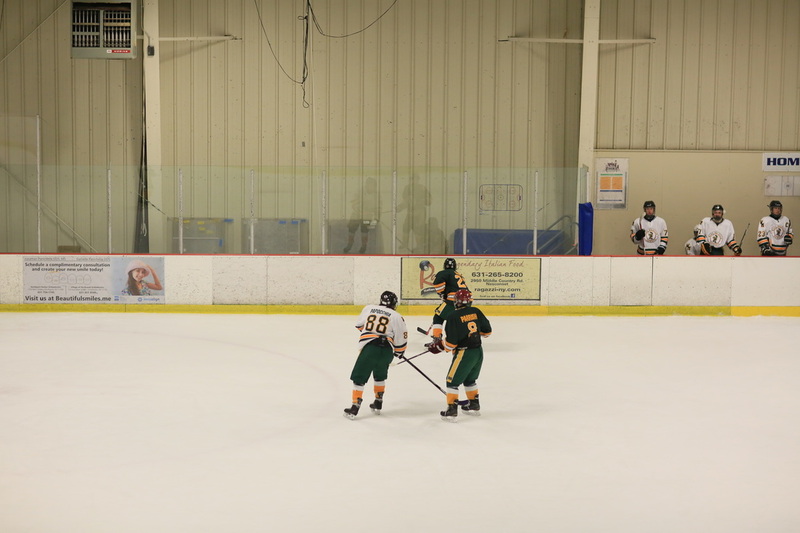 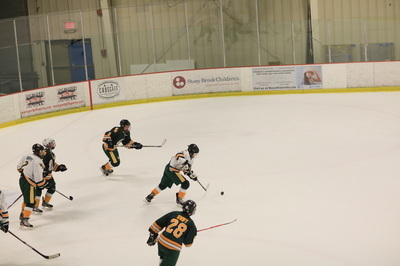 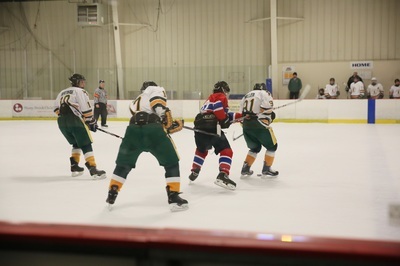 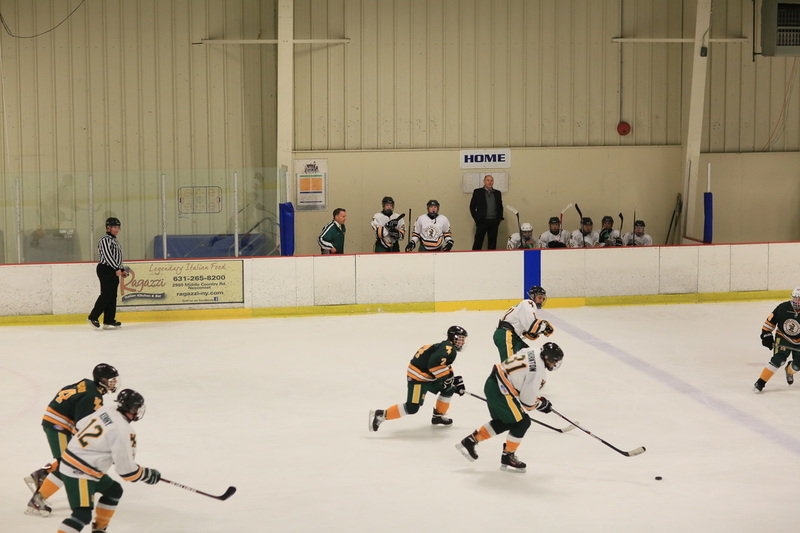 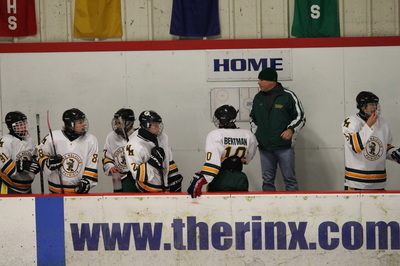 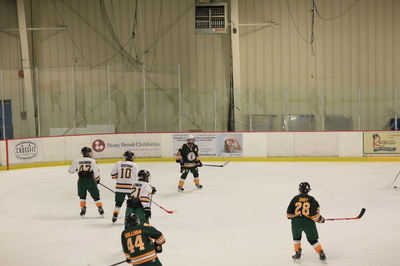 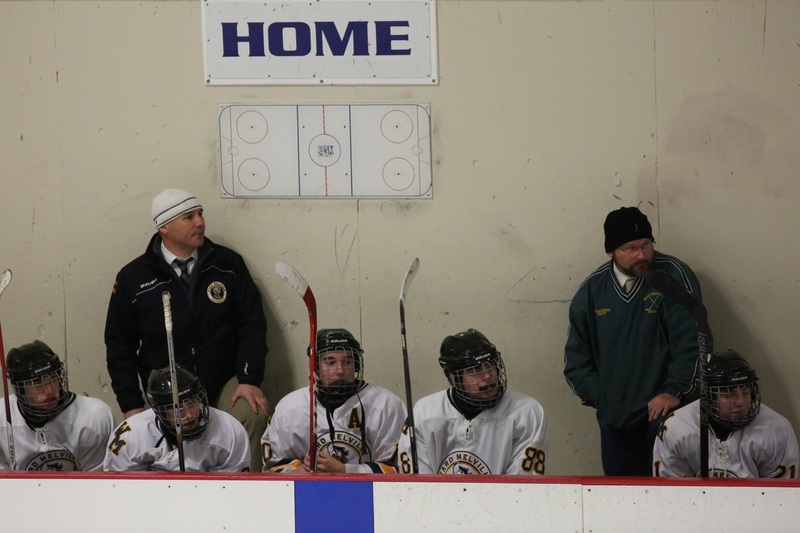 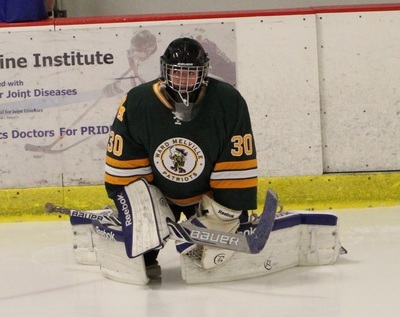 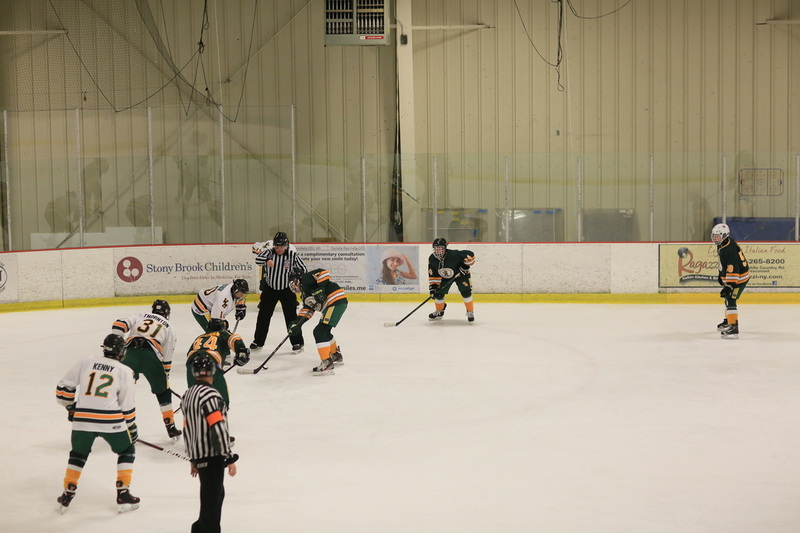 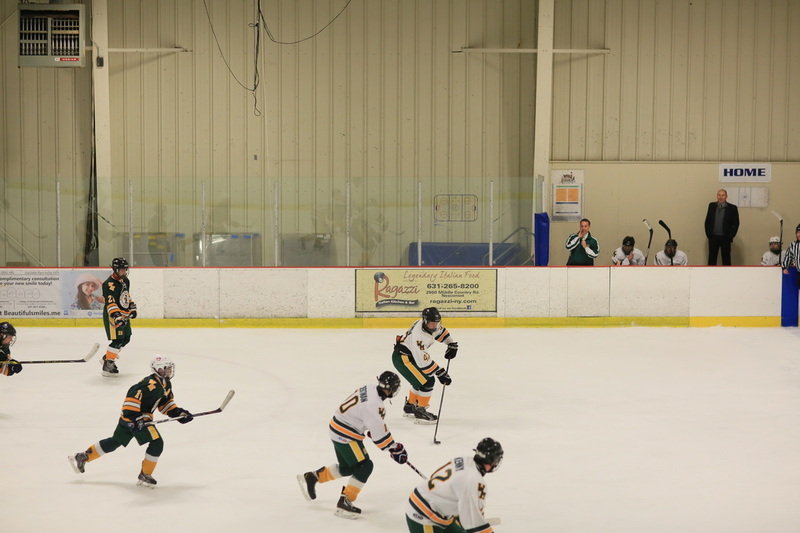 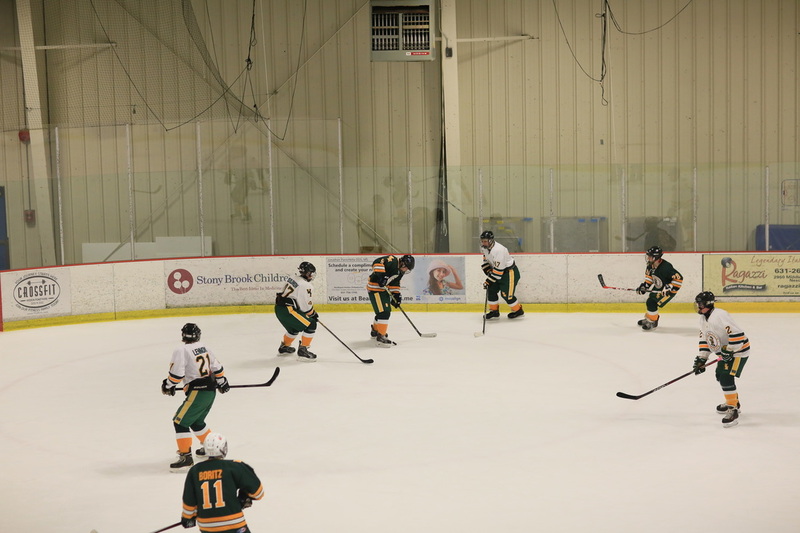 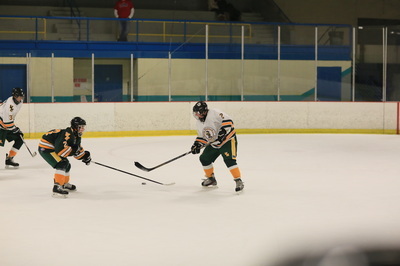 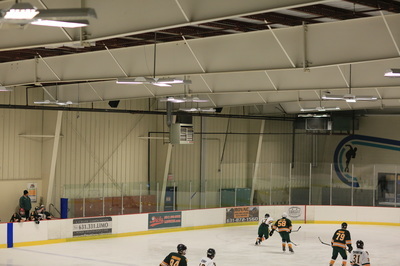 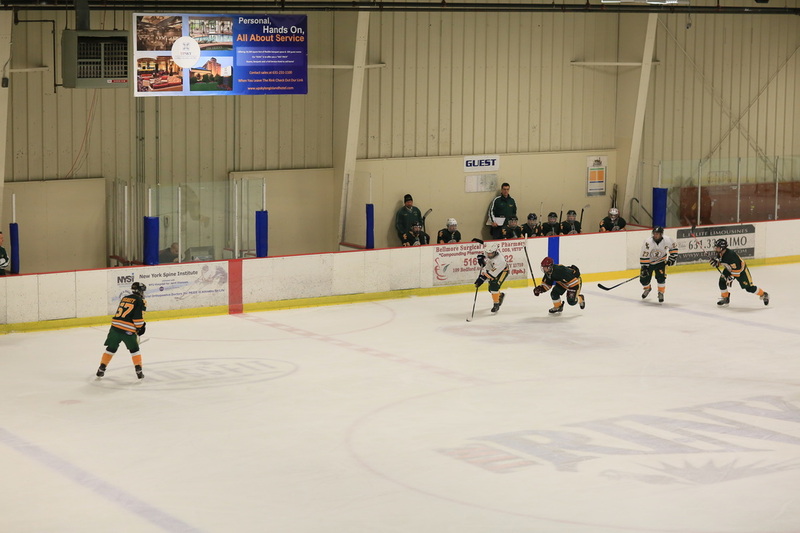 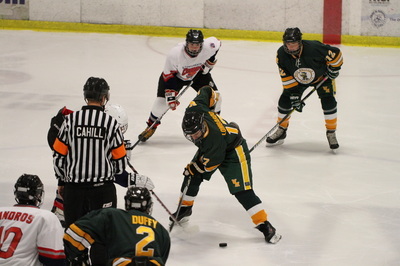 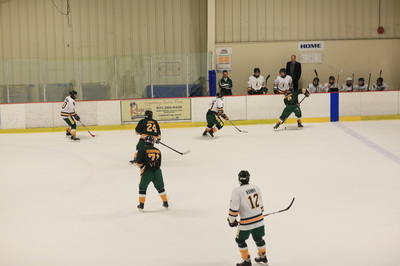 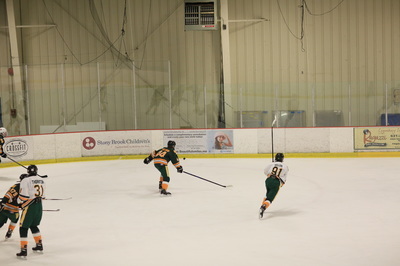 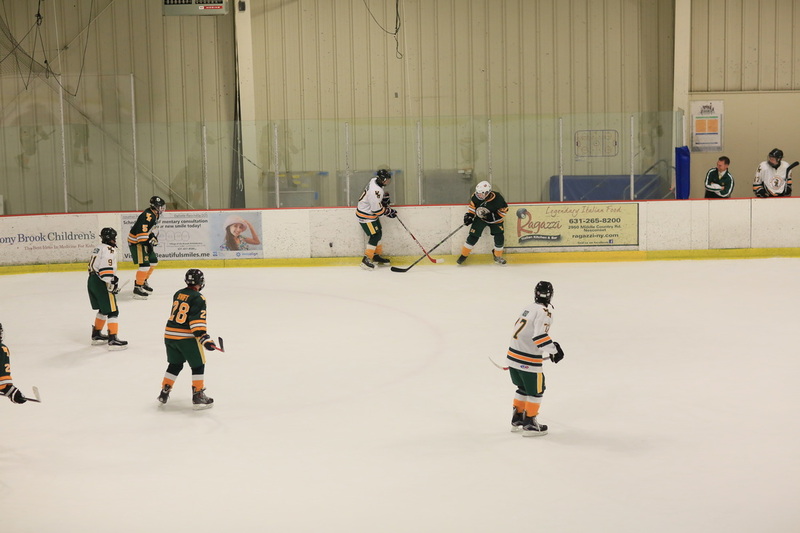 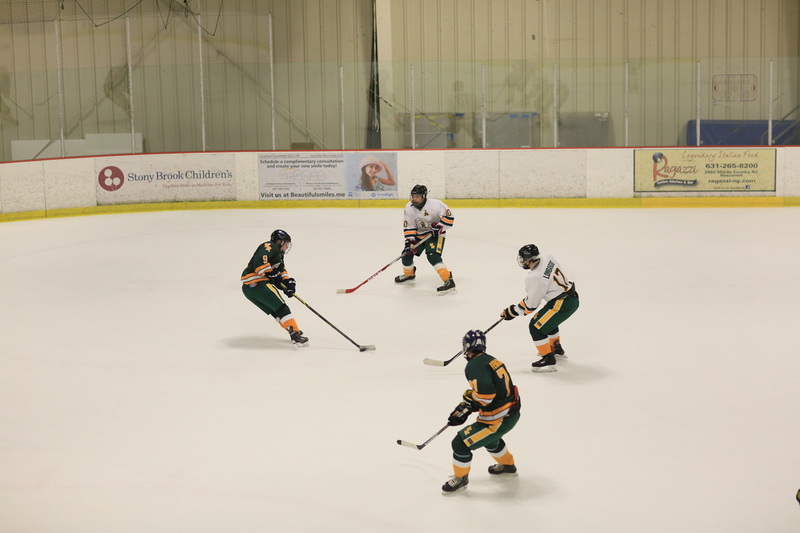 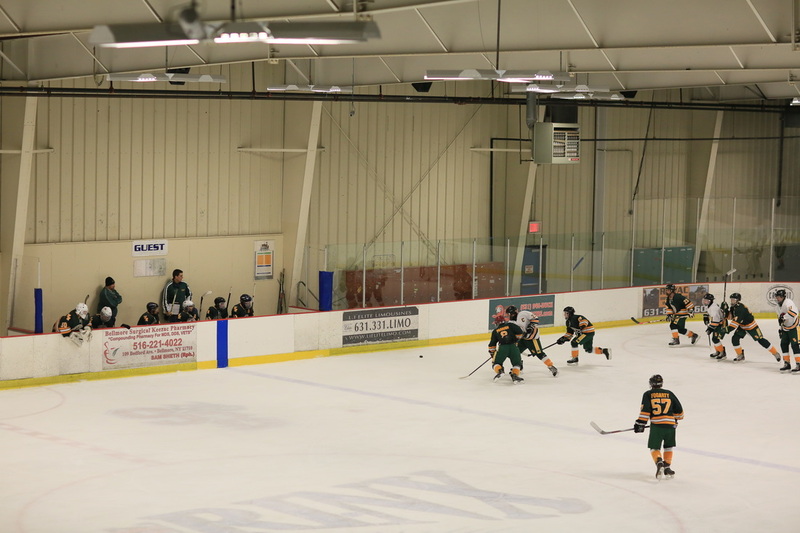 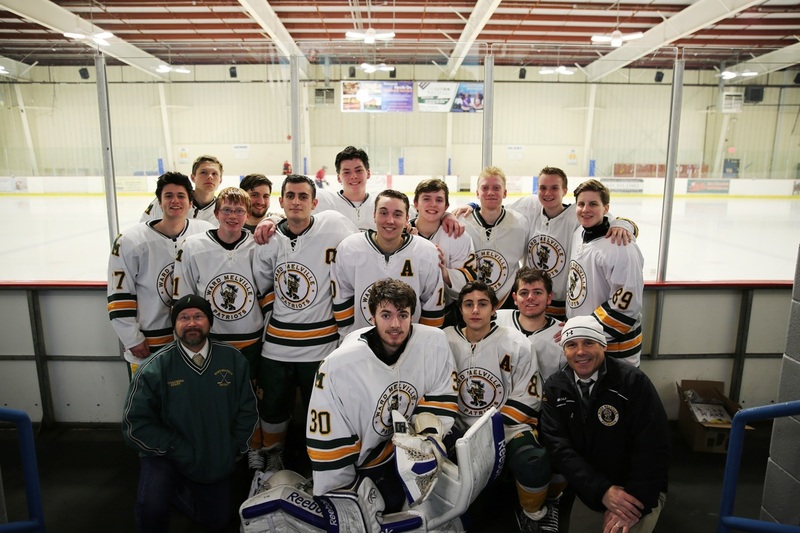 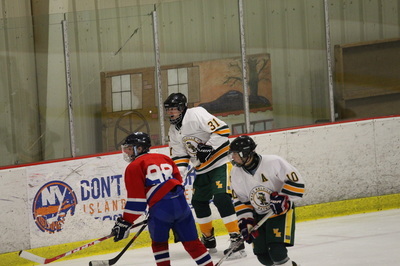 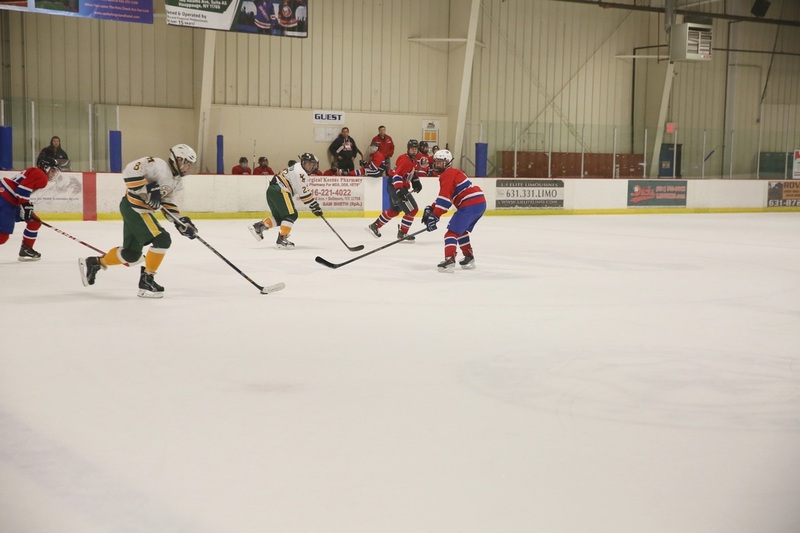 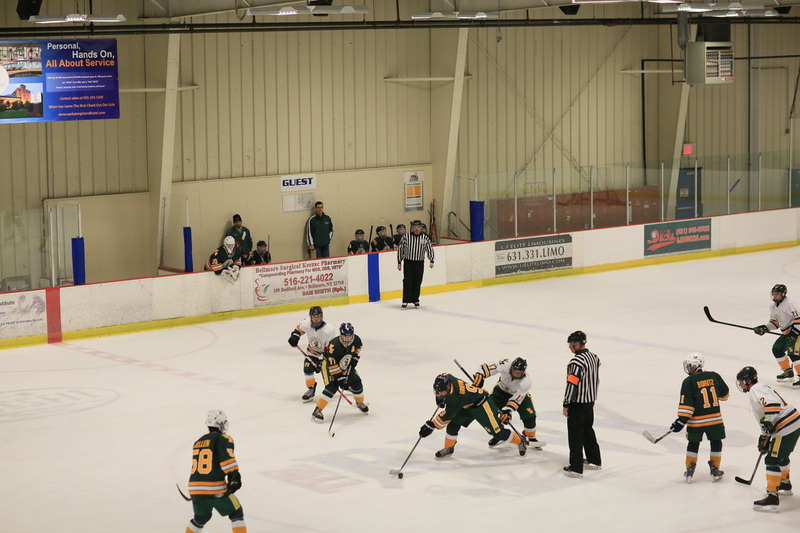 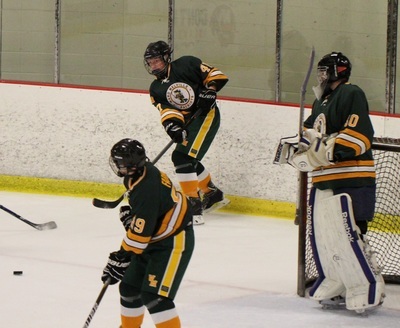 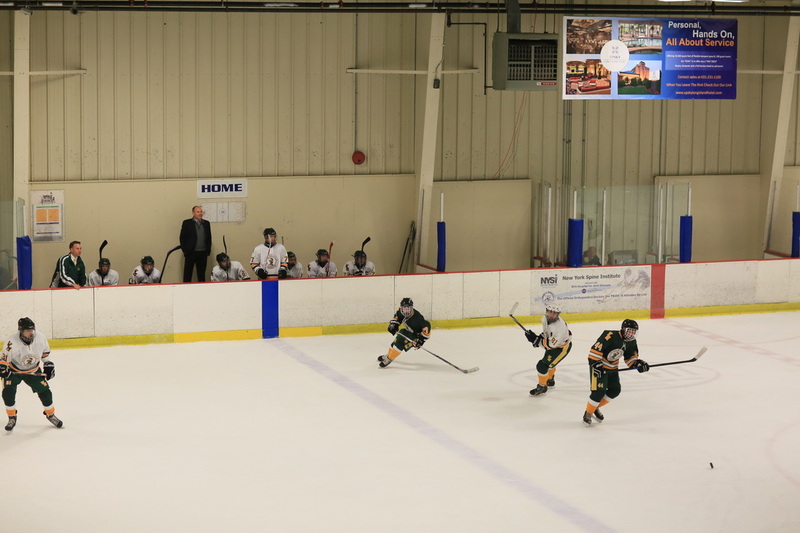 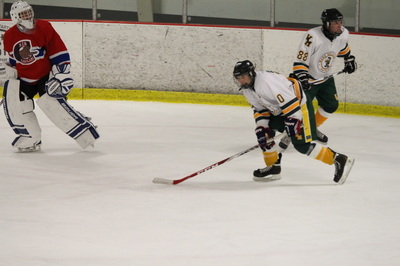 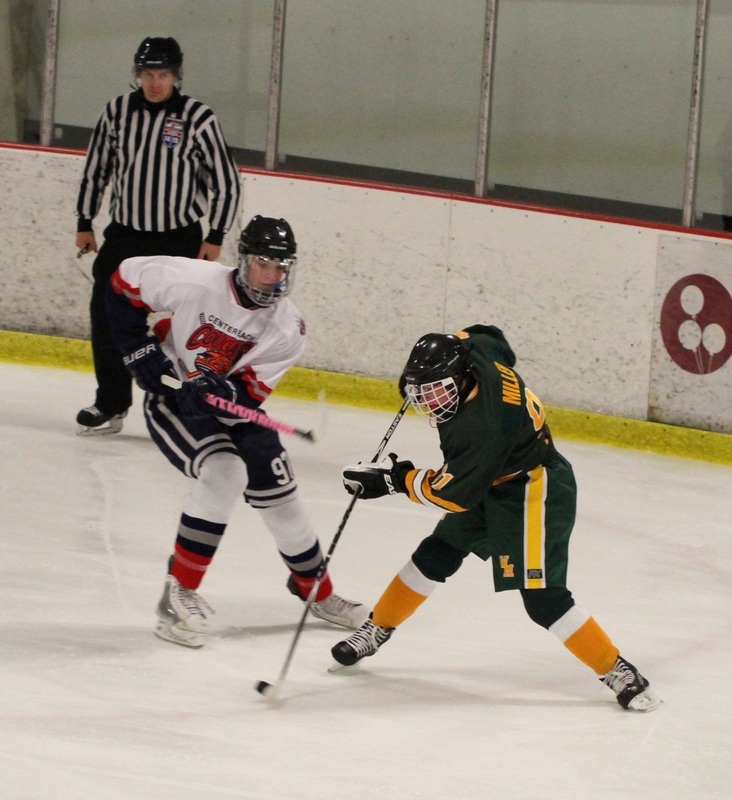 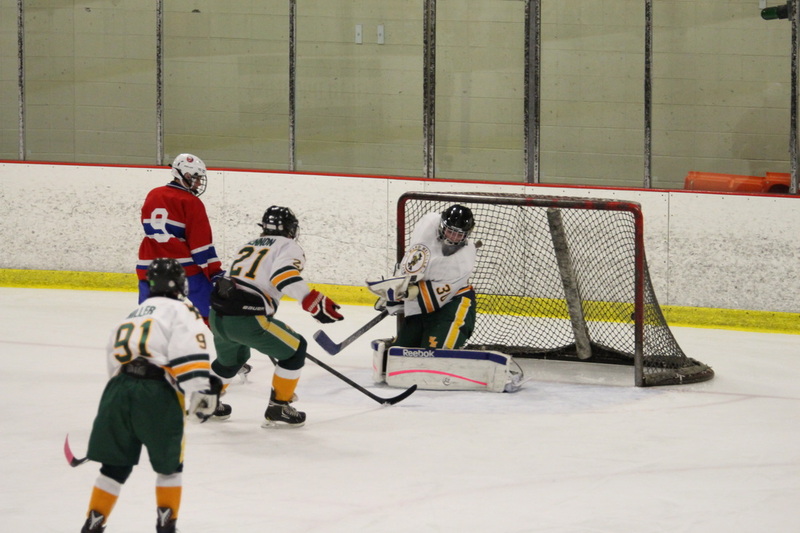 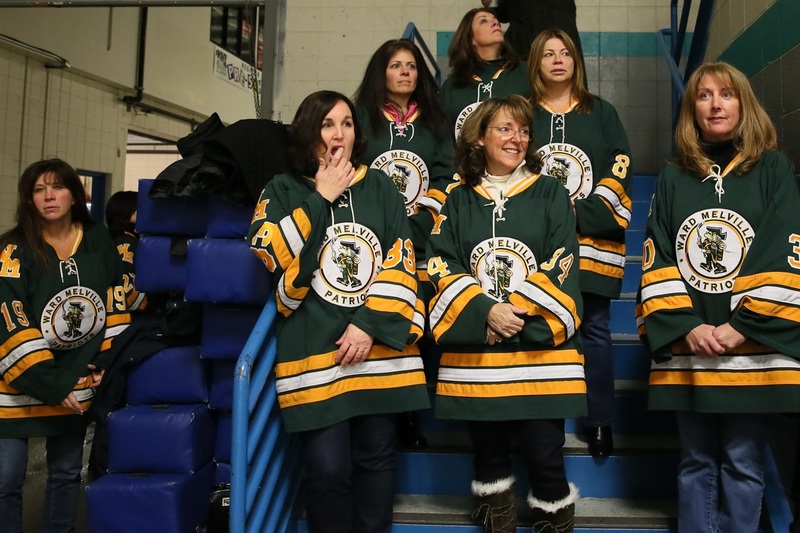 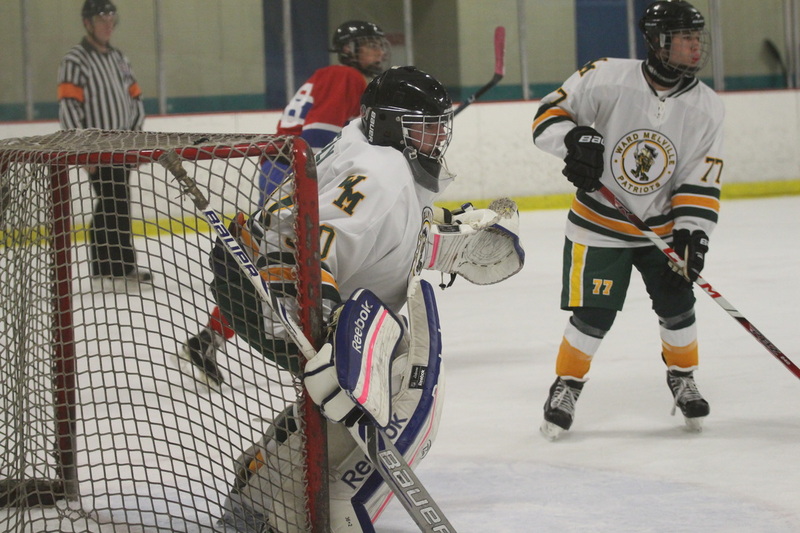 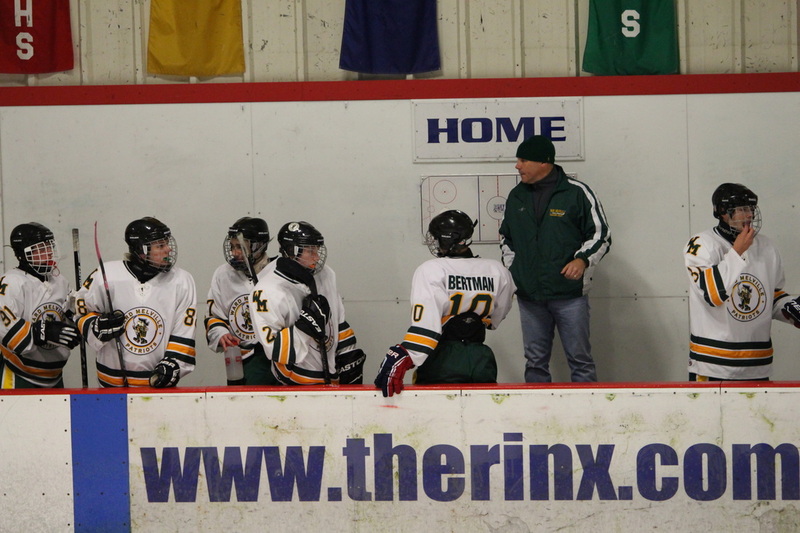 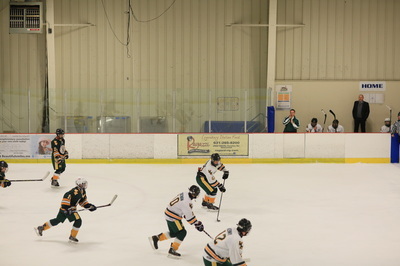 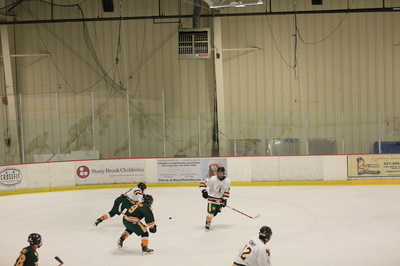 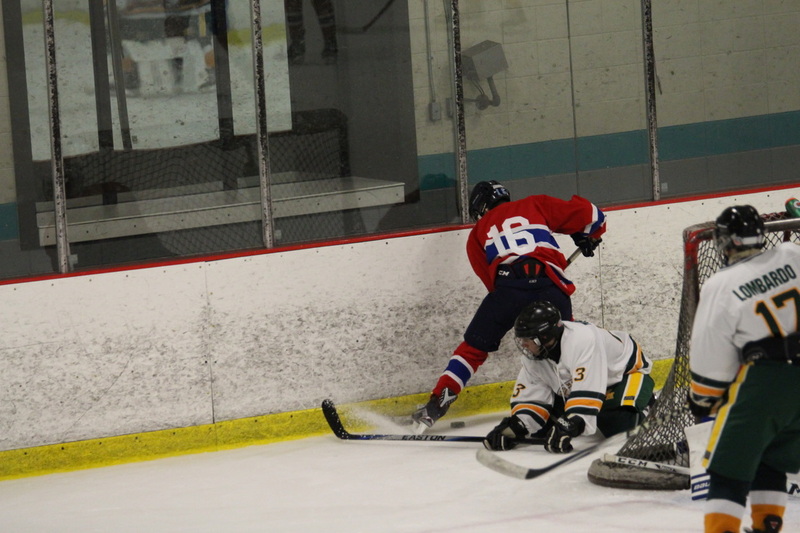 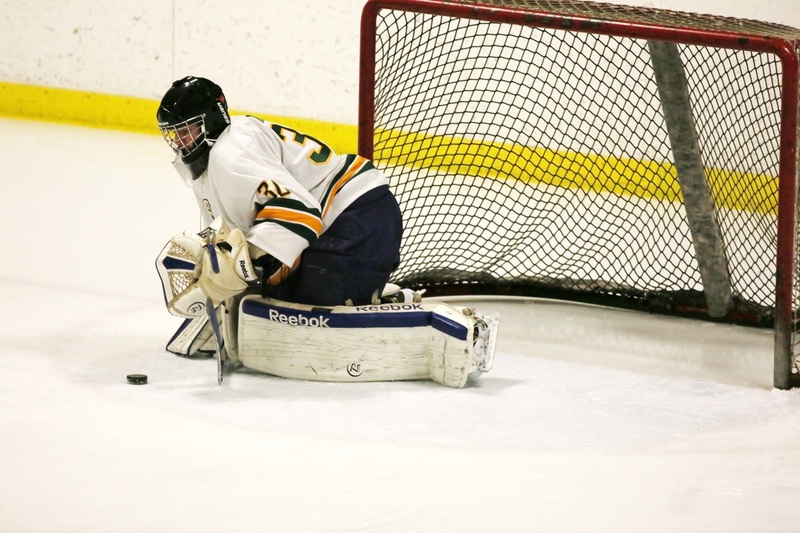 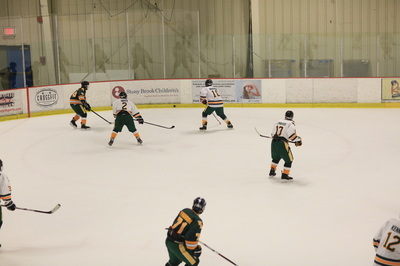 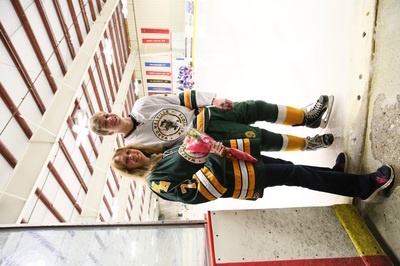 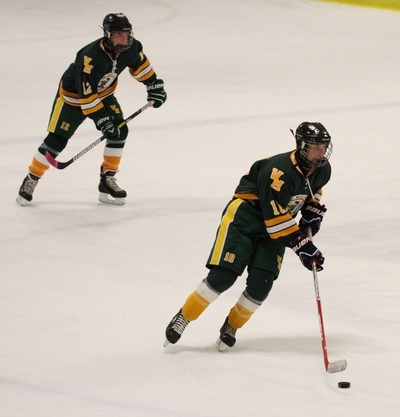 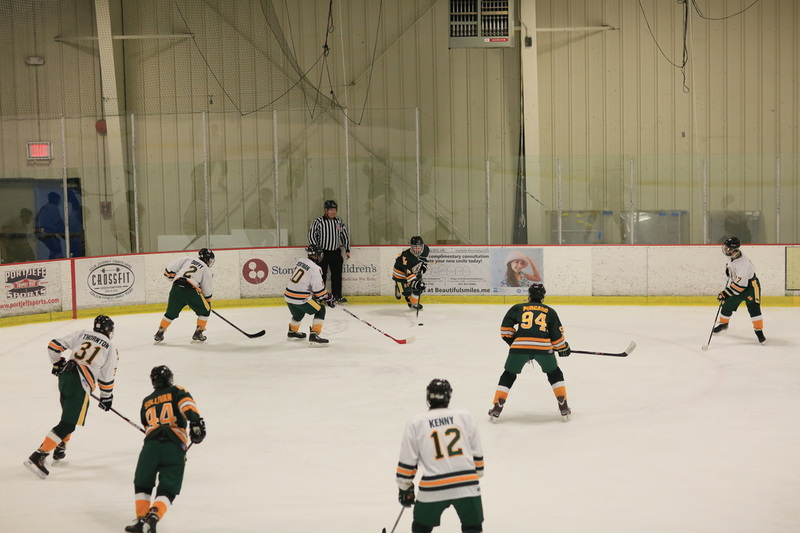 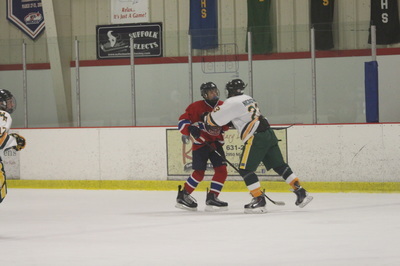 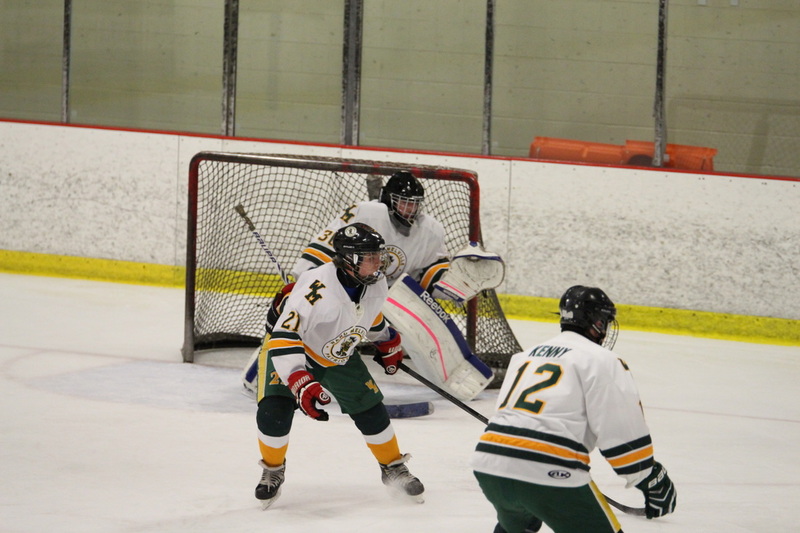 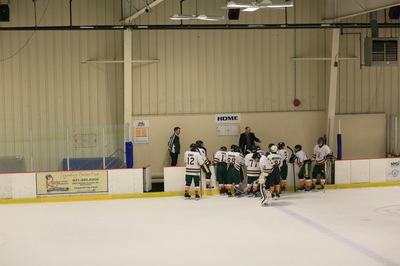 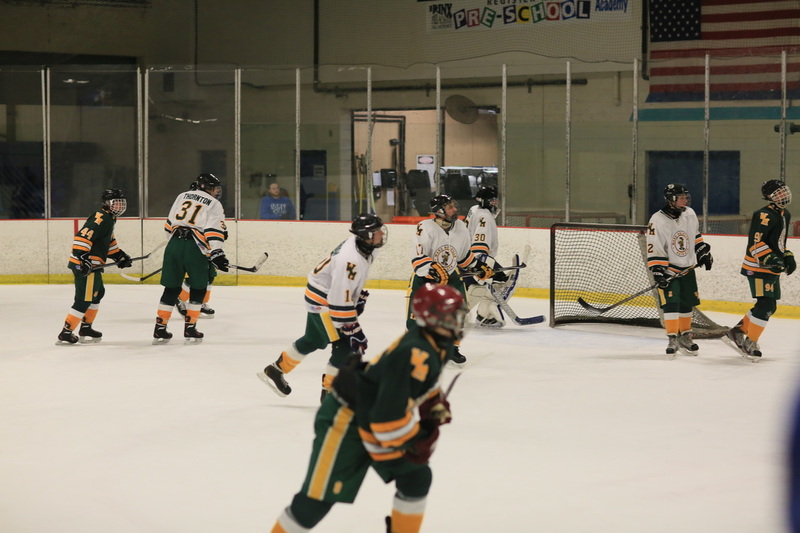 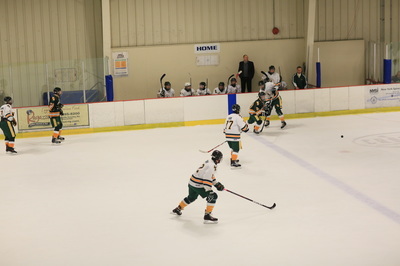 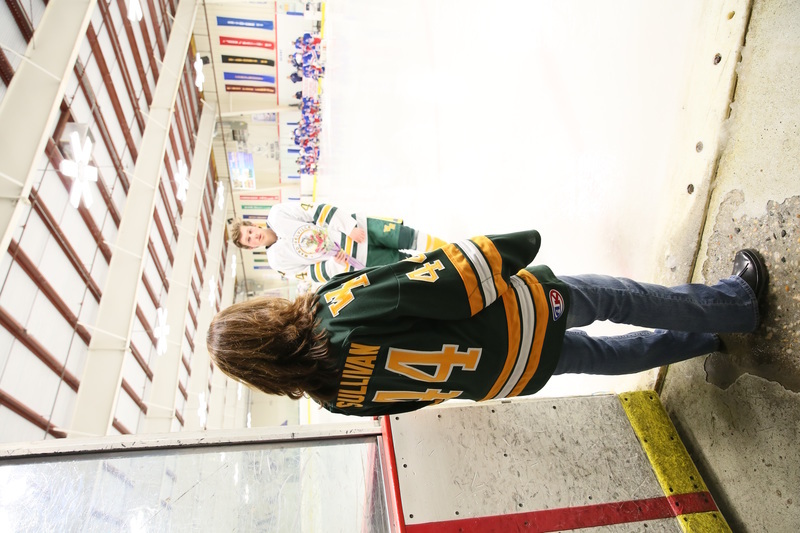 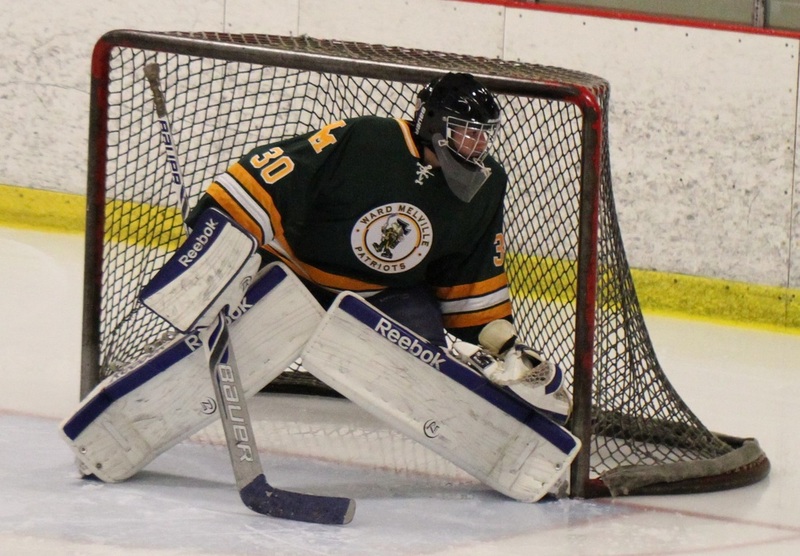 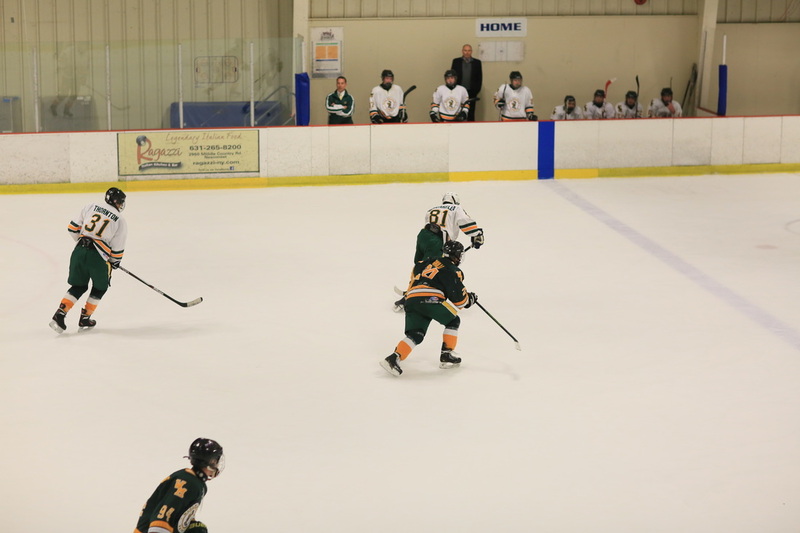 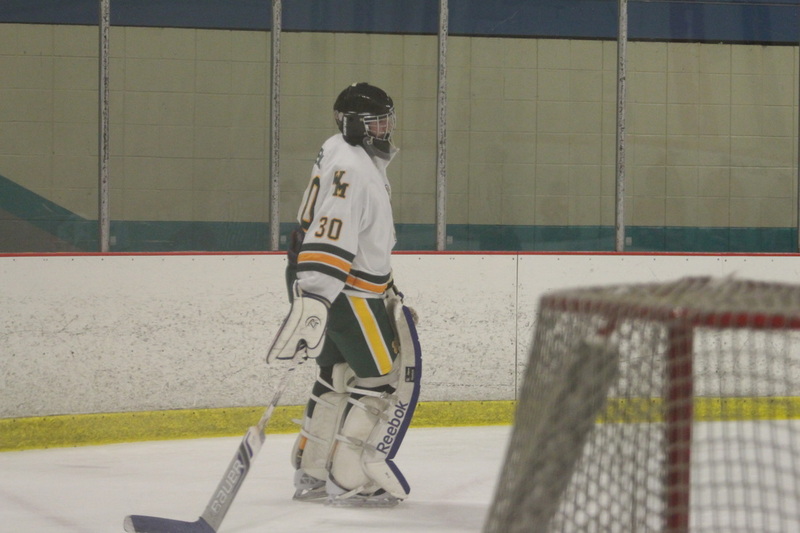 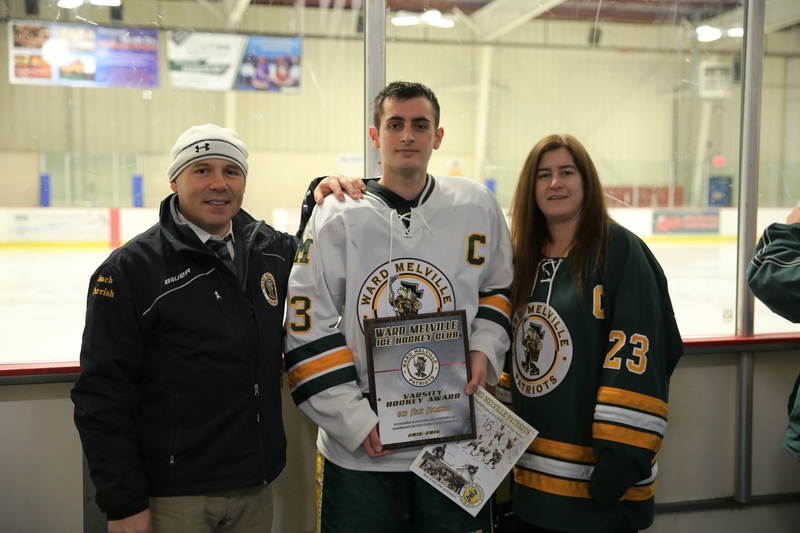 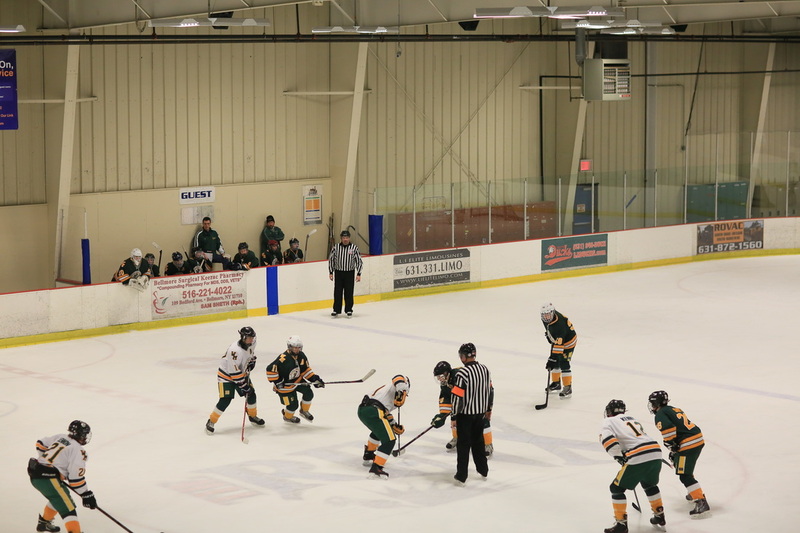 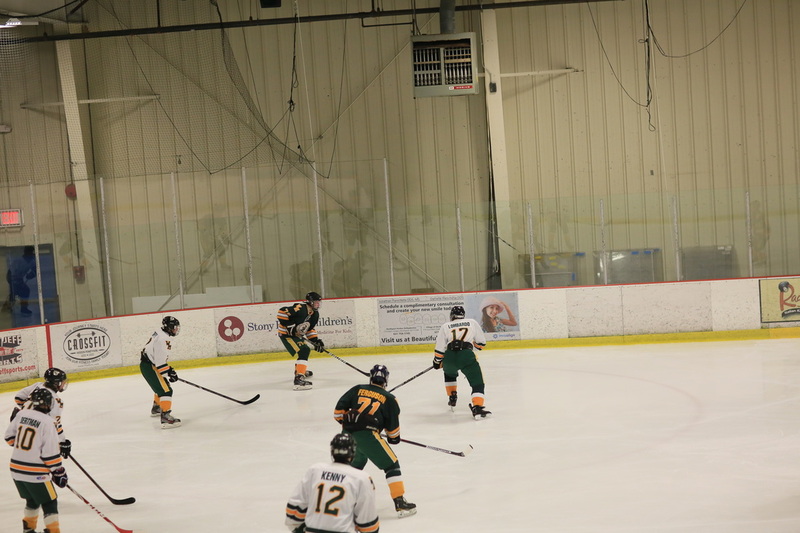 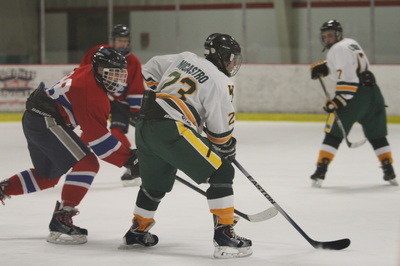 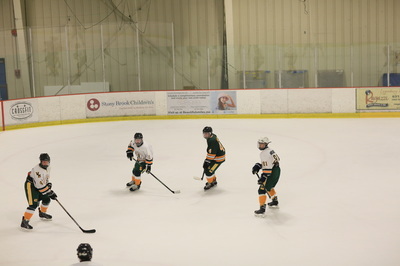 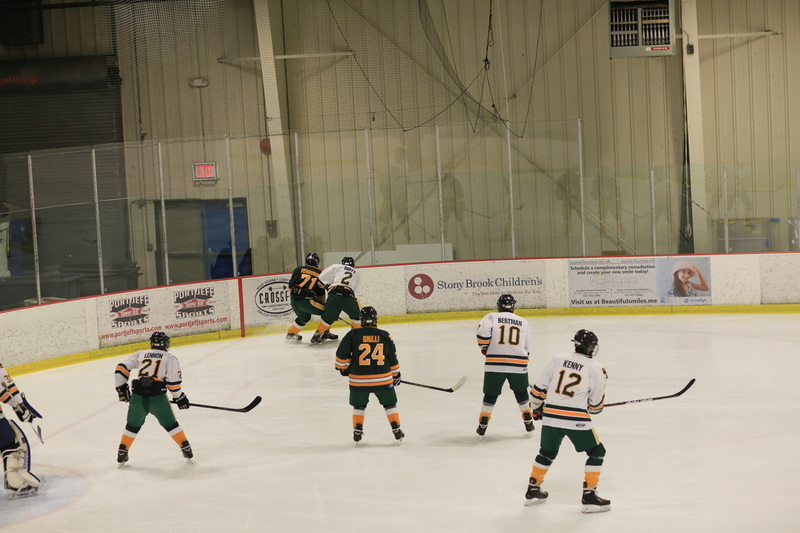 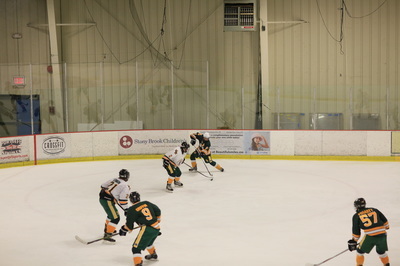 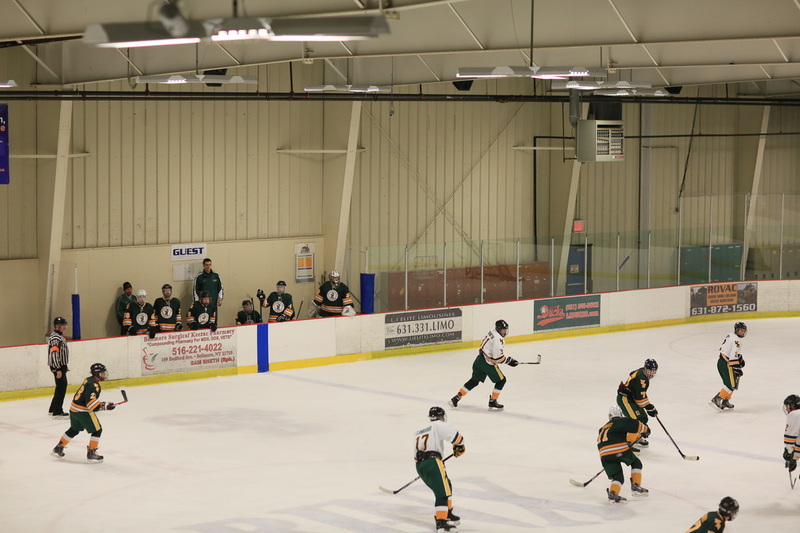 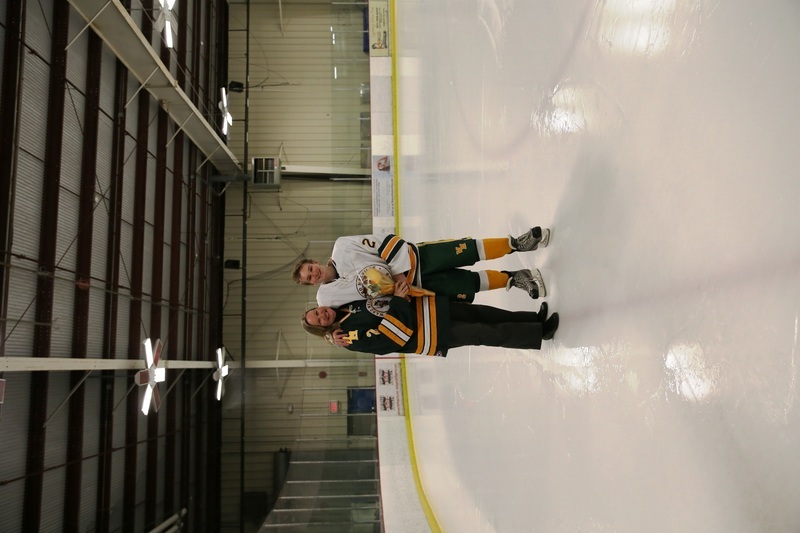 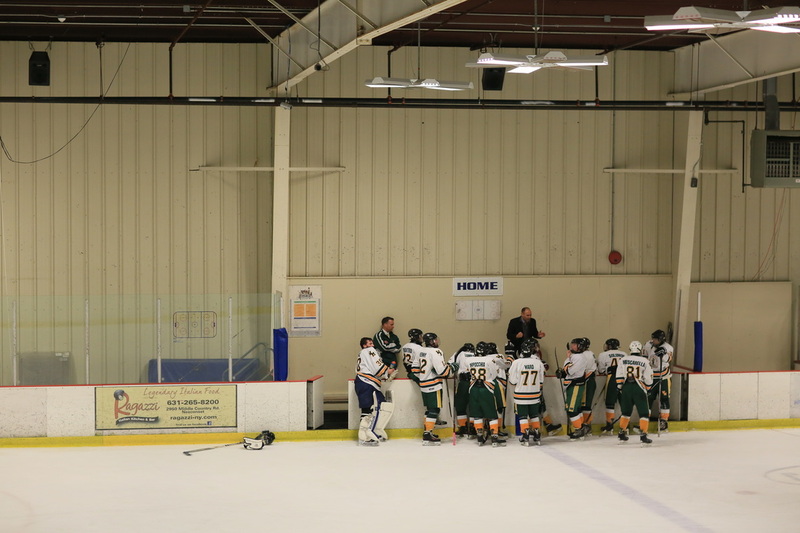 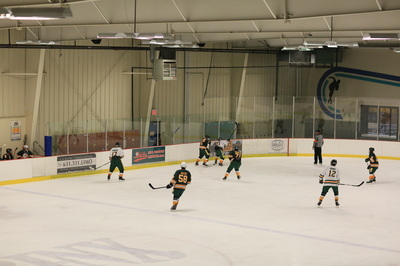 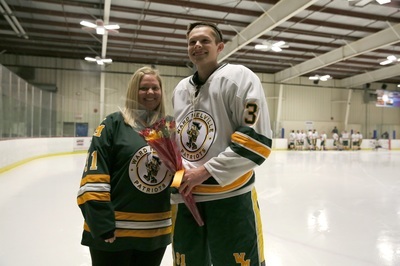 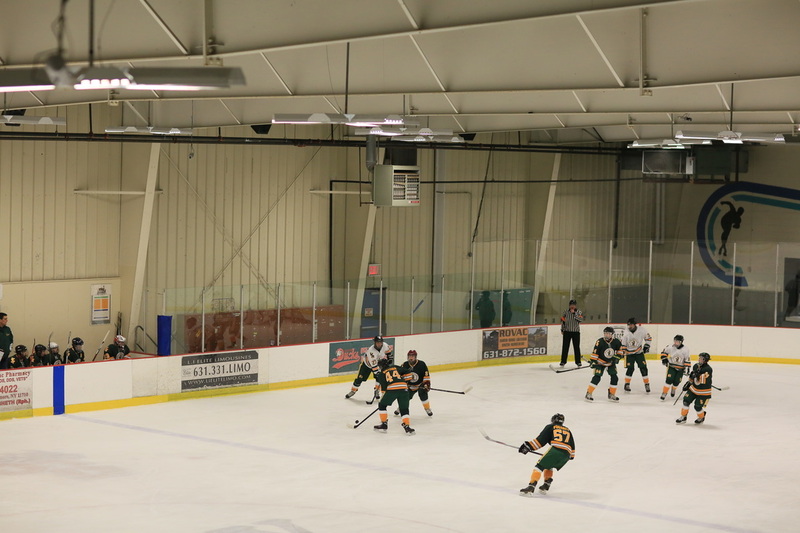 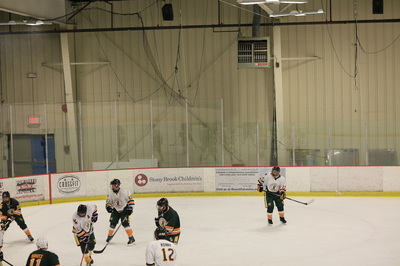 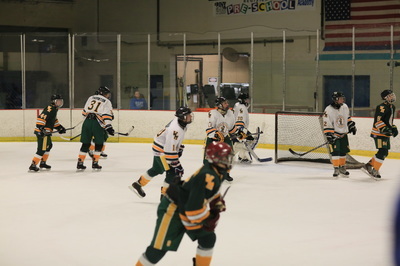 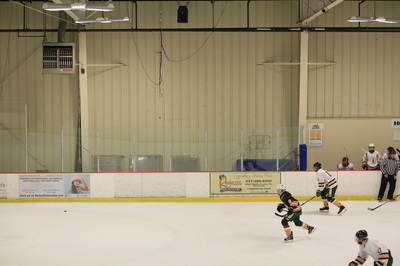 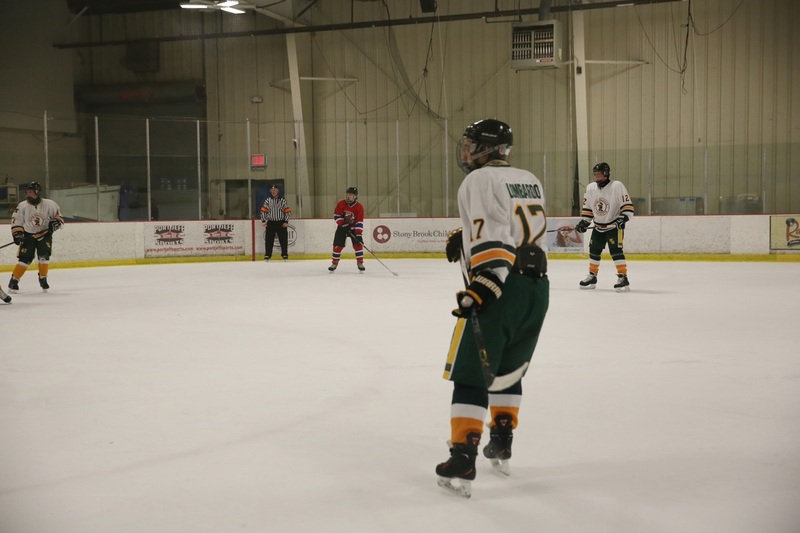 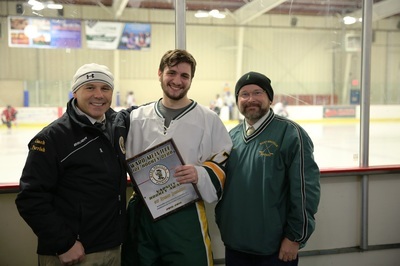 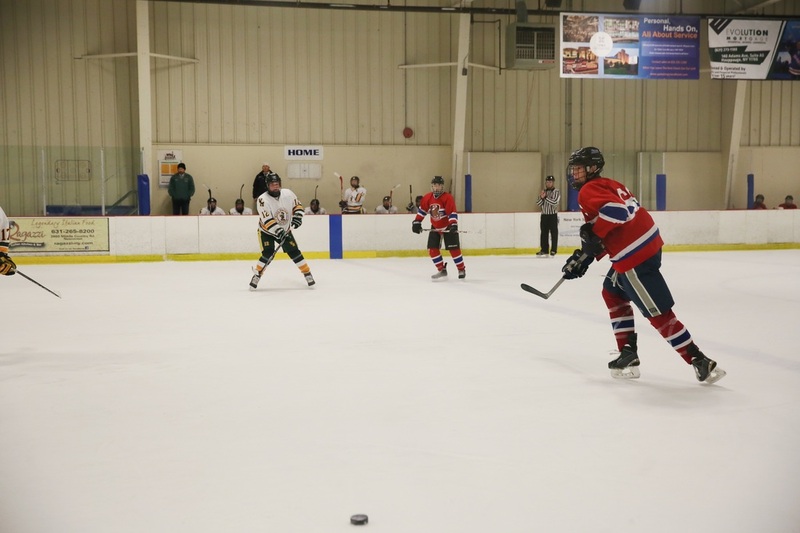 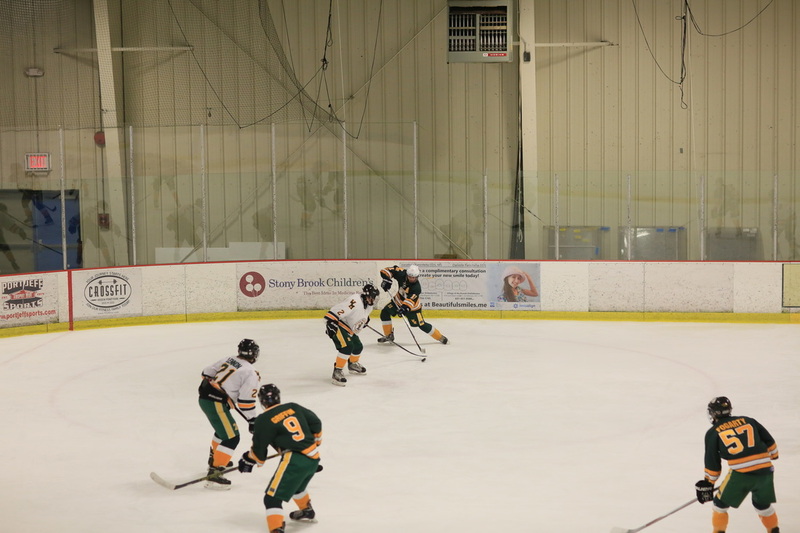 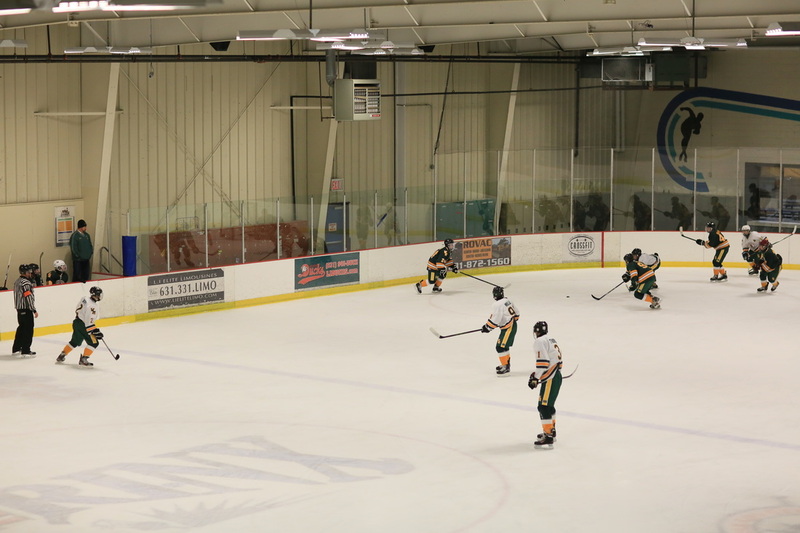 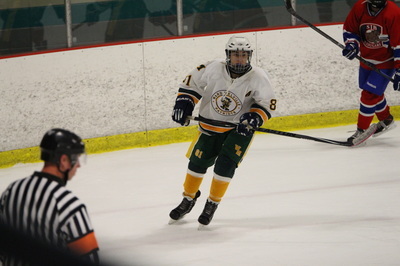 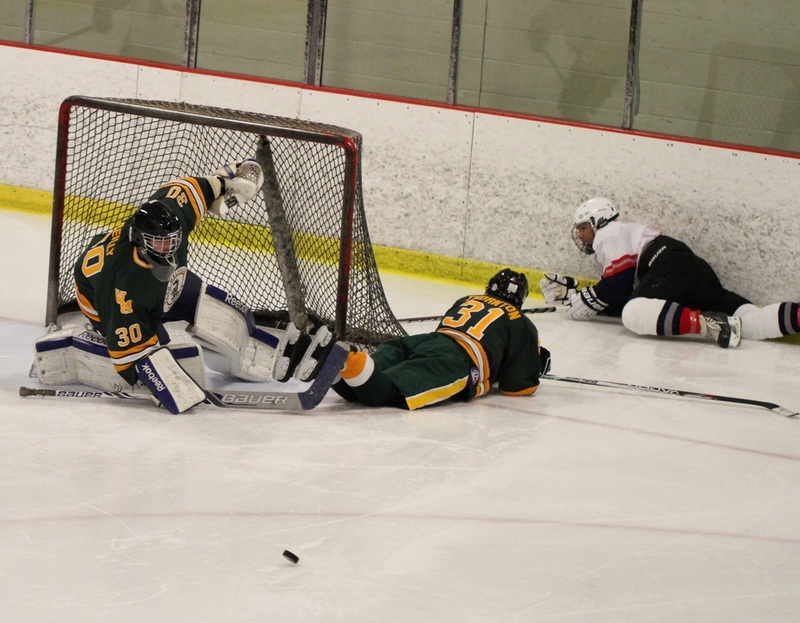 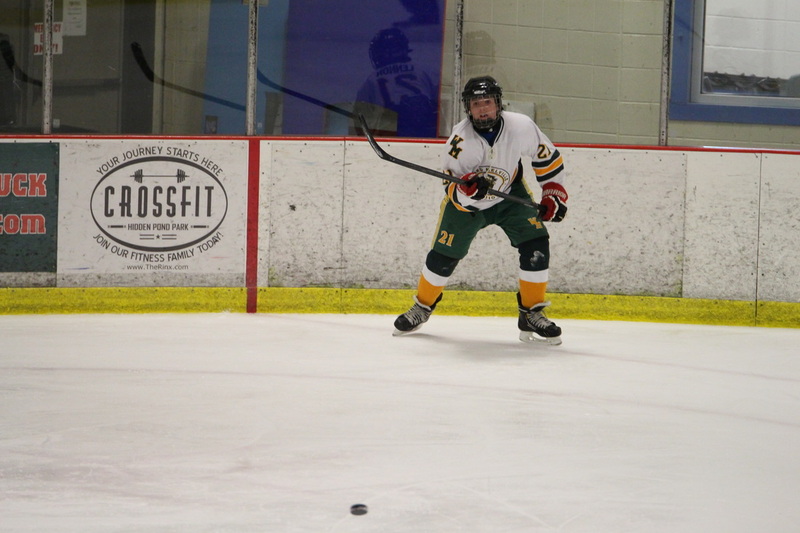 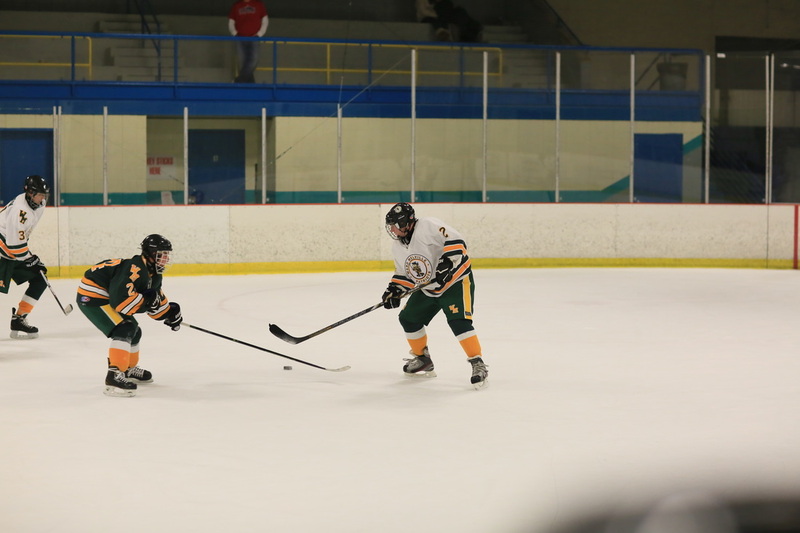 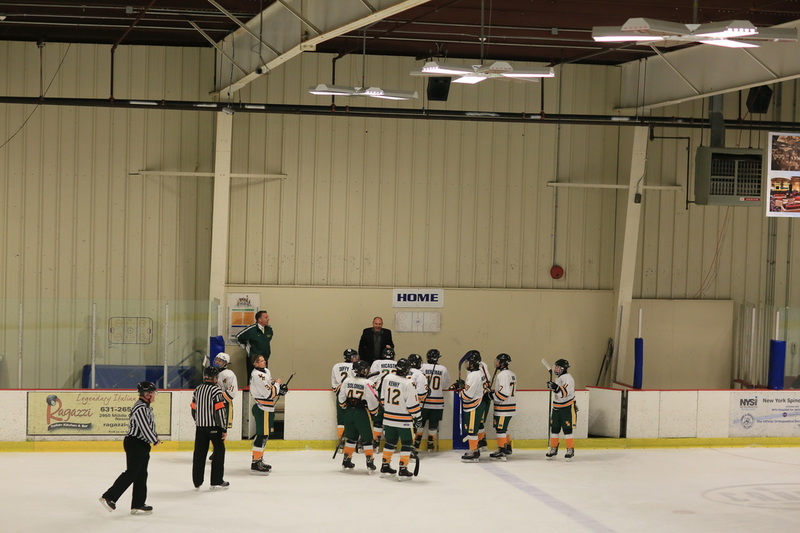 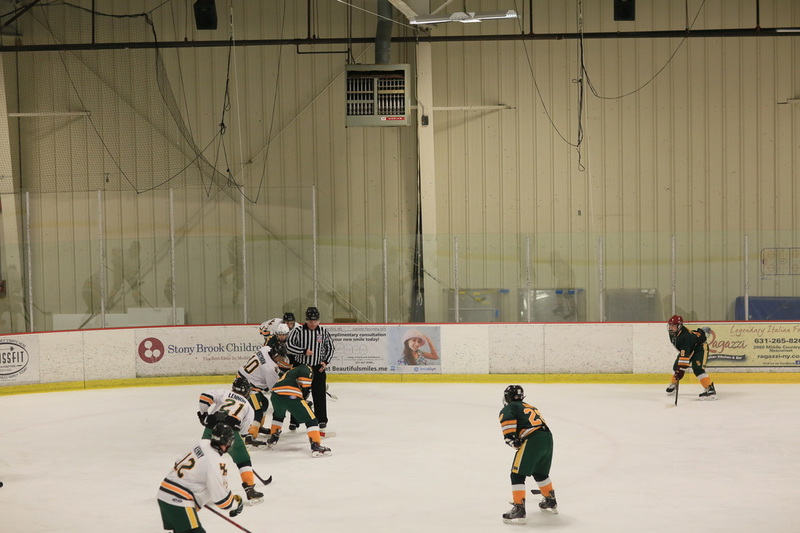 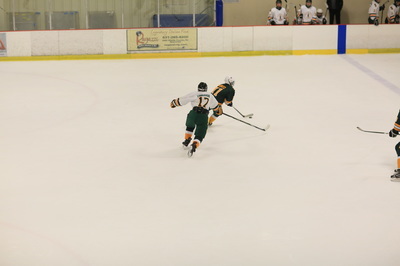 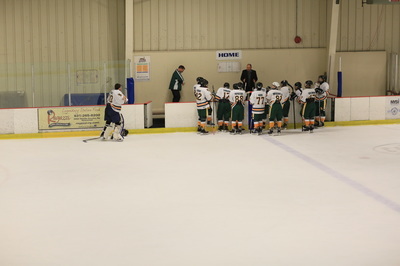 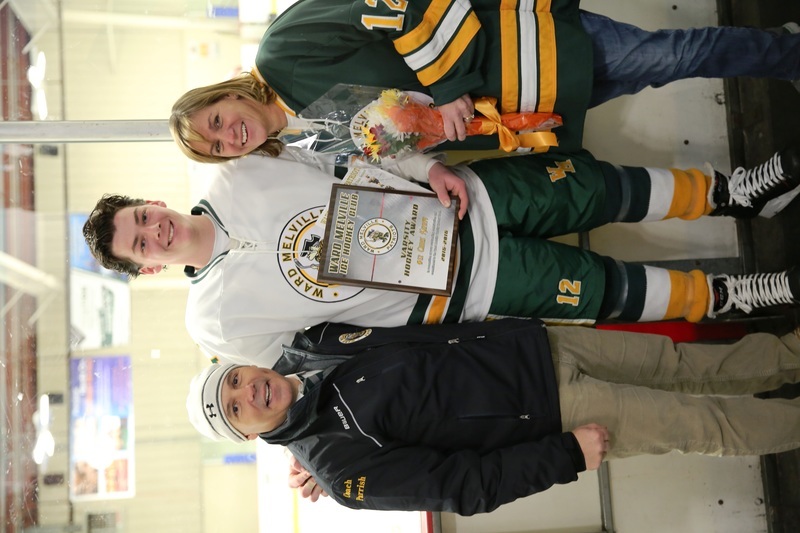 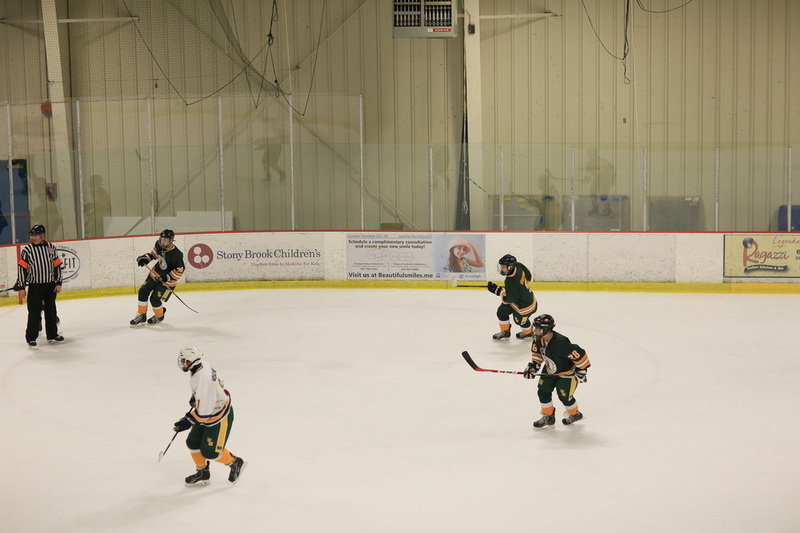 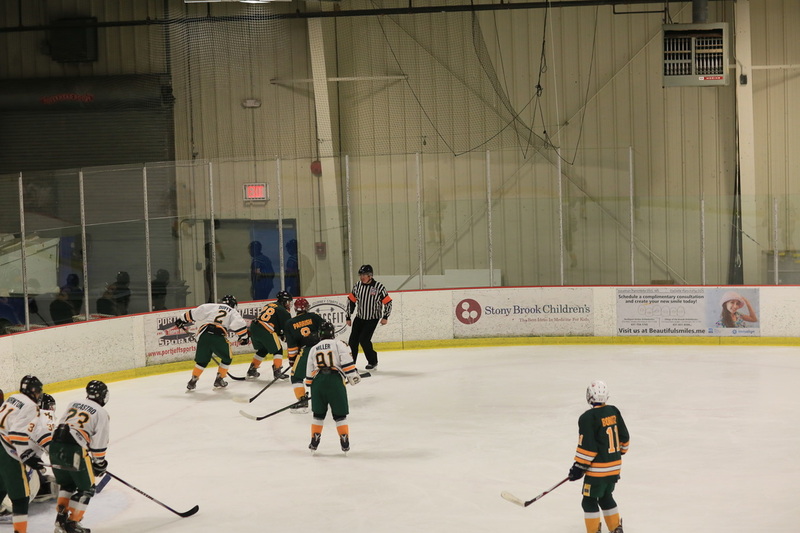 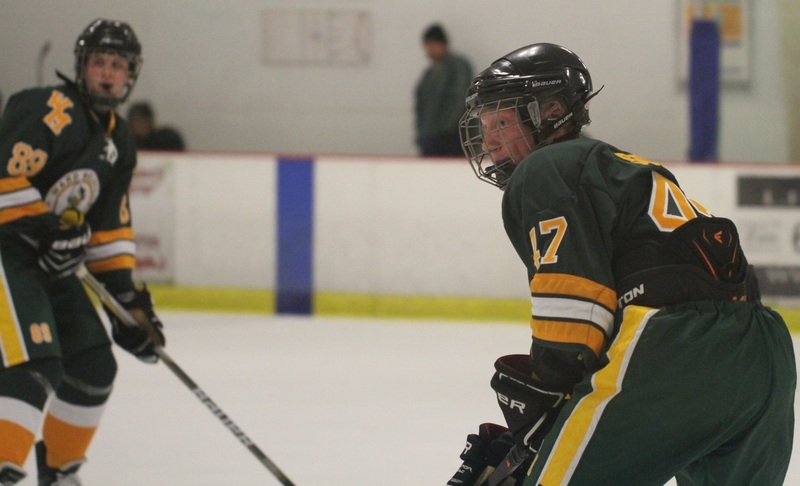 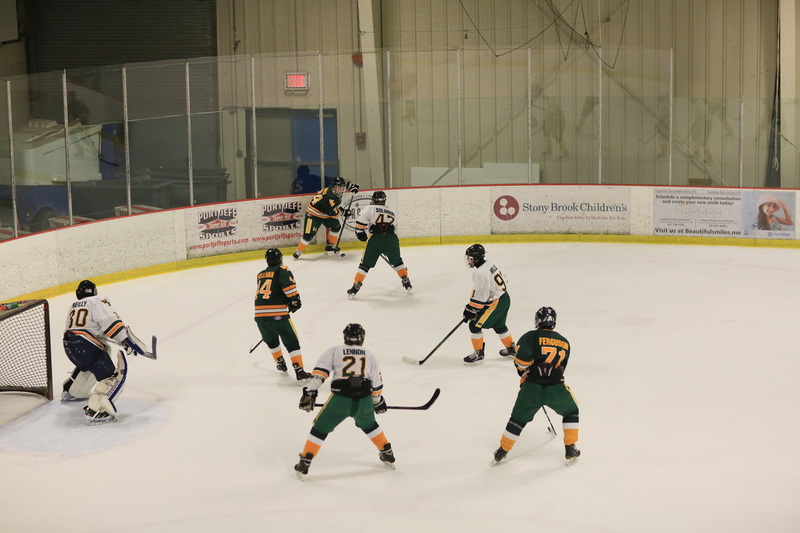 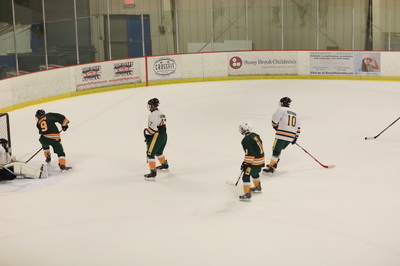 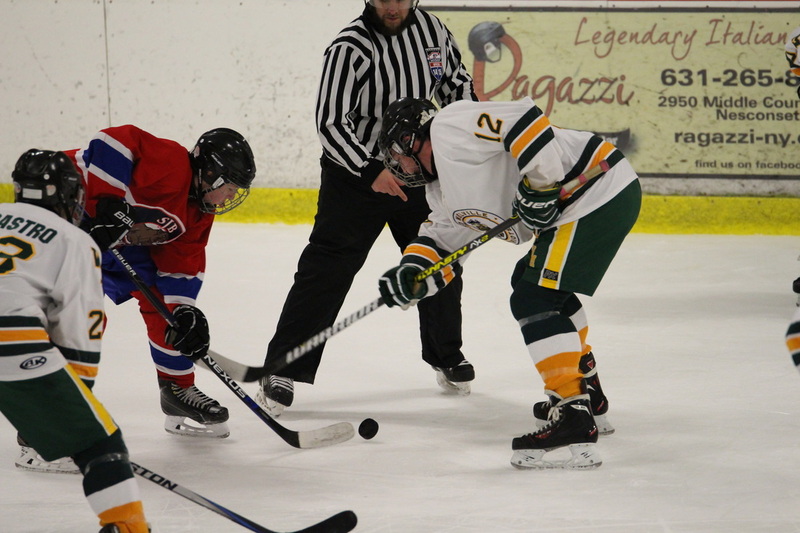 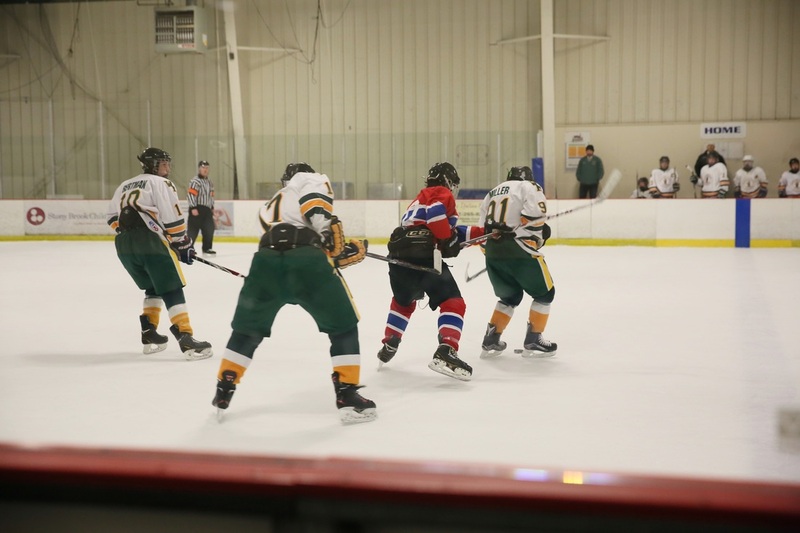 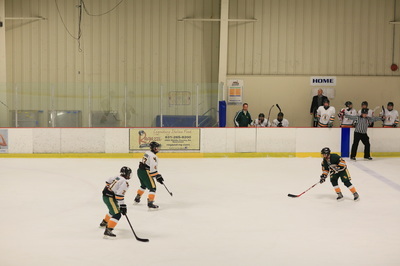 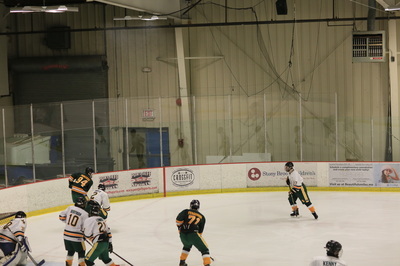 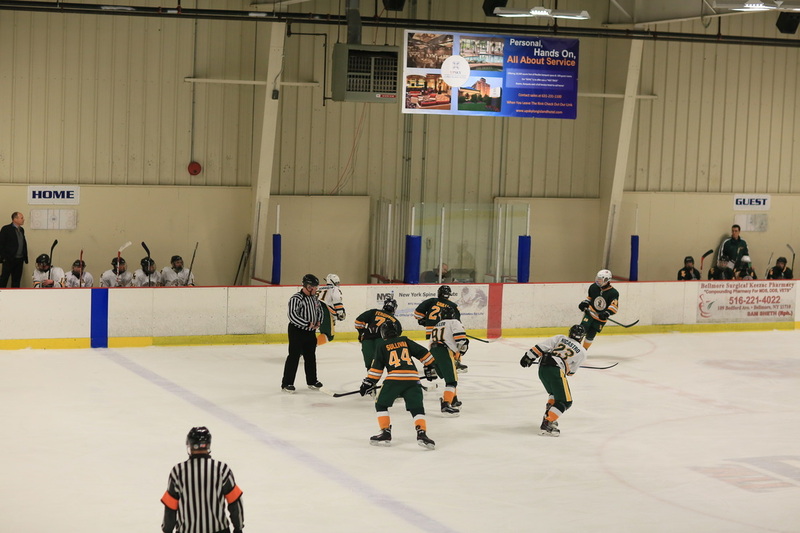 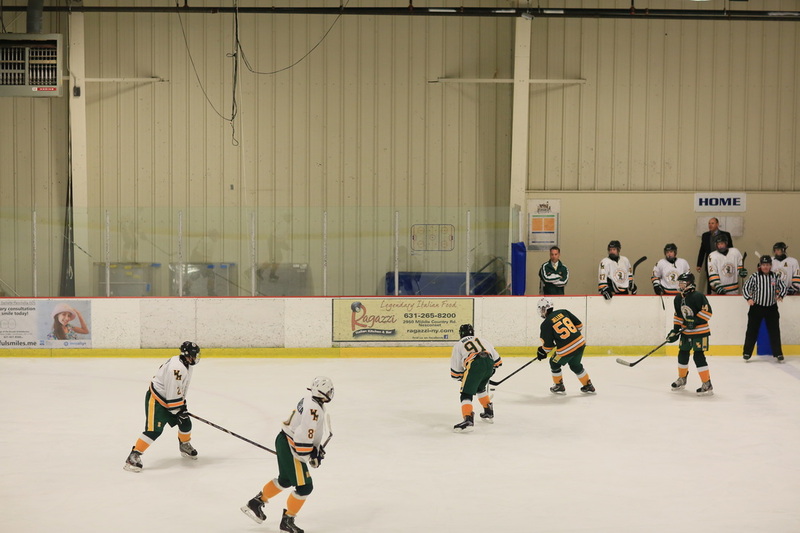 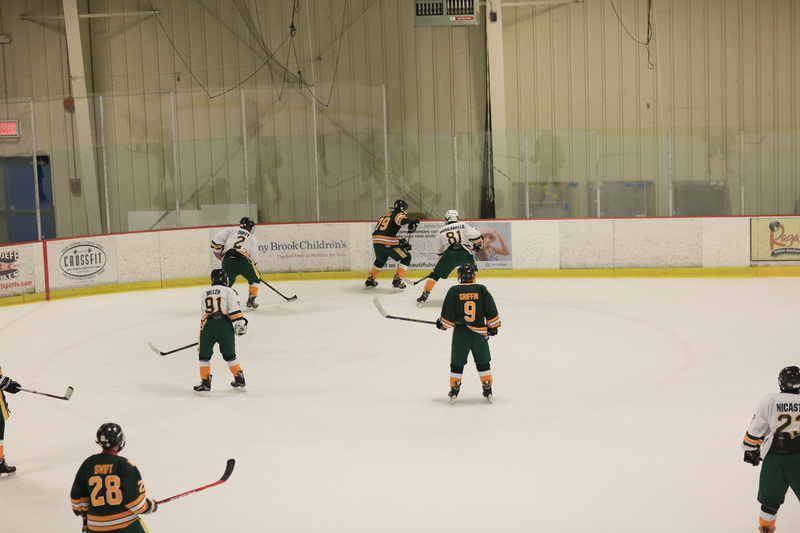 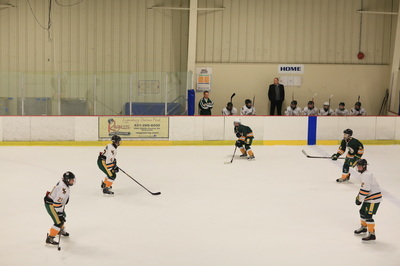 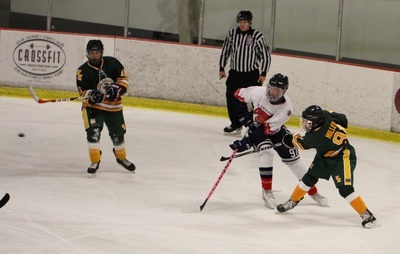 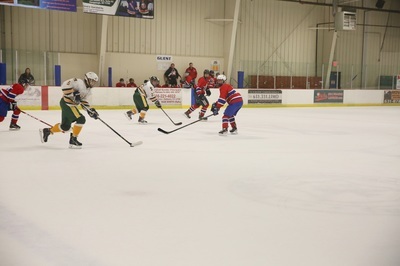 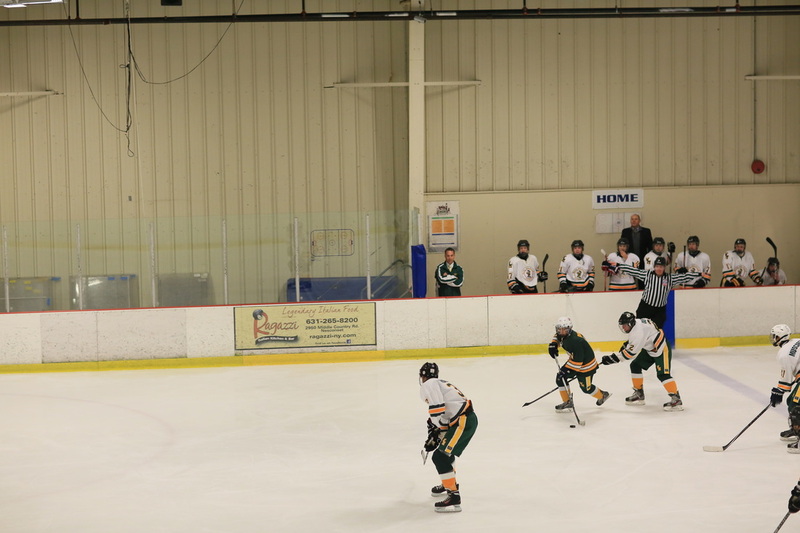 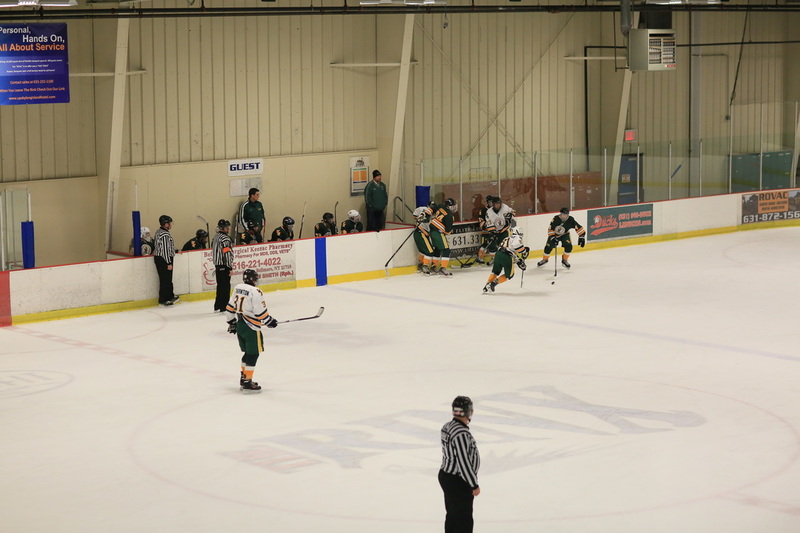 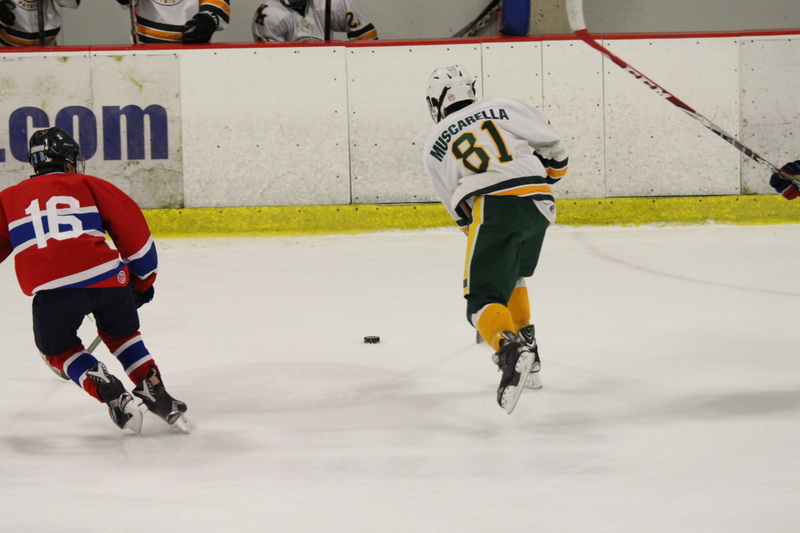 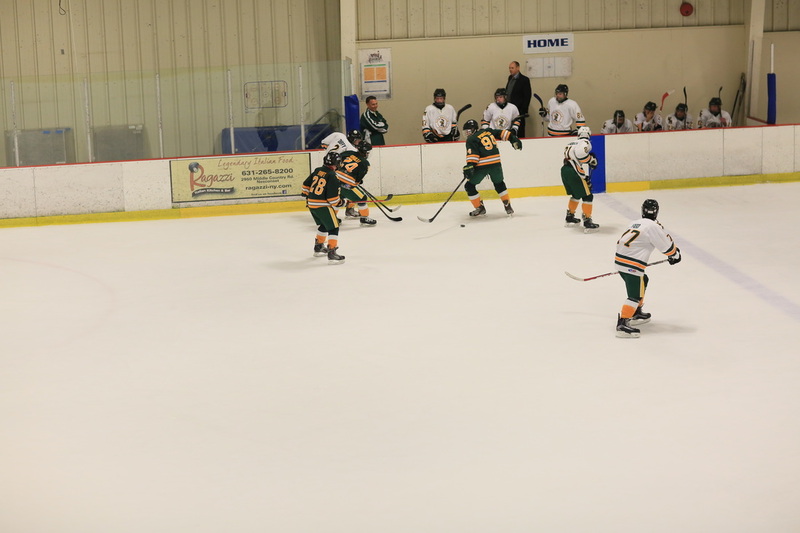 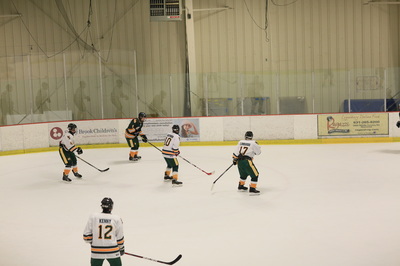 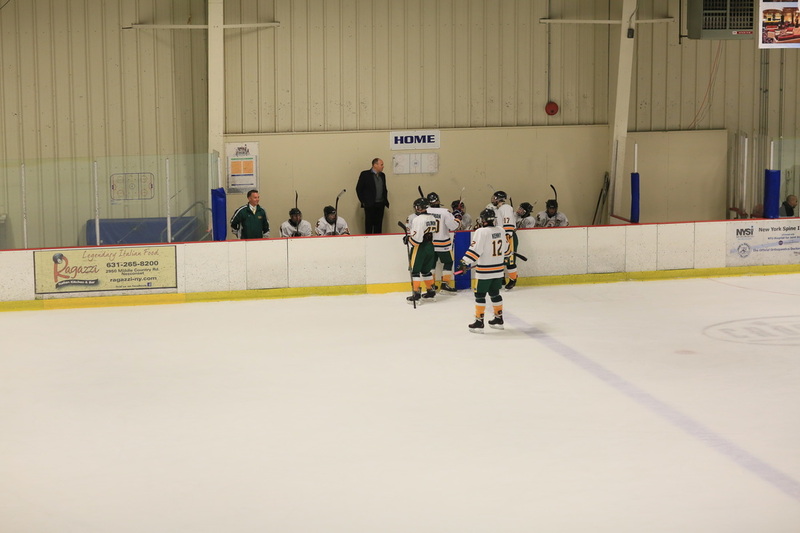 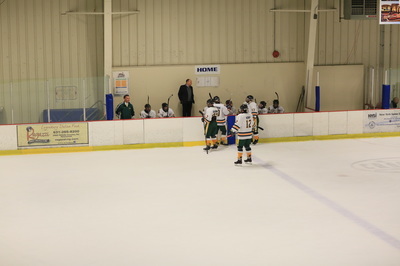 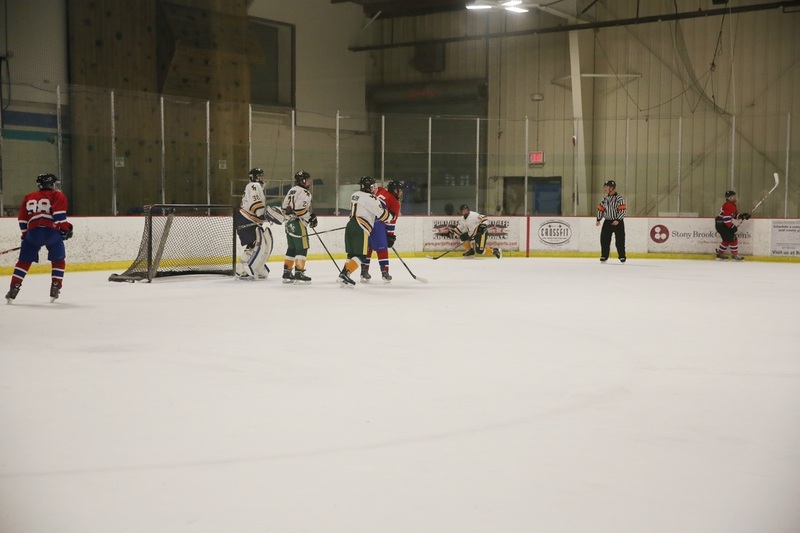 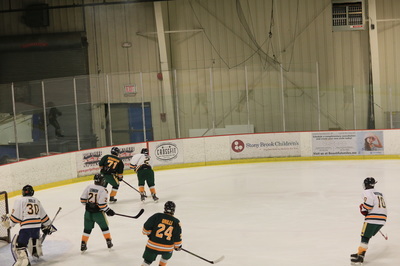 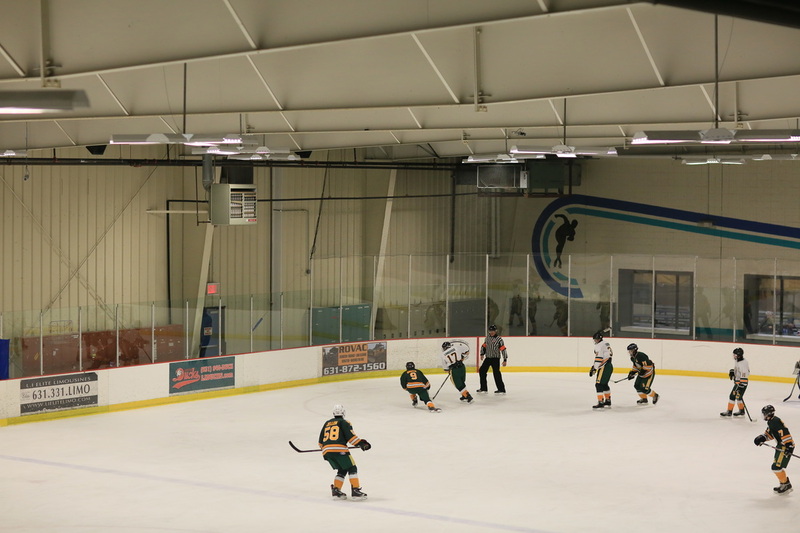 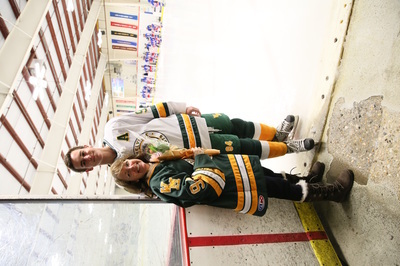 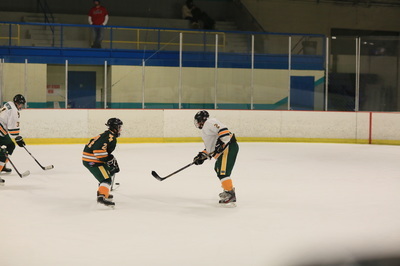 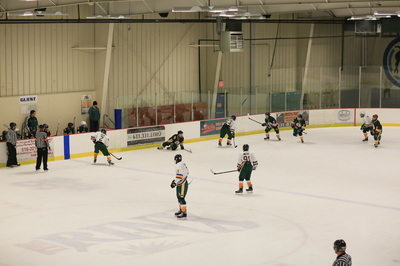 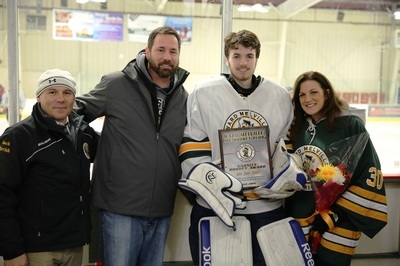 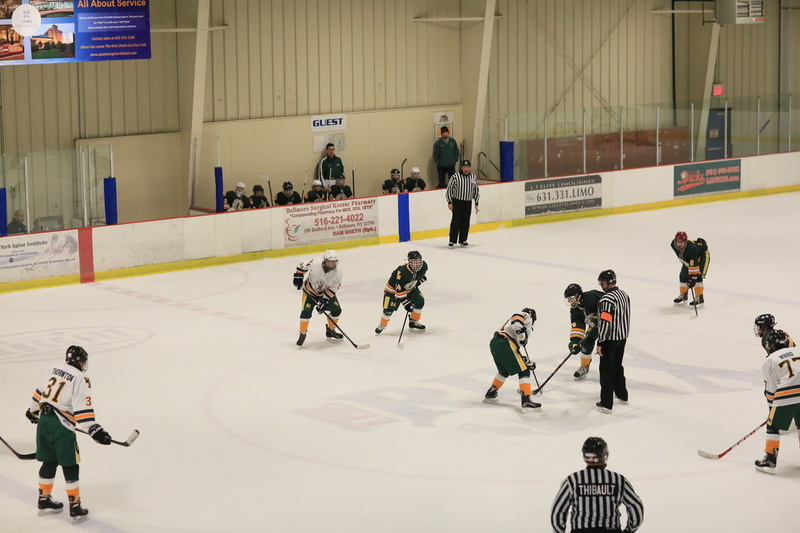 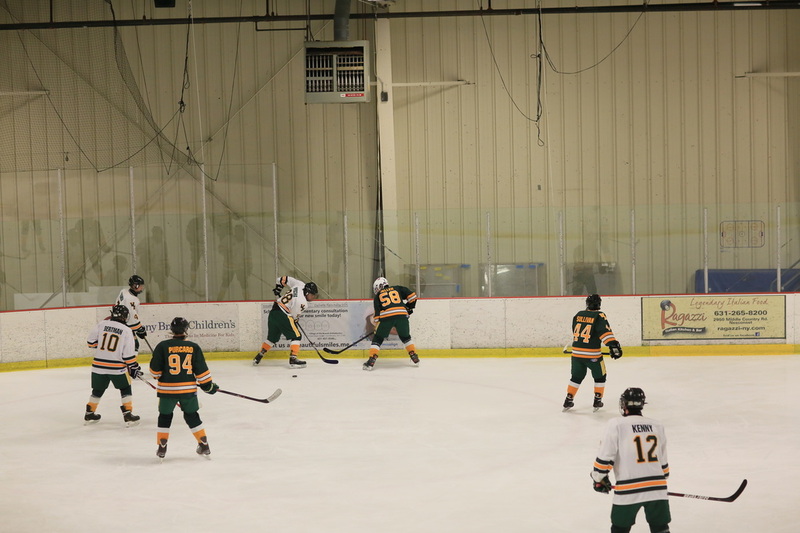 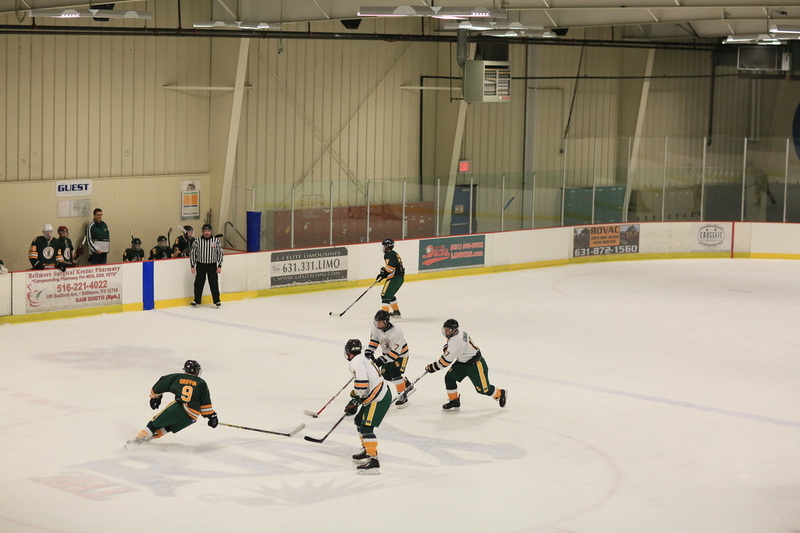 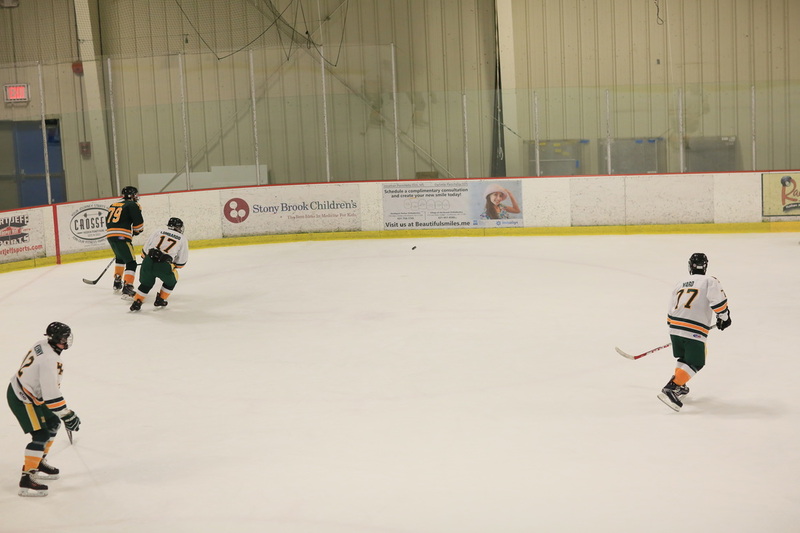 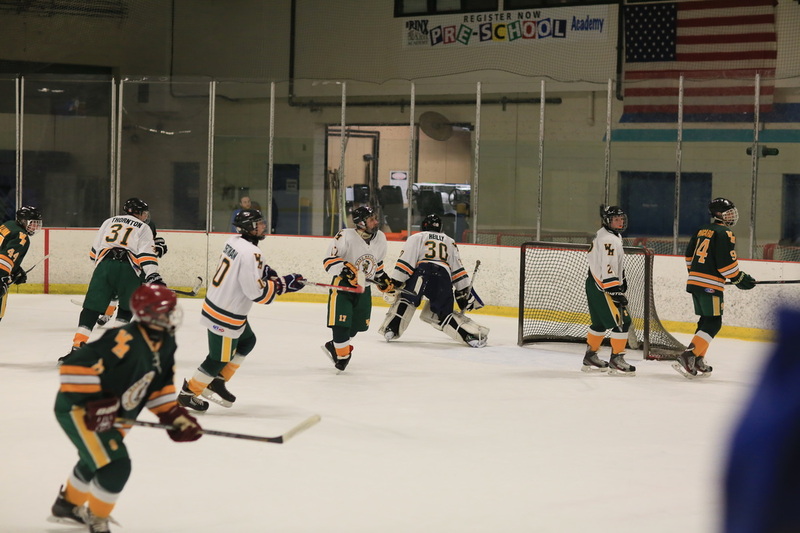 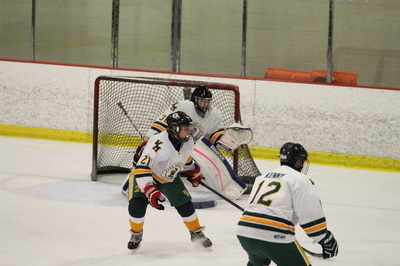 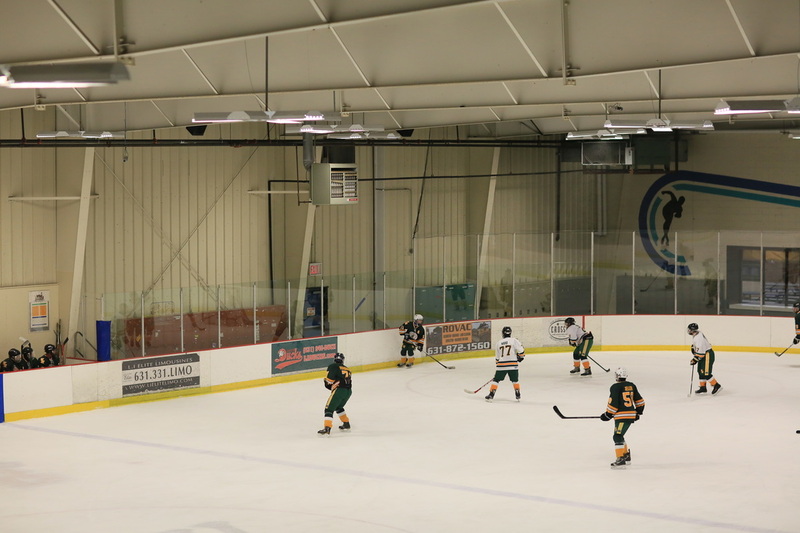 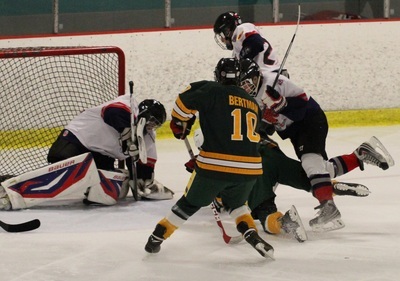 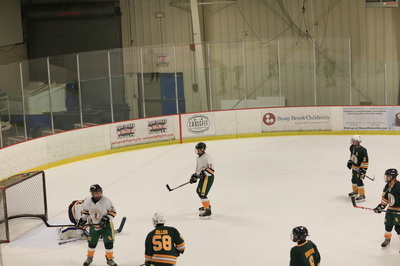 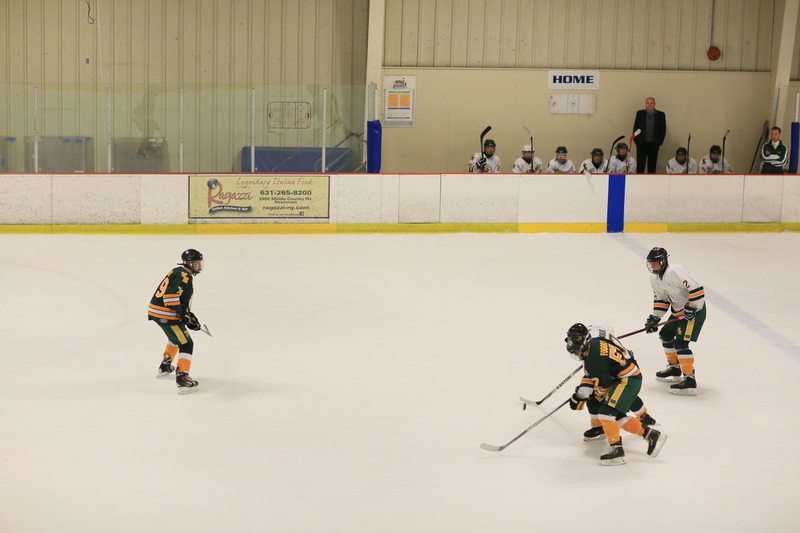 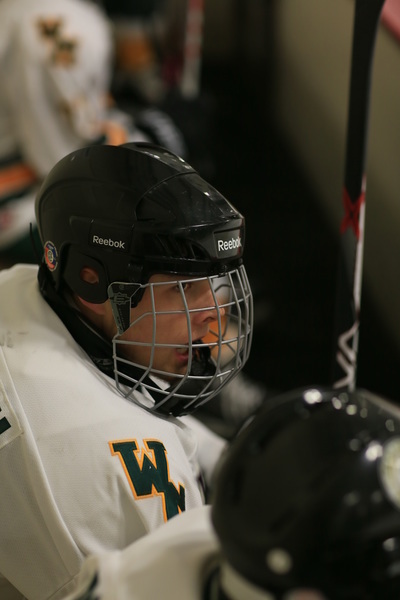 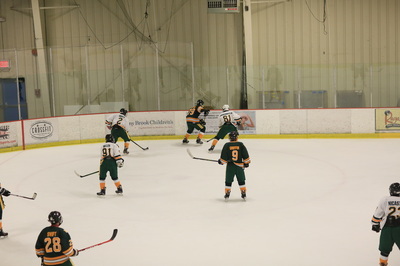 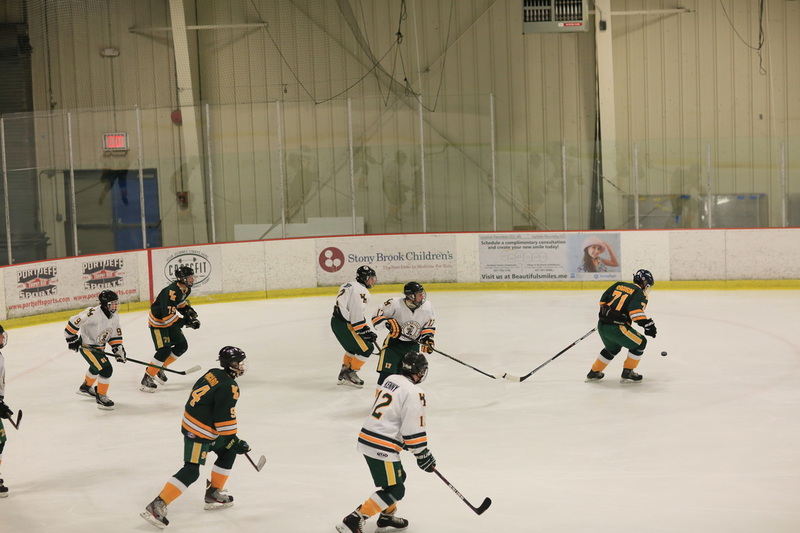 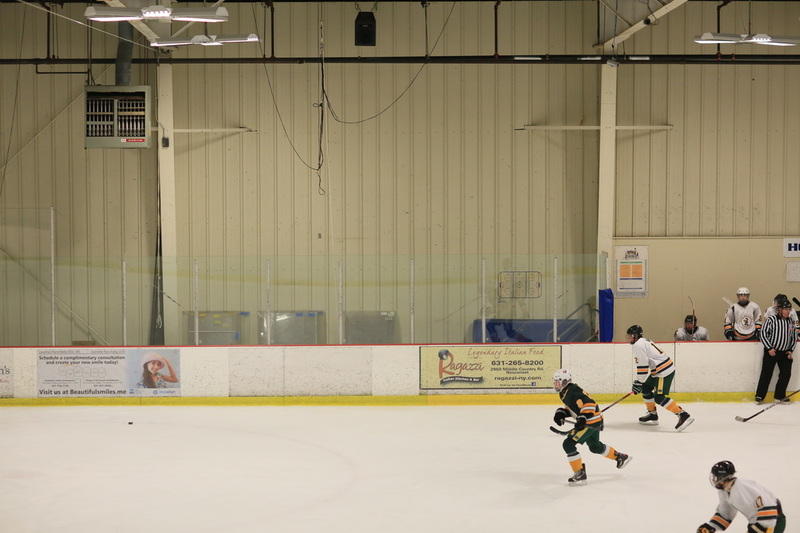 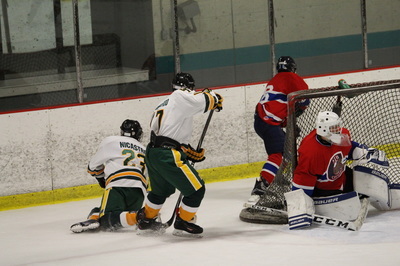 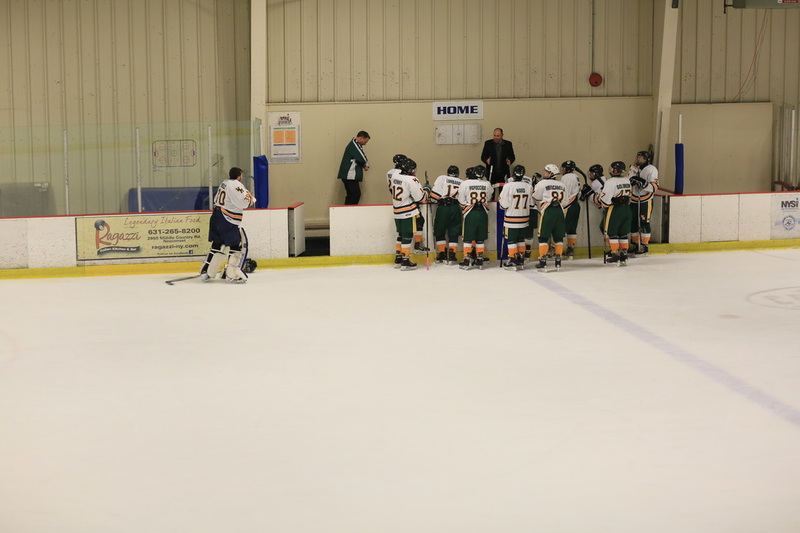 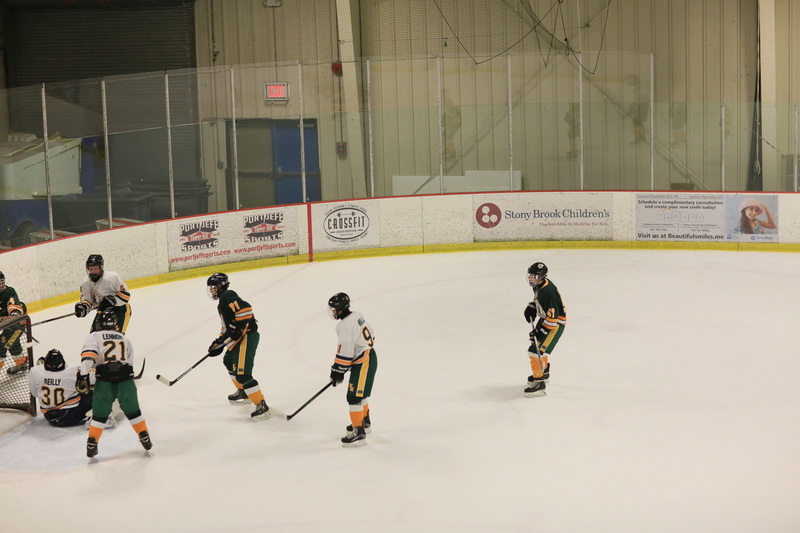 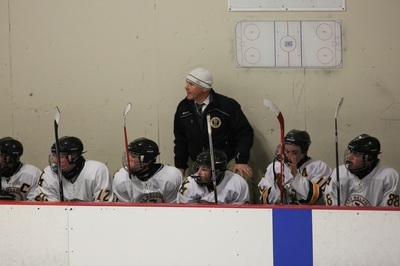 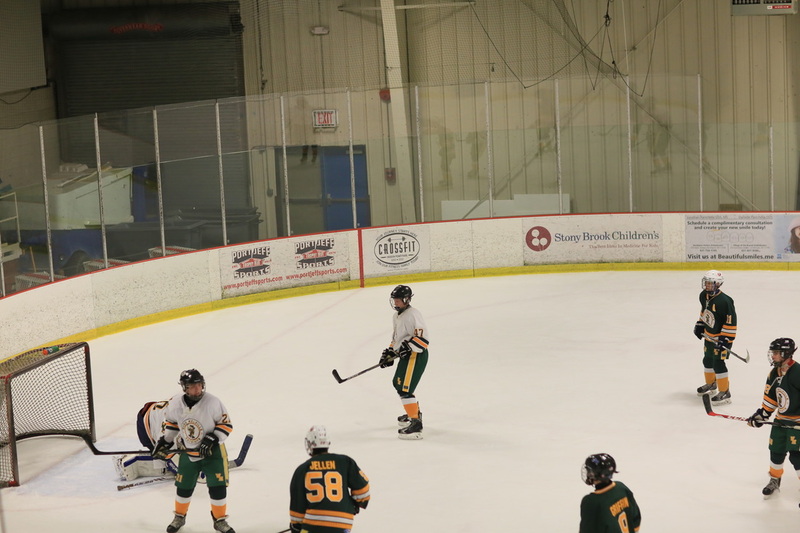 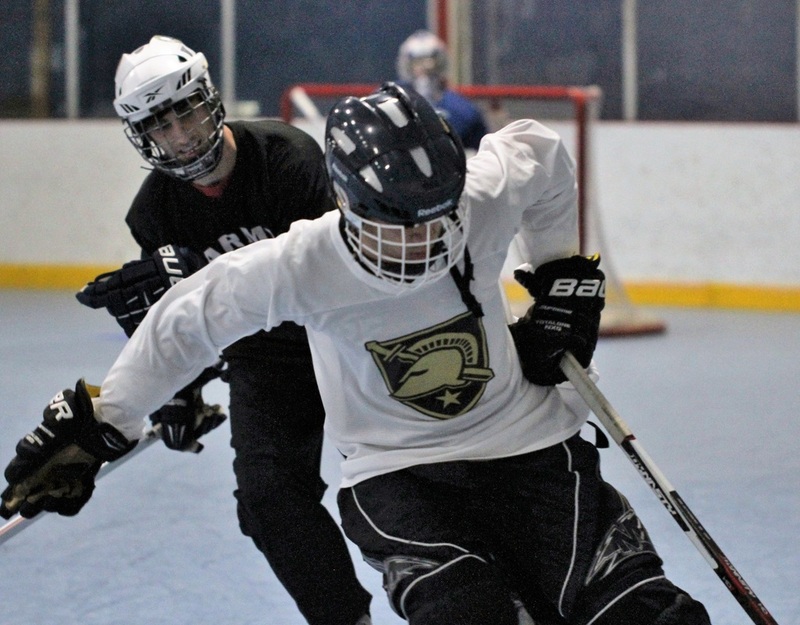 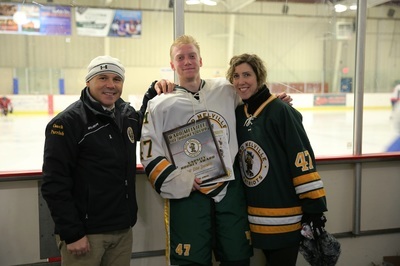 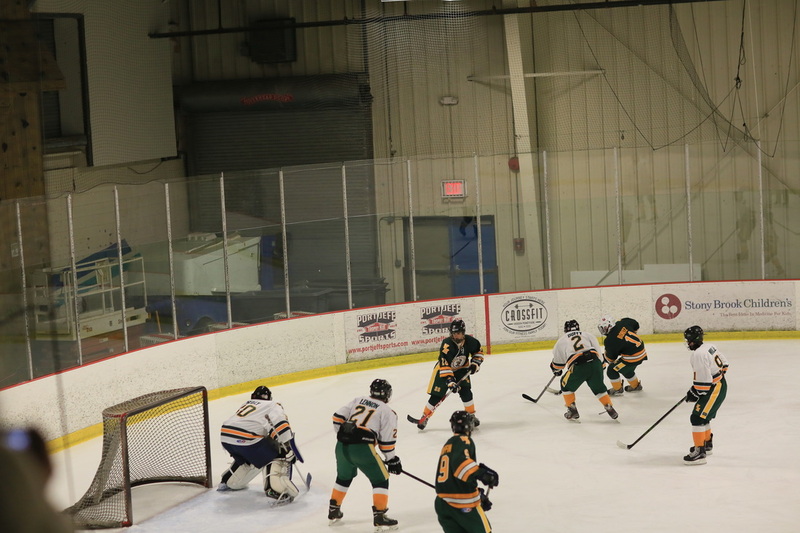 Over 40 players had 12 games of blood, sweat and tears - spanning Ward Melville Patriot Ice Hockey Team Members from the class of 2015, 2016, 2017, 2018 and 2019. 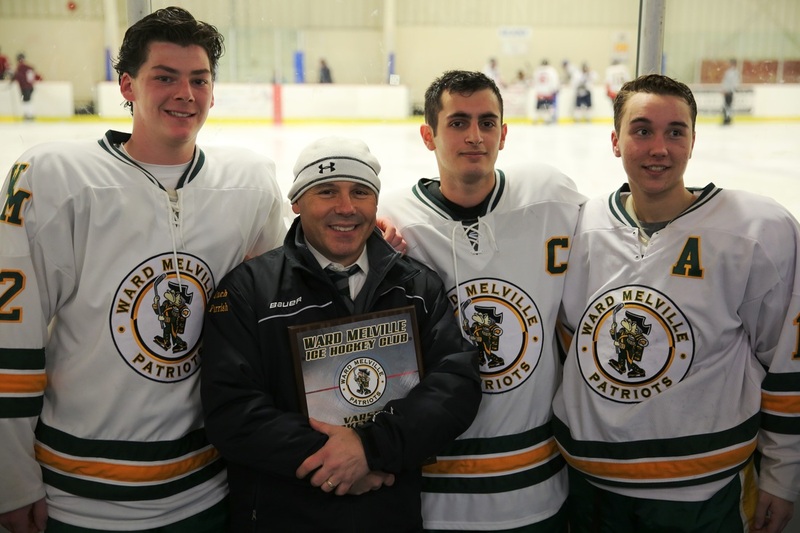 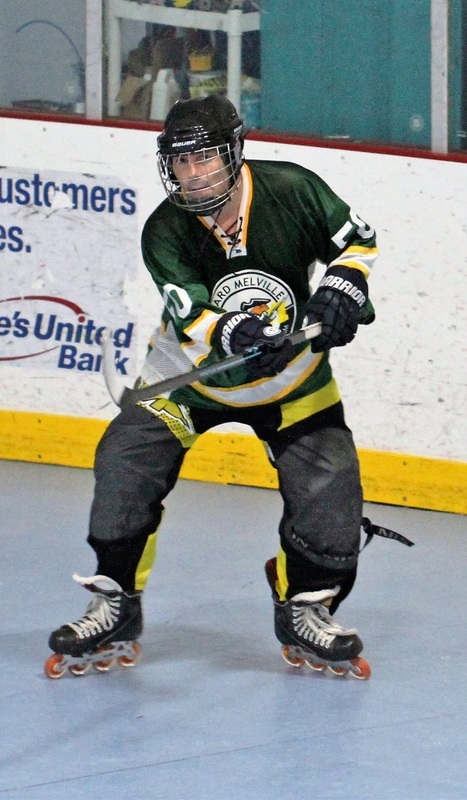 It also included members of the 2012 Ward Melville Roller Hockey Club, and Coach Parrish played in the tournament as well. The Parrish Family sponsored the event to mark the end of Coach Parrish's tenure on the Patriot's Board of Directors. 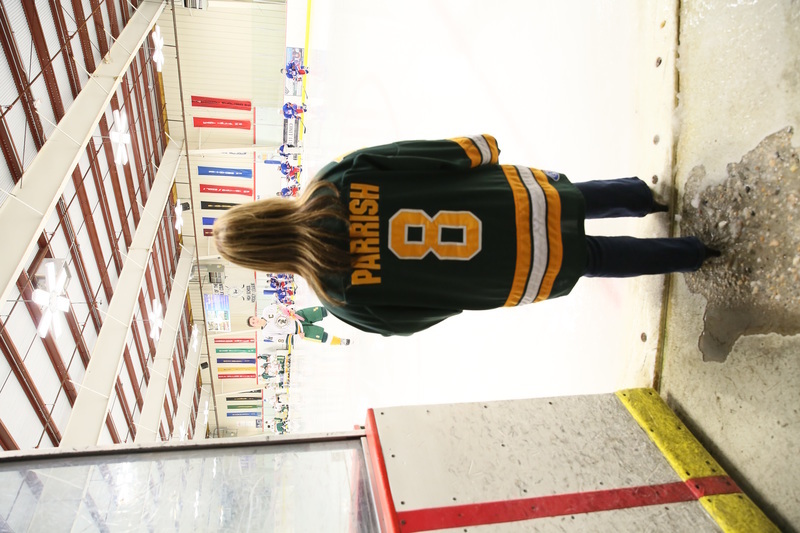 As a final farewell, Parrish gifted a new Team Logo Banner to the organization for use to rally the players in years to come. 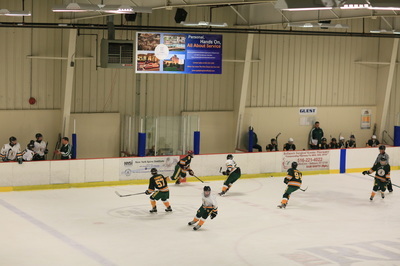 Photos by Judie Anderson.